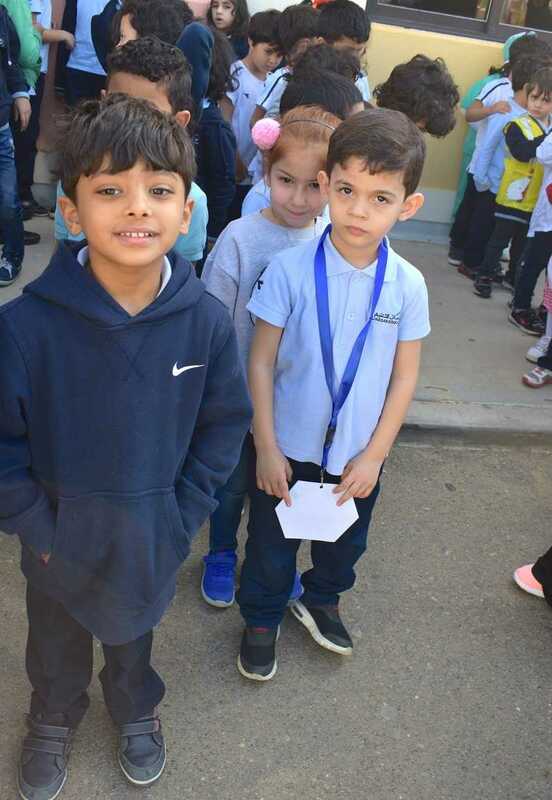 Monday 3rd of September 2018, Al Hussan International School Yanbu welcomed kindergarten kids and Grade 1 students in their first day of school. 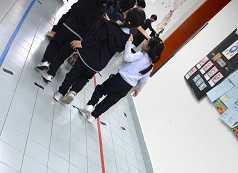 Early in the morning, the staff welcomed the students and guide them to their respective classrooms. 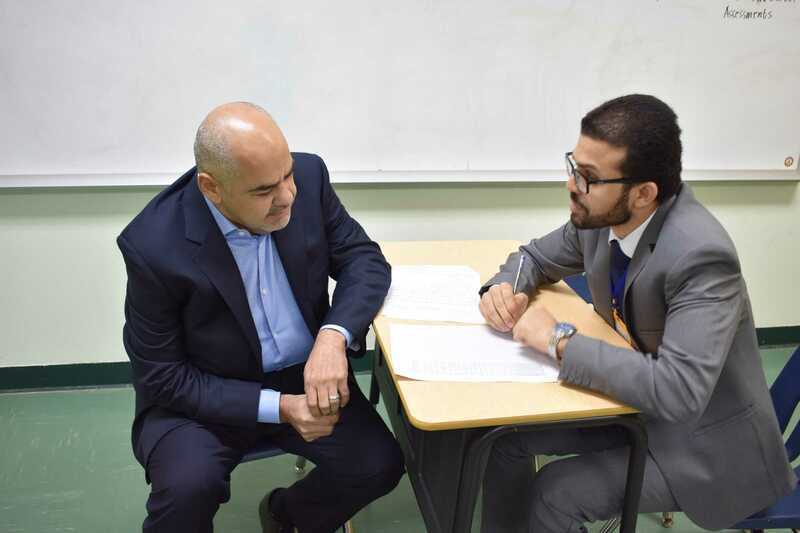 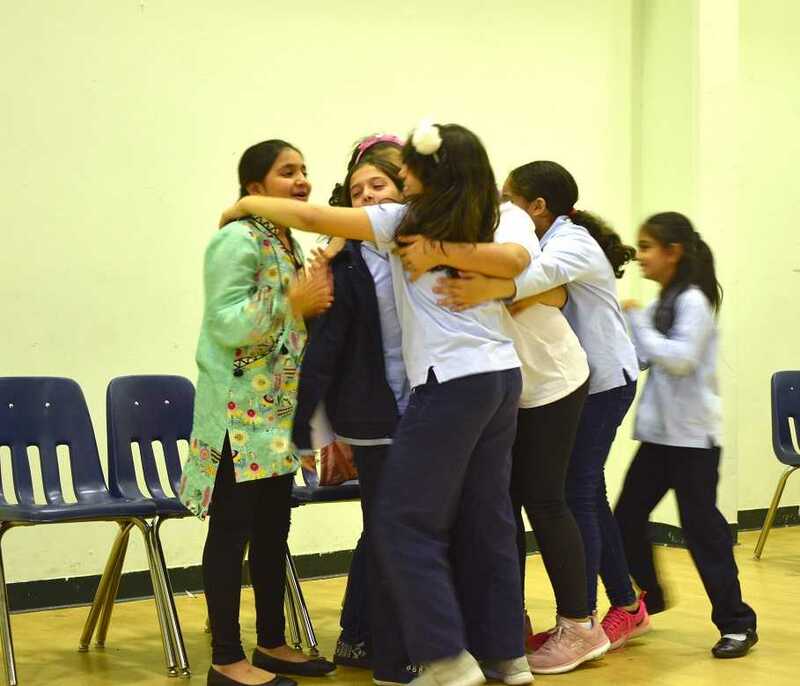 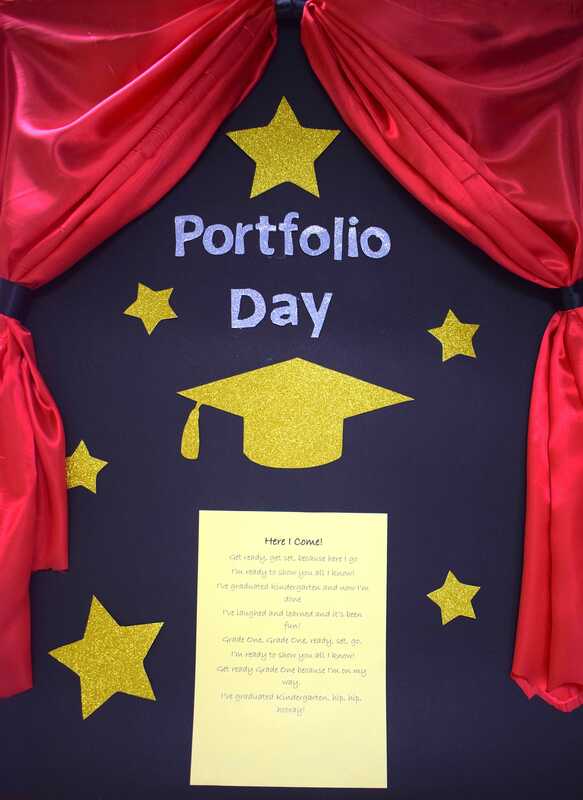 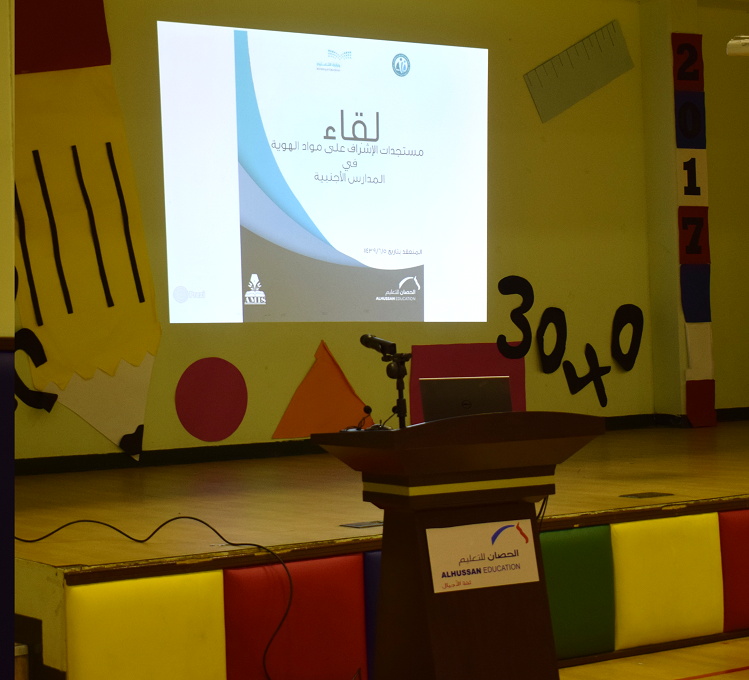 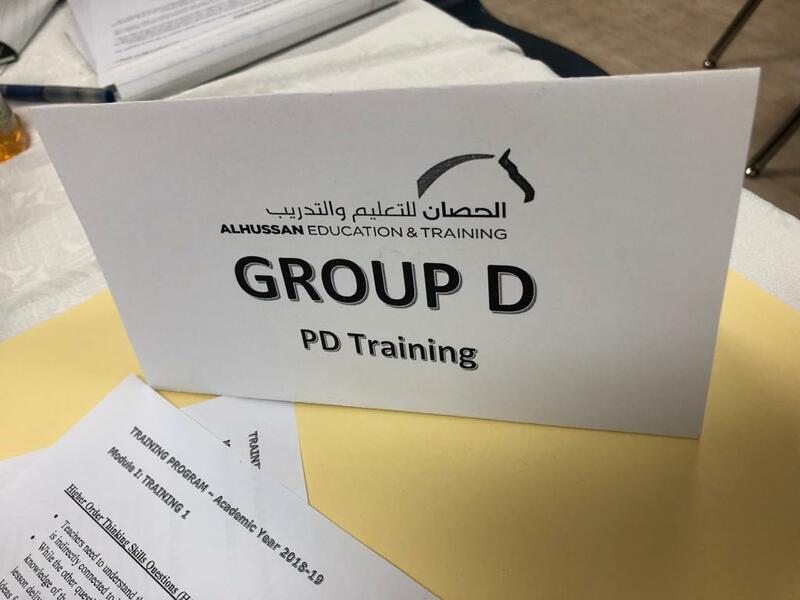 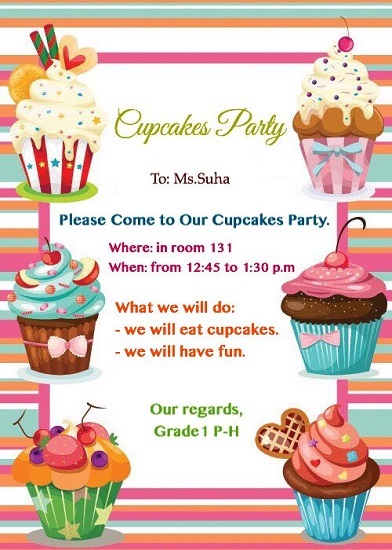 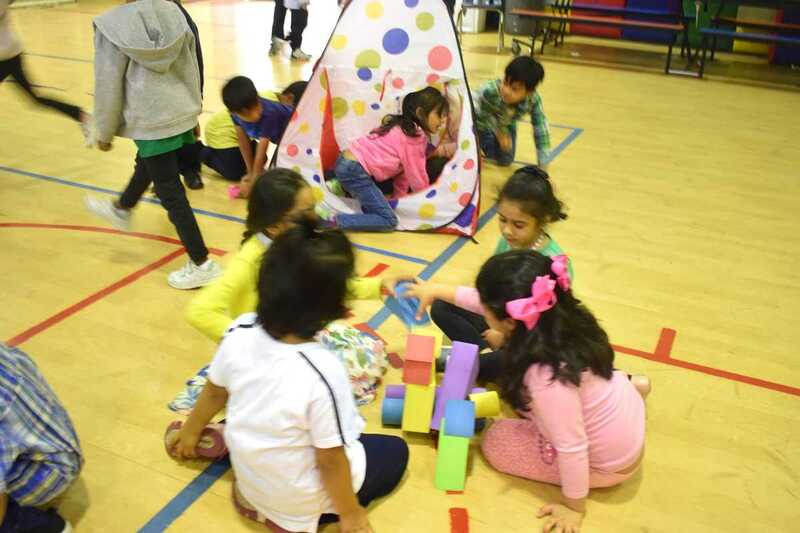 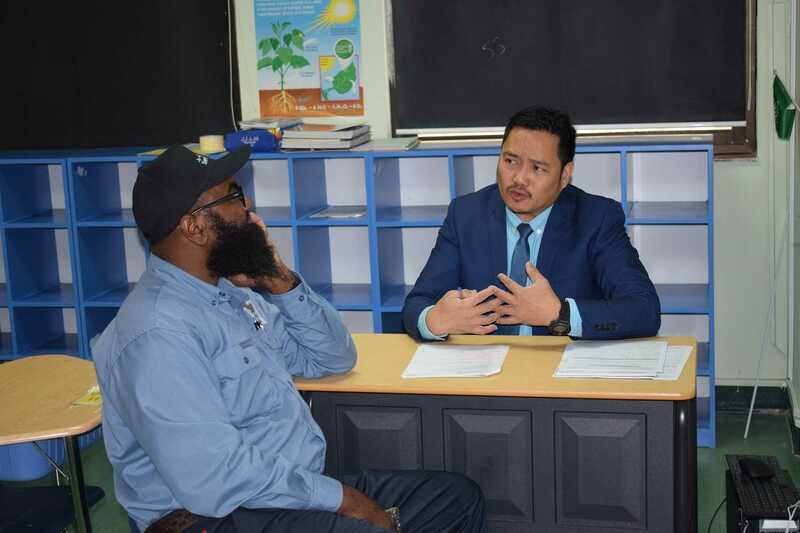 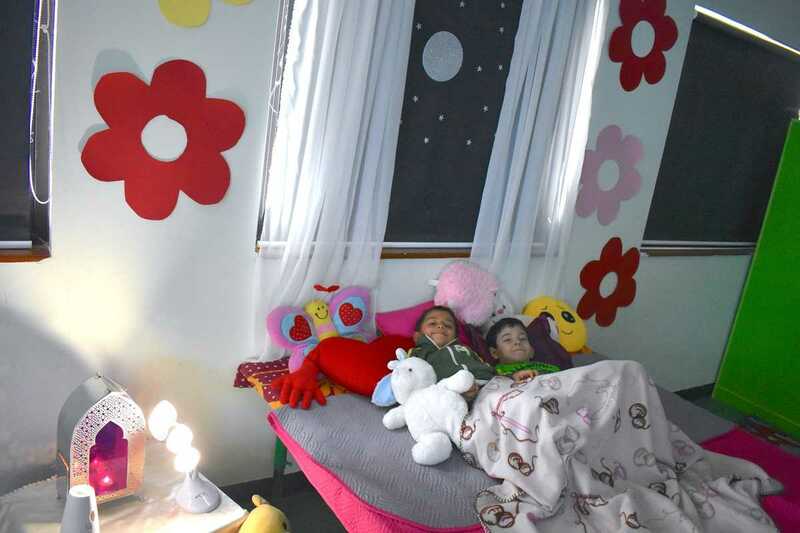 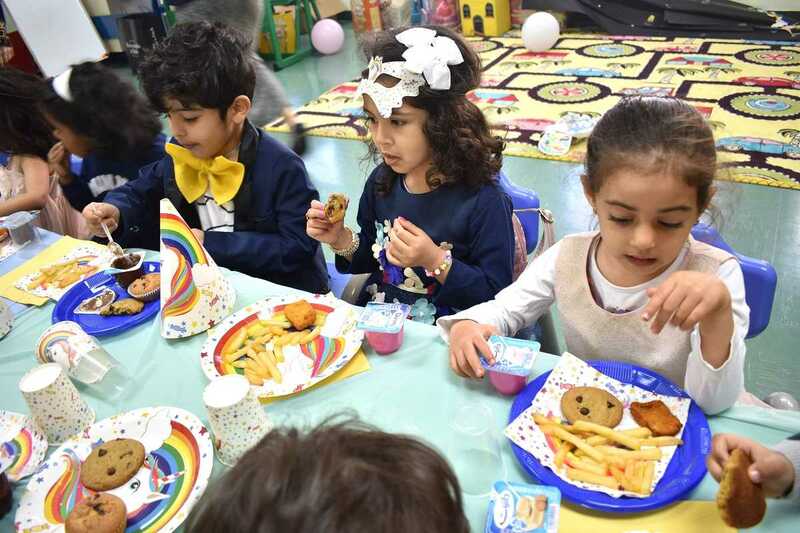 Teachers introduced themselves to the students, introduced the students to each others and helped them to get comfortable in the school environment. 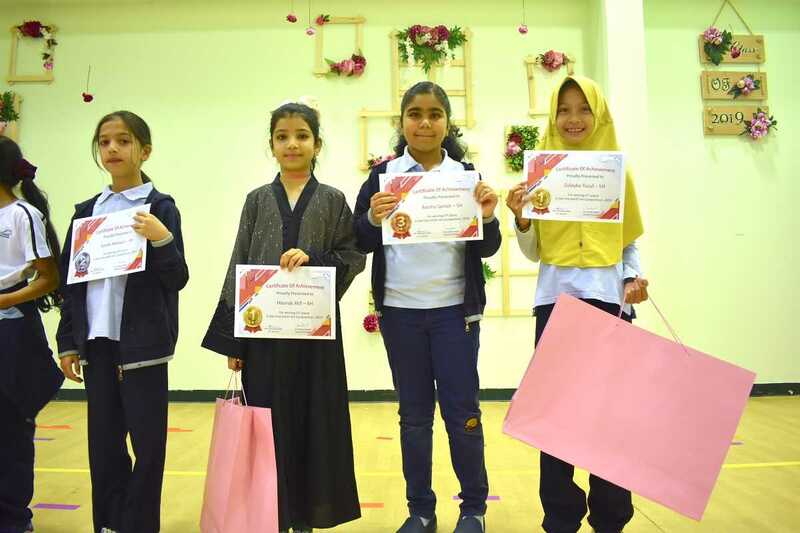 They distributed the badges, the welcome letter and the weekly plan to the students. 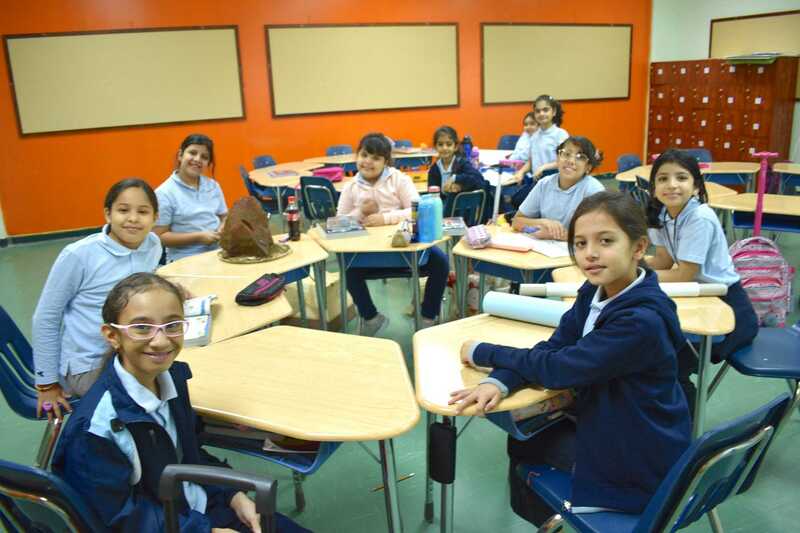 Then, they explained to them the classrooms instructions. 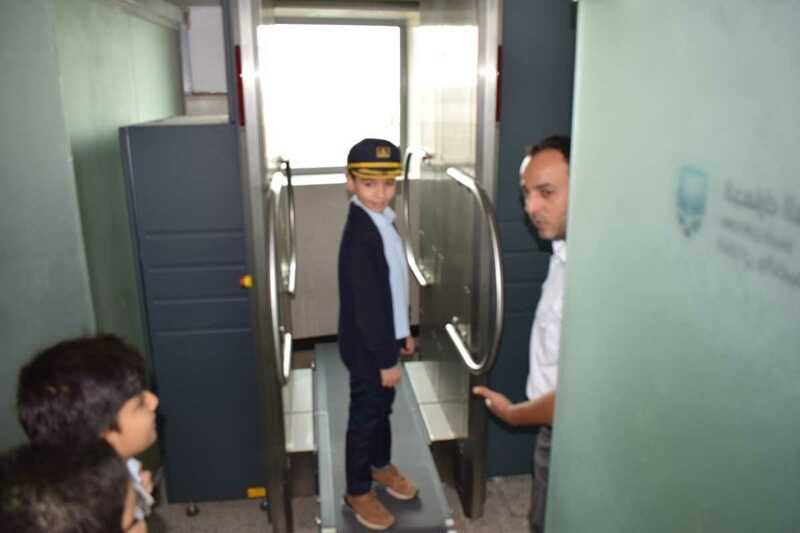 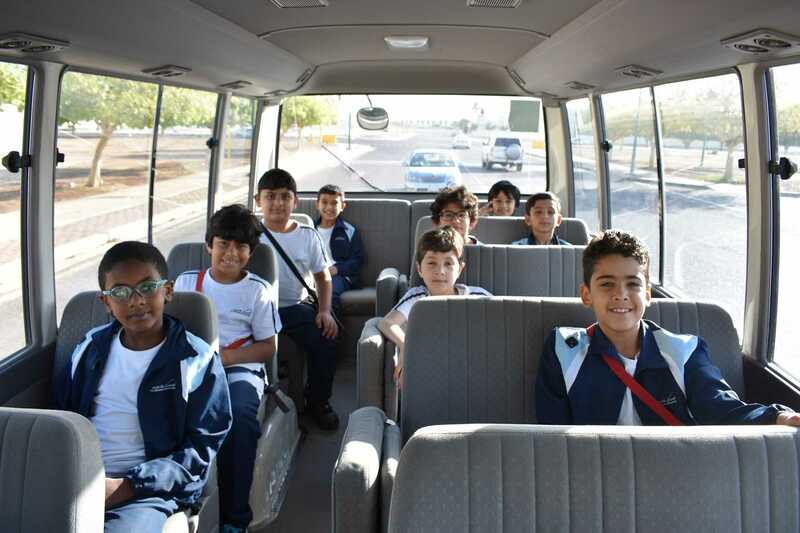 Homeroom teachers took their class students on the school tour and showed them the facilities. 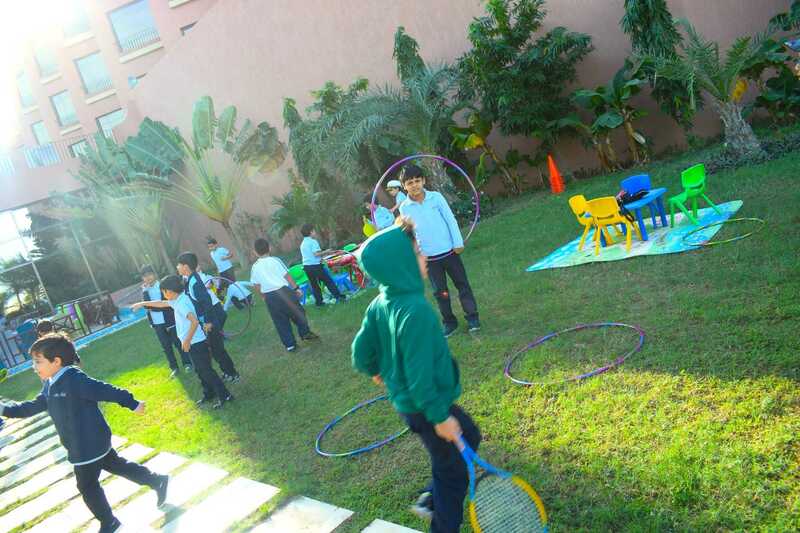 After that, the students had their breakfast then they went to the gym to enjoy the activities. 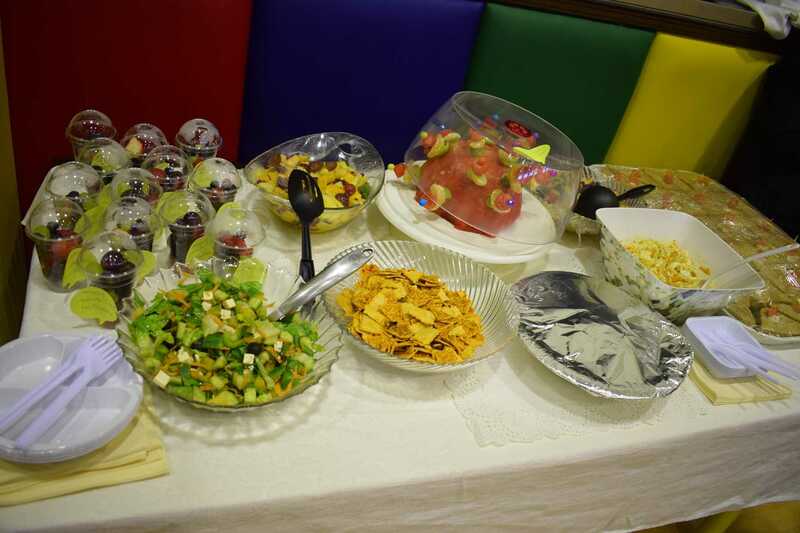 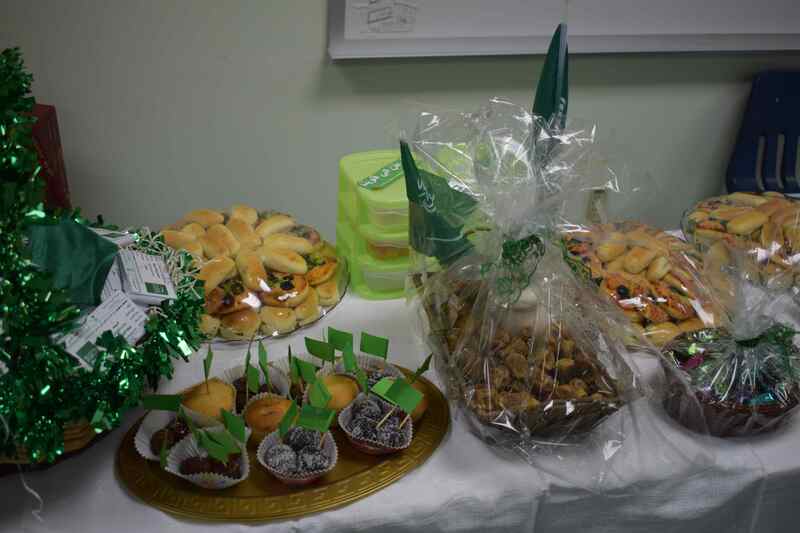 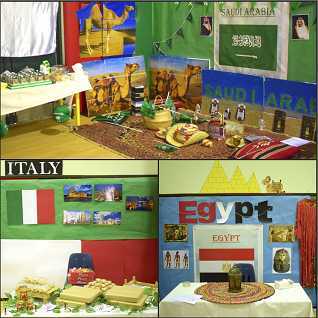 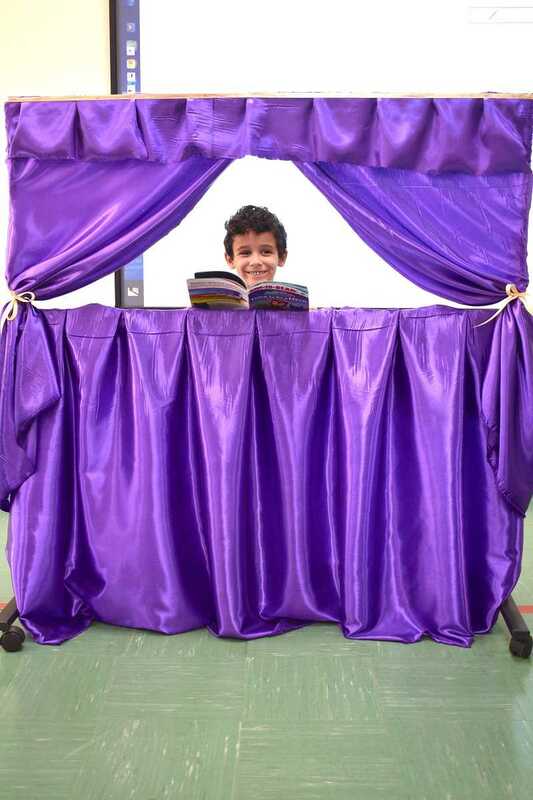 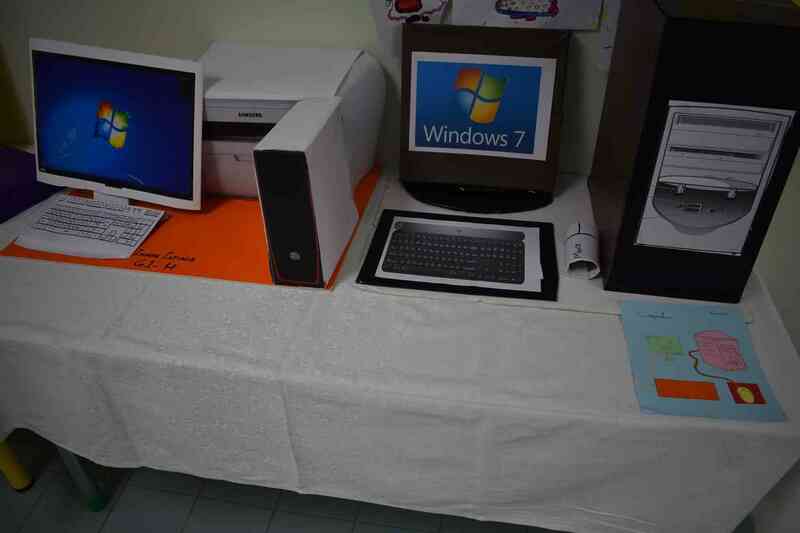 The teachers prepared different corners with summer theme and provided enjoyable activities to the students. 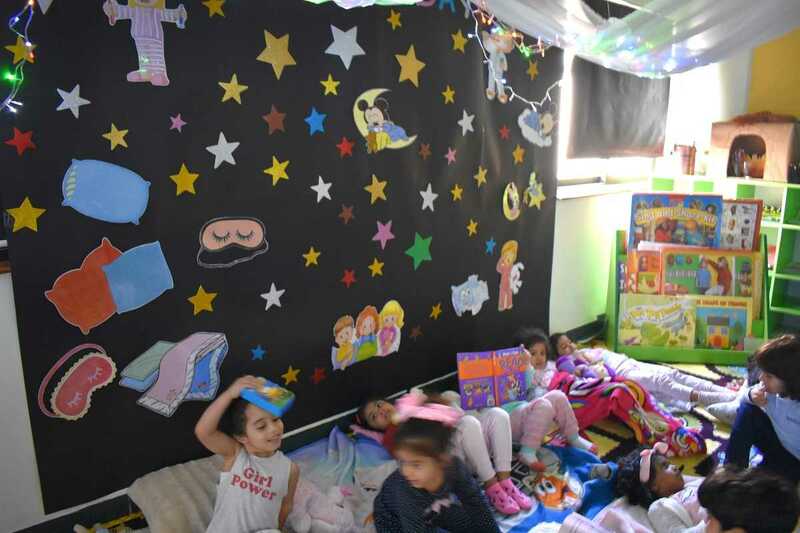 Corners are: Art and Craft Corner, Photography Corner, Face Painting Corner, Summer Desserts Corners and Beauty Salon. 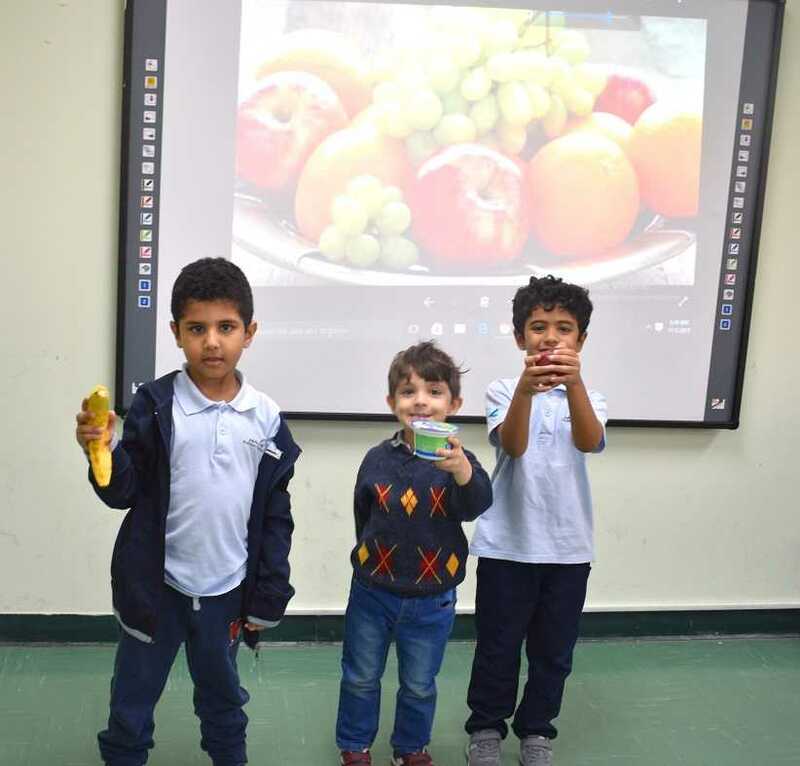 After done with the activities, children enjoyed watching cinema show and having snacks. 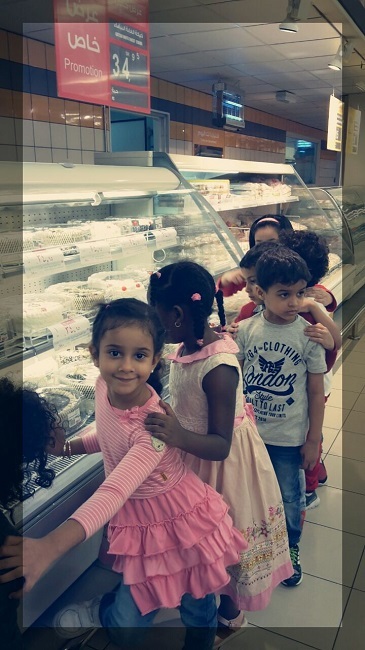 They spent a nice time with their new friends. 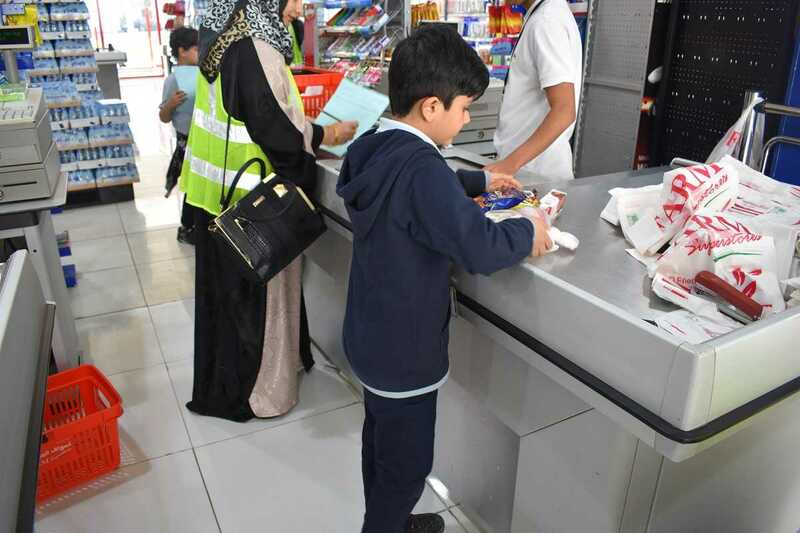 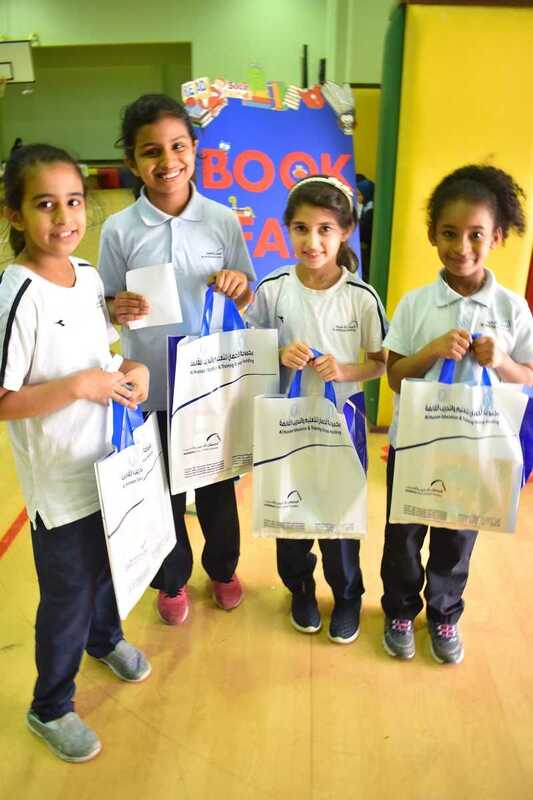 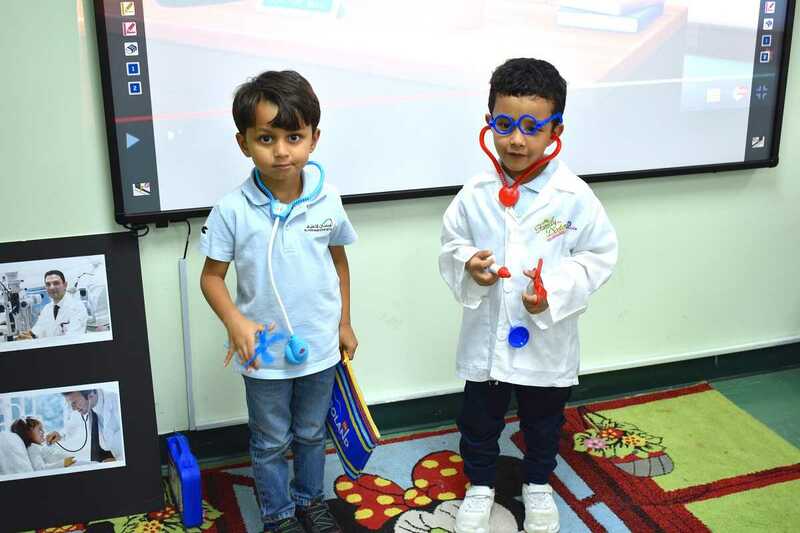 Sunday 2nd of September 2018, Al Hussan International School Yanbu welcomed their young learners and celebrated back to school after summer vacation. 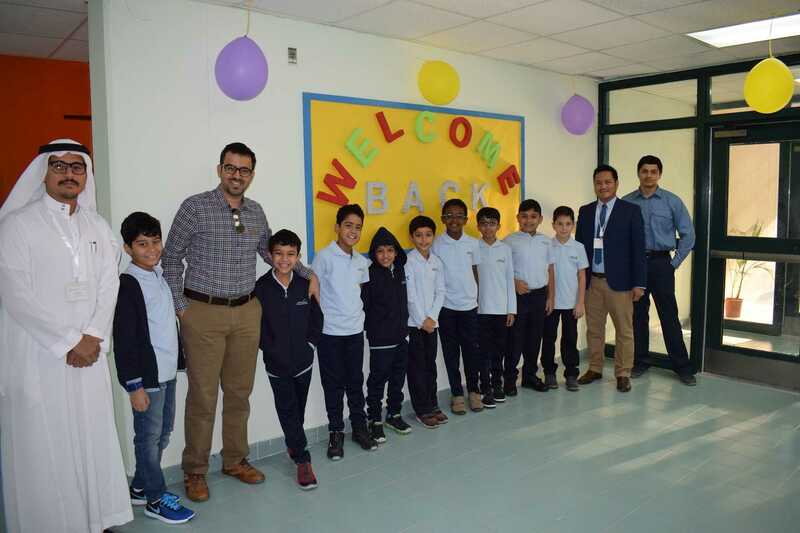 Early in the morning, the staff welcomed the students in their first day of school and guide them to their respective classrooms. 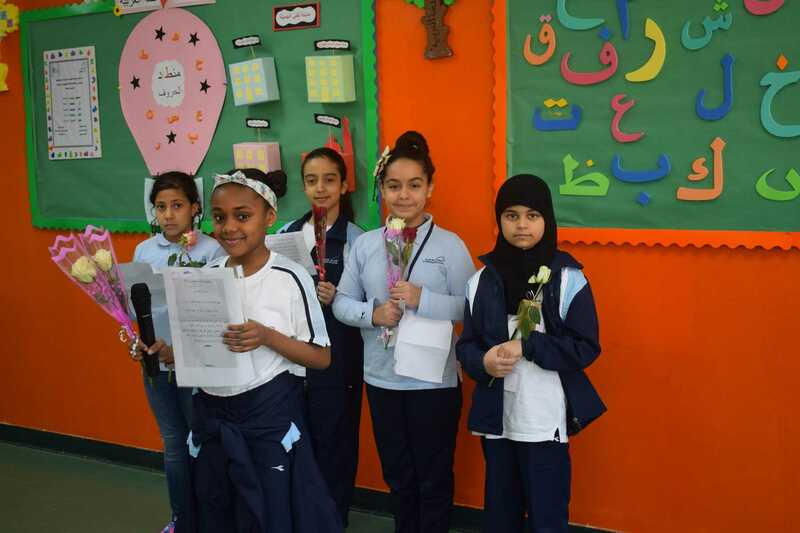 Teachers introduced themselves to the students, introduced the students to each others and helped them to get comfortable in the school environment. 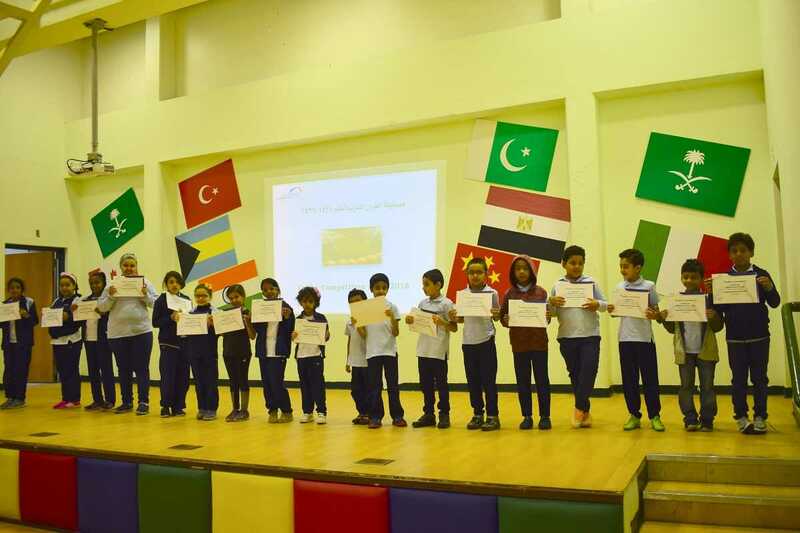 They distributed the badges, the welcome letter and the weekly plan to the students. 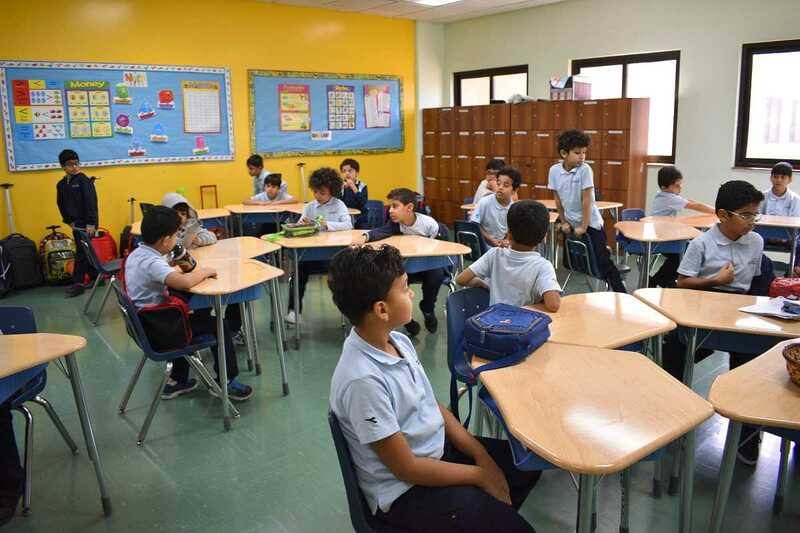 Then, they explained to them the classrooms instructions. 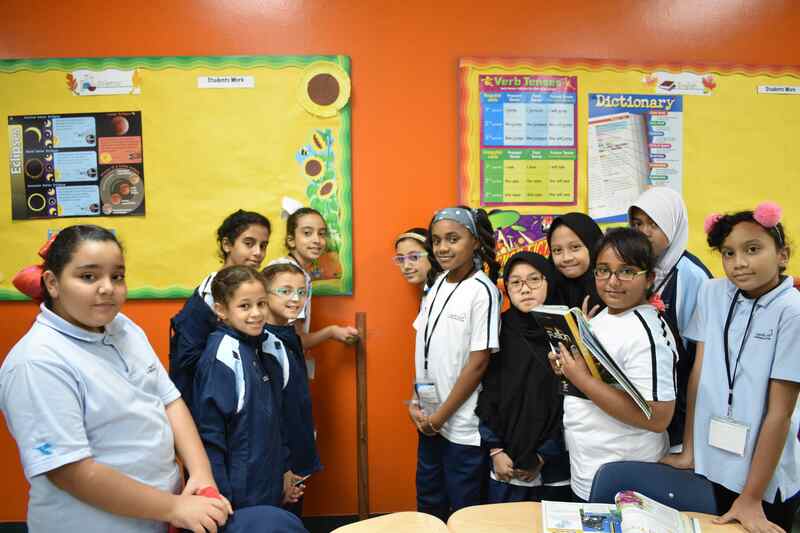 Homeroom teachers took their class students on the school tour and showed them the facilities. 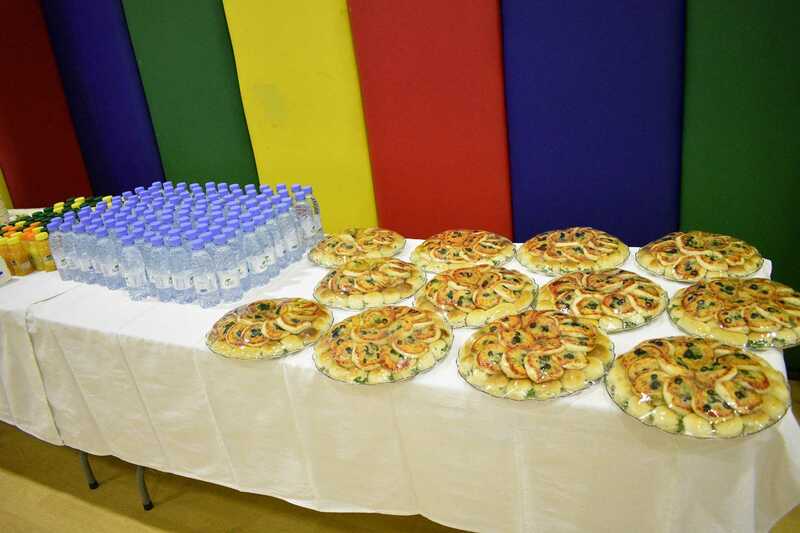 After that, the students had their breakfast then they went to the gym to enjoy the activities. 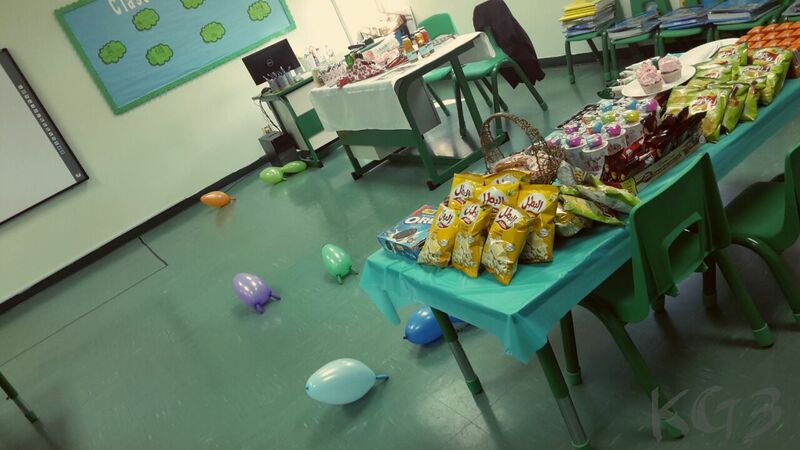 The teachers prepared different corners with summer theme and provided enjoyable activities to the students. 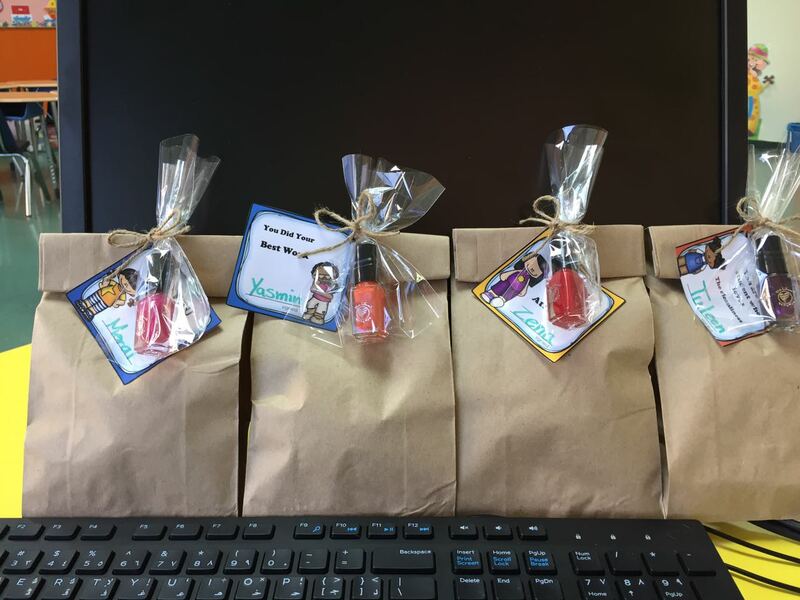 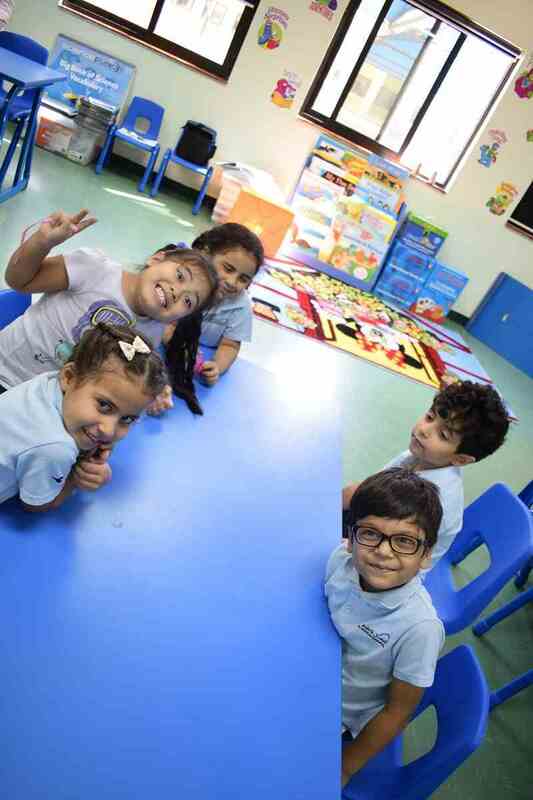 That will help them getting to know their classmates in a relaxed atmosphere and to begin the year with a positive experience. 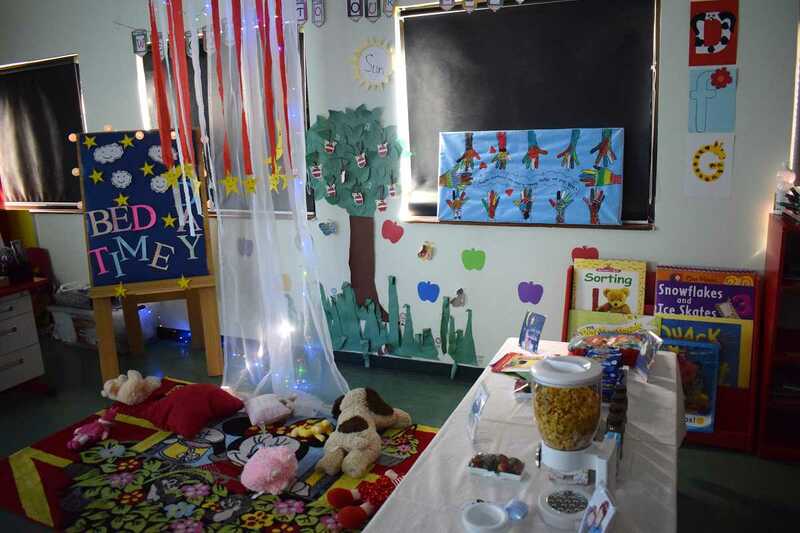 Corners are: Art and Craft Corner, Photography Corner, Face Painting Corner, Summer Desserts Corners, Beauty Salon and Games and puzzles Corner. 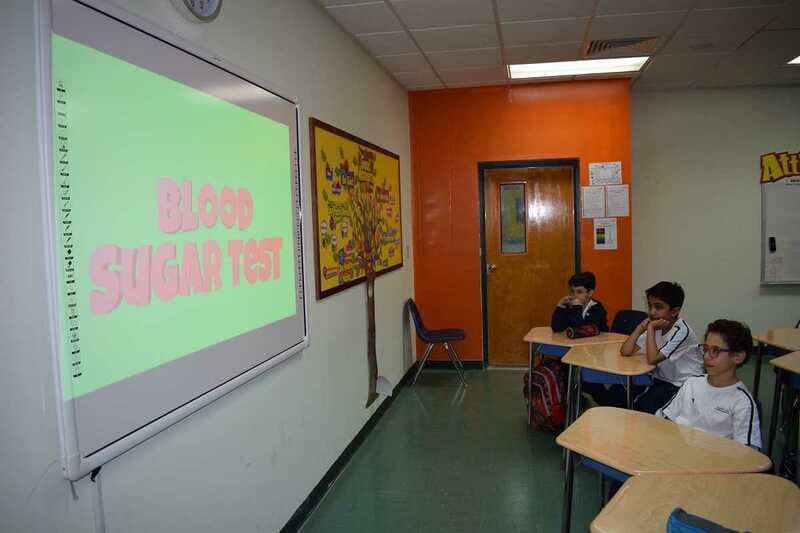 After done with the activities, the students enjoyed watching cinema show and having snacks. 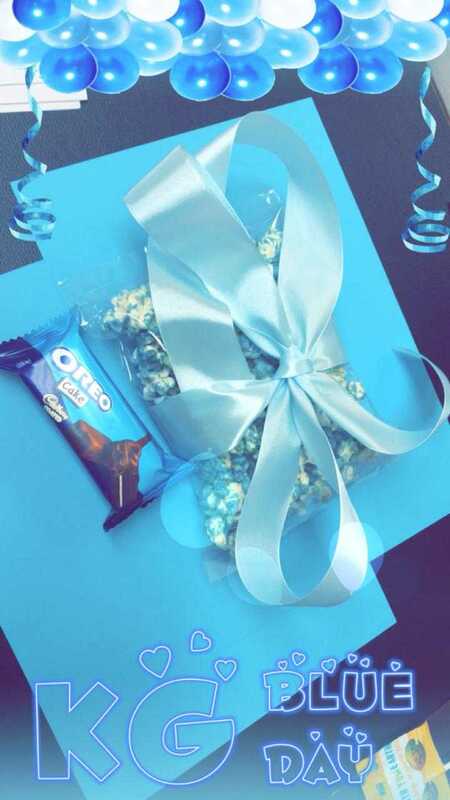 It was a happy and wonderful day. 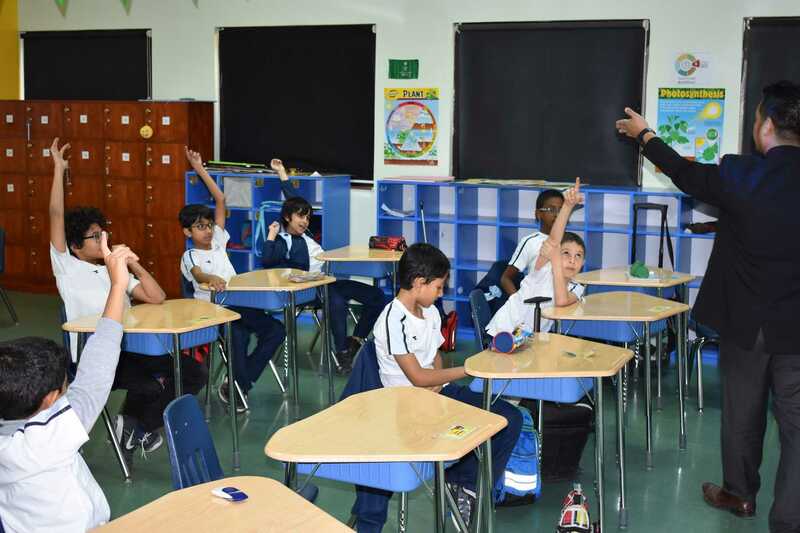 On the 2nd of September 2018, the Grades 4 &amp; 5 male students of AHISY had their Jumpstart Day. 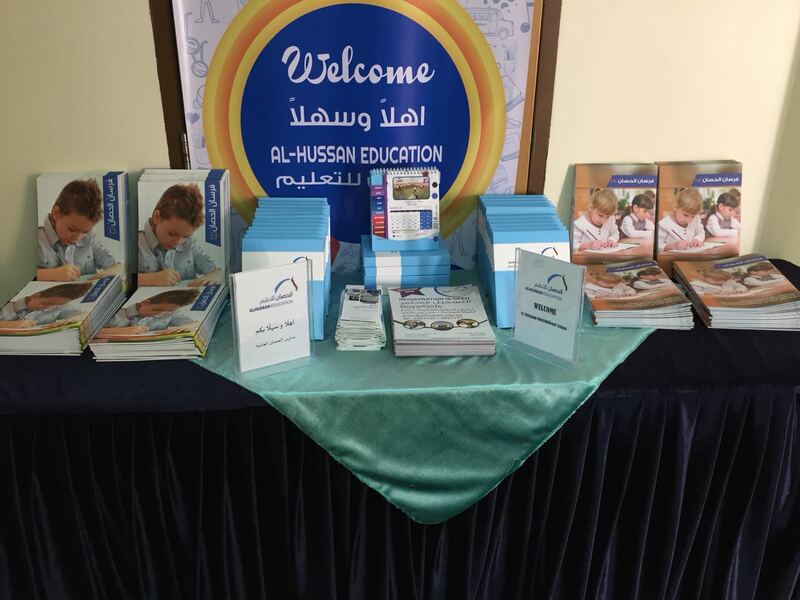 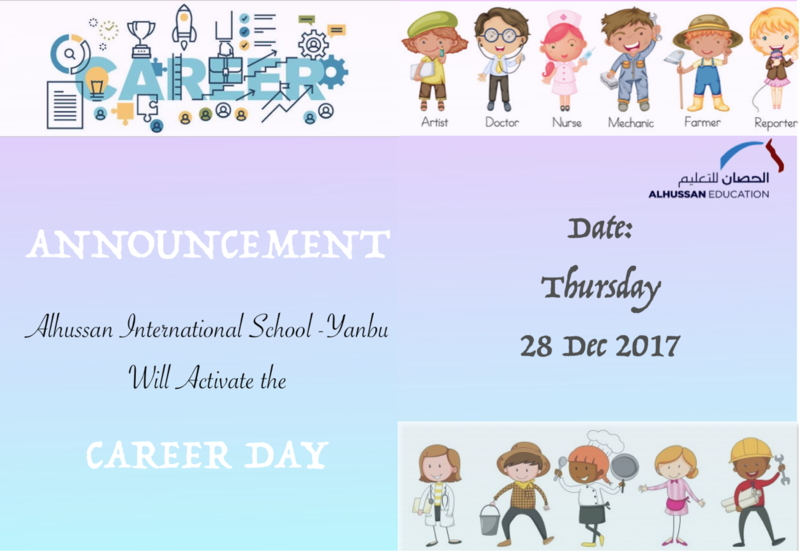 The event, which is an entire day learning experience, aimed primarily for learners to become more comfortable with the school learning atmosphere and get more acquainted about the school. 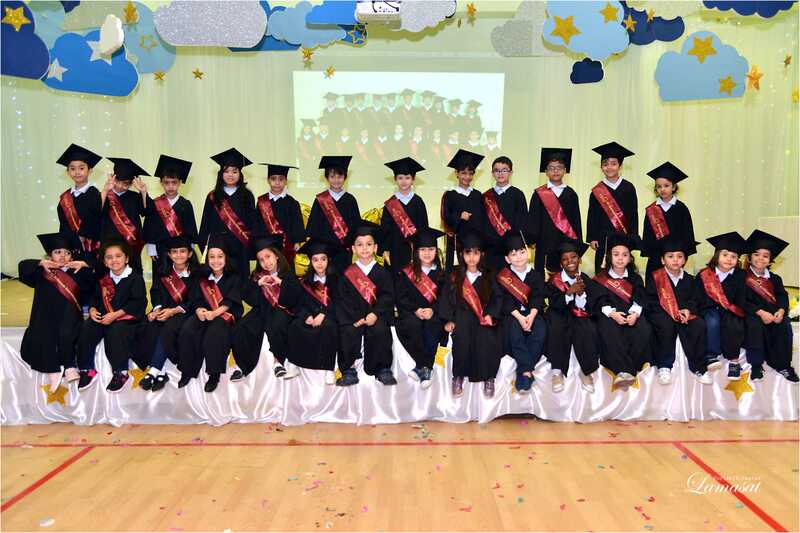 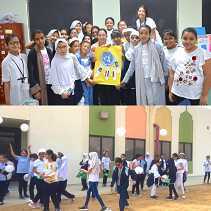 Accordingly, the students together with their homeroom teachers were engaged in various activities such as discussion of the school and class rules, orientation about the subject areas, setting of expectations for both teachers and students, brainteaser and brain gym exercises, and film viewing. 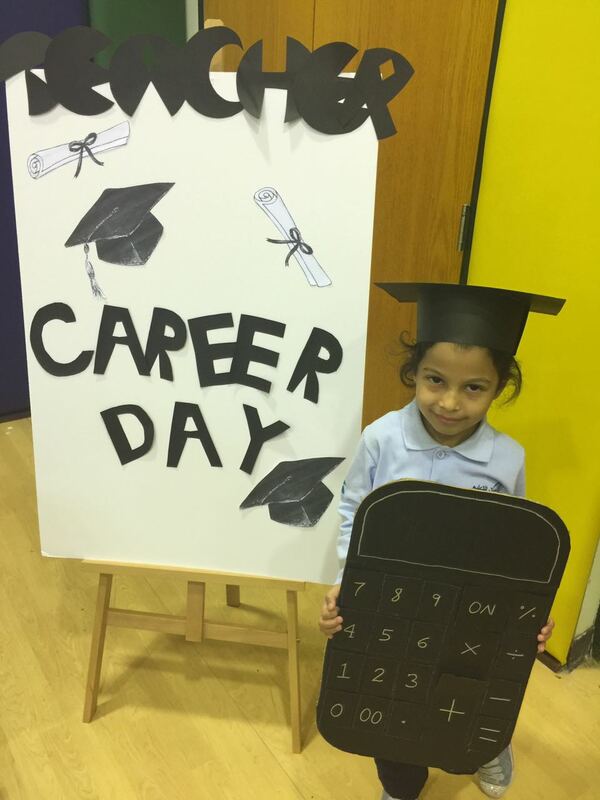 Most importantly, the Jumpstart Day served as an avenue for teachers to start building positive relationships with their students. 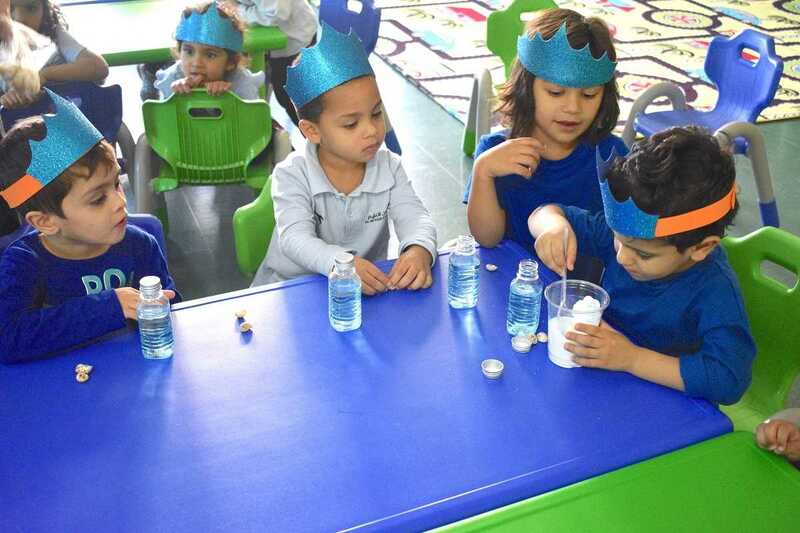 Groups represent solids, liquids and gases using materials available in the classroom. 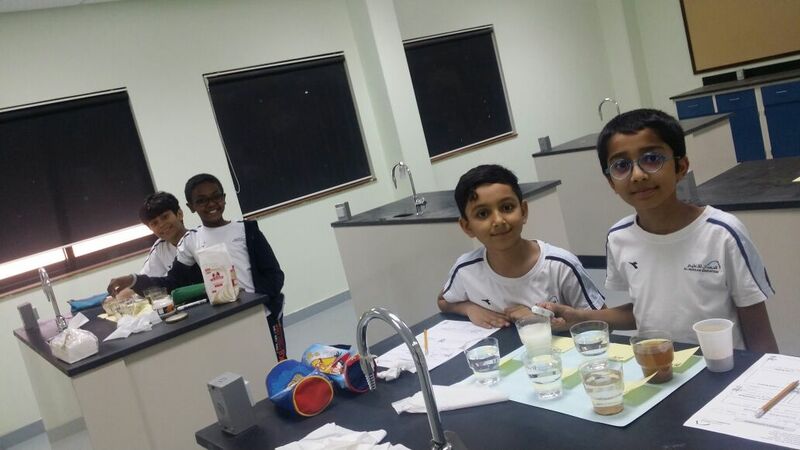 It is Science Class-so be ready to explore, observe, infer and conclude. 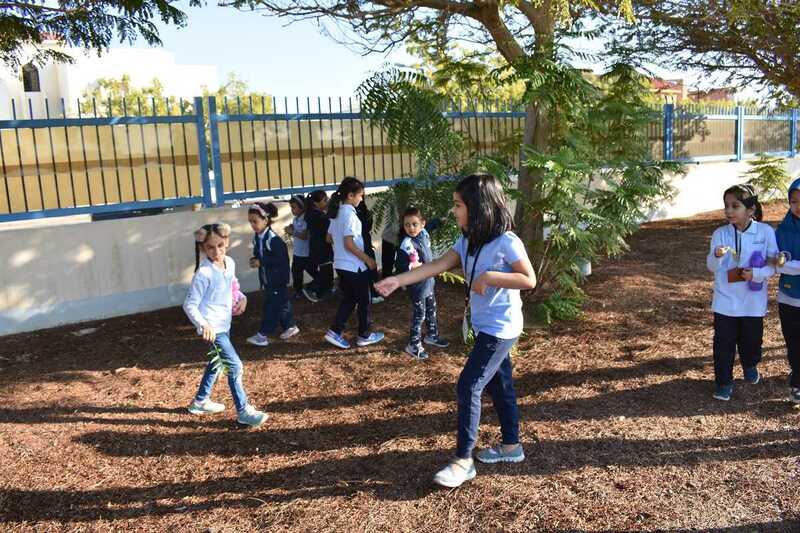 Fun learning is all around! 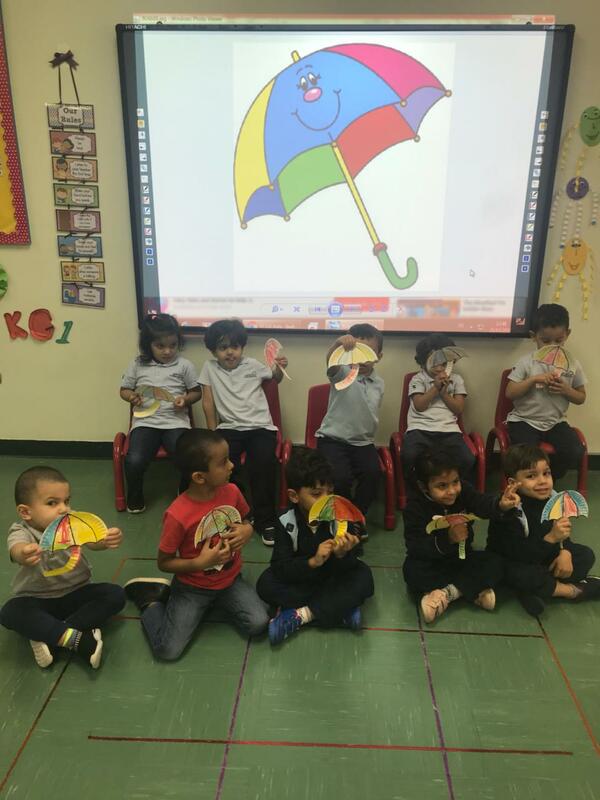 KG1 students had English activity under the title: Letter U is for Umbrella. 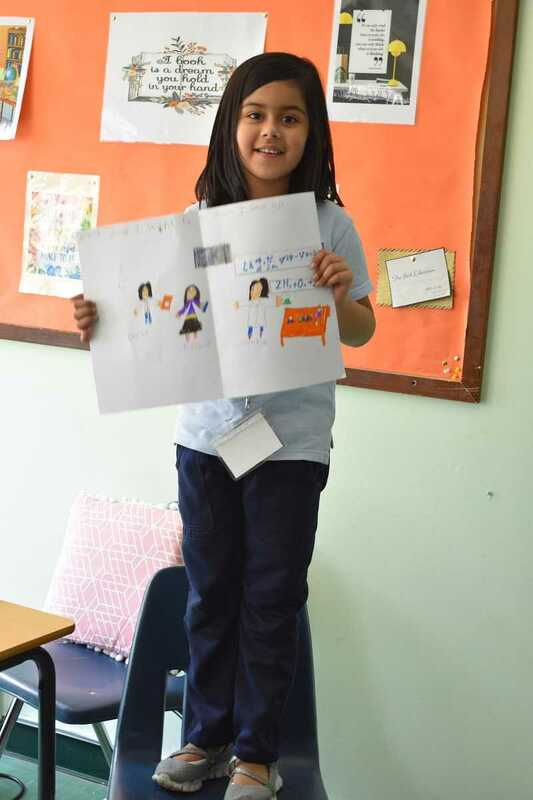 They designed simple and cute umbrella with the help of the teacher. 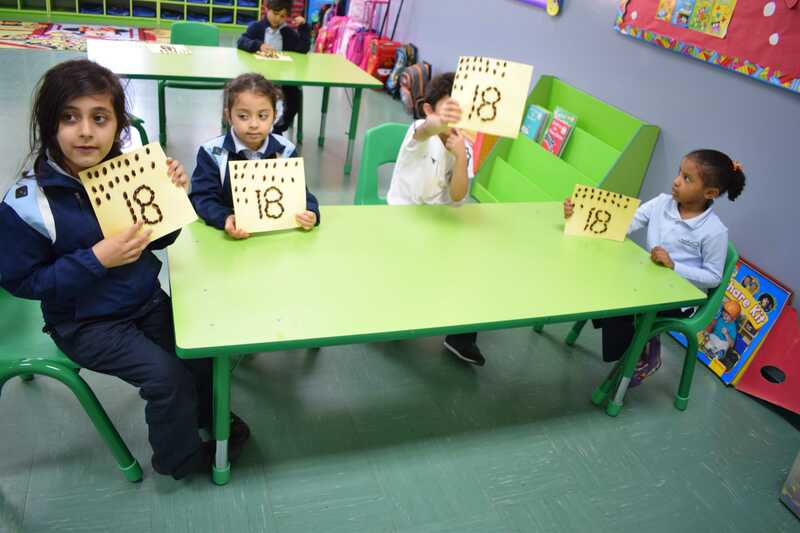 KG-2 children had Math activity about number 18. 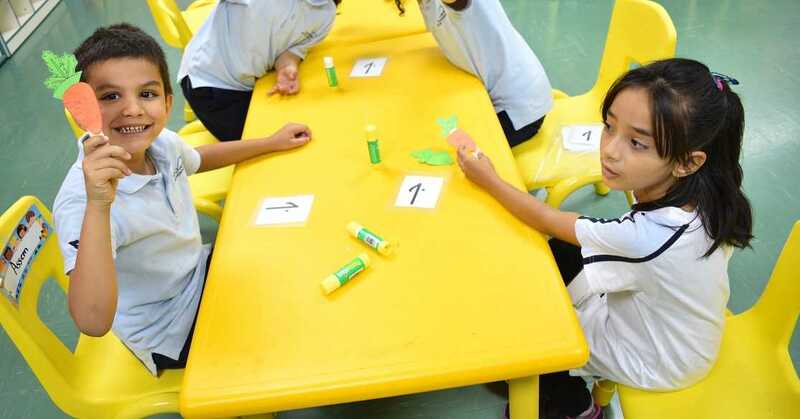 Learners pasted seeds to form number 18. 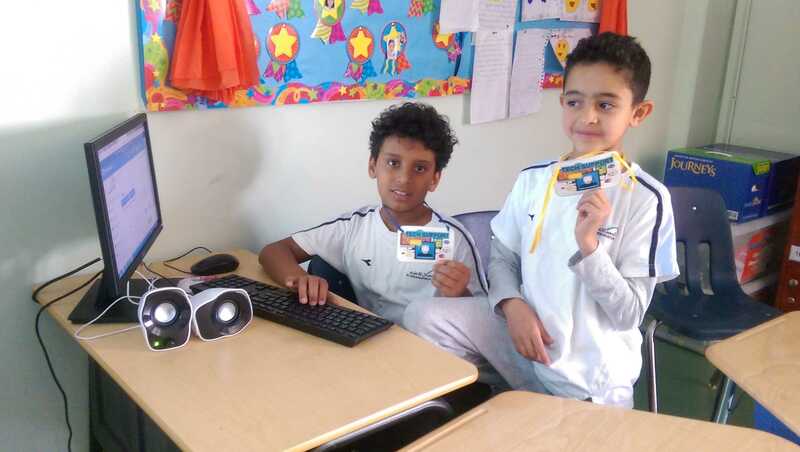 The activity helped them to understand the number and memorize it. 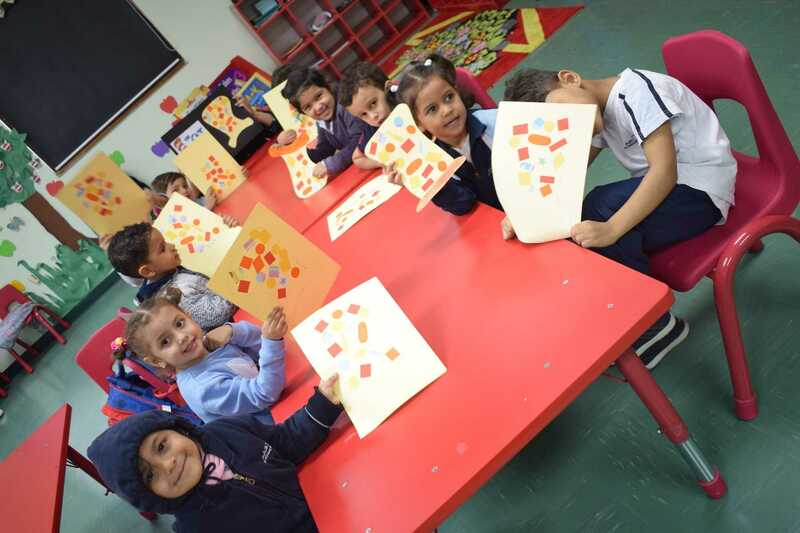 KG-2 children in AHISY had English activity under the title: Letter Q is for Quilt. 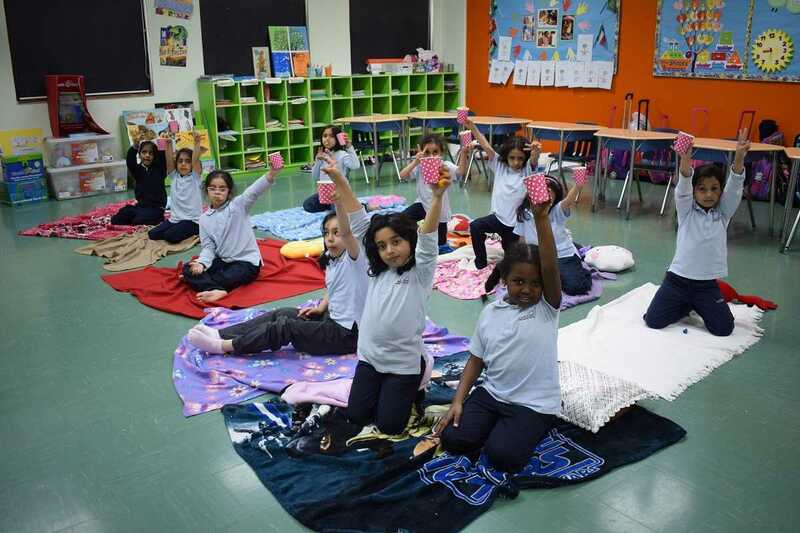 With this activity, children learned how to write, spell the letter Q and designed nice quilts. 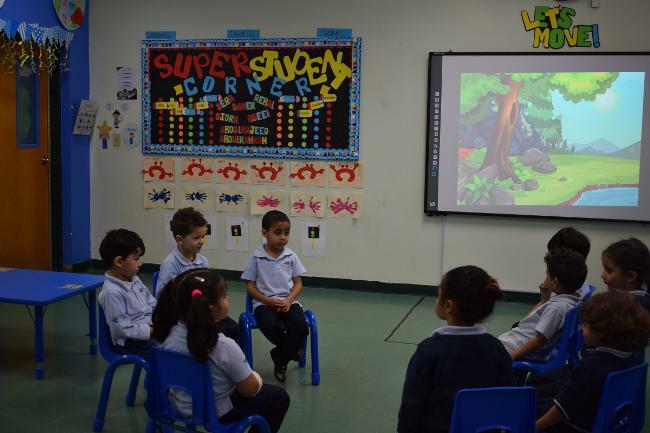 KG2 students had English lesson about the opposites. 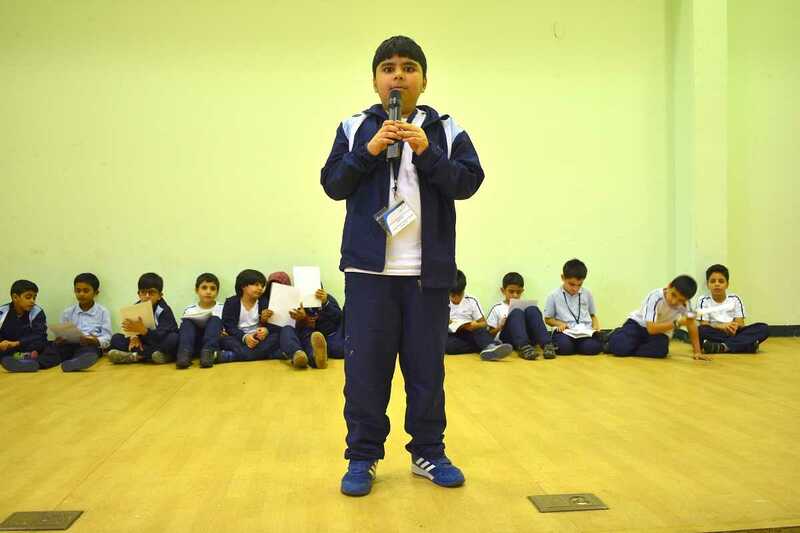 They learned the words left and right and conducted an enjoyable activity with the teacher. 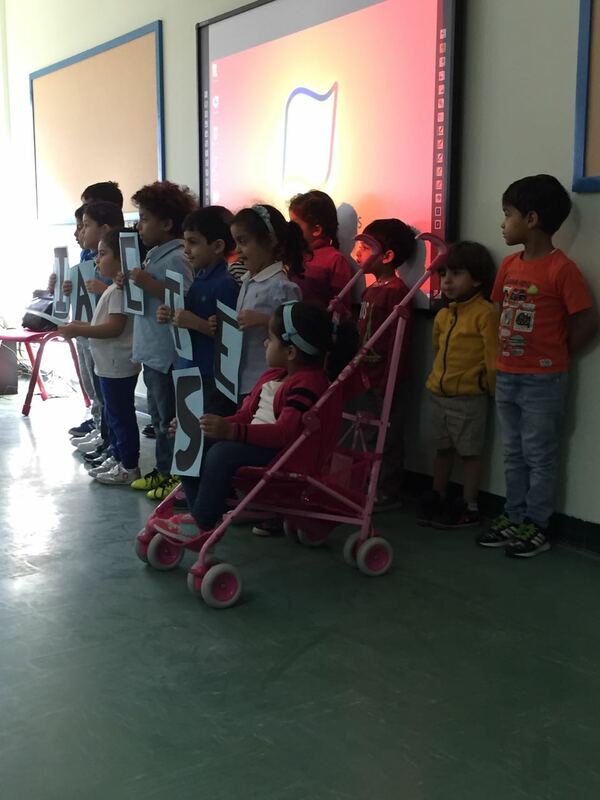 KG-2 children had English activity under the title: letter V is for Vest. 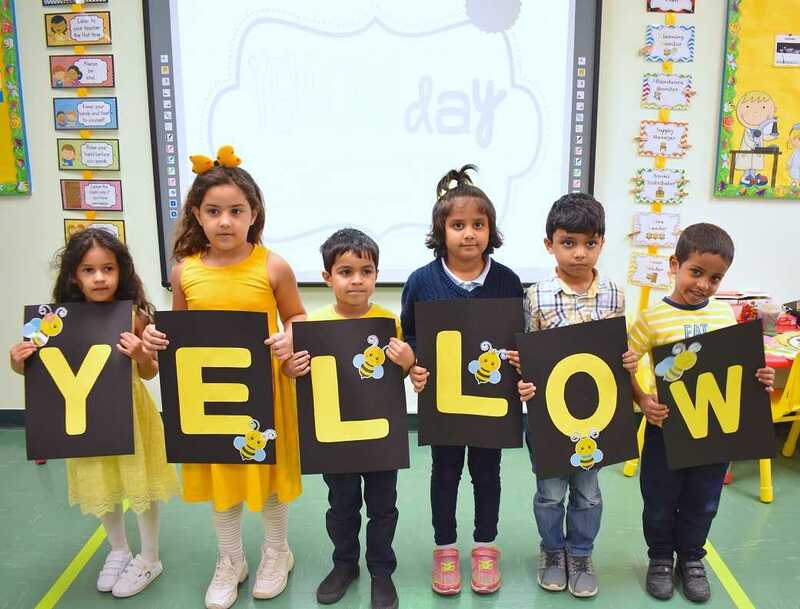 They learned how to write and spell the letter V and designed nice vests. 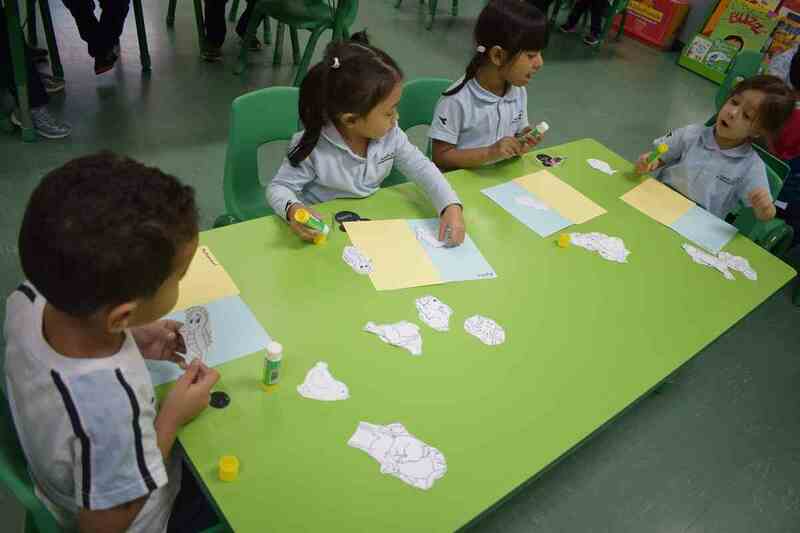 KG-2 children had Math activity about number 17. 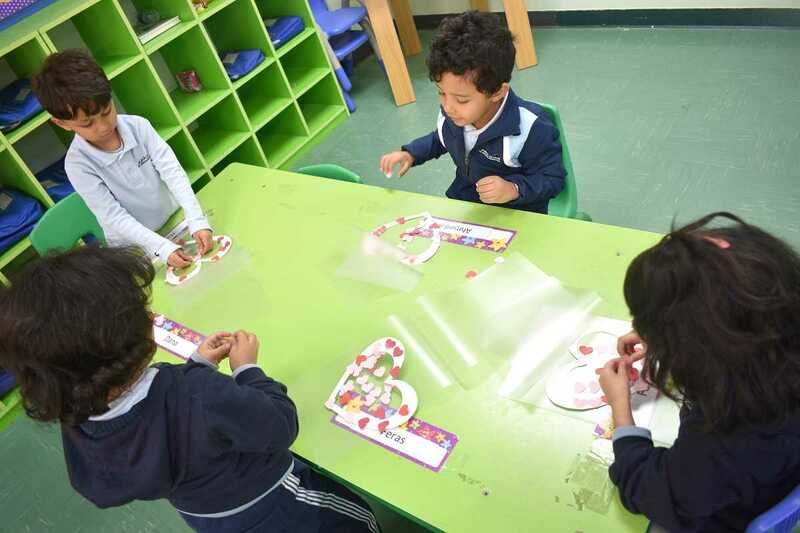 Learners pasted straws to form number 17. 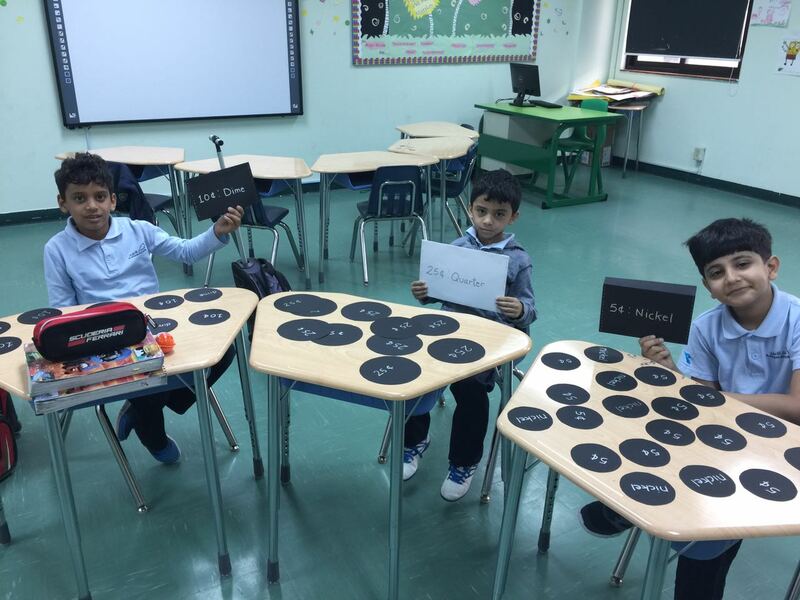 The activity helped them to understand the number and memorize it. 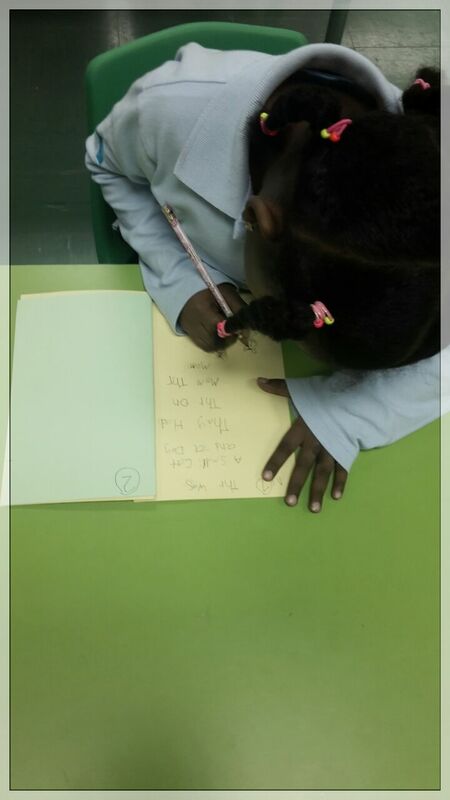 AHISY had an English activity for KG 2 children about the letter U. 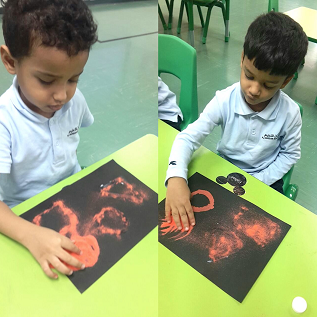 The children learned how to write and spell the letter U with the help of this interesting activity. 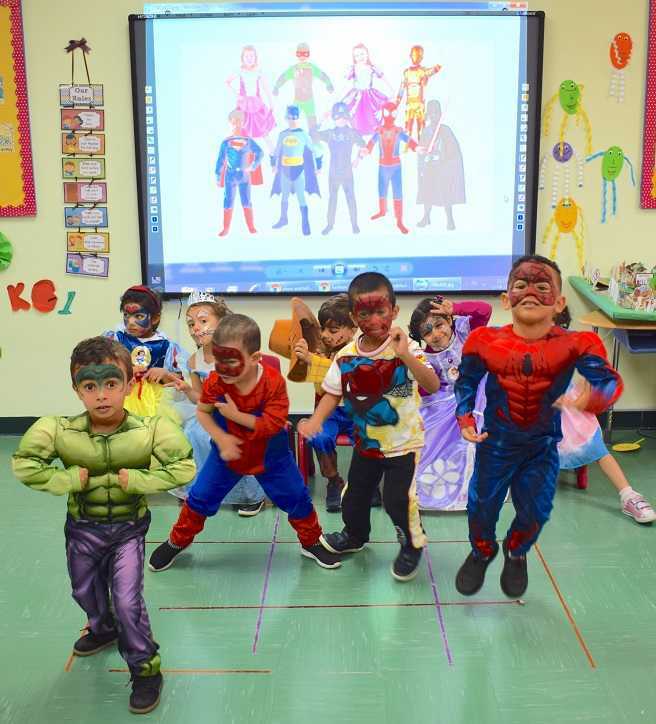 KG-1 children learned the letter W in English lesson. 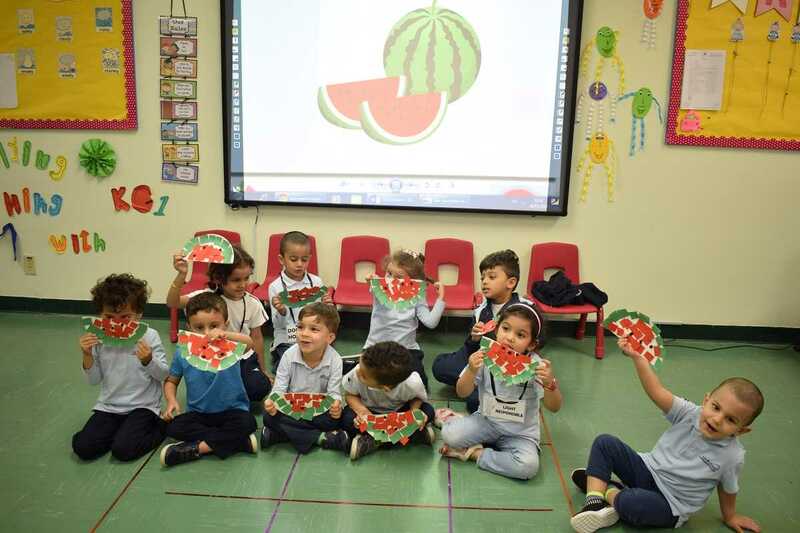 They enjoyed designing nice watermelons with the help of the teachers. 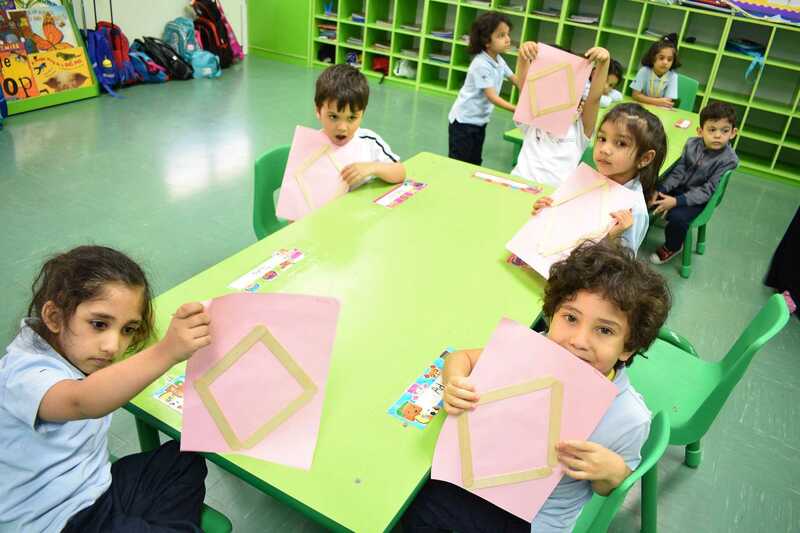 KG-2 children had math activity about the shape &quot;Cone&quot;. 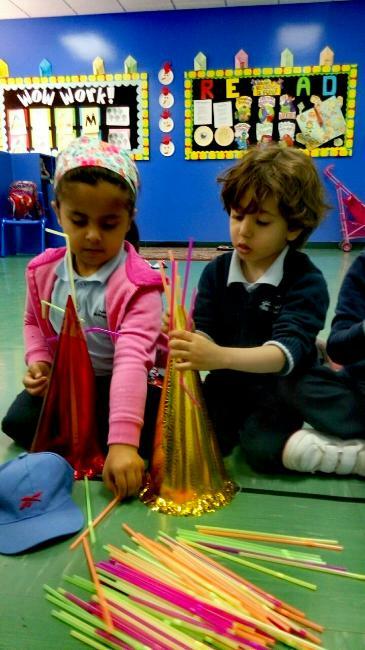 They designed nice, colorful cones with the help of their teacher. 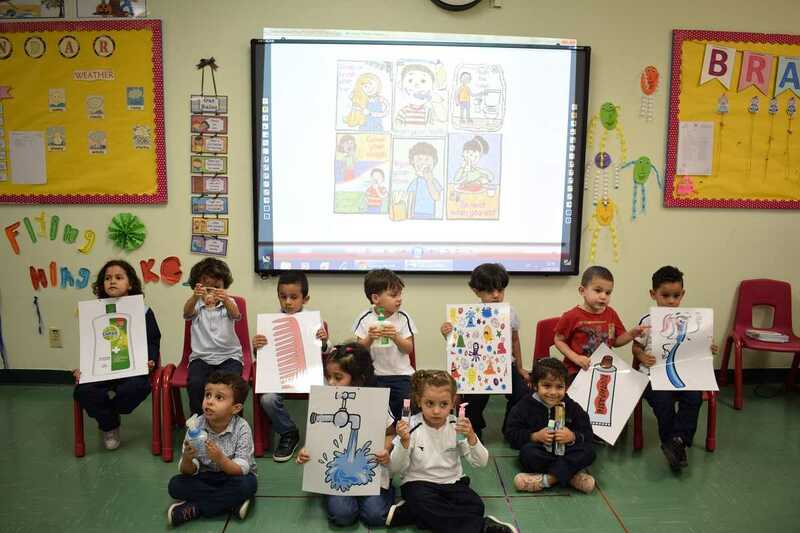 KG-2 students had a colors related activity. 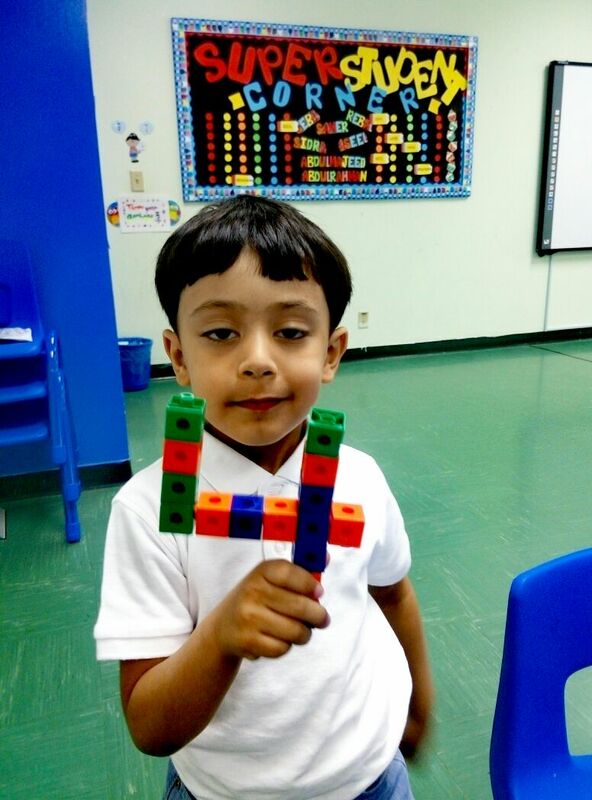 They sorted different shapes according to the colors. 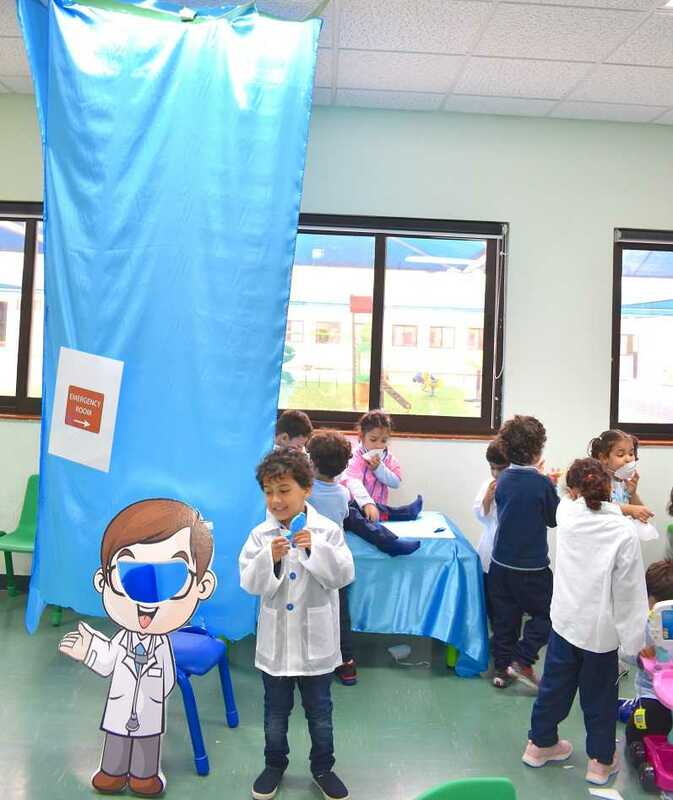 The children were happy and excited with the activity. 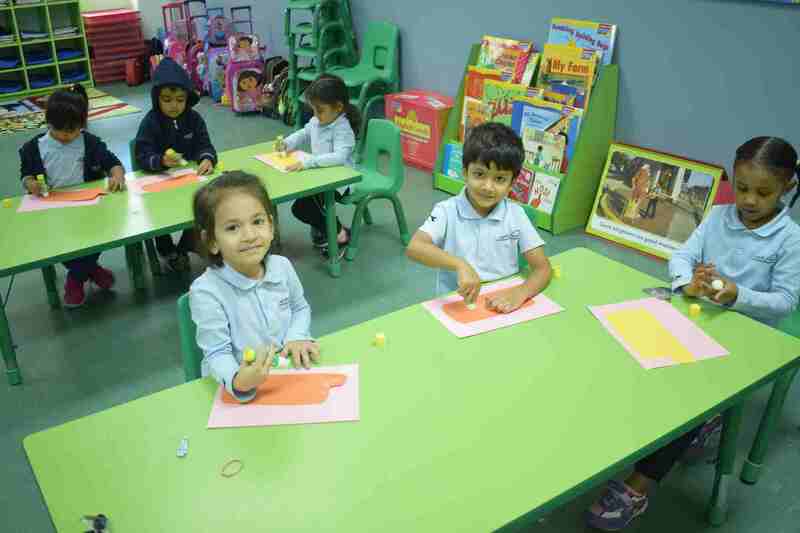 KG-2 children had Math activity. 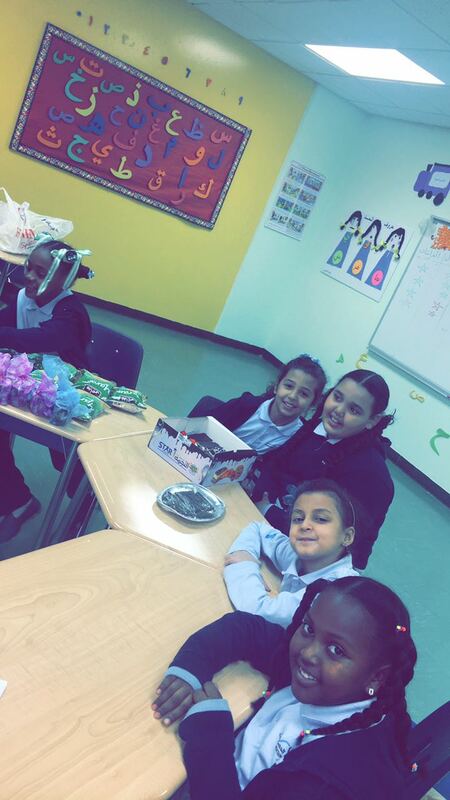 Learners were very enthusiastic to draw 16 chocolate chips for a cookie. 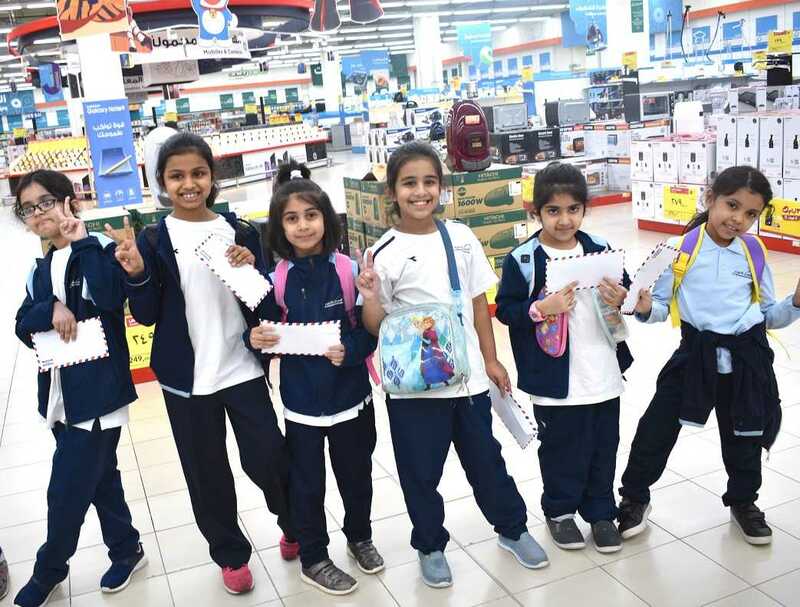 It helped them to understand the number 16. 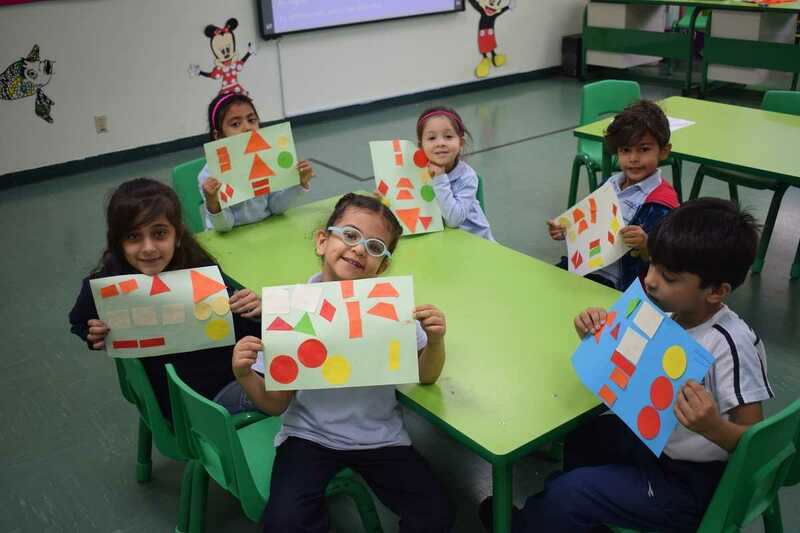 KG-2 children had another Math activity about sorting shapes. 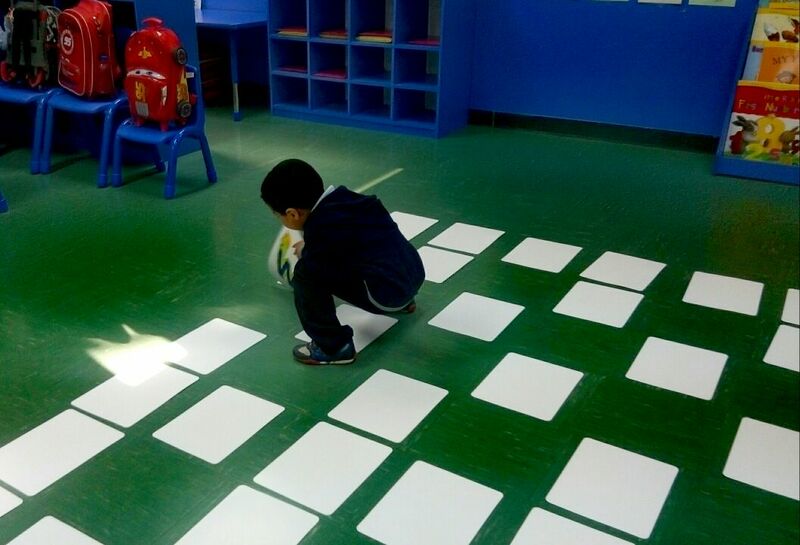 They sorted the shapes and put them in separate groups. 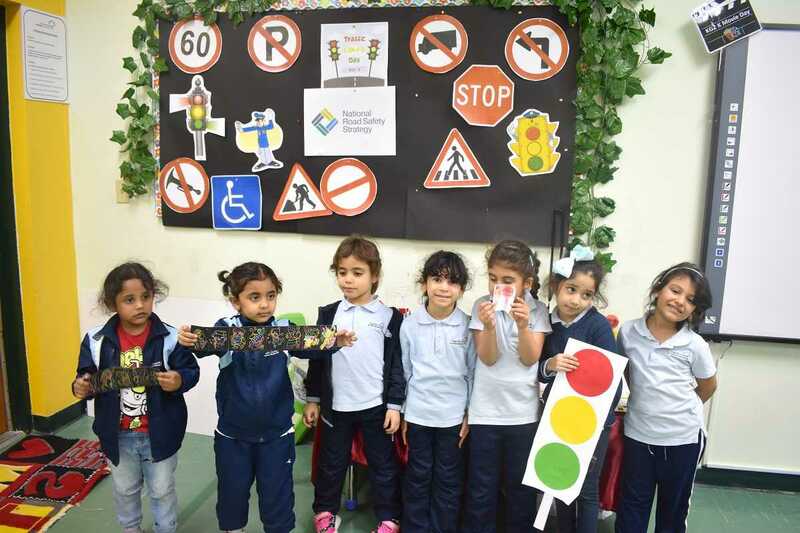 KG1 children had show and tell activity about the transportation. 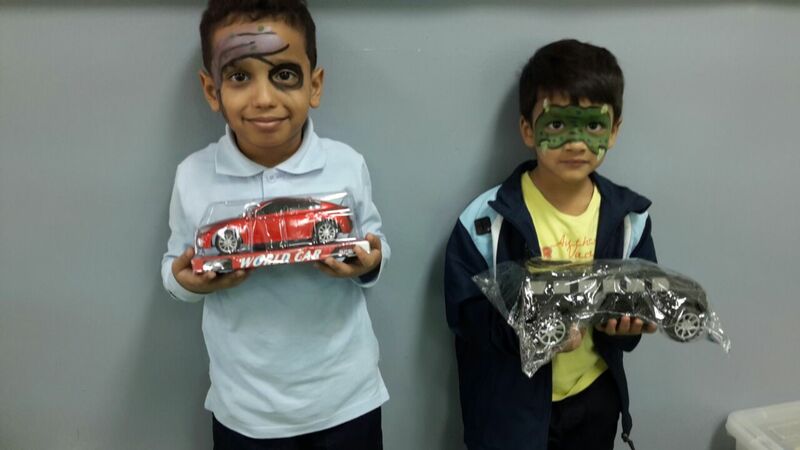 The children brought with them different forms of transportation. 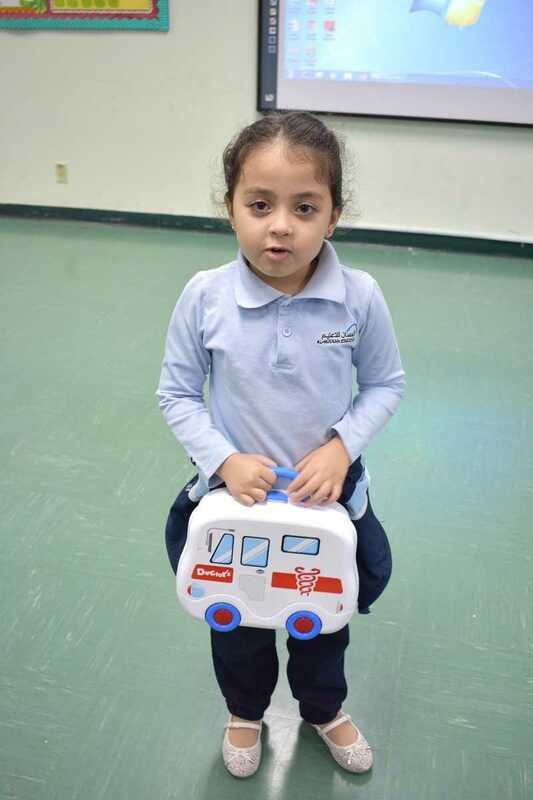 They showed their transportation item and talked about it. 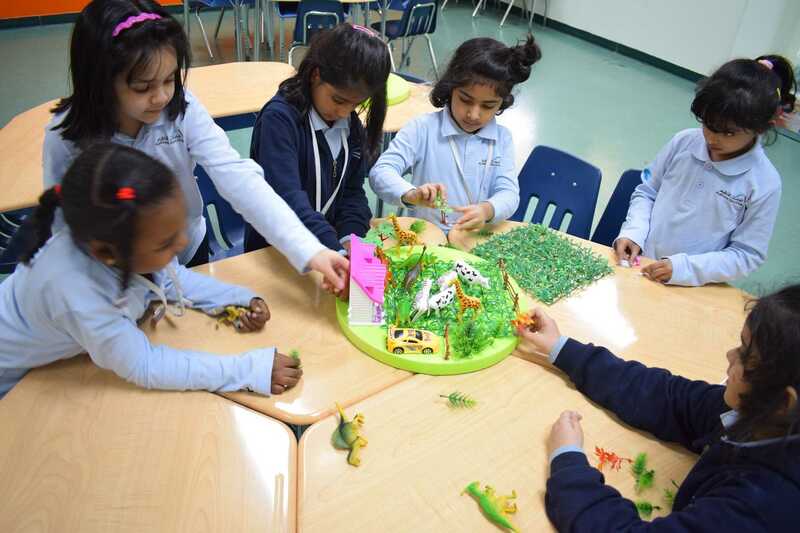 KG 2 students had Show and Tell activity about the Dinosaurs. 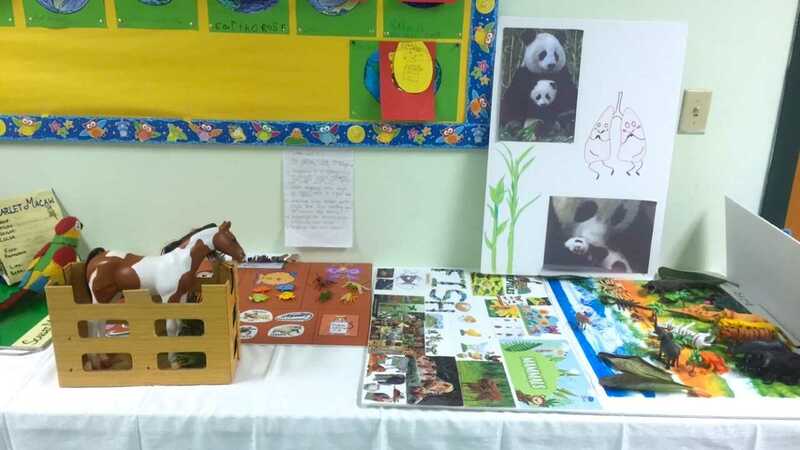 The children brought their favorite dinosaur&#39;s toy animals and book. 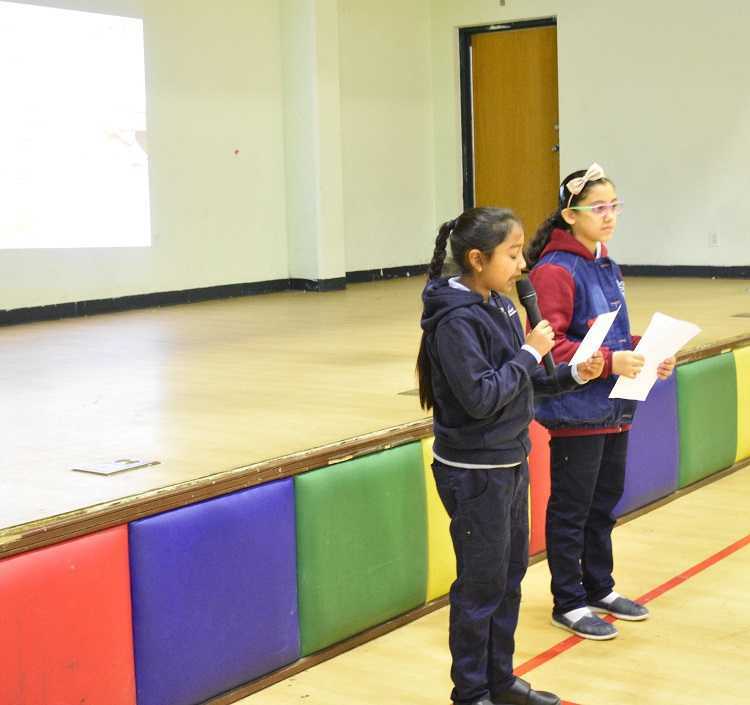 They described the animals and talked about it. 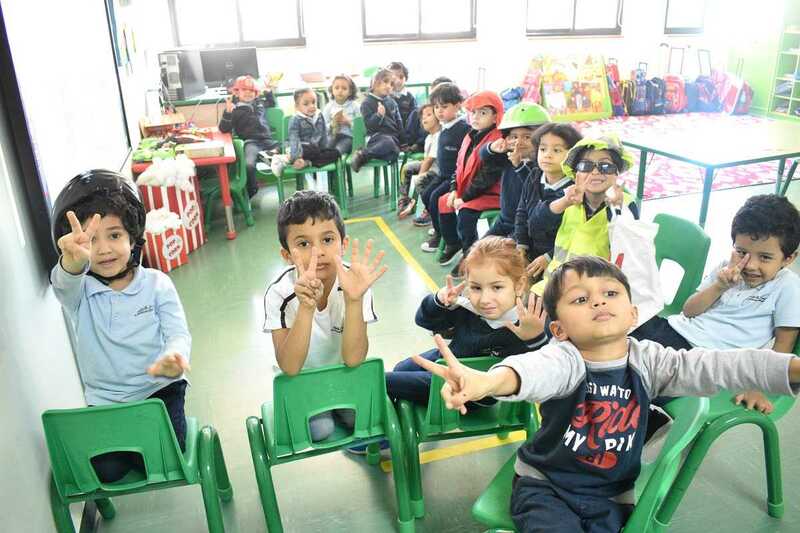 KG1 kids had Math lesson about number nine. 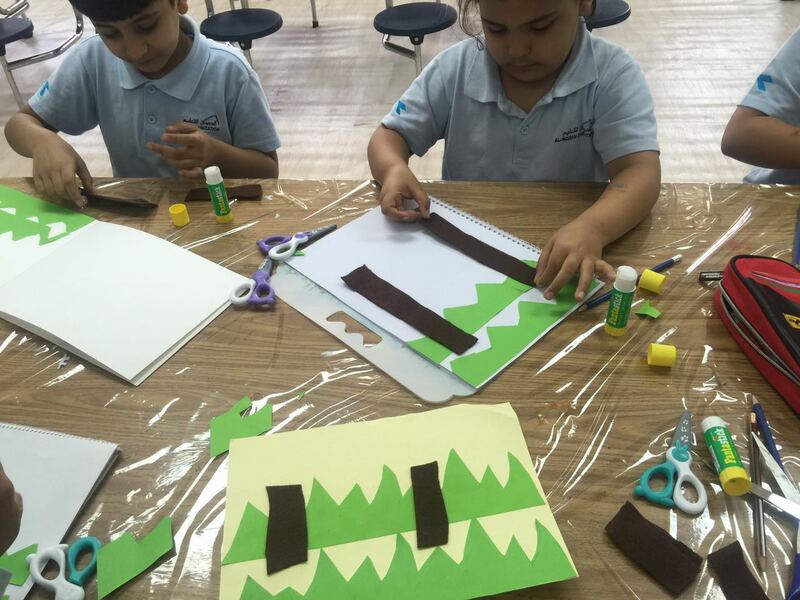 Teachers conducted for them a craft activity to learn how to count and to recognize number nine. 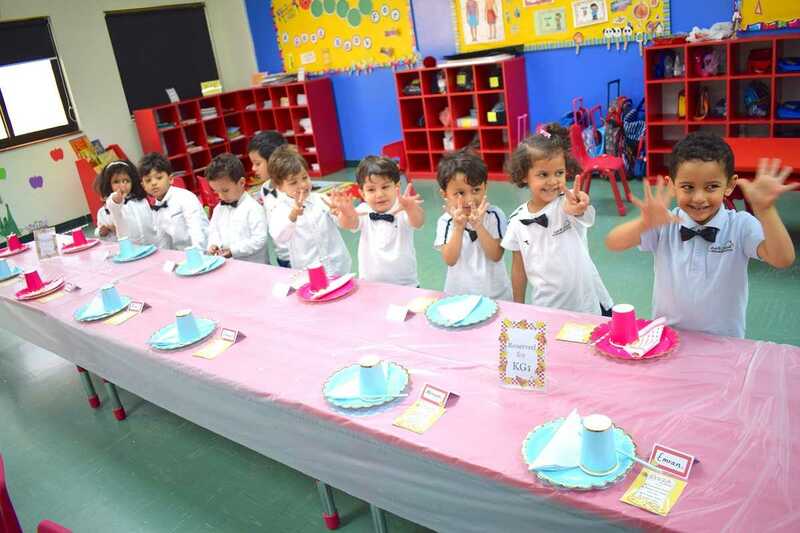 AHISY conducted an activity for KG2 students. 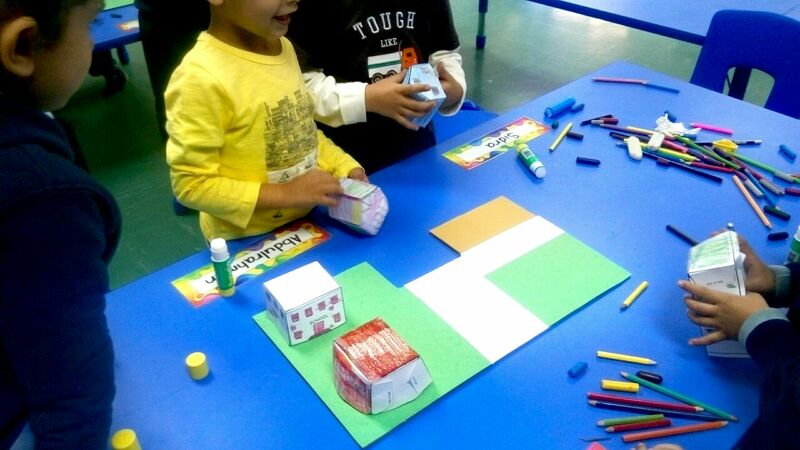 The activity was under the title: Letter H is for House. 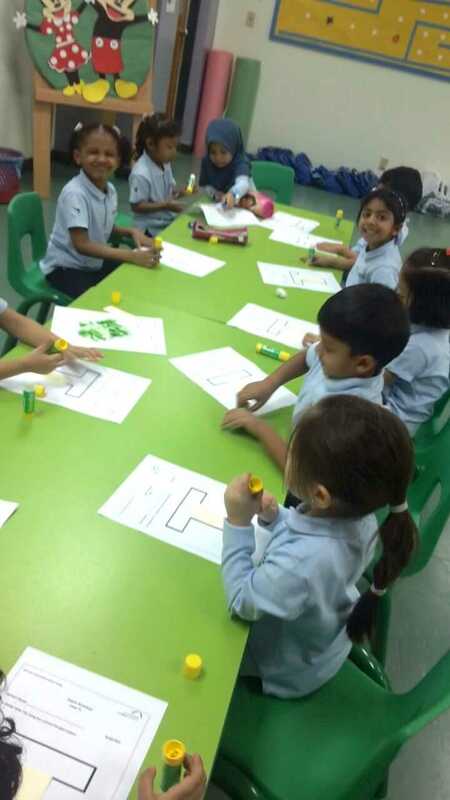 The kids designed nice houses using the letter H.
KG1 children had English lesson about letter Q. 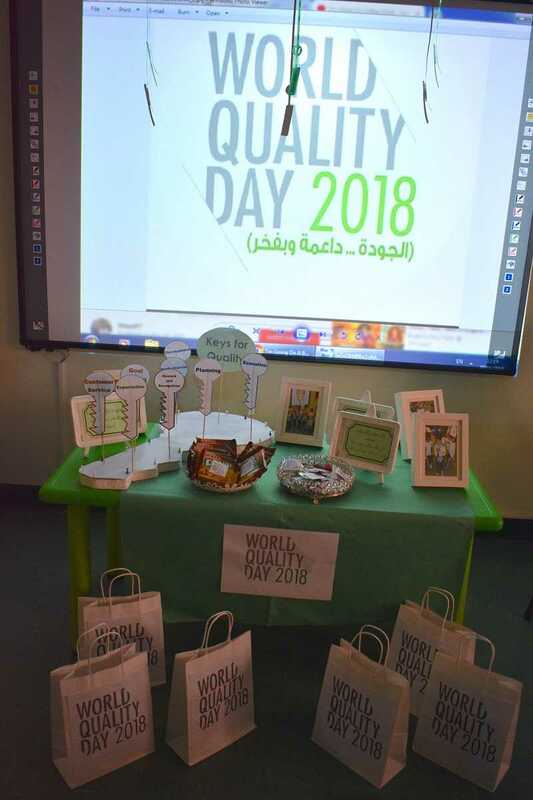 They had the activity: Letter Q is for Queen and designed nice crafts. 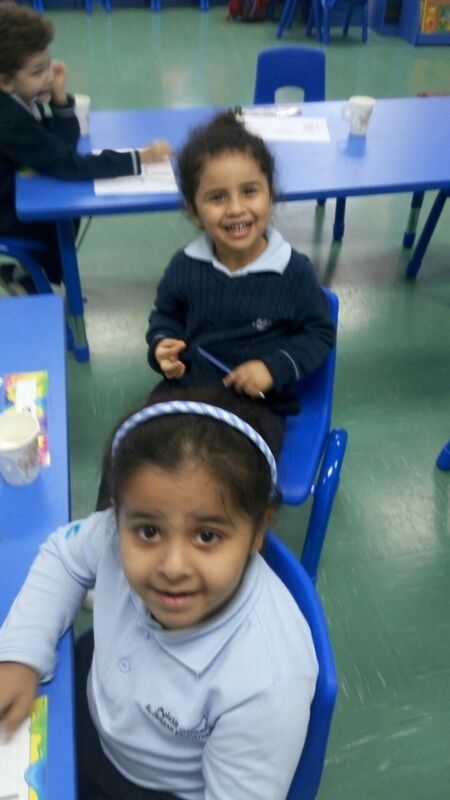 KG2 students practiced their addition skills. 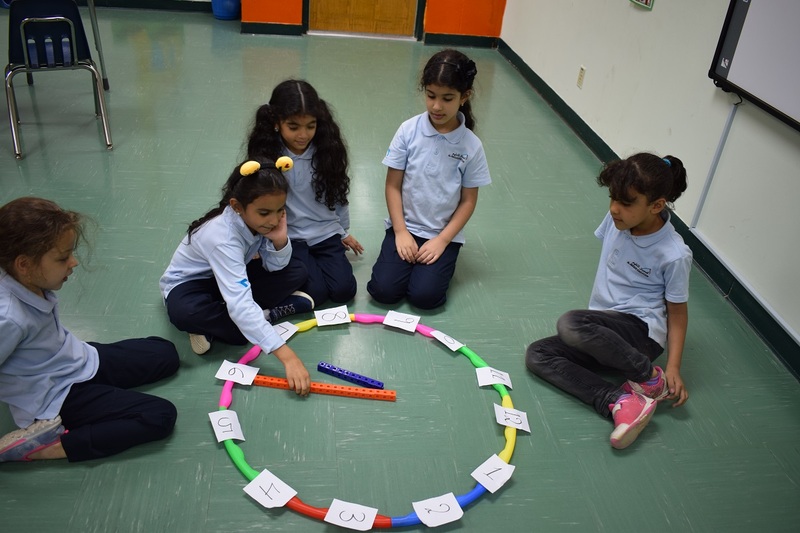 They did a Math activity about the basics of addition. 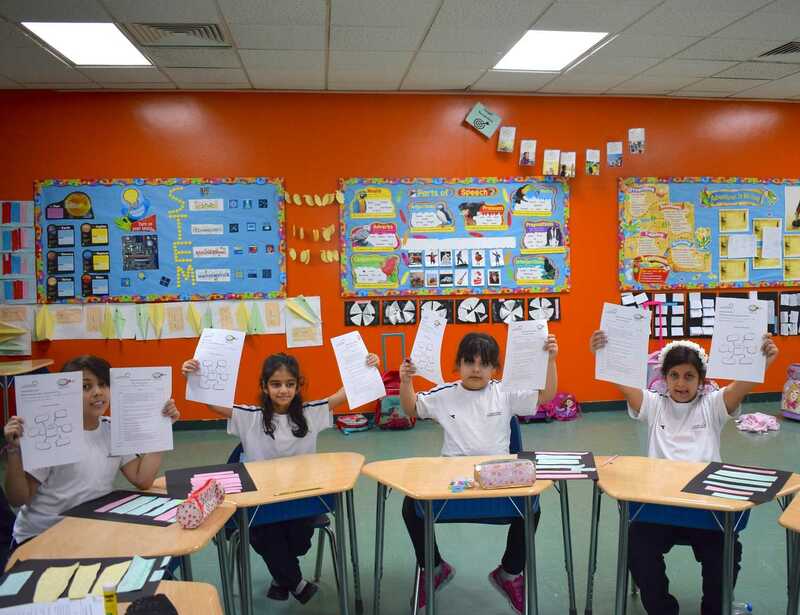 They learnt how to add the numbers with a simple method. 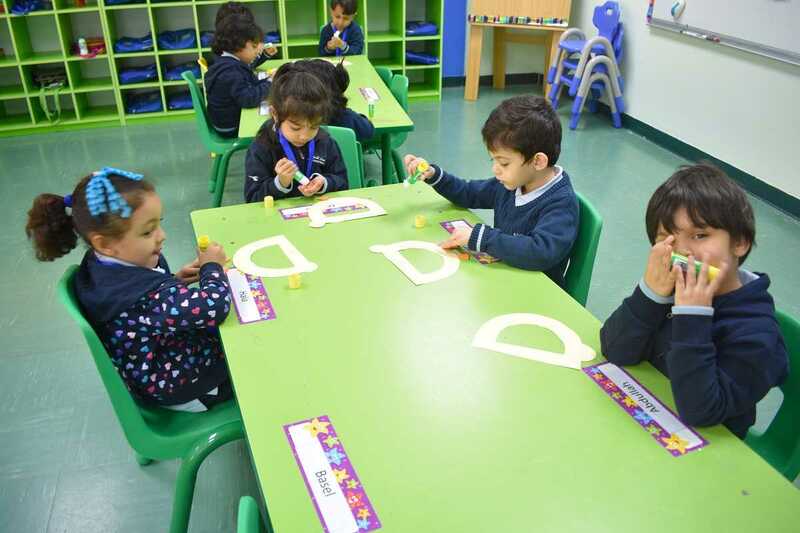 KG2 children had math activity about number 15. 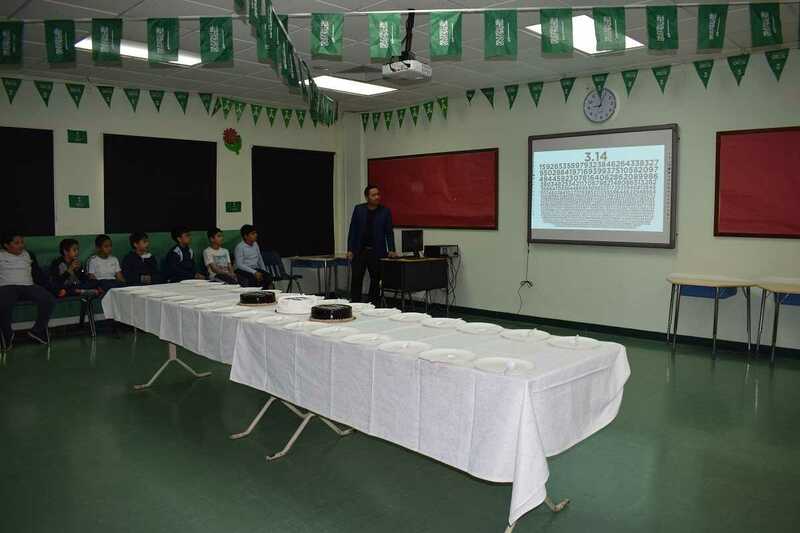 They colored the number 15 and printed fifteen fingerprints inside the number 15. 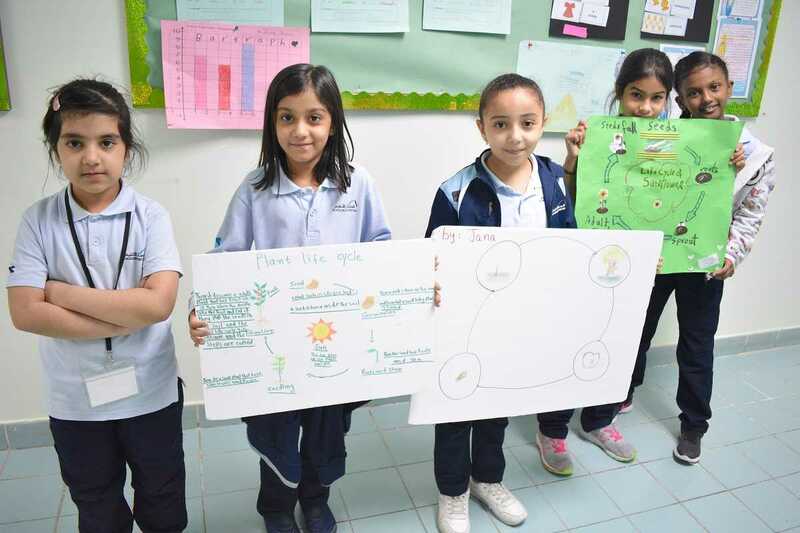 KG2 children are doing an experiment to learn how plants grow. 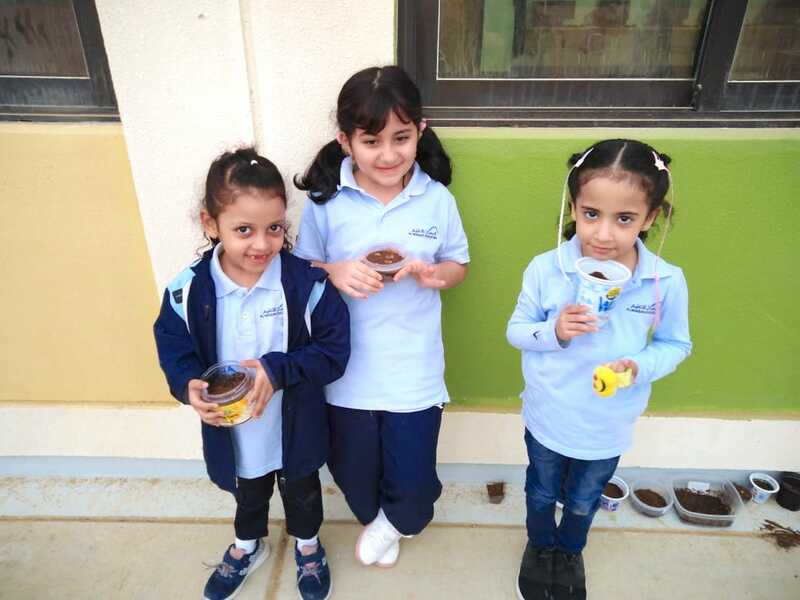 They have planted bean seeds and put it under the sunlight to grow. 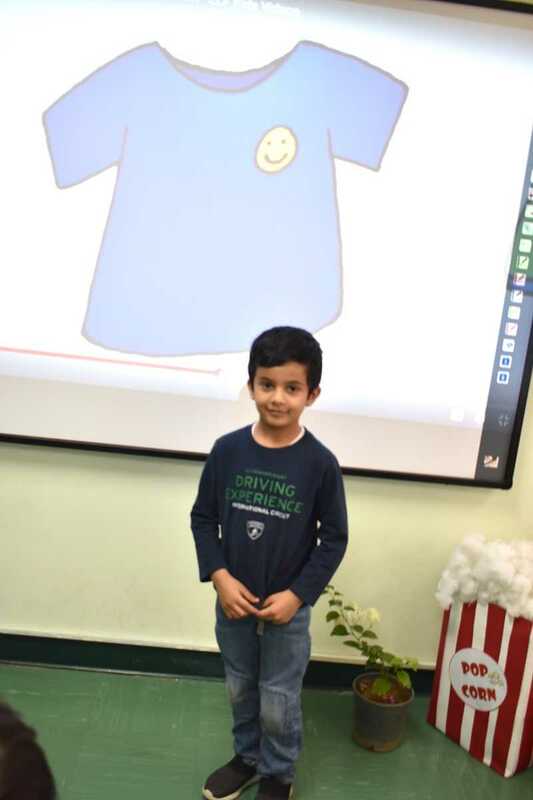 They wore T-shirts with their favorite characters. 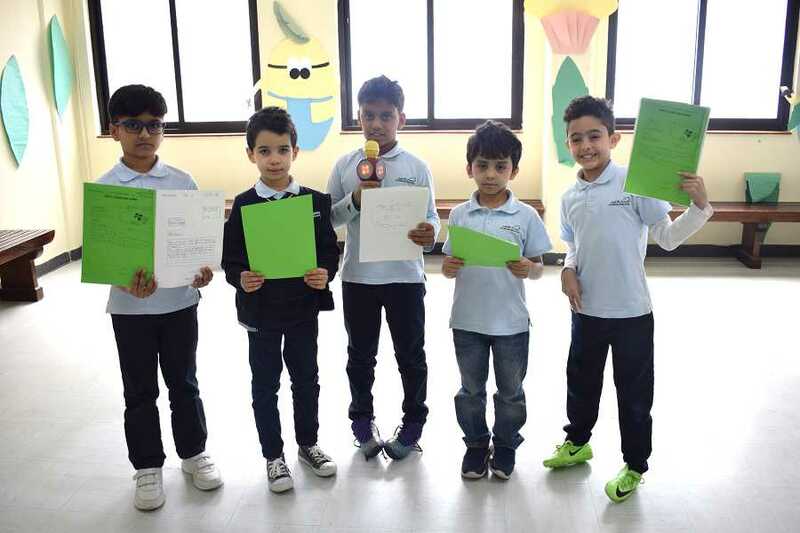 They stood in front of their classmates and described the characters with the help of teacher. 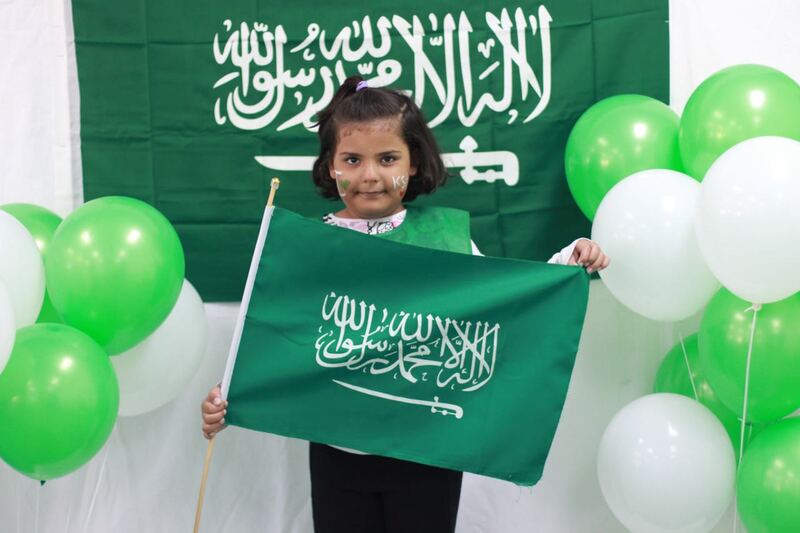 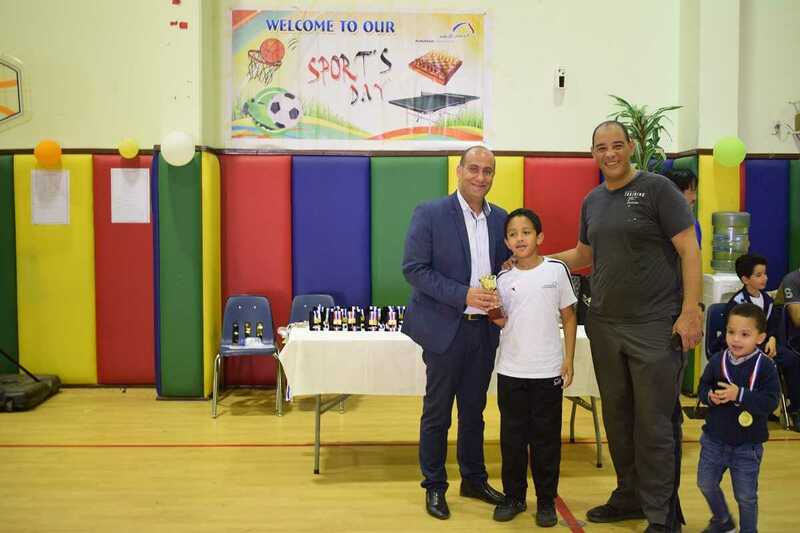 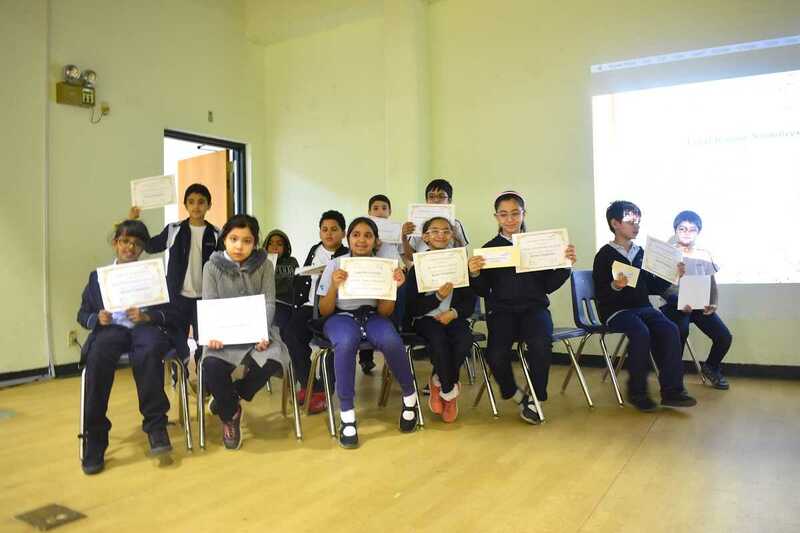 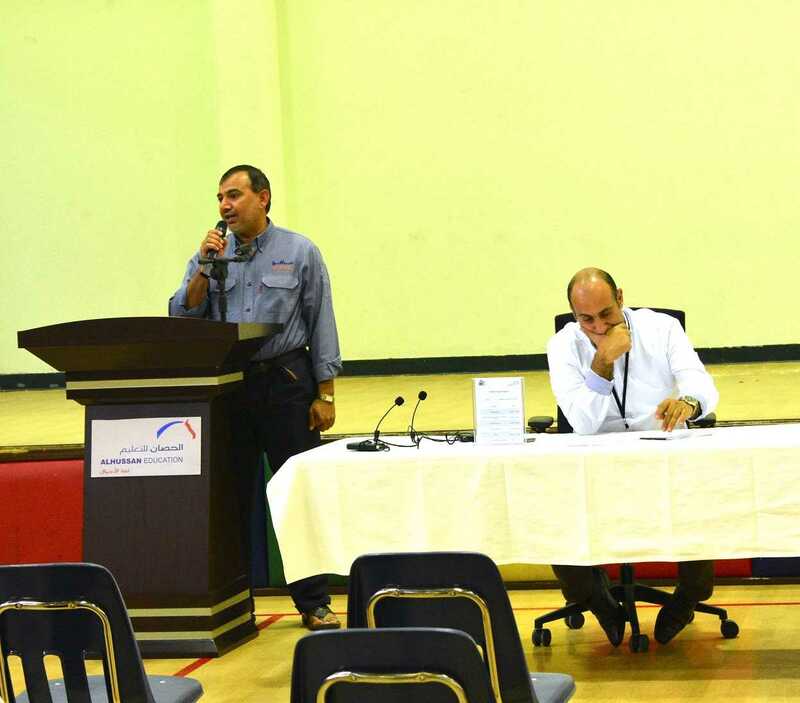 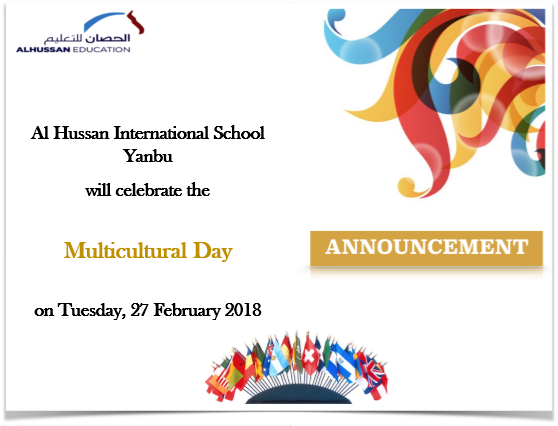 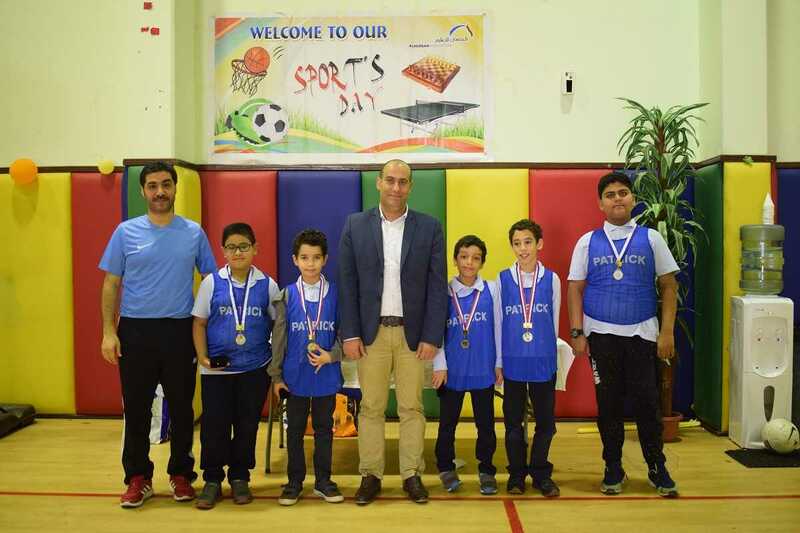 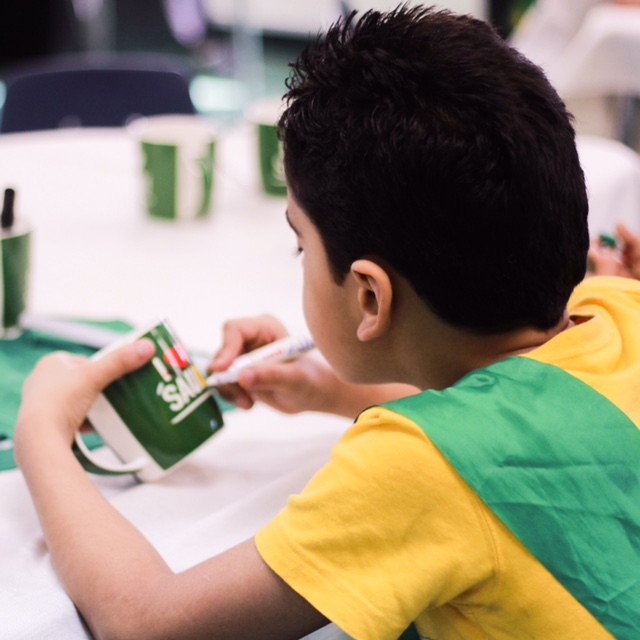 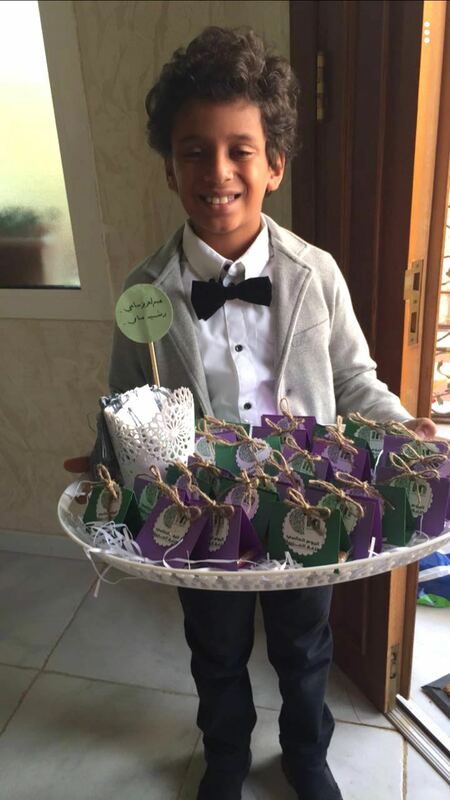 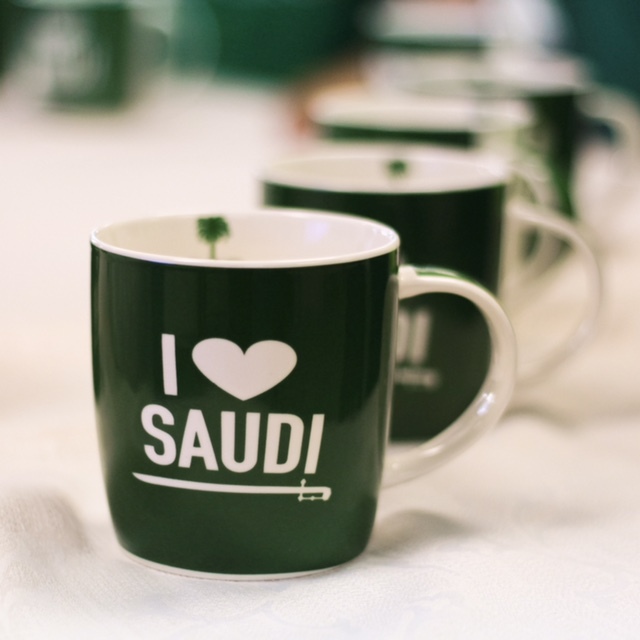 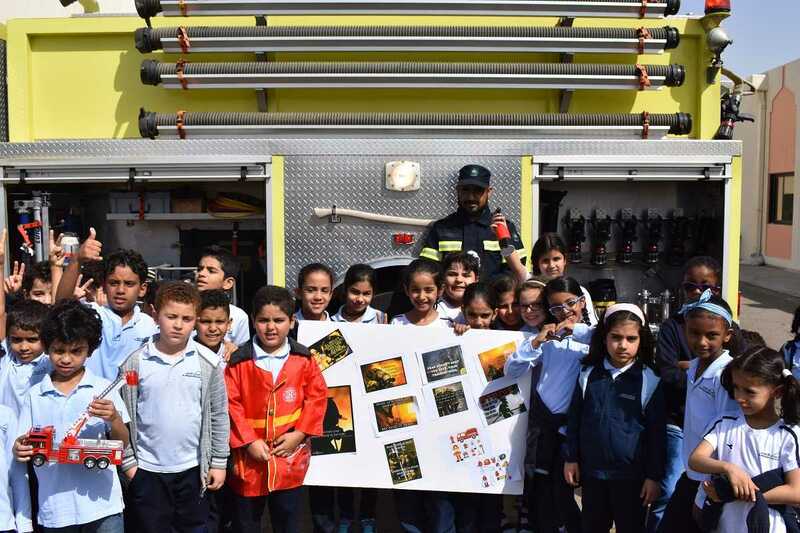 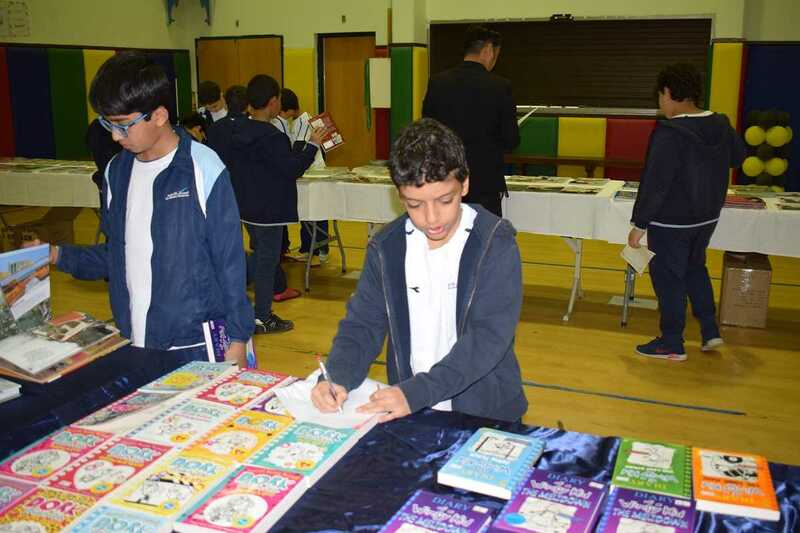 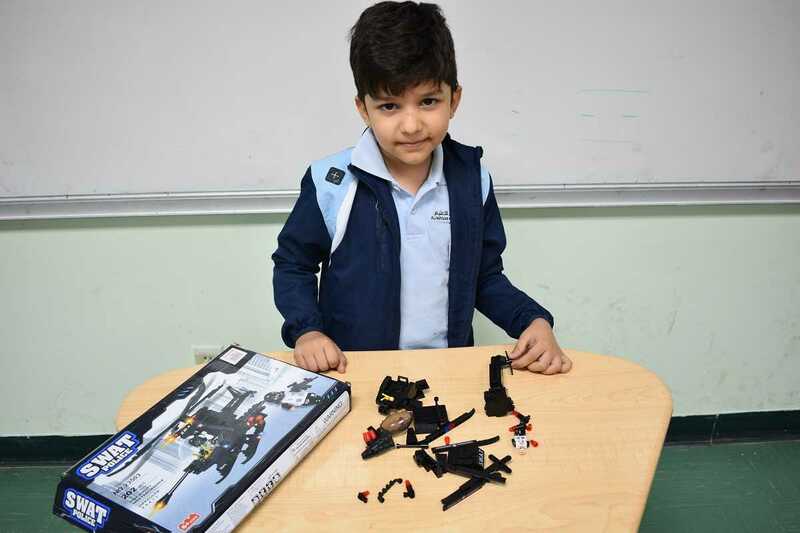 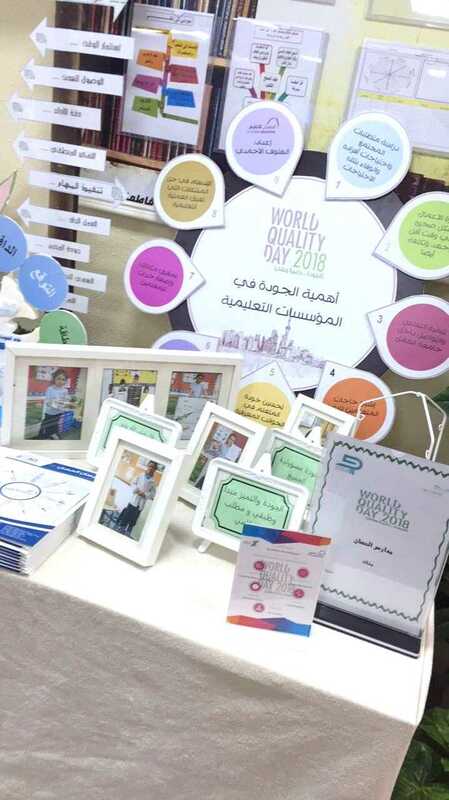 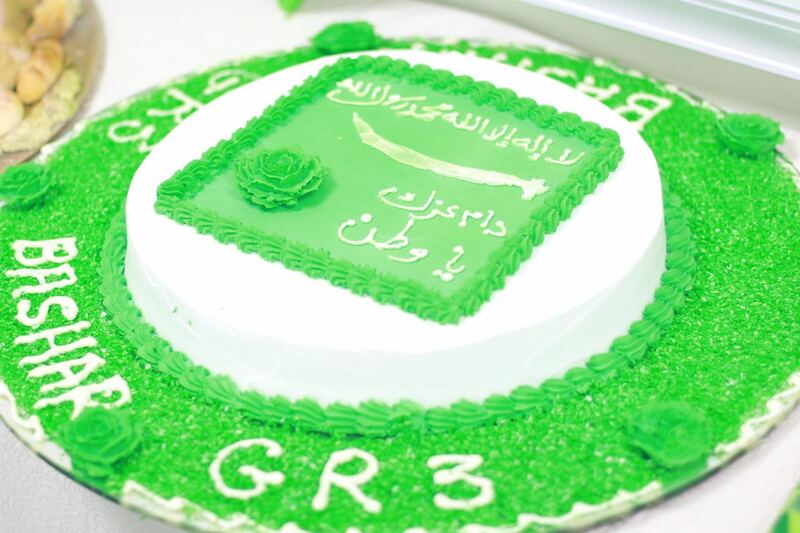 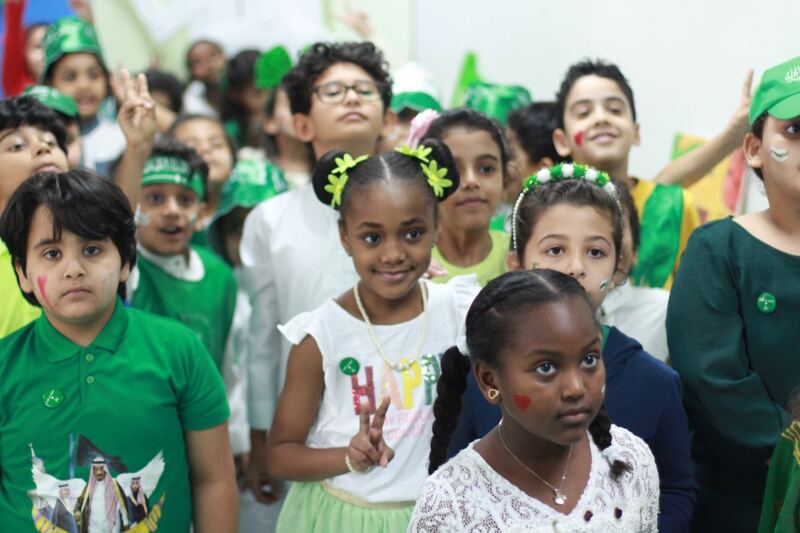 To assist the grade 4 students of AHIS-Yanbu Boys Section with recognizing differences, as well as similarities, among all people, the school celebrated its Multicultural Day last February 26, 2018. 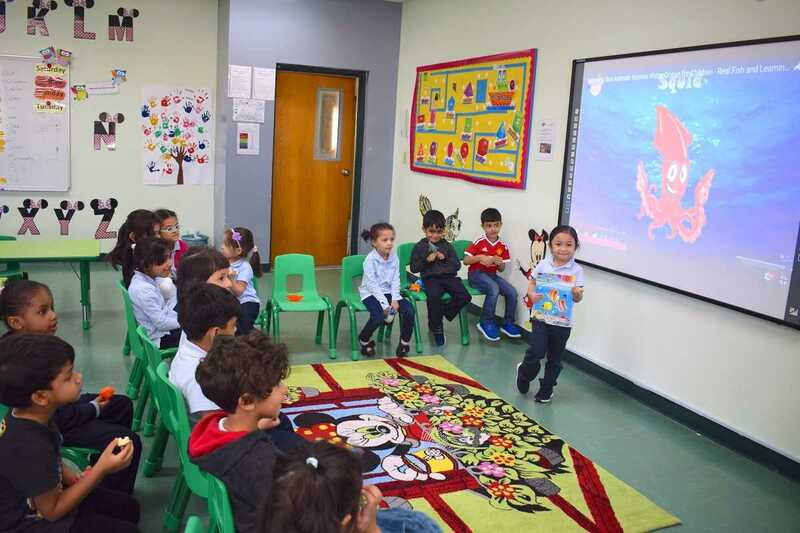 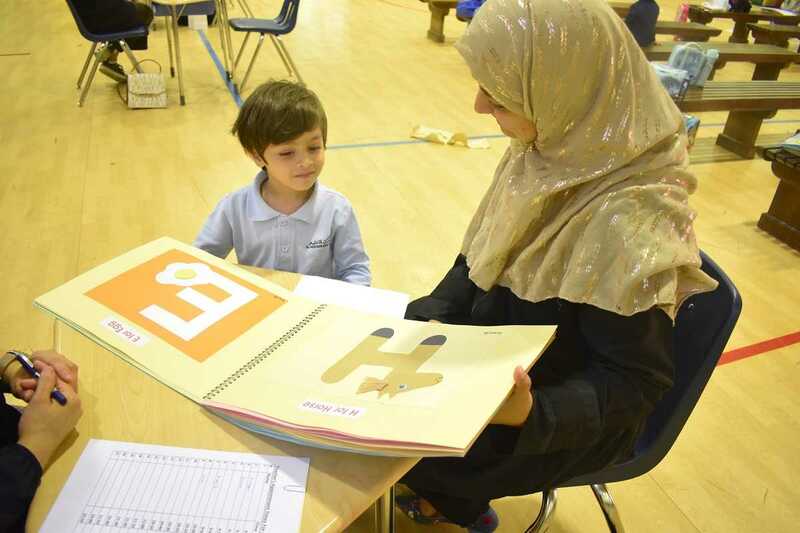 AHISY conducted Show and Tell activity for Kg1 kids. 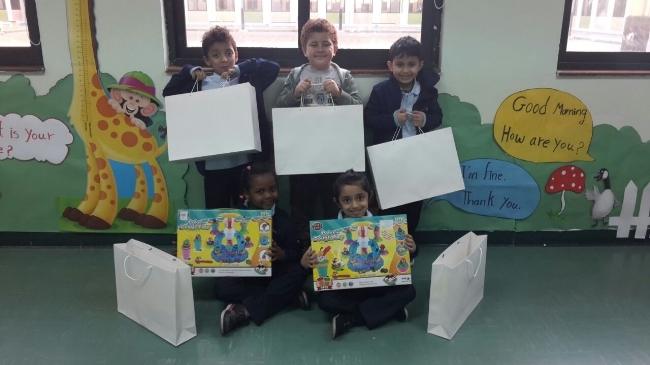 They brought their favorite toys and talked about it with their friends. 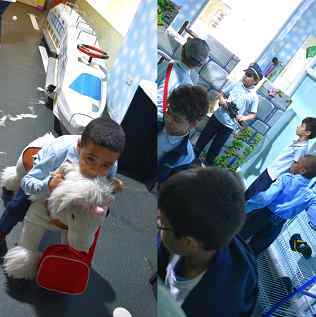 AHISY conducted the activity: &quot;H is for Horse&quot; for Kg1 children. 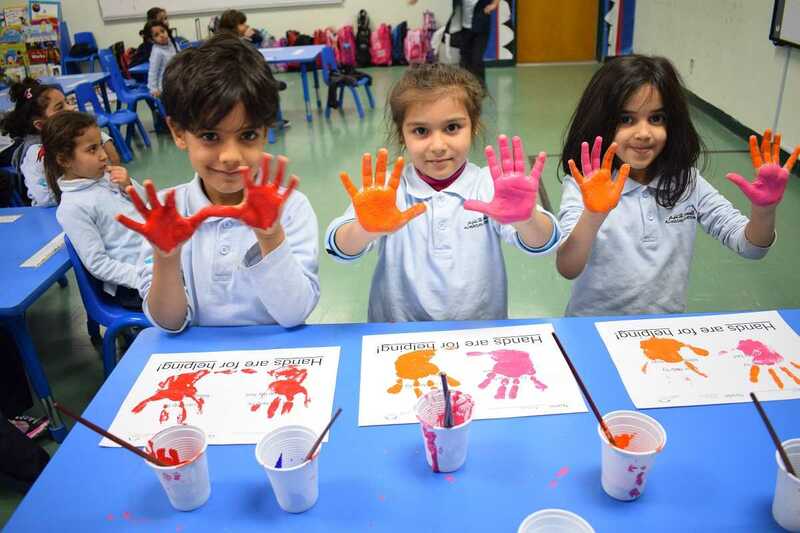 The children enjoyed making handprint horses together. 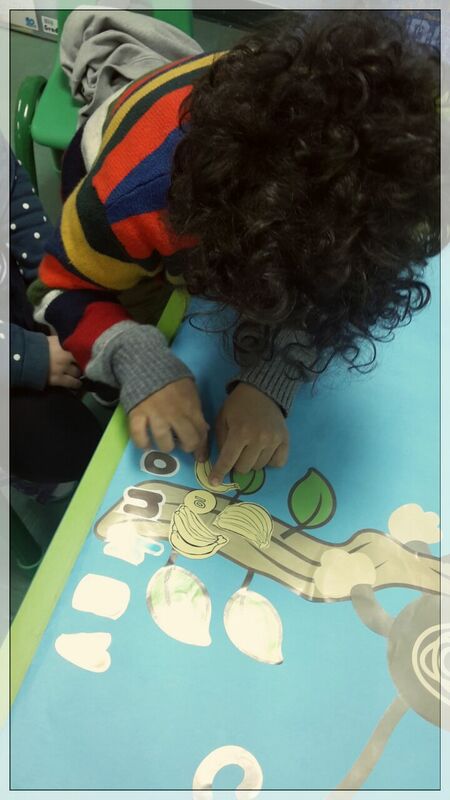 AHISY has conducted an activity in English class for Kg2 children. 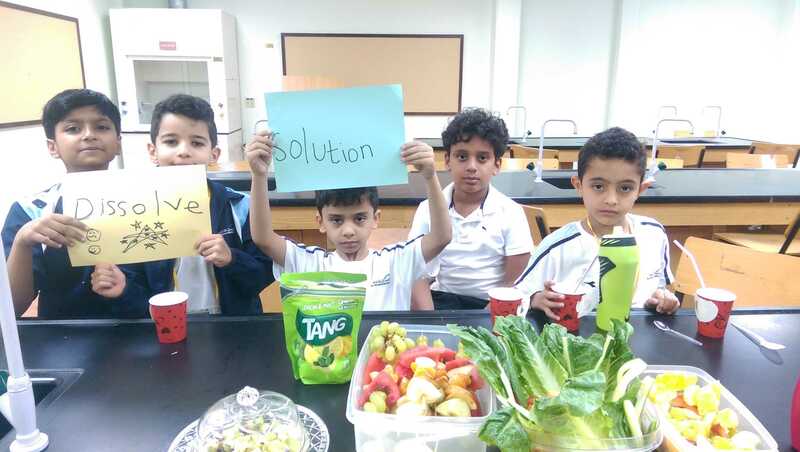 The activity was under the title: &quot;Letter J is for Juice&quot;. 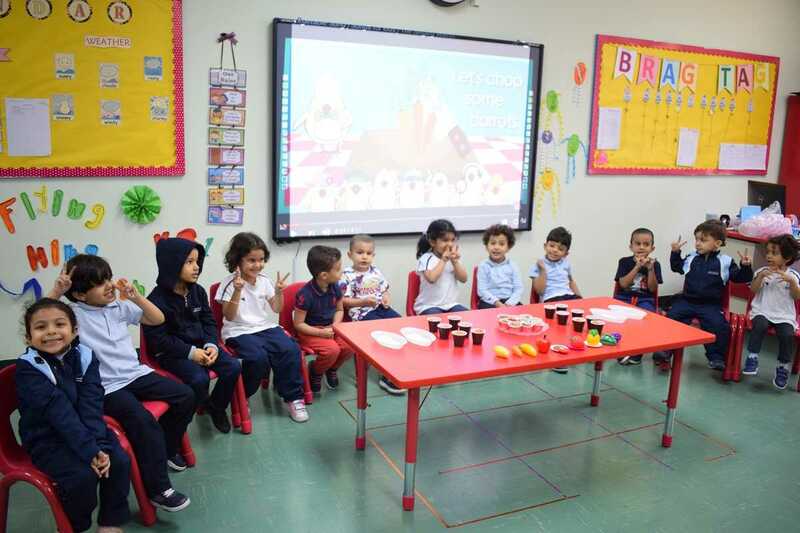 The children made lemonade using letter J.
AHISY conducted an activity crafts for Kg1 kids. 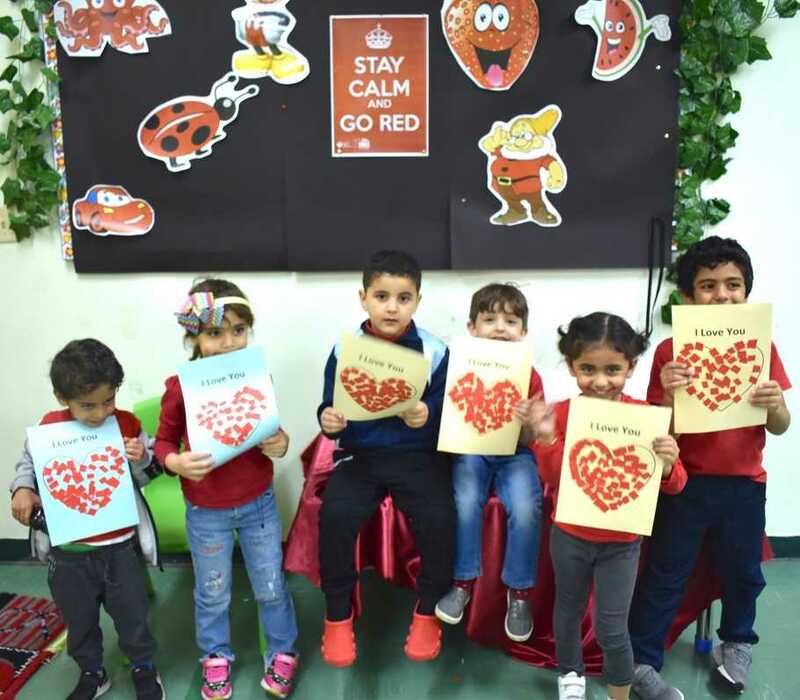 They created Owl using the heart shapes. 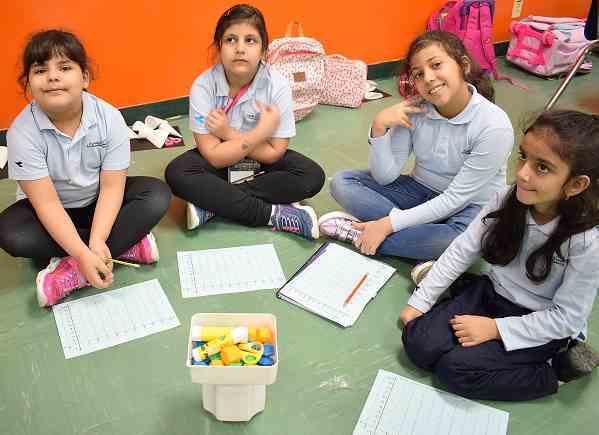 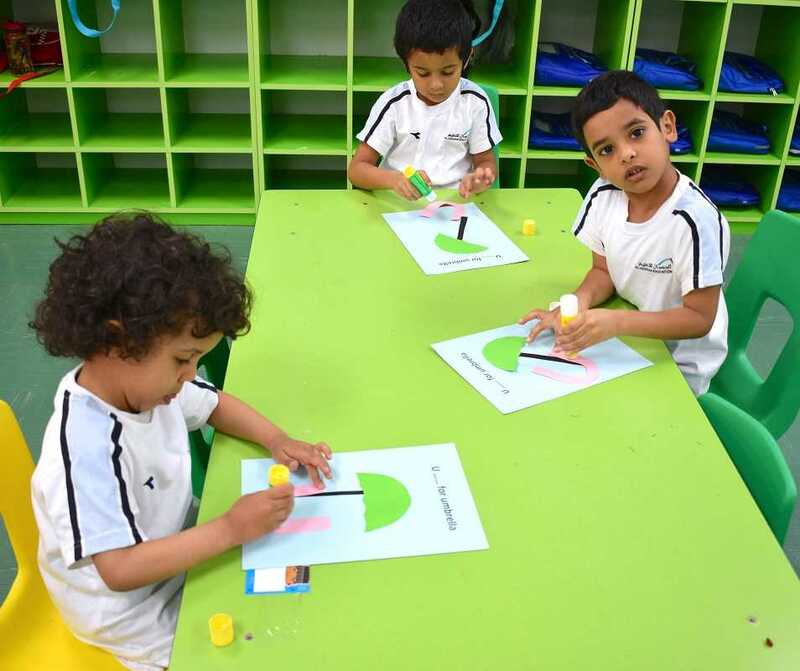 Kg2 children in AHISY had a Math activity. 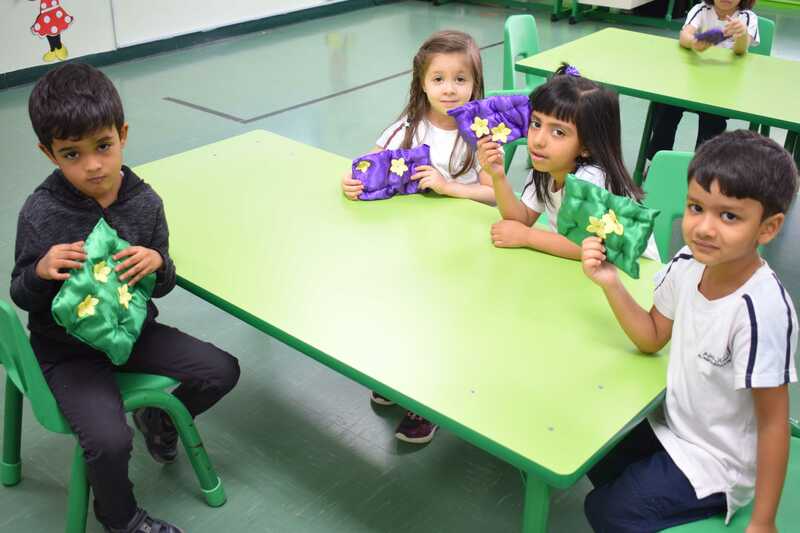 They made a lovely heart puppets. 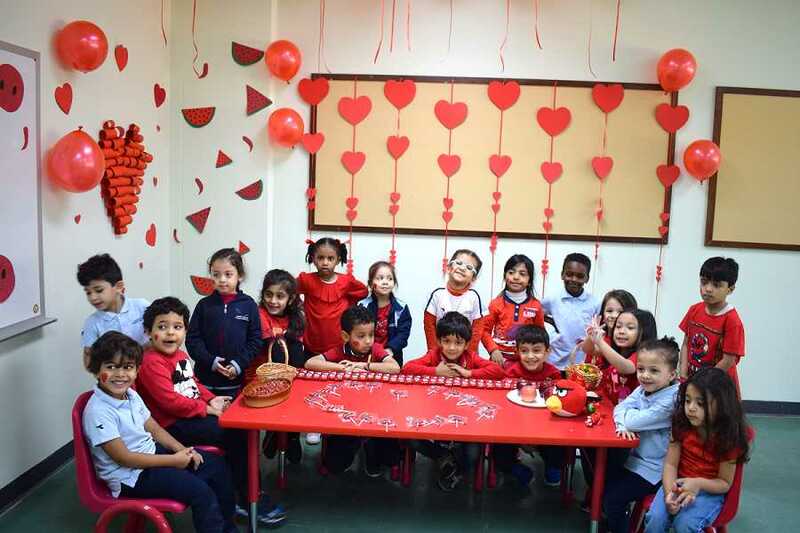 February 7, 2018 Kg2 kids had Math activity about the Opposites of the word. 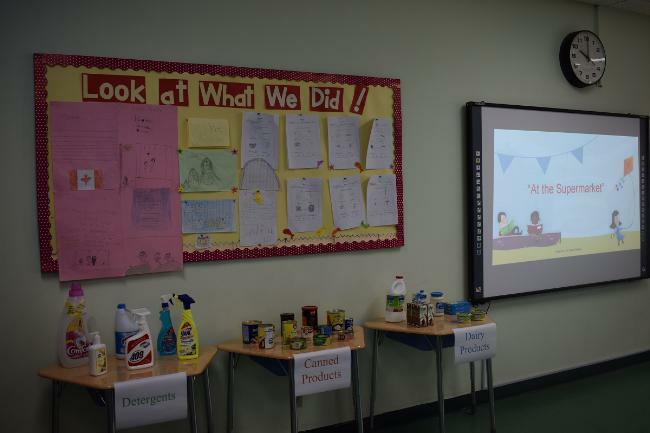 The activity was about dirty vs. clean. 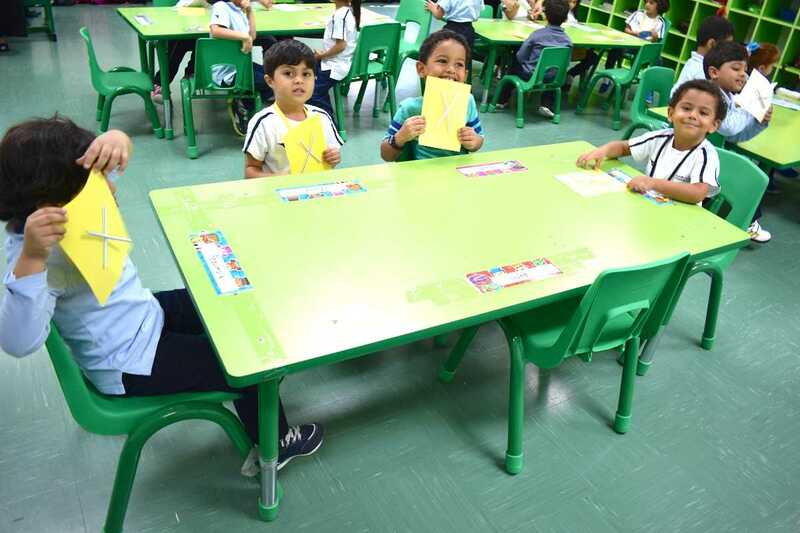 February 7, 2018 AHISY conducted an activity about letter X for Kg2 children. 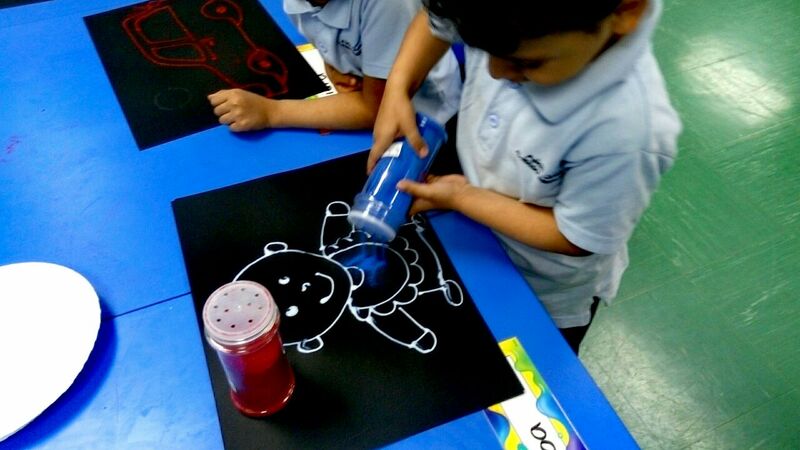 The children made X-ray using cotton buds. 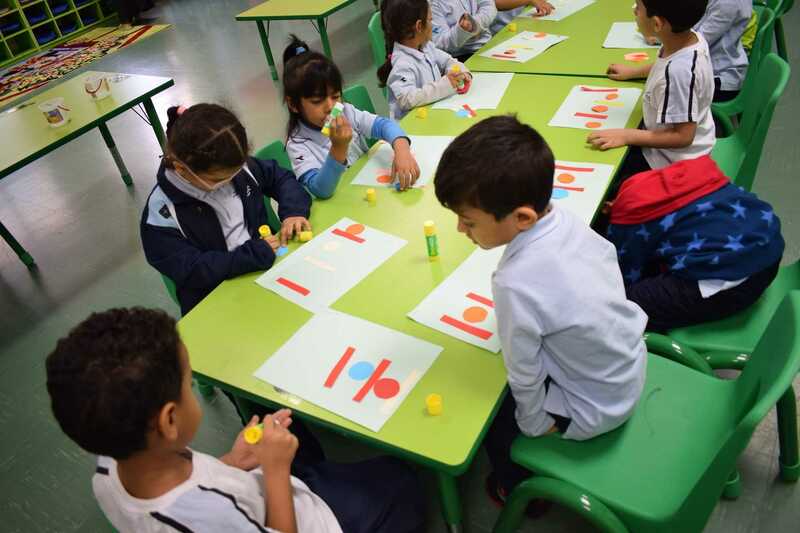 February 5, 2018 Kg2 children had a Math activity about number 10. 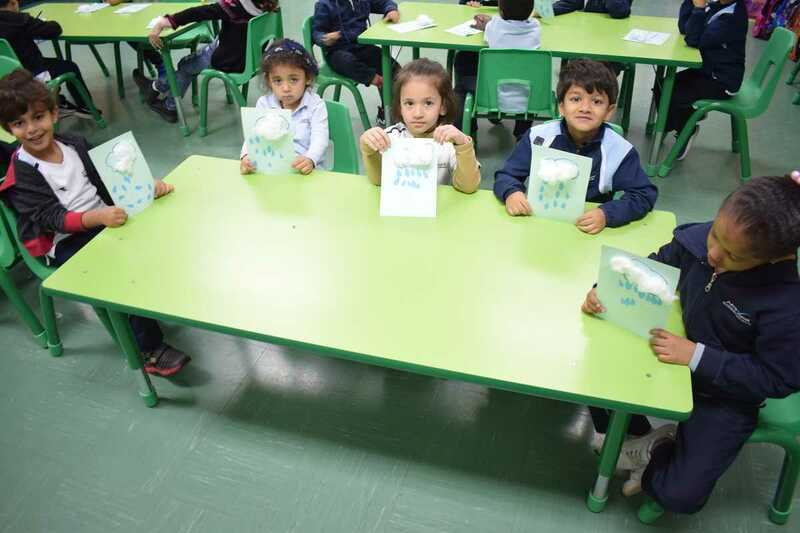 They stick 10 raindrops from the clouds. 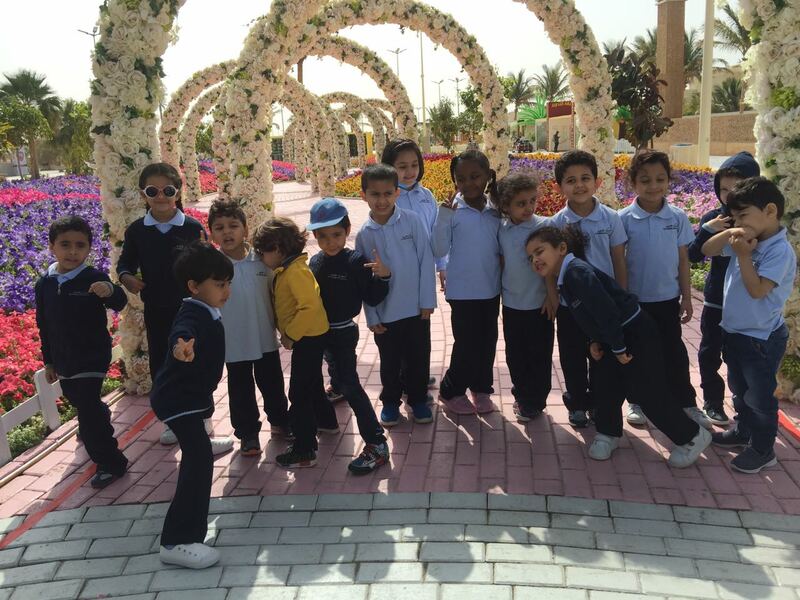 The kids enjoyed their time. 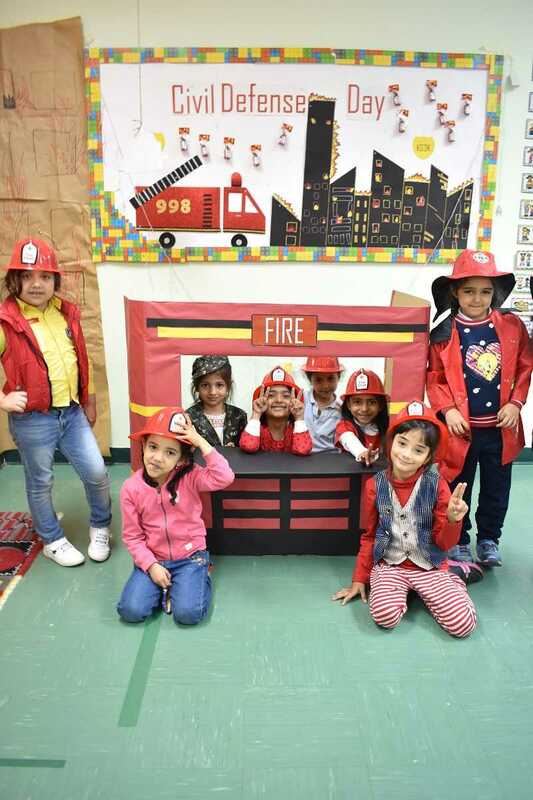 The Pajamas Day with Kg1 kids. 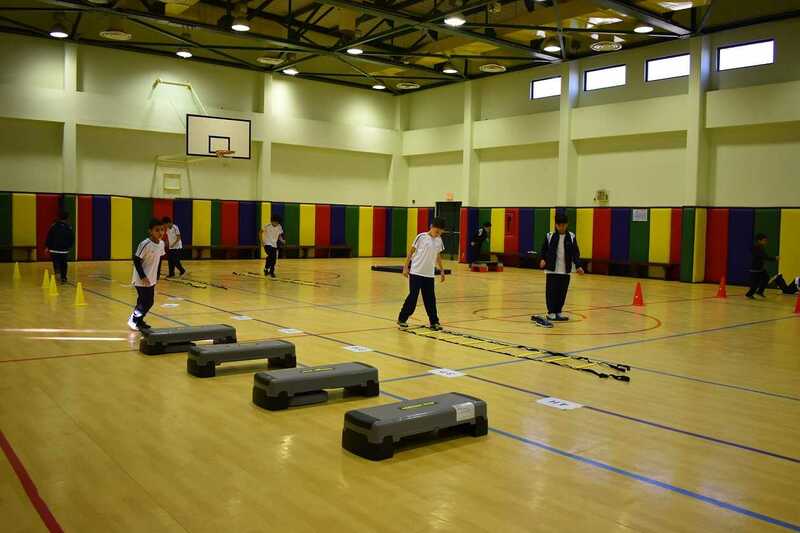 On Monday 5th of February in the P.E period these circuit training were designed to gain all the elements of physical fitness by practice different exercises. 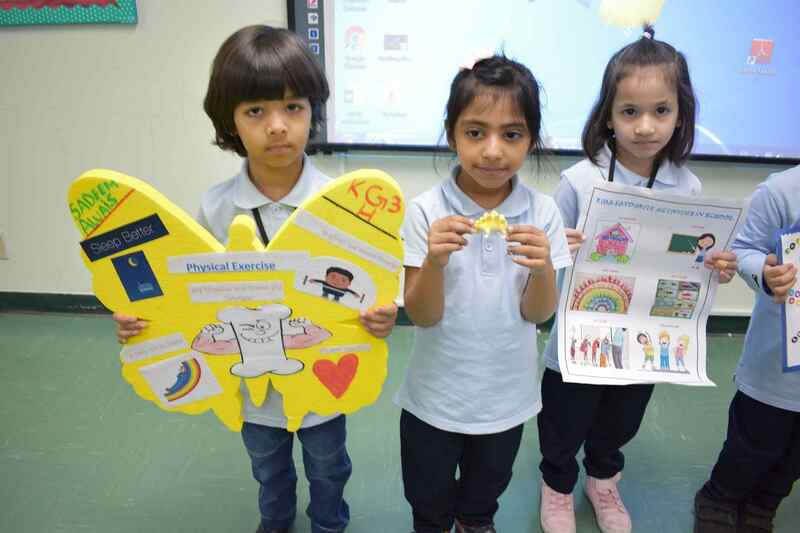 February 1, 2018 AHISY has conducted Show and Tell activity for Kg2 kids. 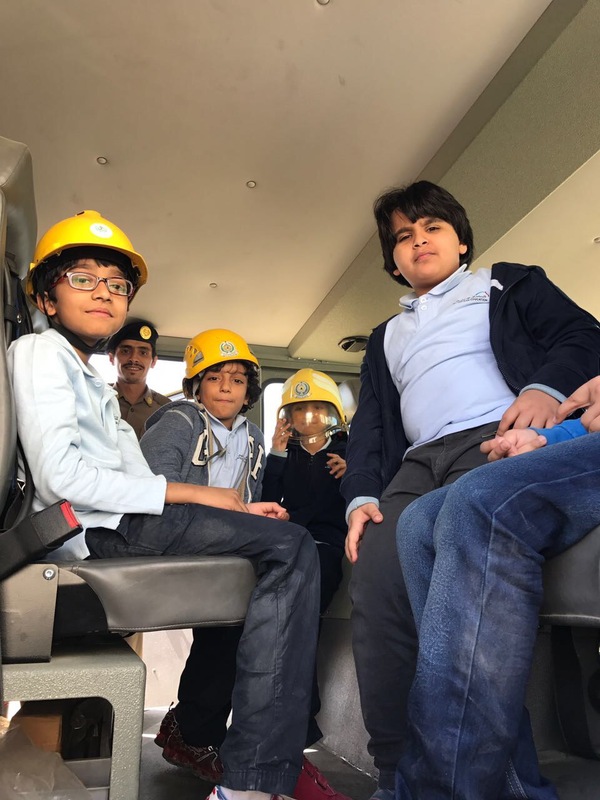 The kids wore and talked about the safety gear in front of their friends. 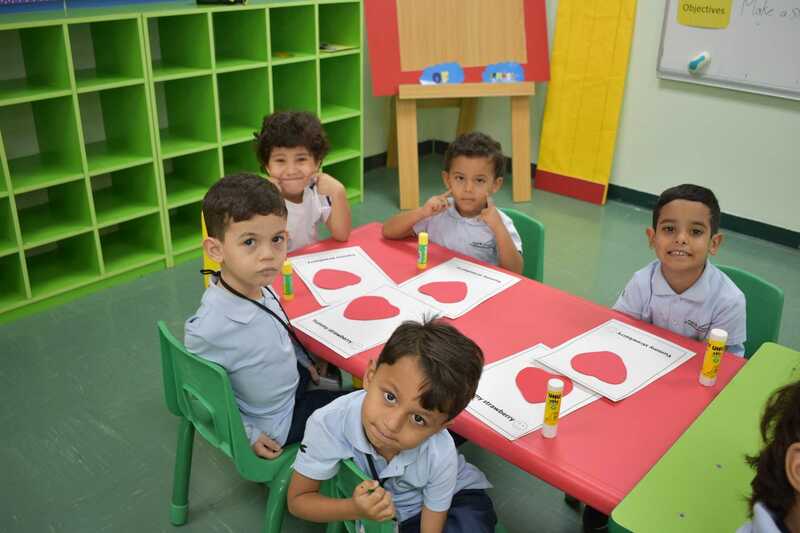 January 30, 2017 AHISY conducted Math activity for Kg2 kids about number Zero. 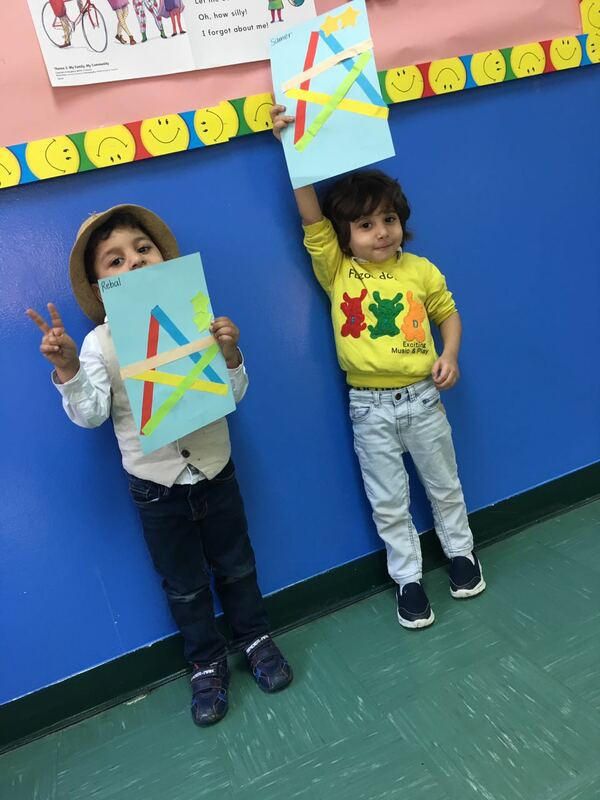 The kids made a nice glitter zero. 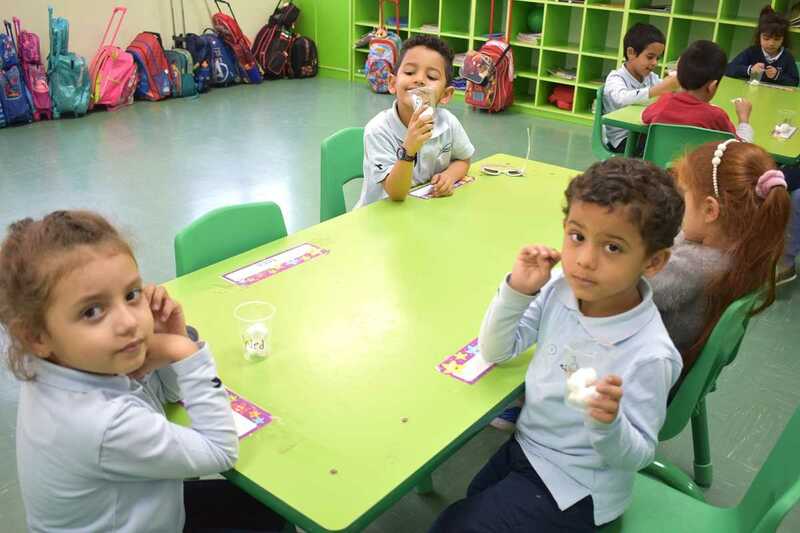 January 30, 2018 Kg2 children at AHISY has conducted an enjoyable activity. 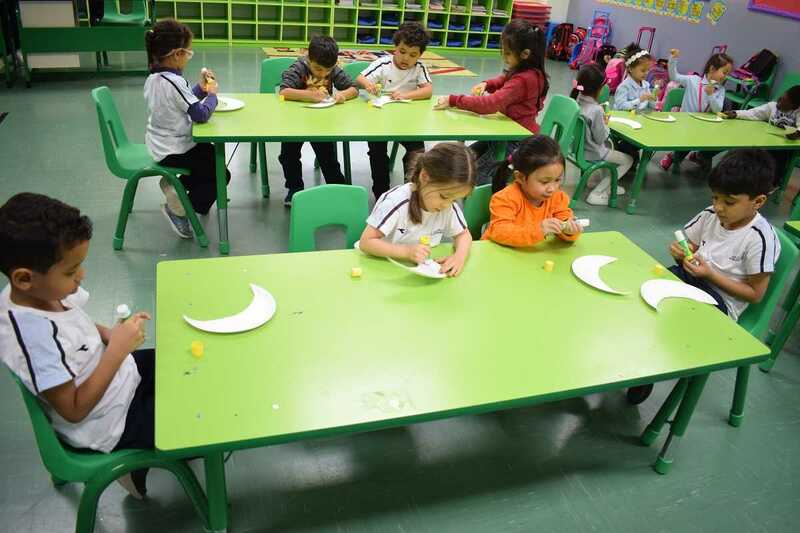 They made a shiny crescent with their teacher. 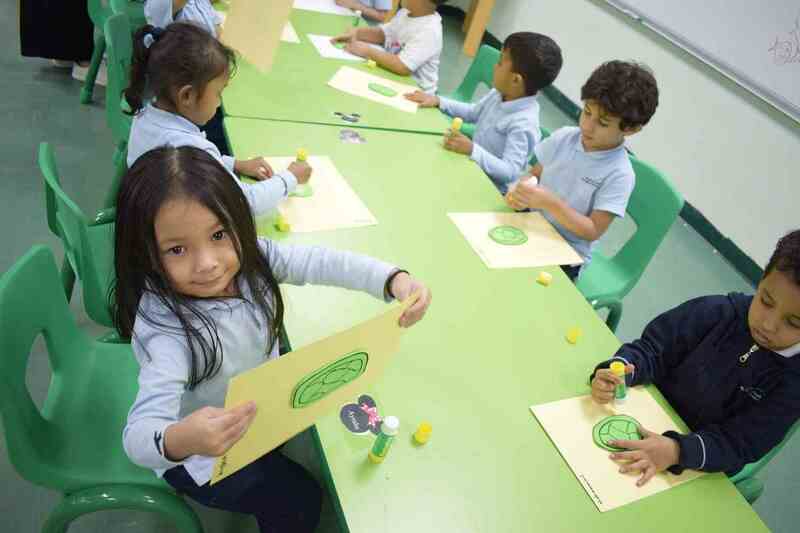 January 25, 2017 the activity letter D is for Duck has conducted for Kg2. 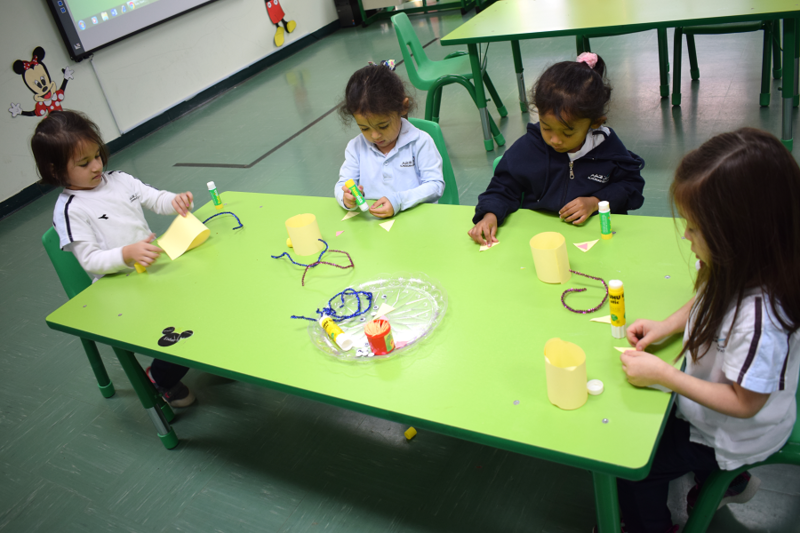 The children made a finger puppet duck. 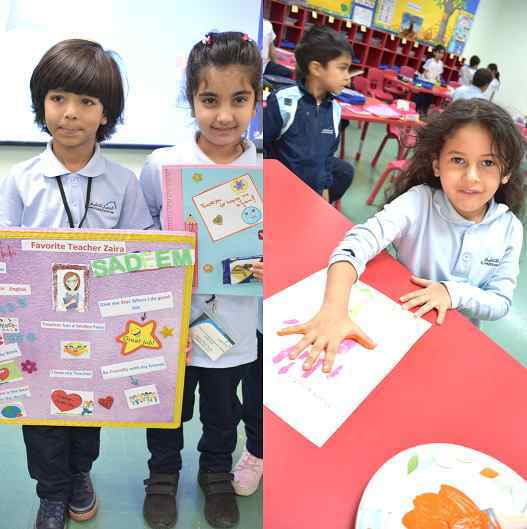 January 25, 2017 AHISY has conducted show and tell activity for Kg2 kids. 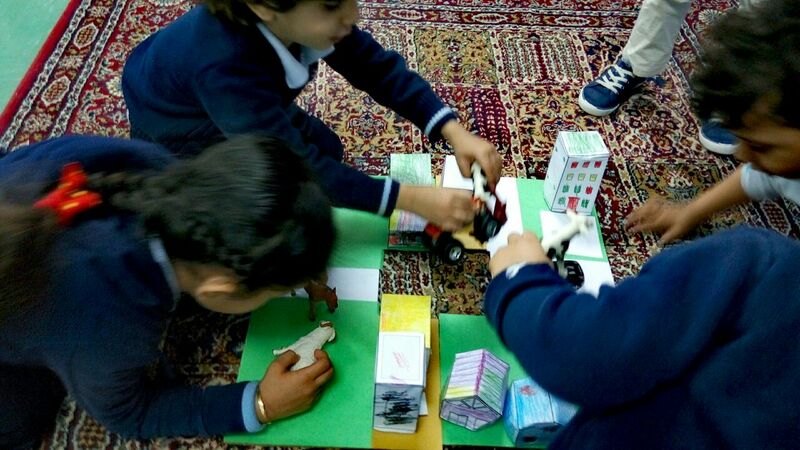 The children brought their toys tools and talked about them. 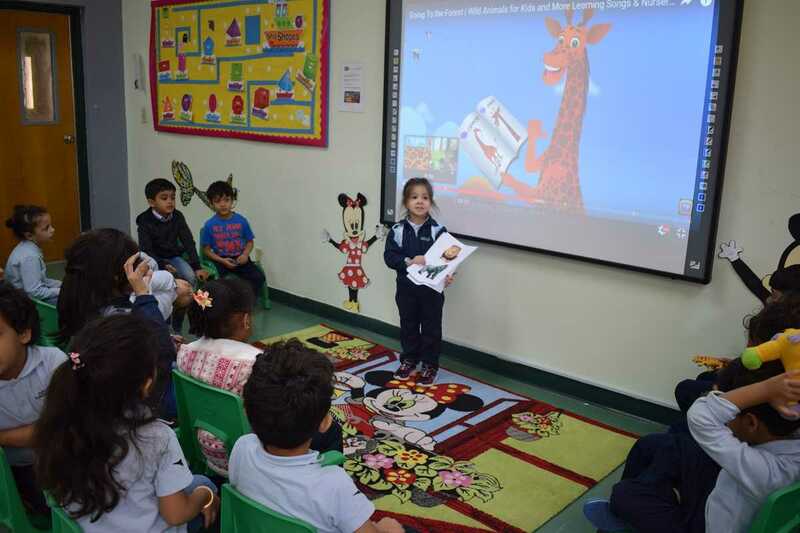 January 24, 2018 The activity &quot;Letter D is for Dog&quot; has conducted for Kg1 kids. 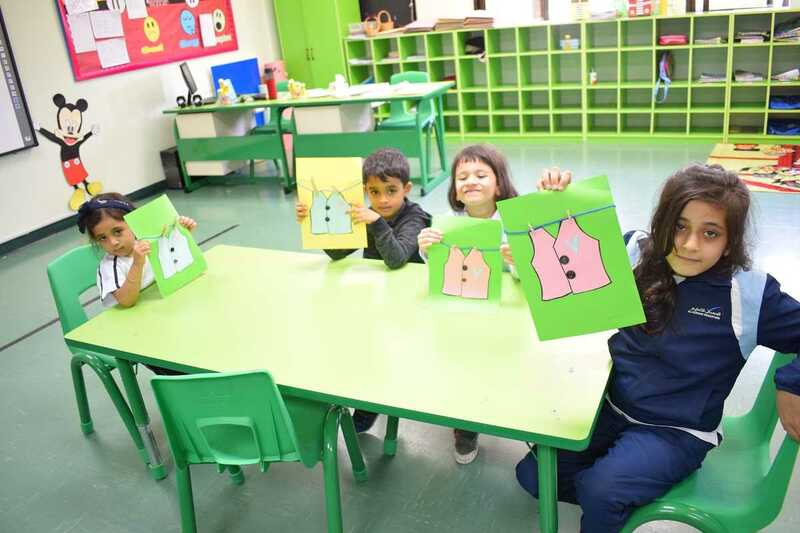 The kids learned letter D and created a nice dogs using papers. 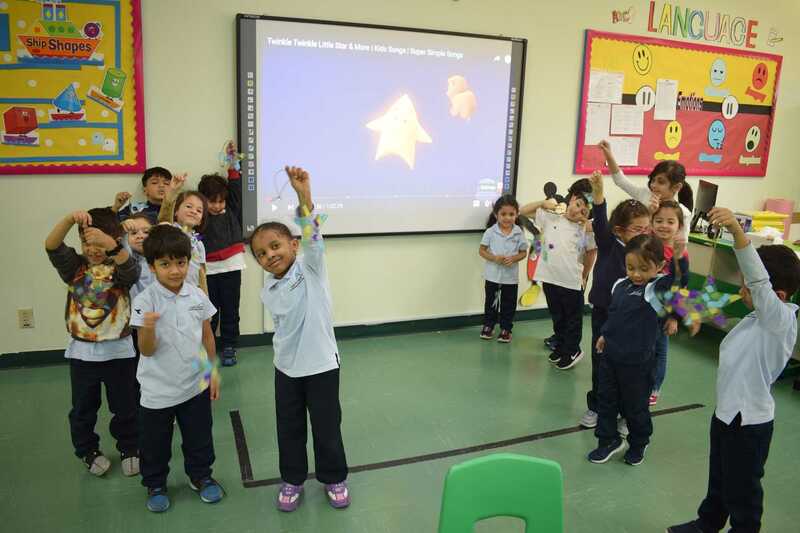 January 22, 2017 AHISY conducted an activity about shape &quot;Star&quot; for Kg2. 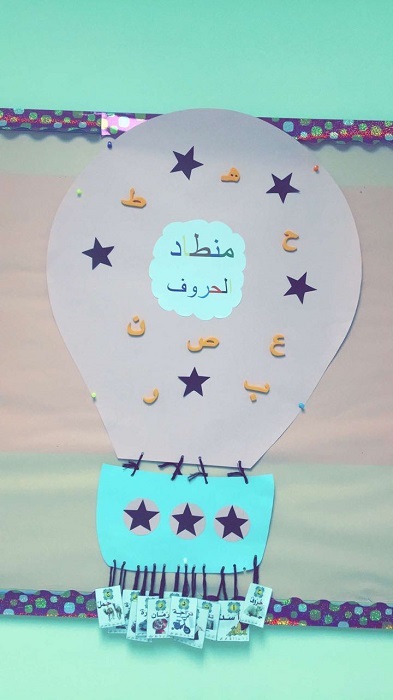 The children decorated transparent stars with different colors. 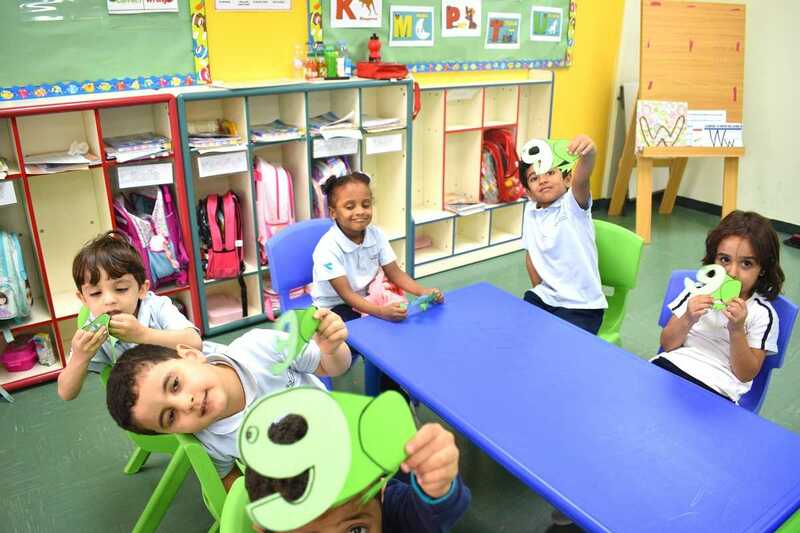 January 22, 2018 Kg2 kids at AHISY conducted a Math activity about number 9. 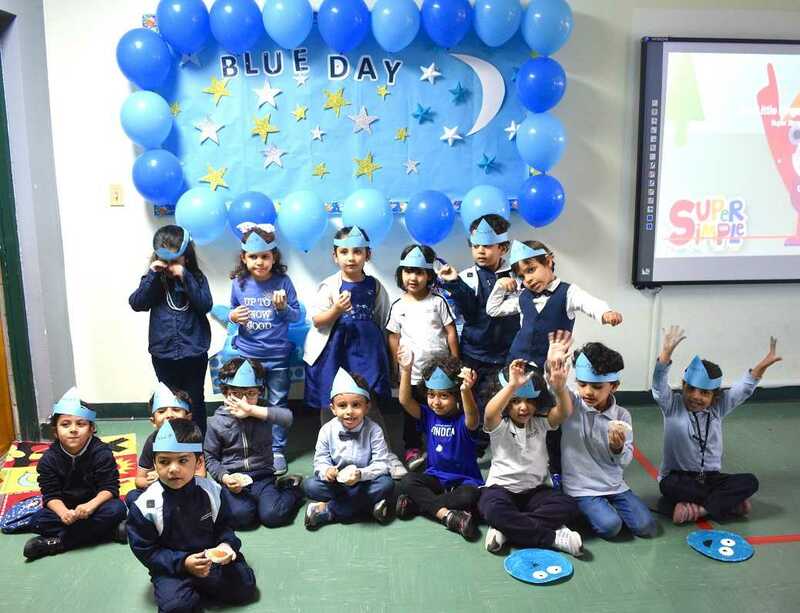 They stick nine rays to the sun. 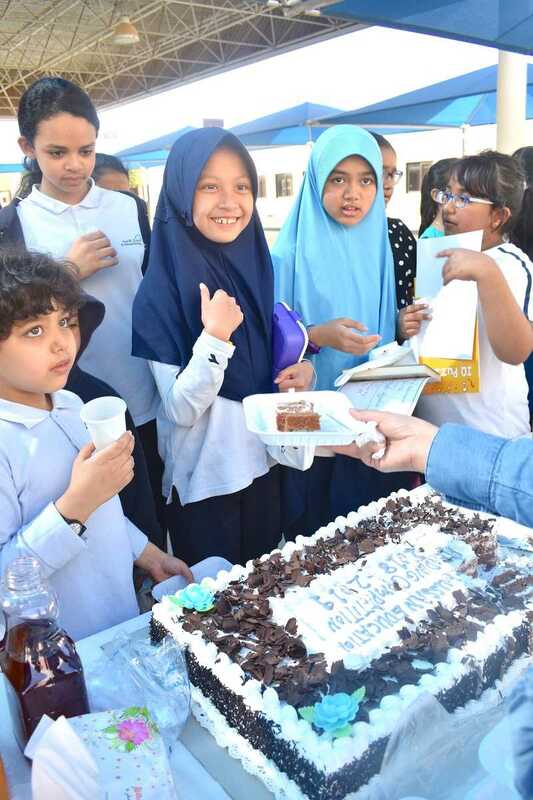 They have enjoyed their time. 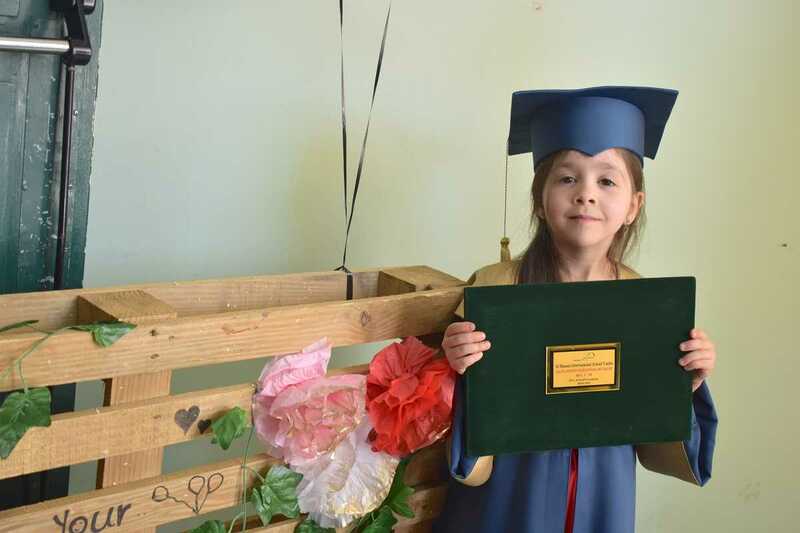 January 22, 2018 The Cat Get a New Hat! 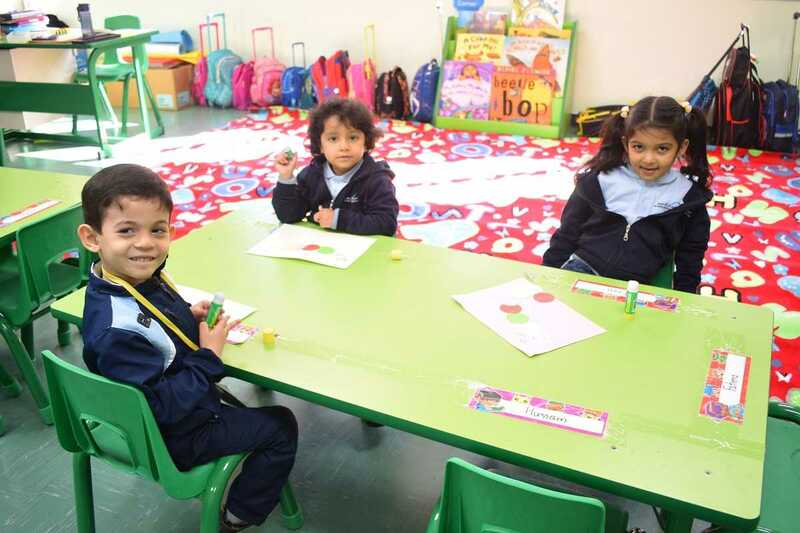 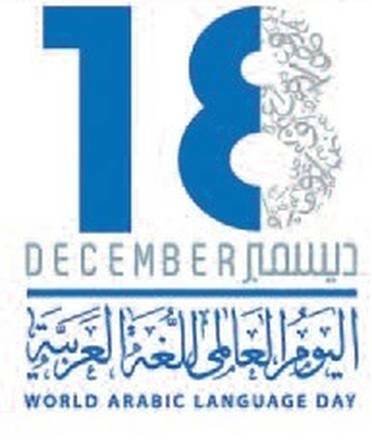 Getting ready Kg1. 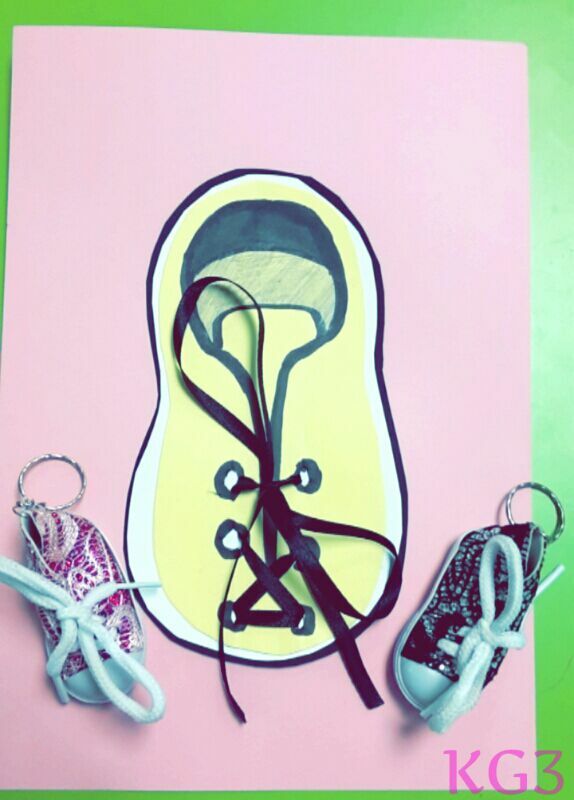 Back to school activity craft. 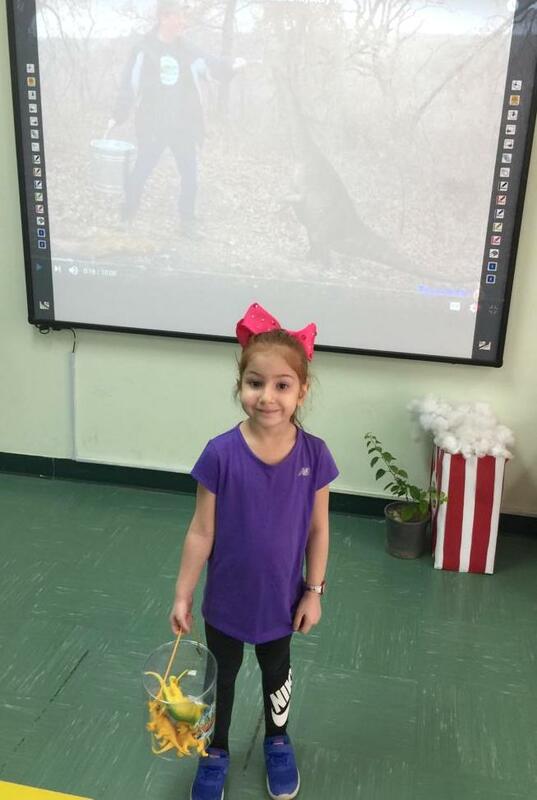 They made a cat in the hat. 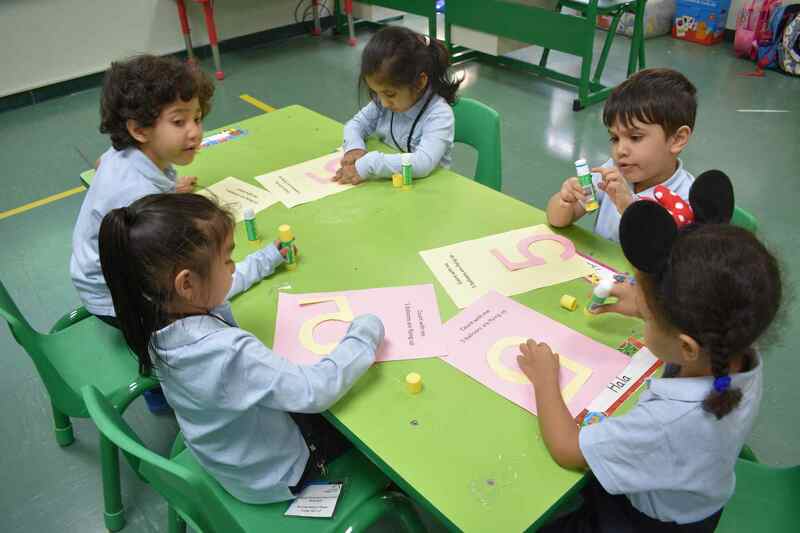 Kg2 children had math activity about number 15. 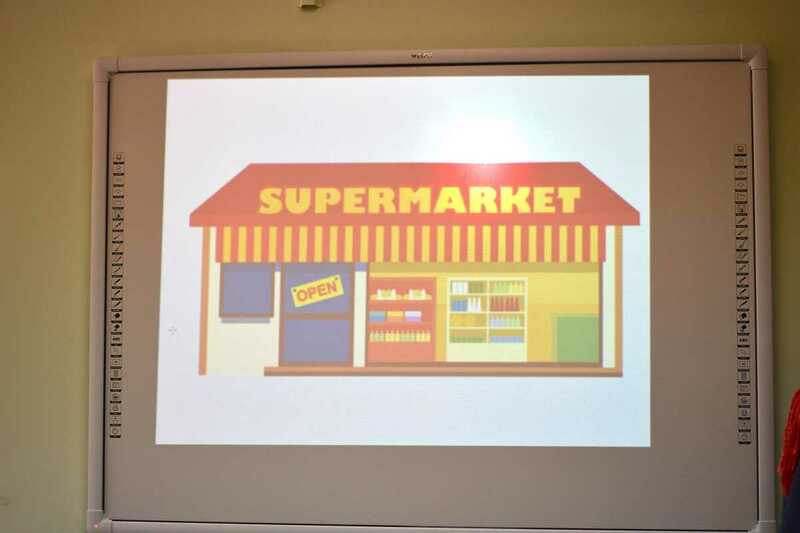 They stick 15 corns inside the can. 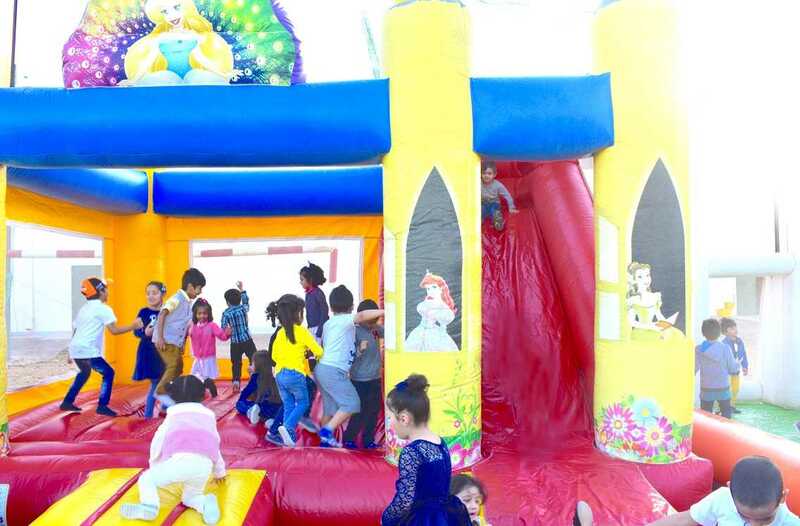 The kids enjoyed their time. 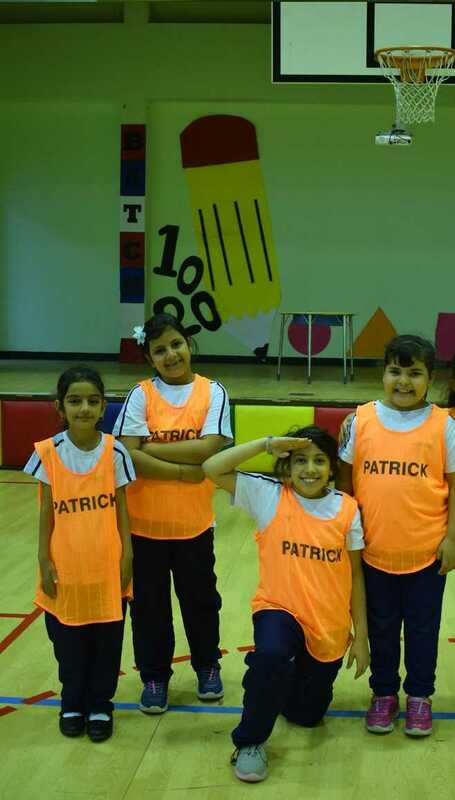 Basketball match for PE class conducted at AHISY between grade 3 and grade 4 girls. 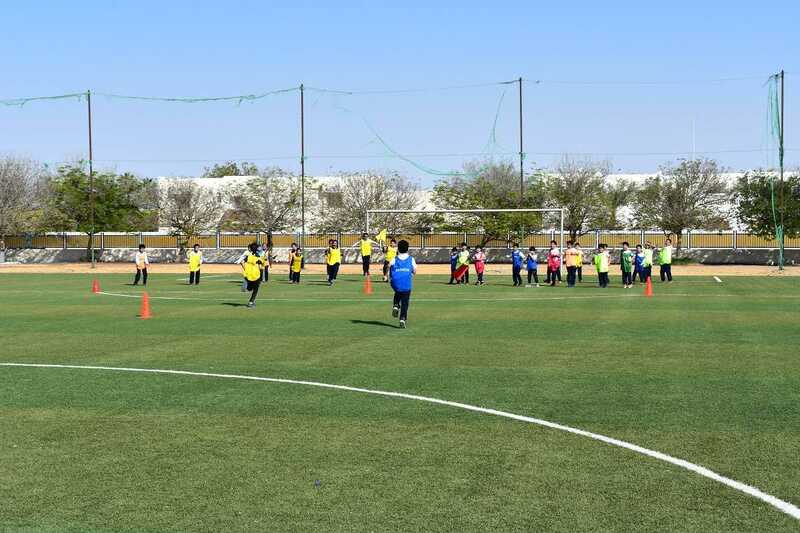 It was fun time and the score was tied. 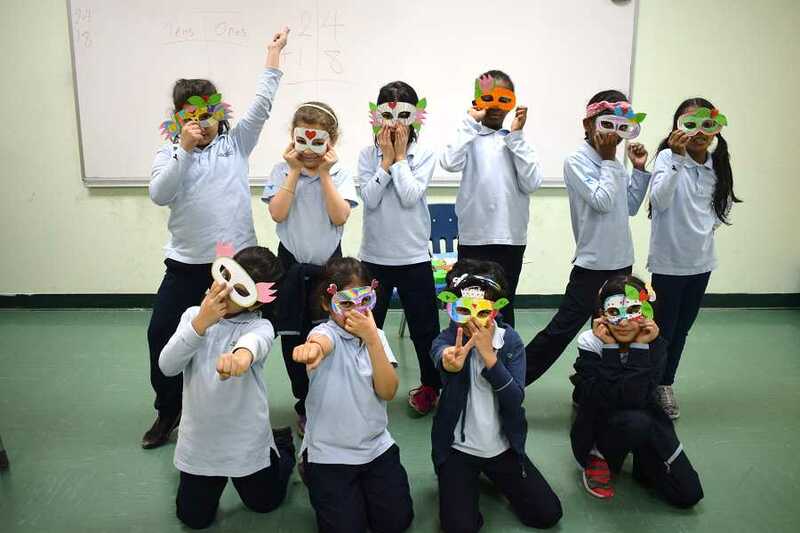 Grade 2 students at AHISY have a craft mask activity in Art class. 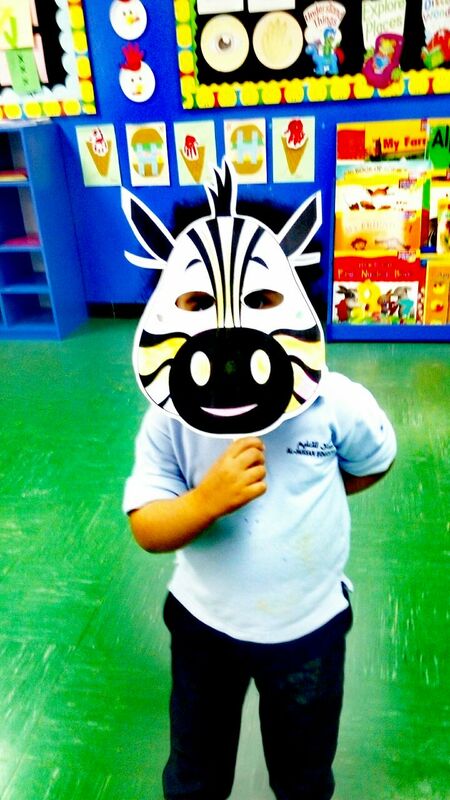 Students enjoyed creating their colorful masks and wearing it. 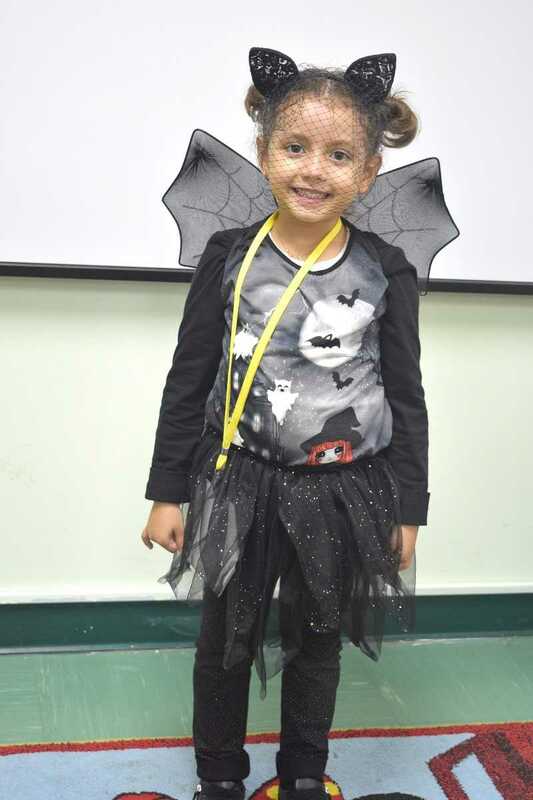 Kg2 kids at AHISY have English activity letter C is for Cat. 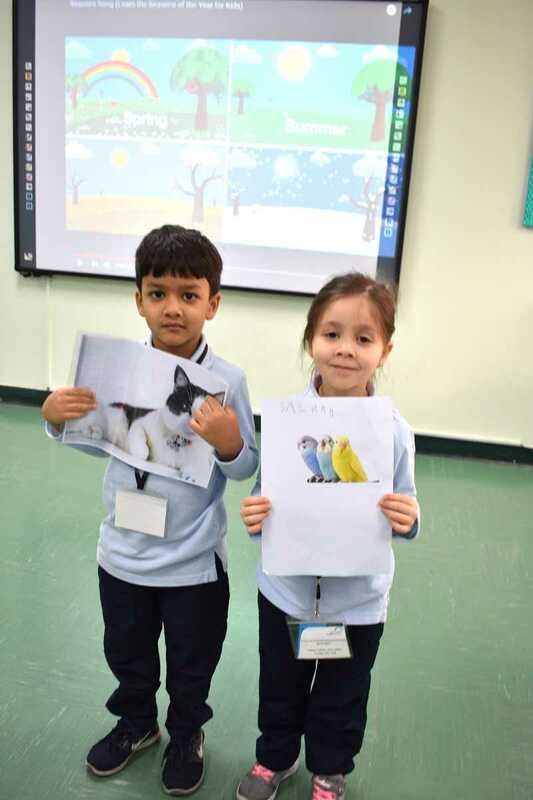 They designed a nice cats with the help of the teacher. 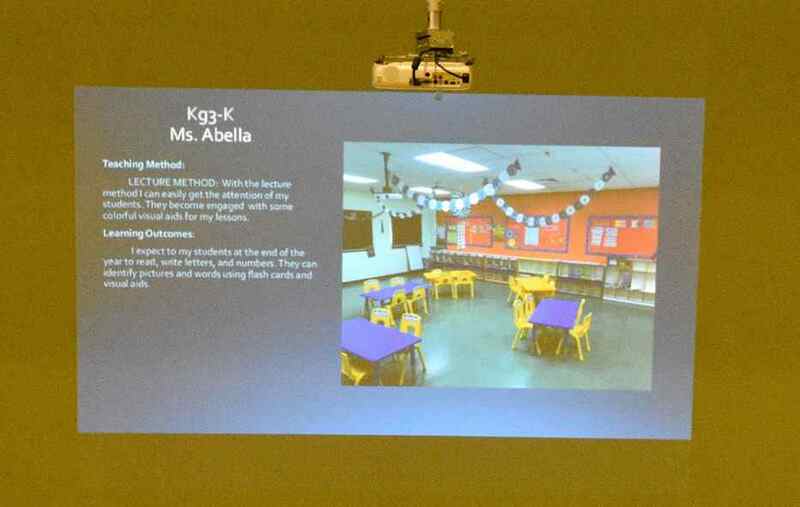 The kids were happy by their work. 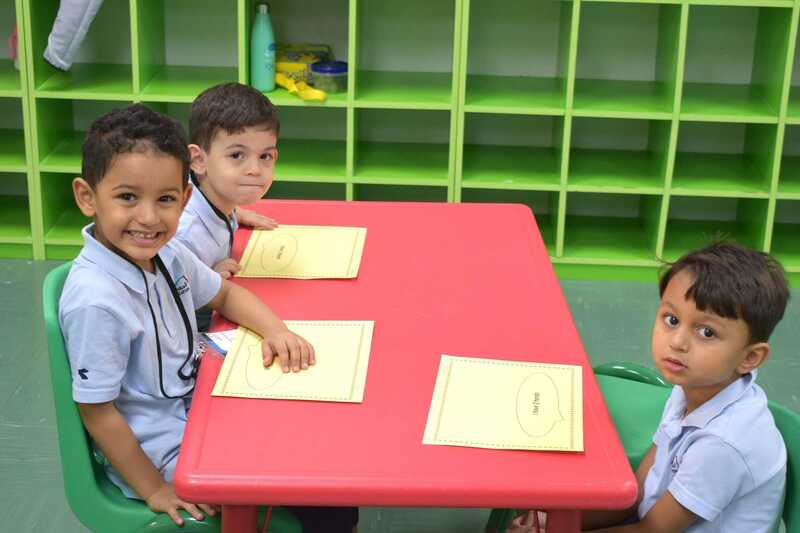 Kg2 children in AHISY have English activity. 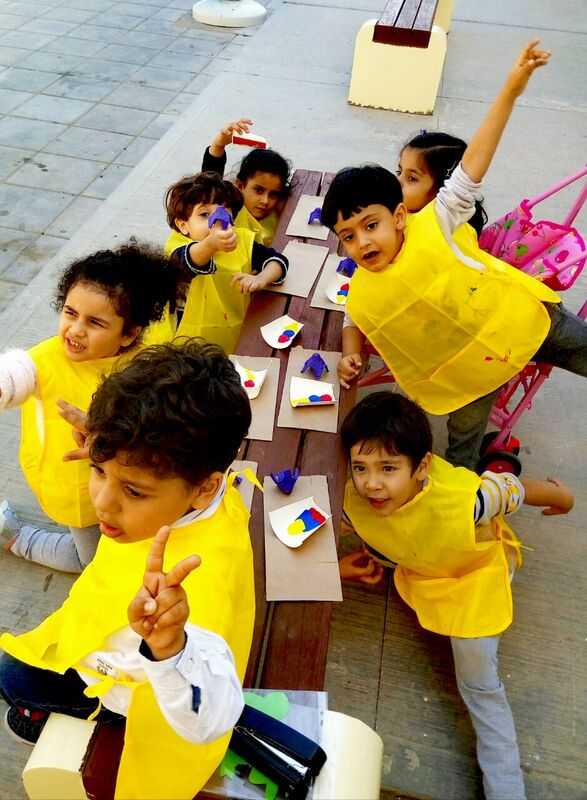 They learn colors by drawing and coloring rainbow. 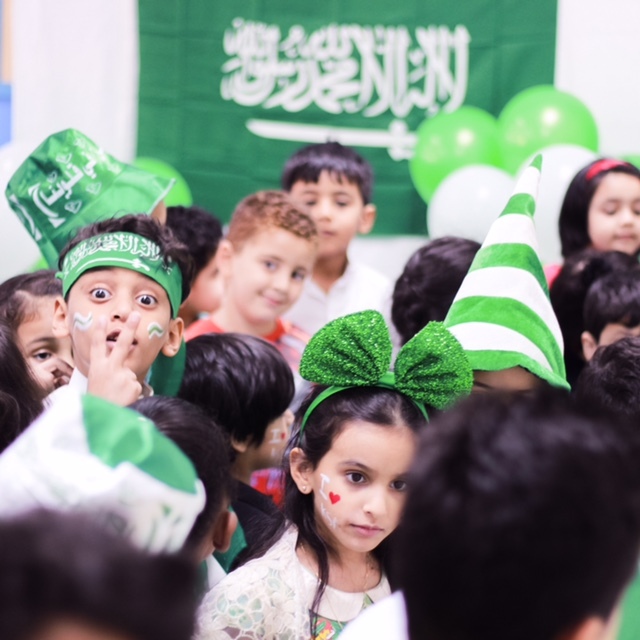 It was a fun time for them. 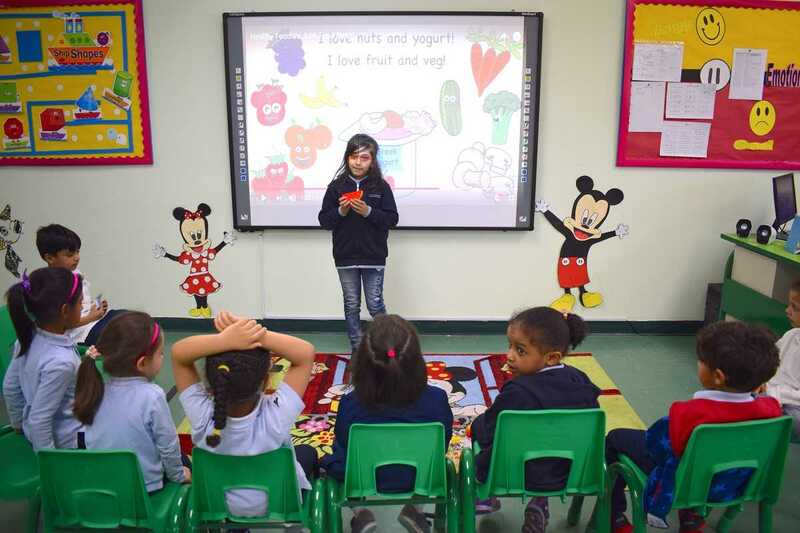 AHISY conducted English activity for Kg1 kids. 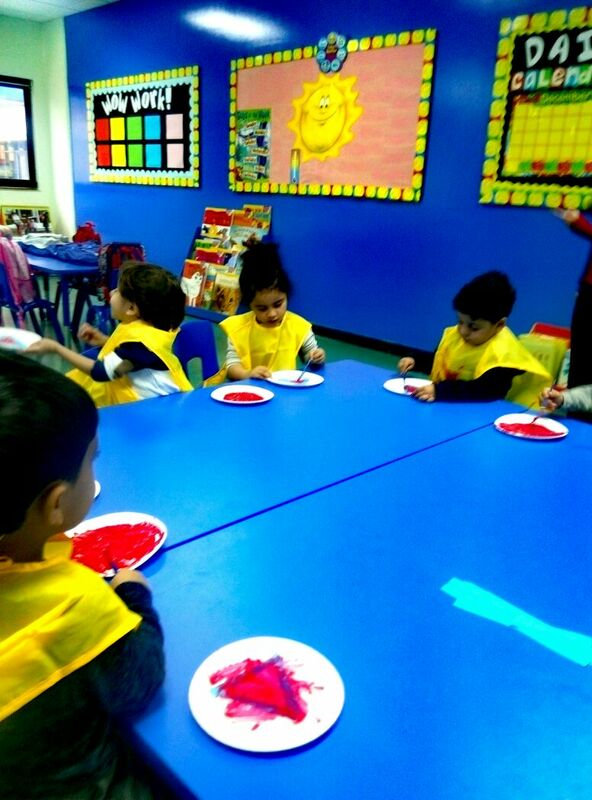 The activity was about sorting colors in groups to learn the colors. 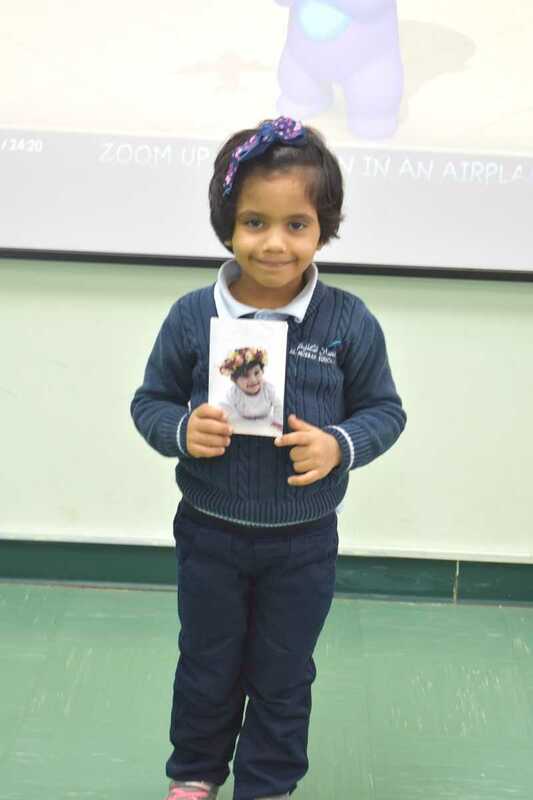 Kg2 kids in AHISY have Show and Tell activity about their favorite pet. 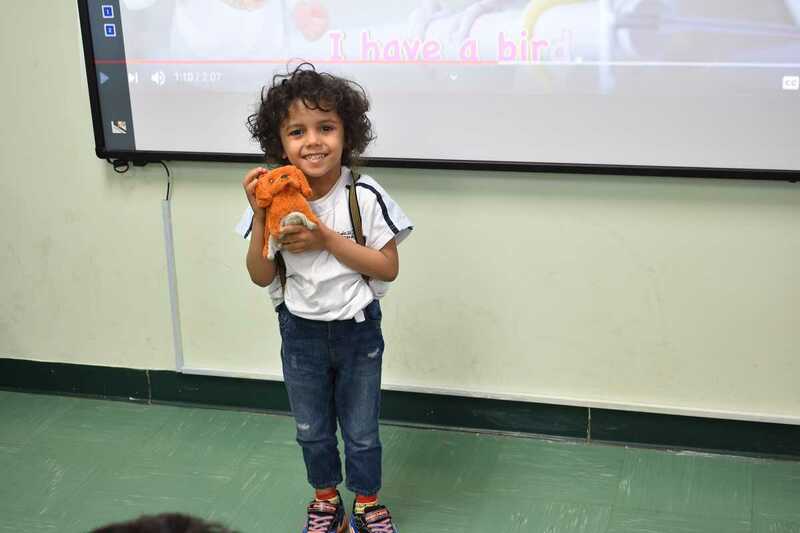 They brought their favorite pet animals and talk about it with their friends. 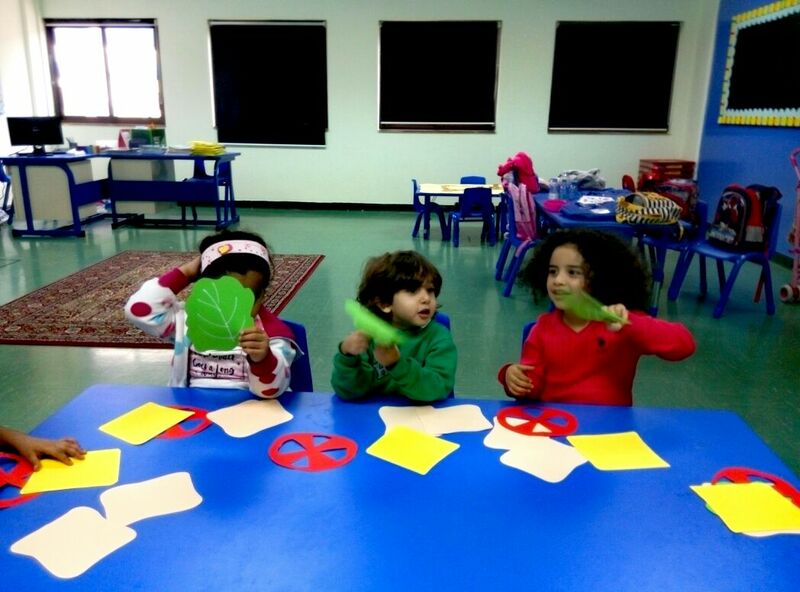 AHISY has conducted an activity for Kg1 children. 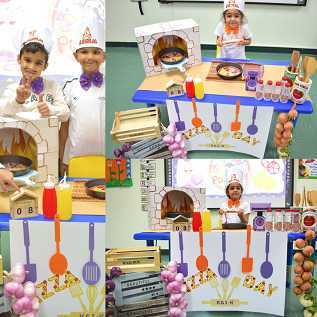 The activity was for English class about letter E. Making egg sandwich. 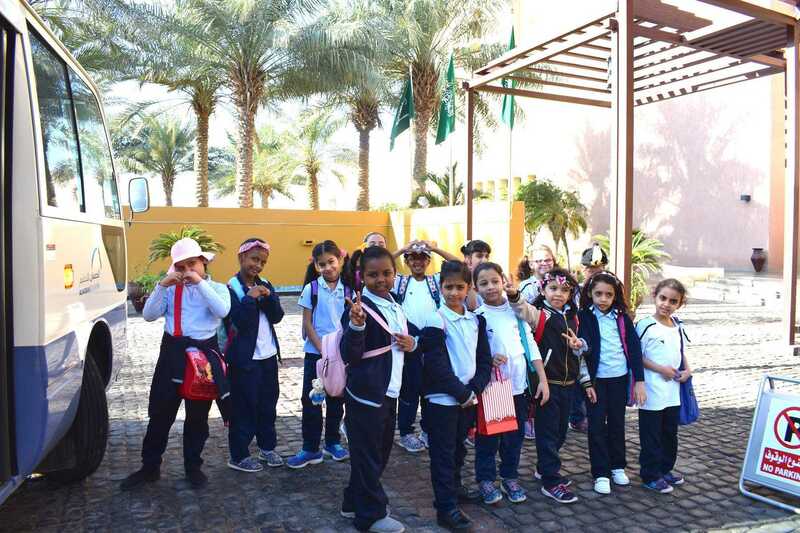 Kg3 children at AHISY learned about the snow. 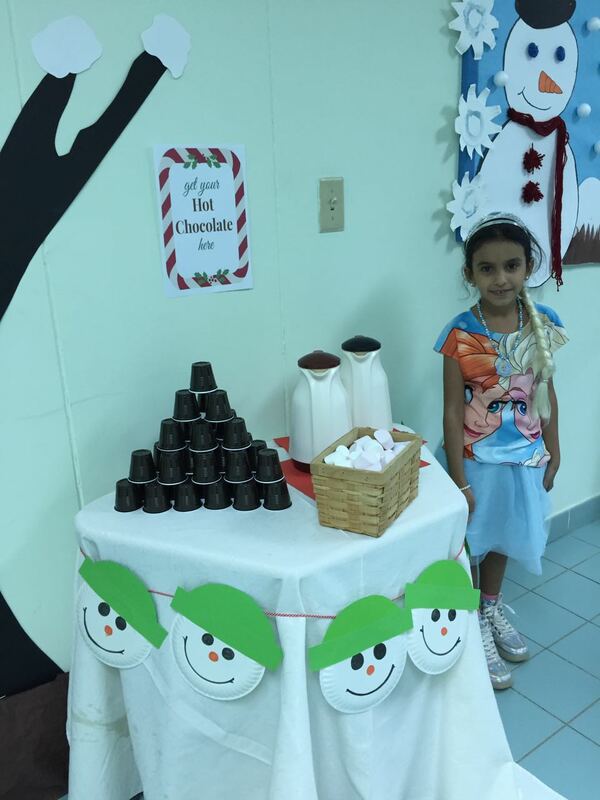 The children had the chance to wear their favorite winter costume and talk about it in show and tell activity. 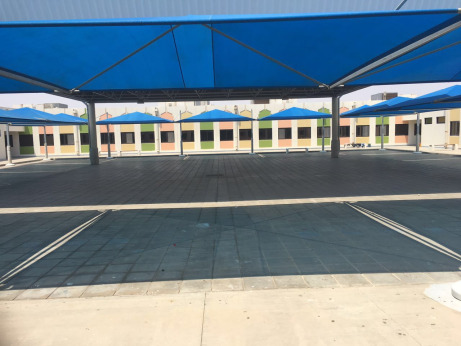 Monday 18/12/207, on this day as it was in the most parts of the Saudi kingdom the staff and the students did the prayers for rain . 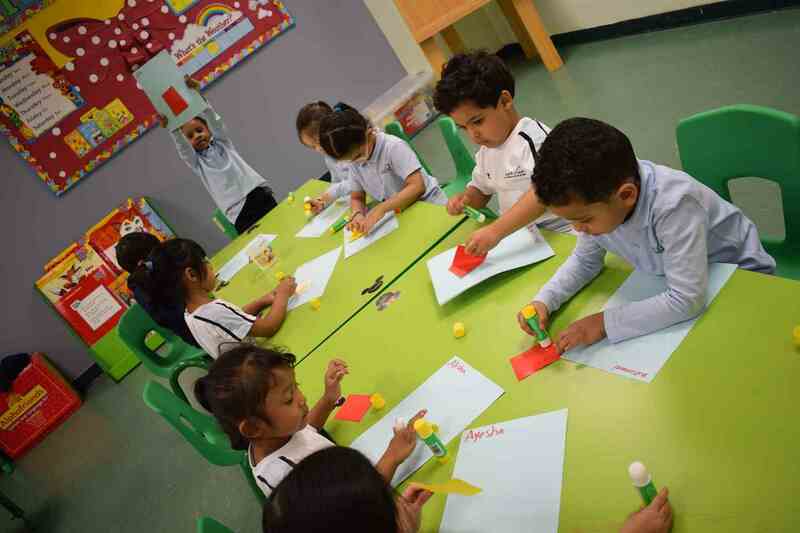 Kg2 children have a nice activity about the shape (star). 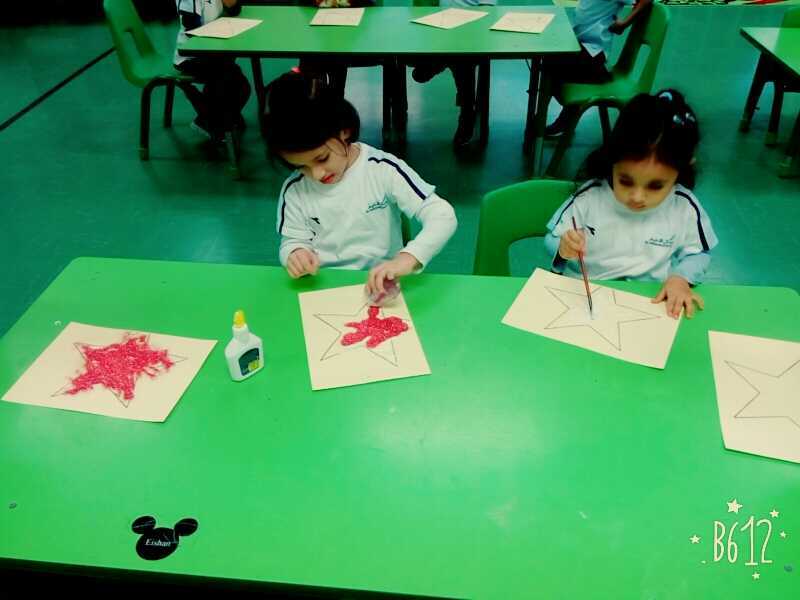 The kids made a very nice glittery stars. 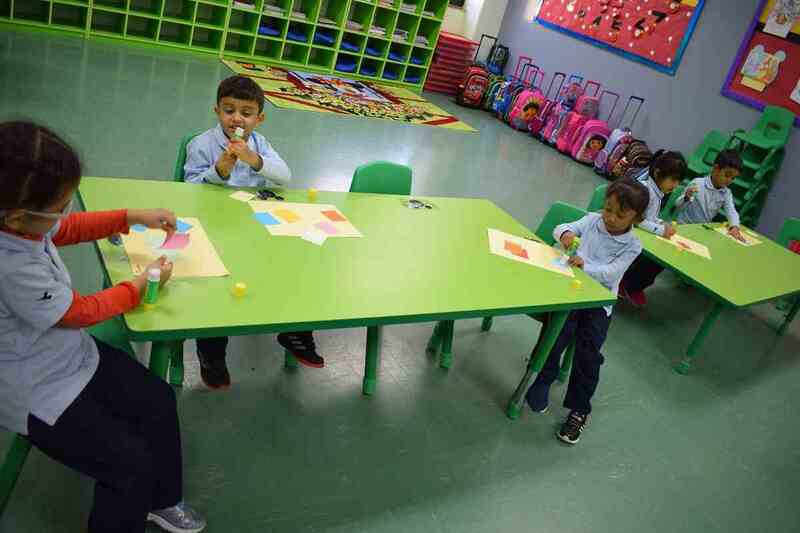 Kg2 children in AHISY have math activity about number 14. 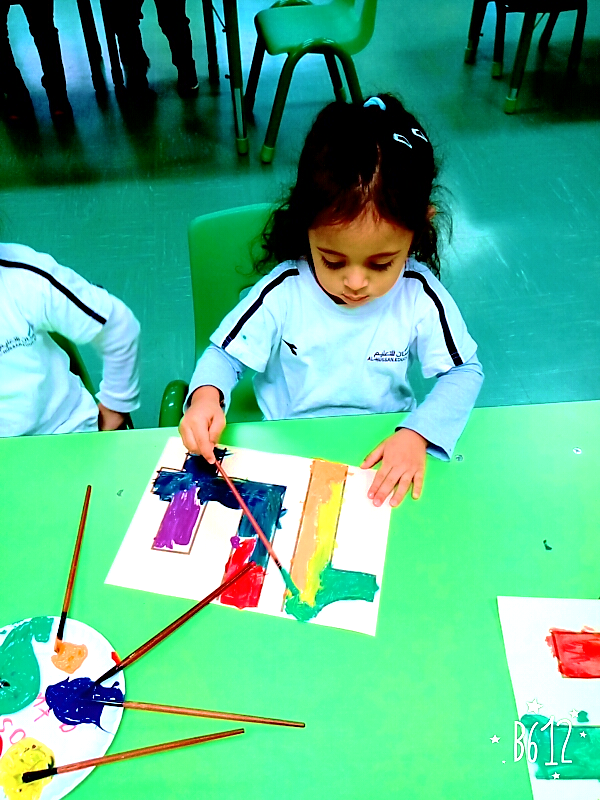 They painted number 14 with rainbow colors. 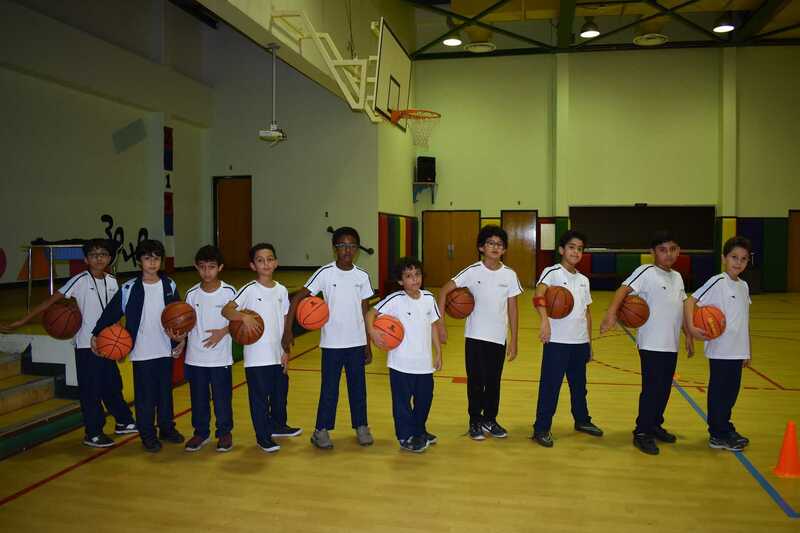 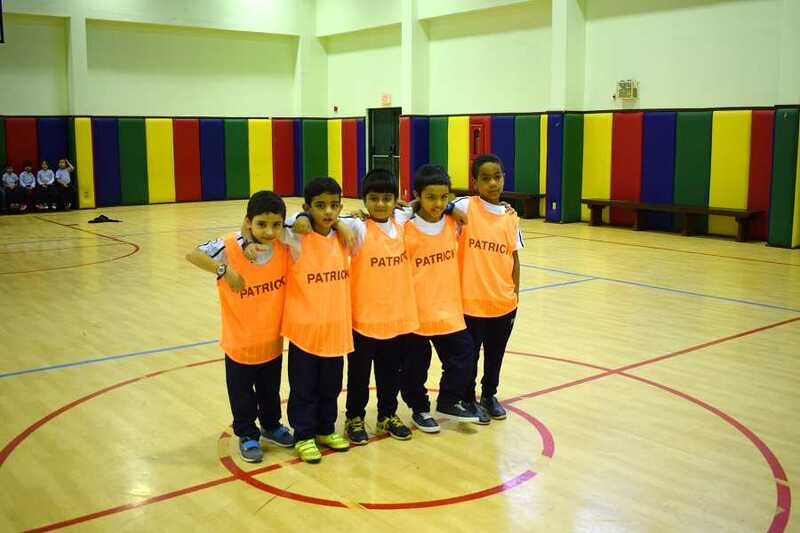 Basketball match between grade 2 and grade 3 boys has conducted in PE class. 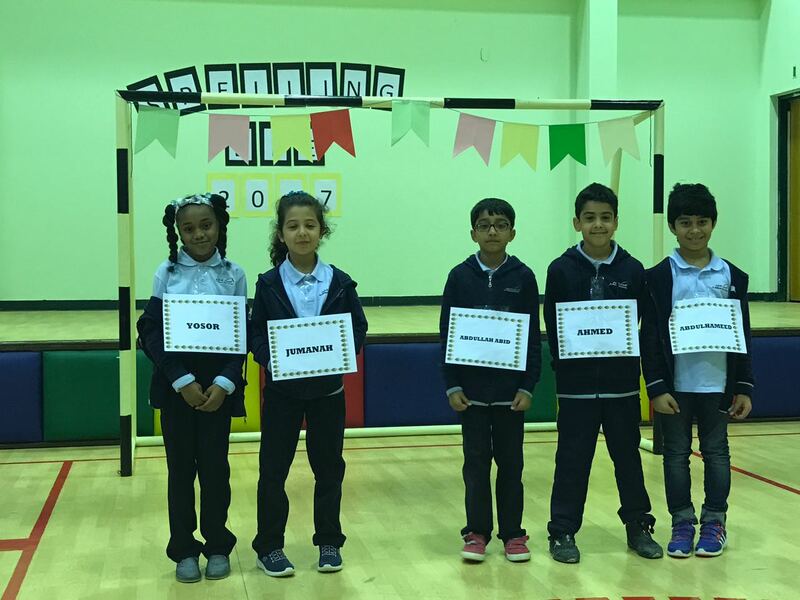 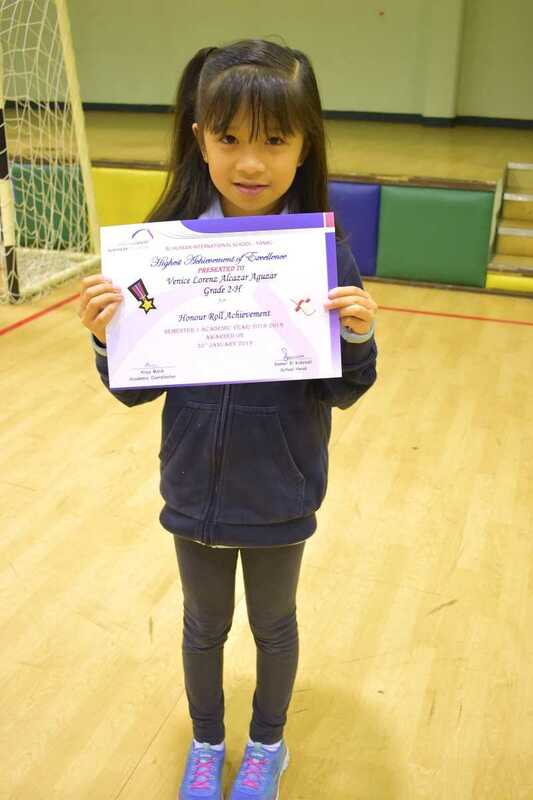 The winner is grade 3. 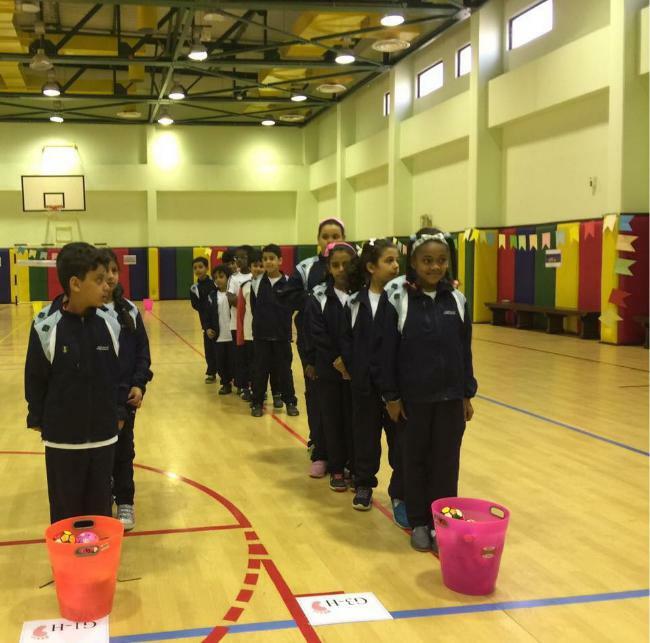 The score is 11 for grade 3 and 2 for grade 2. 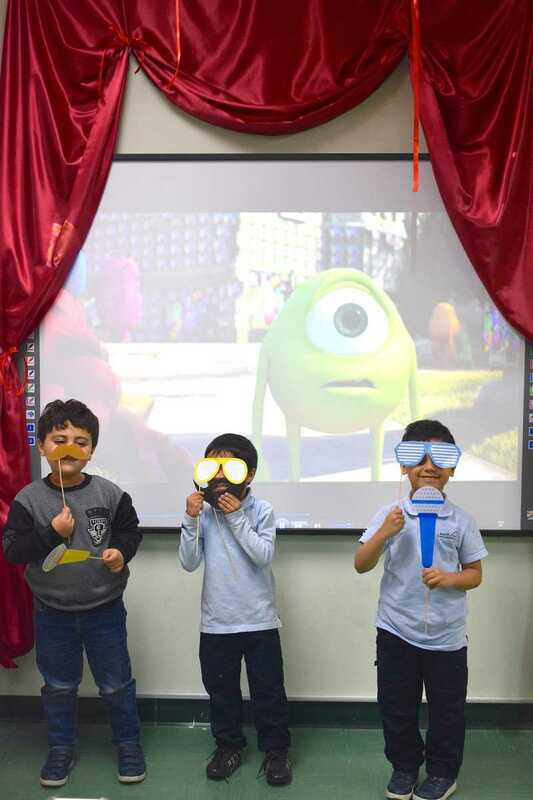 Kg2 Students in AHISY had English activity under the title: M is for Mask. 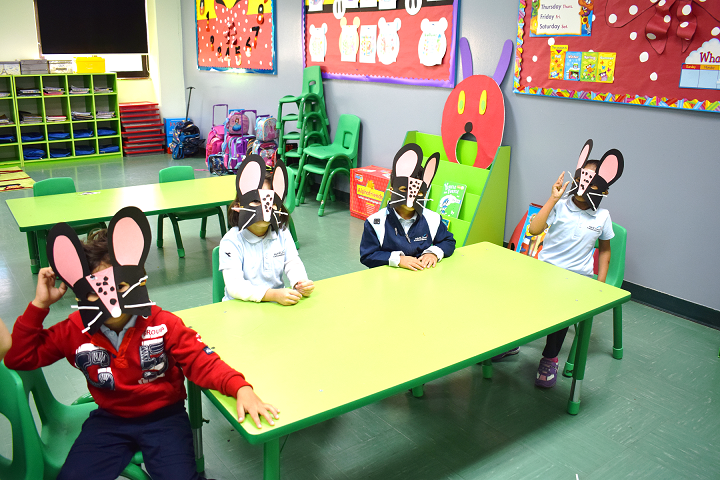 They have made mouse masks with a help from their teacher. 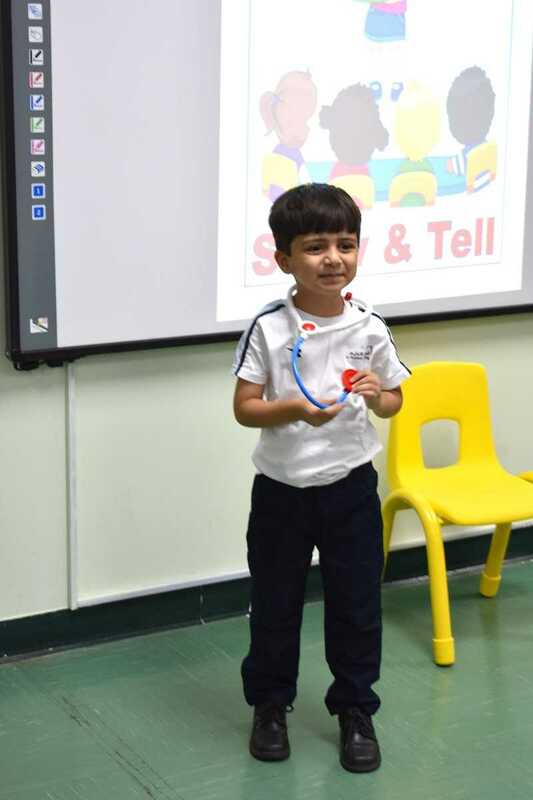 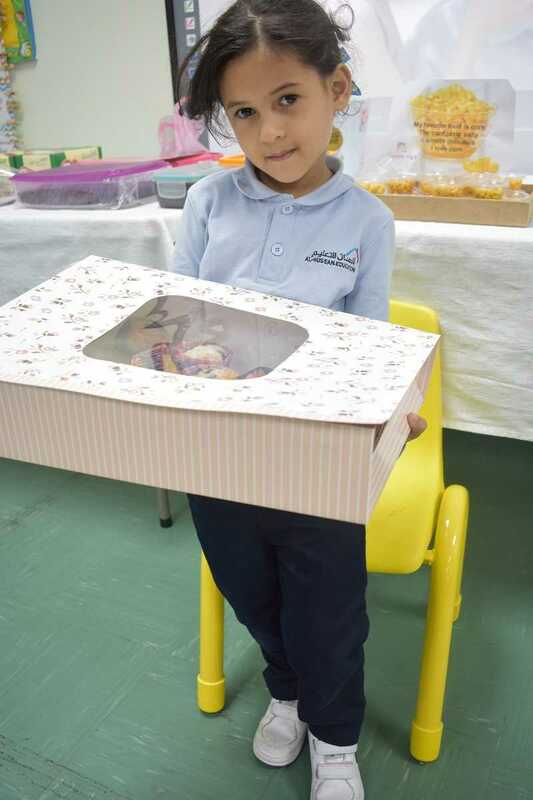 AHISY conducted Show and Tell activity for Kg2 kids. 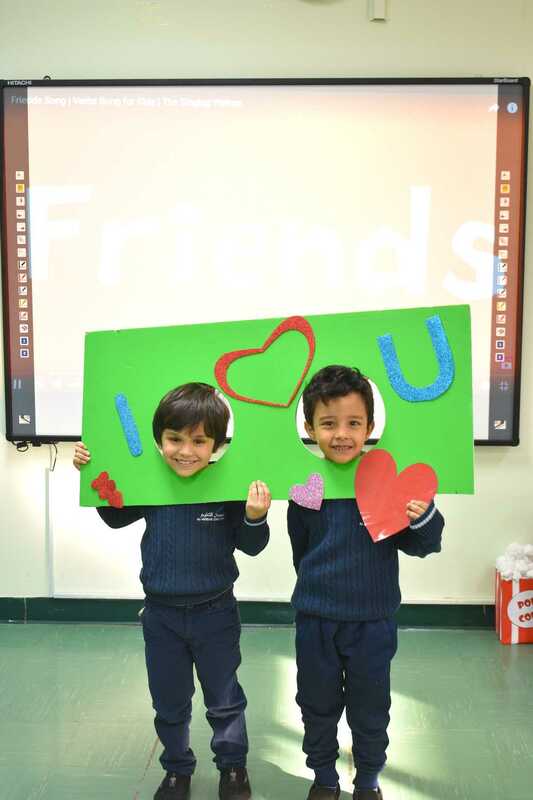 The children show their friends their favorite stories and share them together. 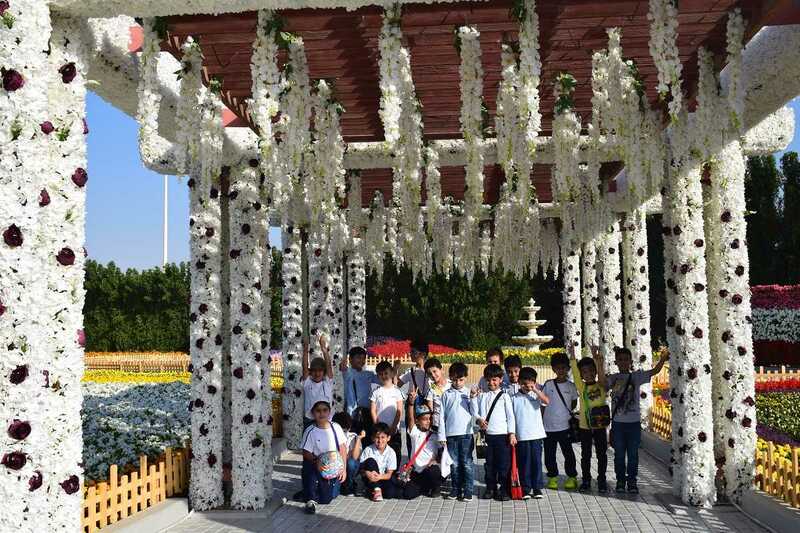 Students of Grade 1 (Boys) planting plants on chilled Sunday Morning while enjoying the cool breeze. 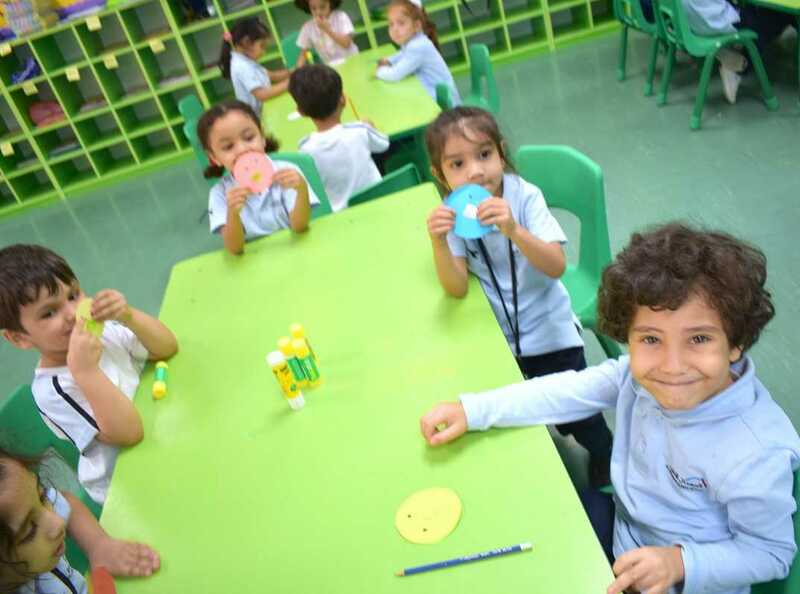 Kg2 students at AHISY conducted Sorting Shapes activity. 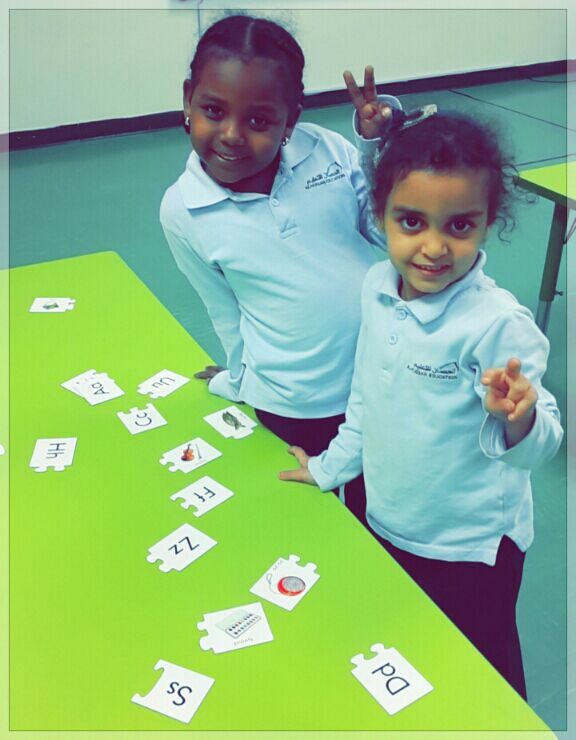 They learned how to sort different shapes into groups. 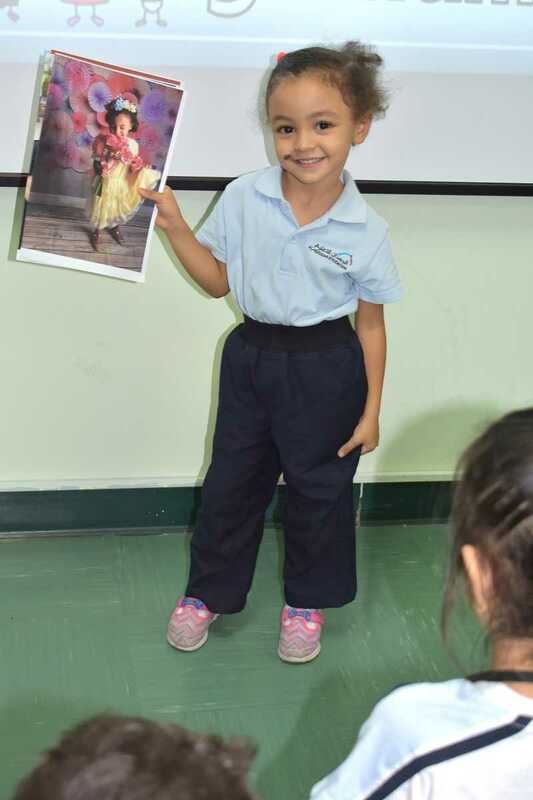 AHISY conducted an activity in English class for Kg2 kids. 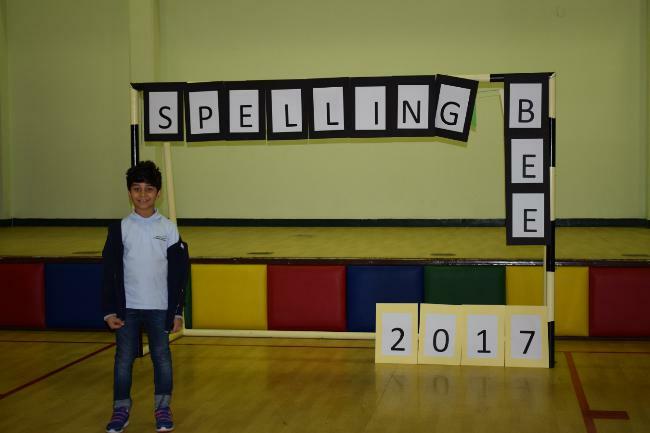 The activity was &quot;Letter B for Bear&quot;. 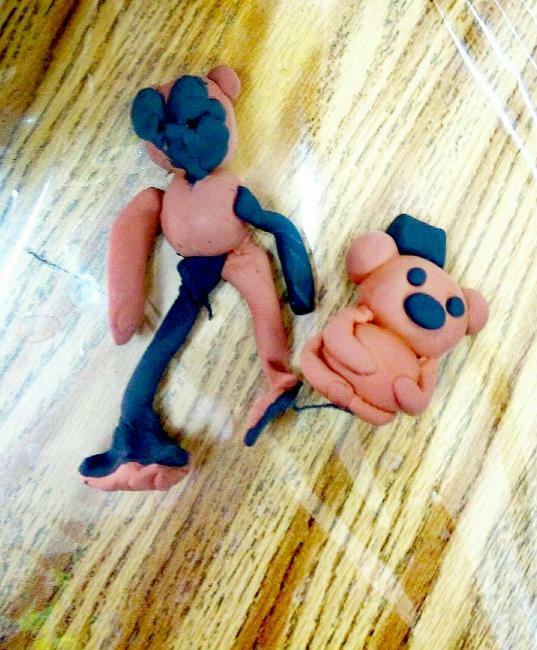 The kids spent a nice time in making bears together. 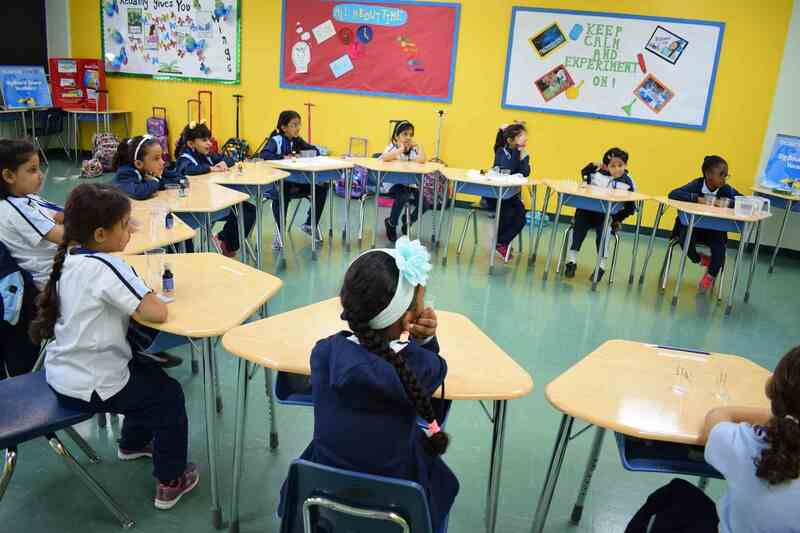 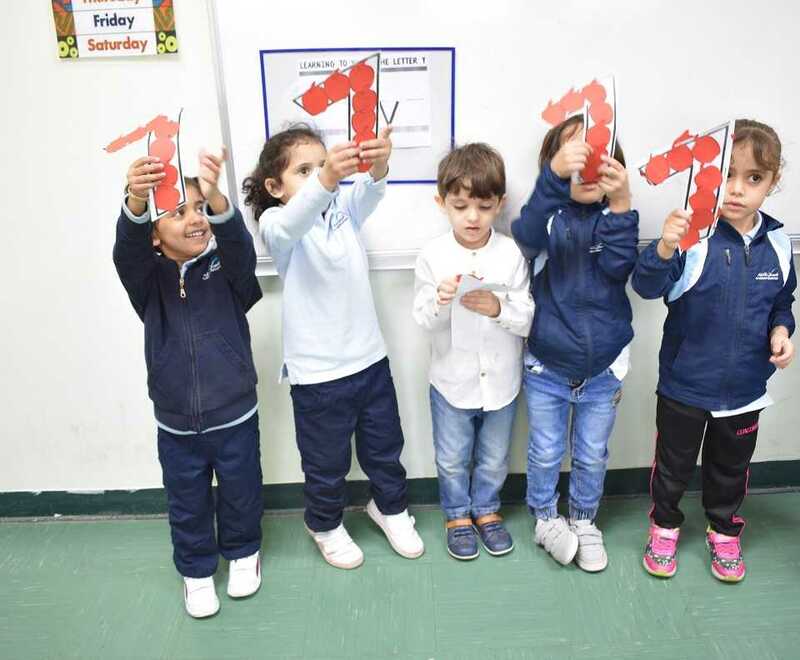 Kg2 students in AHISY conducted an activity about number twelve in Math class. 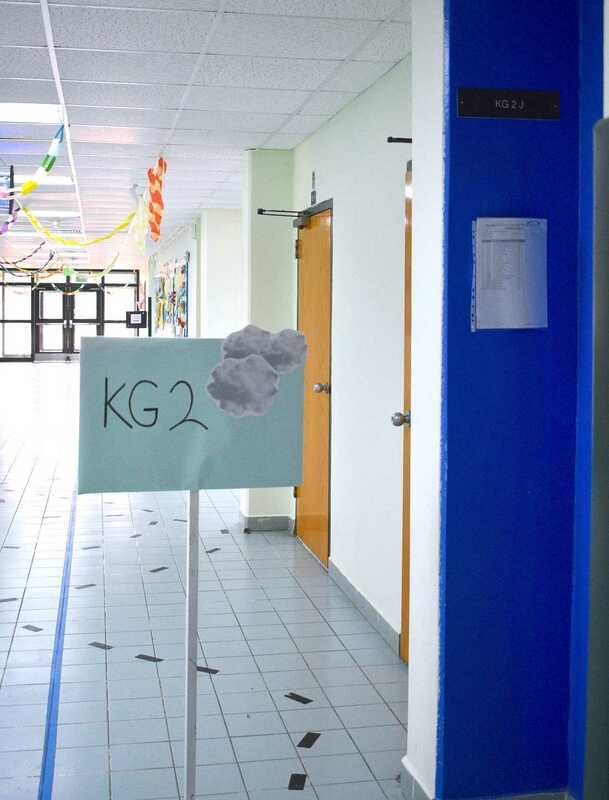 They designed a nice flying house and stick 12 balloons to it. 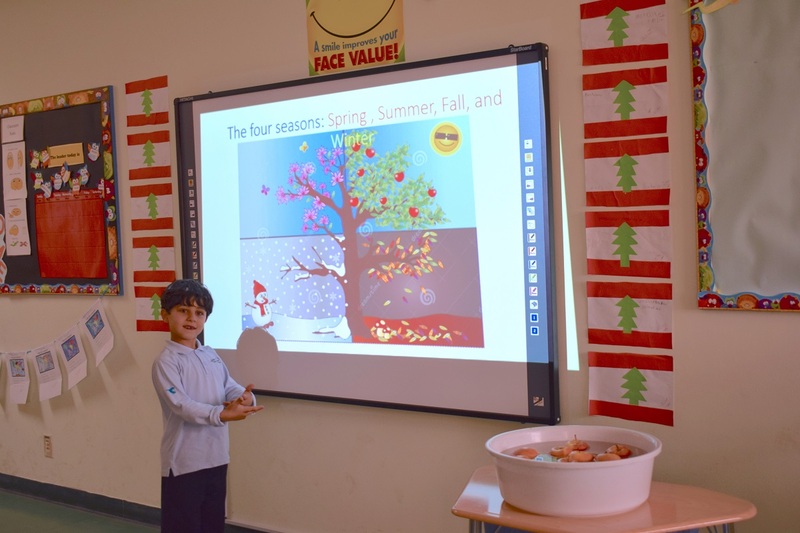 Kg3 students in AHISY have a lesson about winter season. 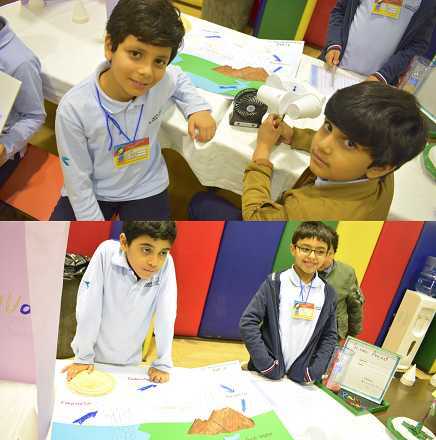 They spent a nice time drawing and coloring winter trees and making snow using cotton. 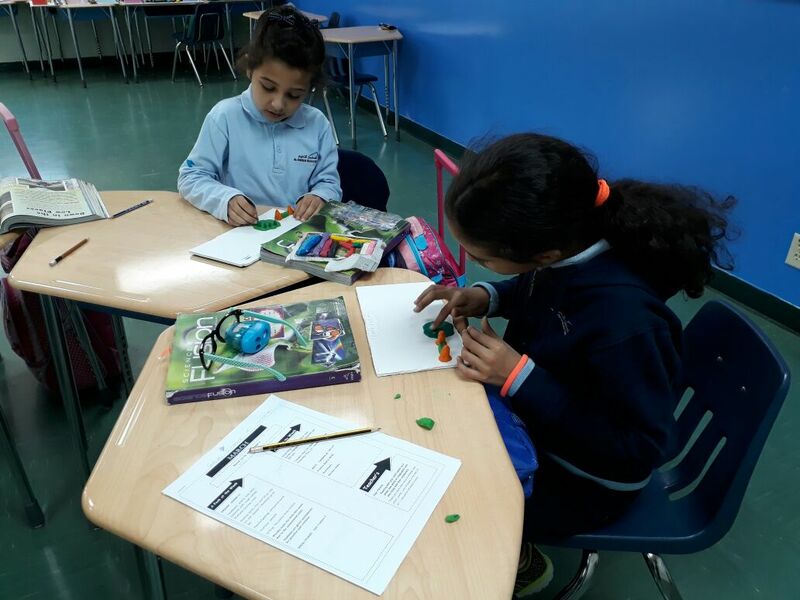 AHISY Conducted Math activity about number Twelve for Kg2 students. 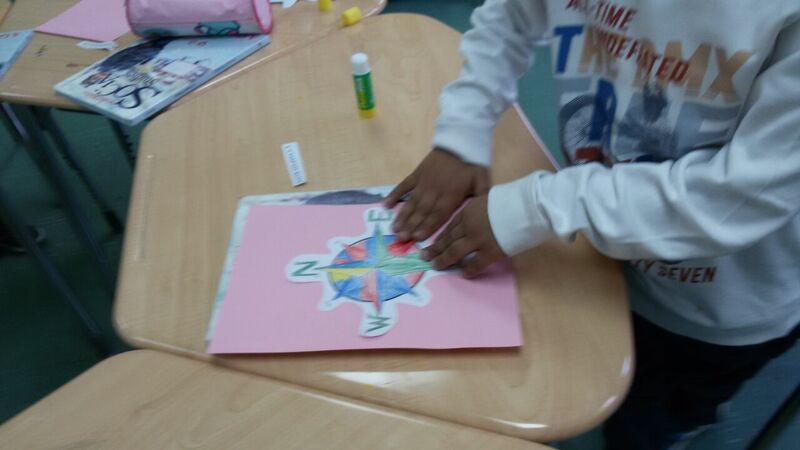 The kids have decorated number twelve by 12 circle colored papers. 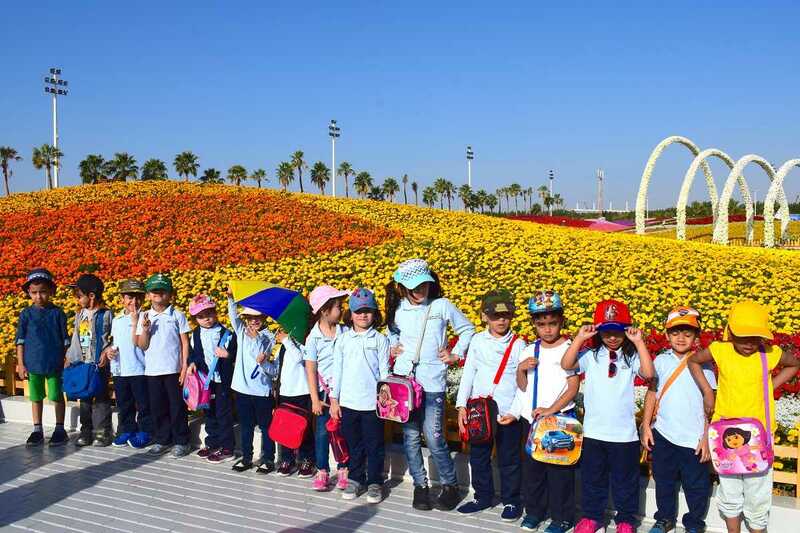 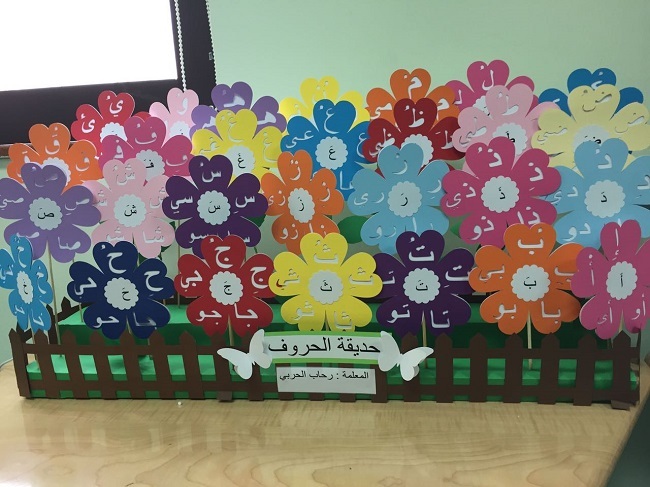 Kg3 students in AHISY had English activity under the title: Letter F for Flower. 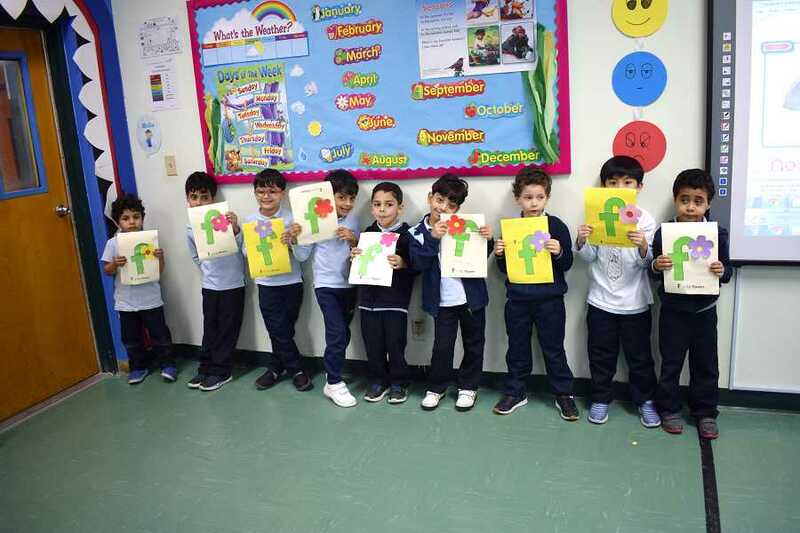 The kids enjoyed their time decorating the letter F with their teacher. 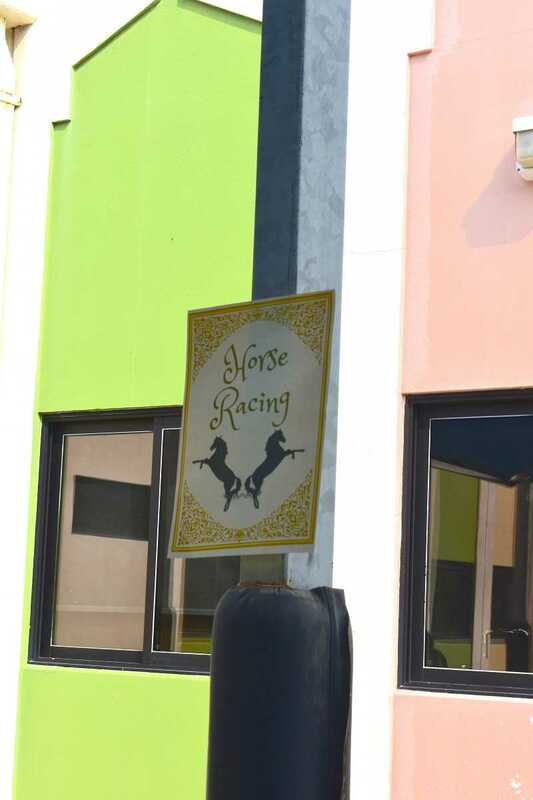 They were happy with the result. 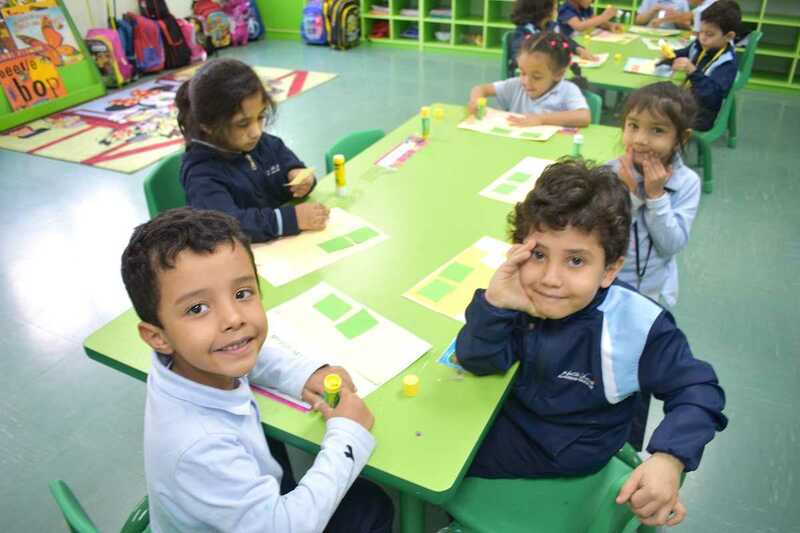 Kg2 students in AHISY conducted an activity about number 11 for Math class. 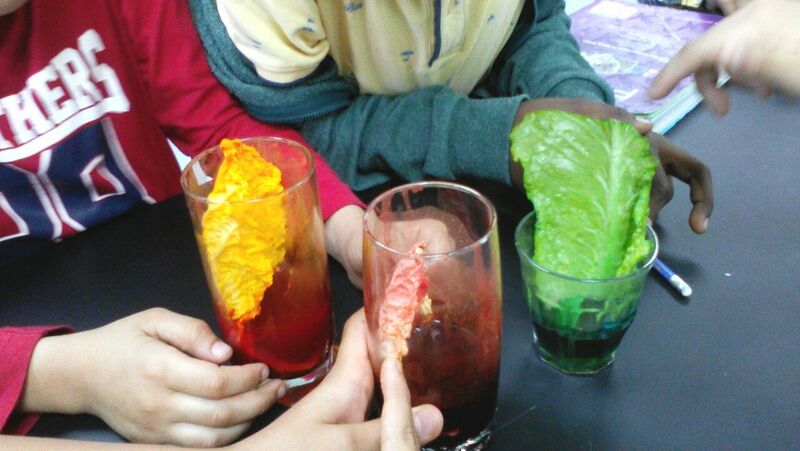 They designed a watermelon and stick eleven black seed on the watermelon. 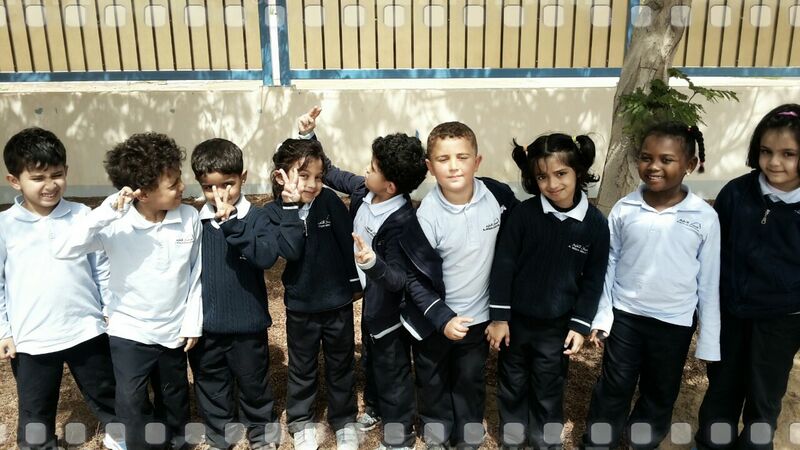 Kg2 children in AHISY had English activity under the title: Z for Zebra. 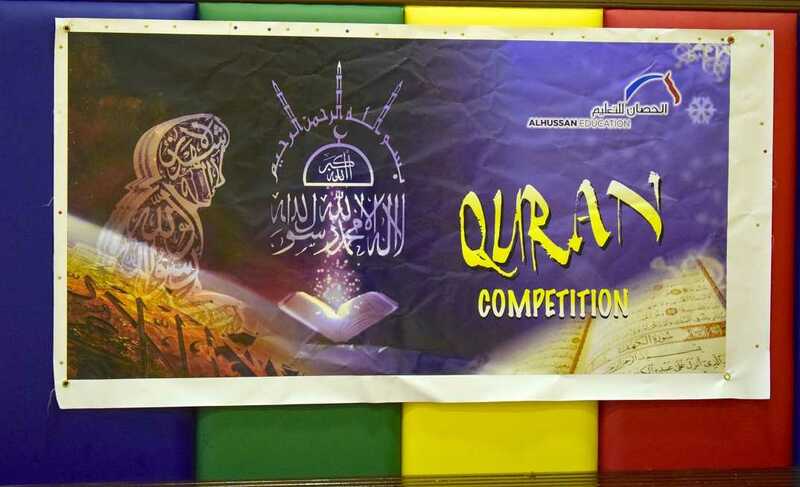 They used white paper of letter Z and pasted black stripes and then they pasted the eyes. 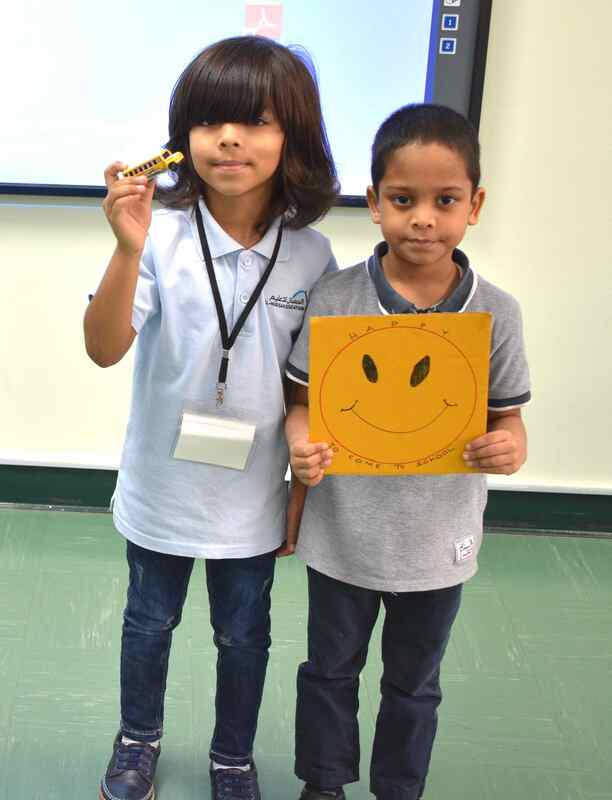 Kg2 Kids in AHISY had an activity in the math class about making a face using number. 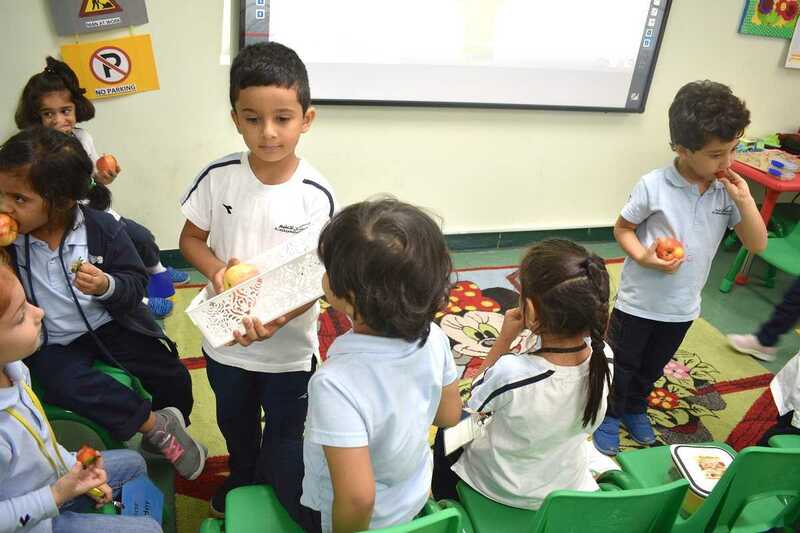 Kg3 children in AHISY enjoyed Show and Tell activity about their favorite toys. 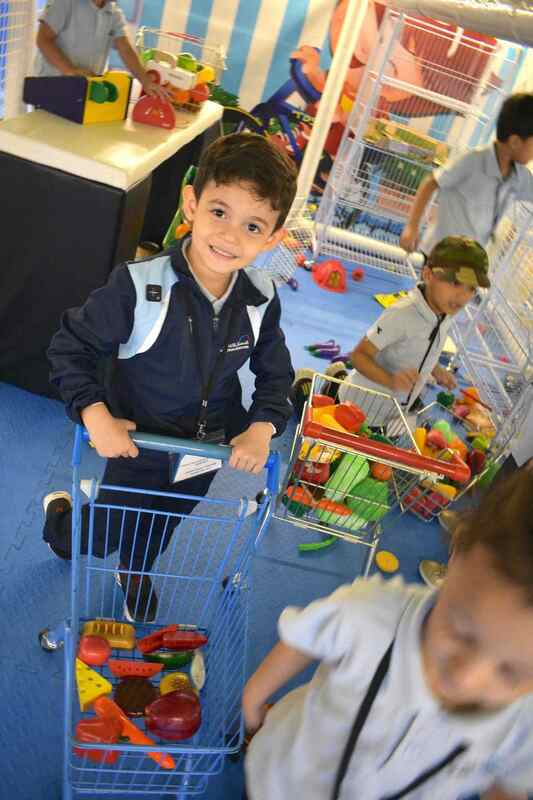 They had the chance to share their toys together, touch them and talk about them. 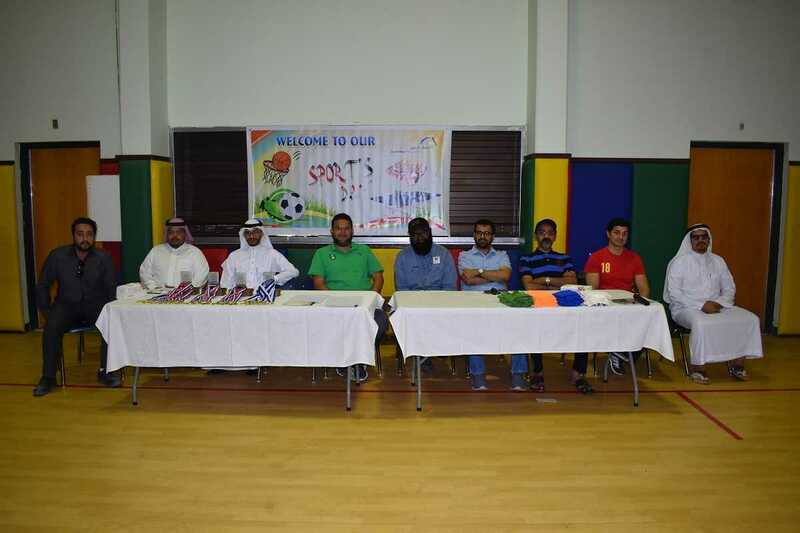 These activities were designed to teach the students the basic skills and practice different sports like football, basketball&hellip;..etc. 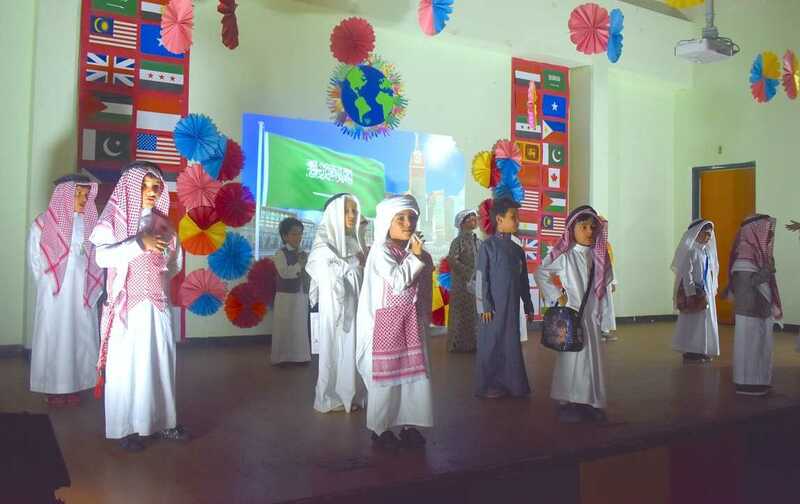 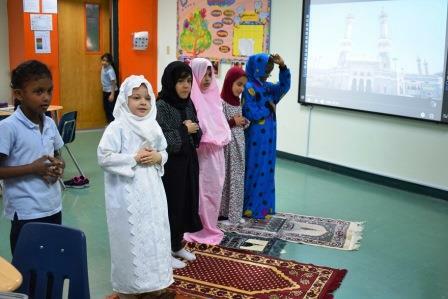 on this day as it was in the most parts of the Saudi kingdom the staff and the students did the prayers for rain. 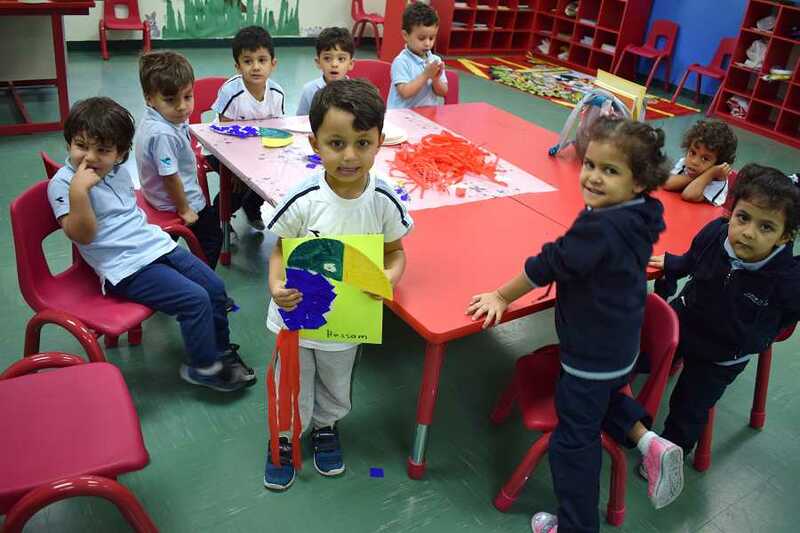 AHISY conducted activity craft for Kg1 under the title: Family Tree. 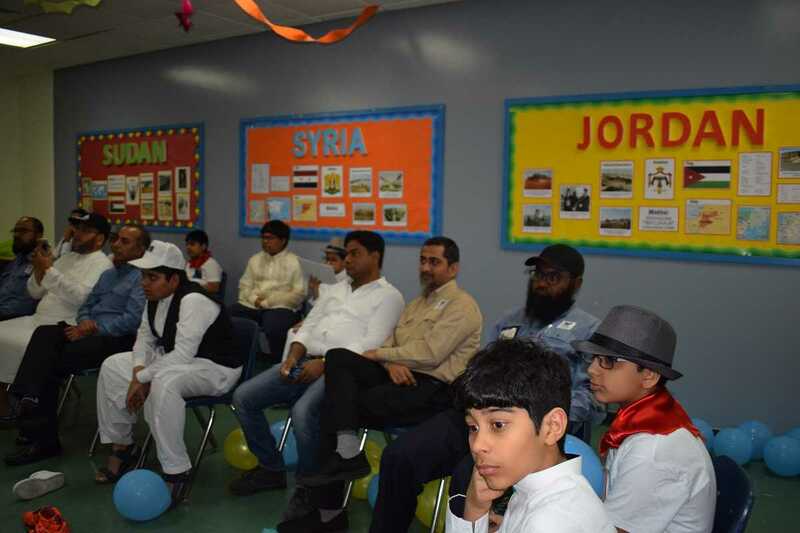 The activity was about identifying and introducing the family members and their roles. 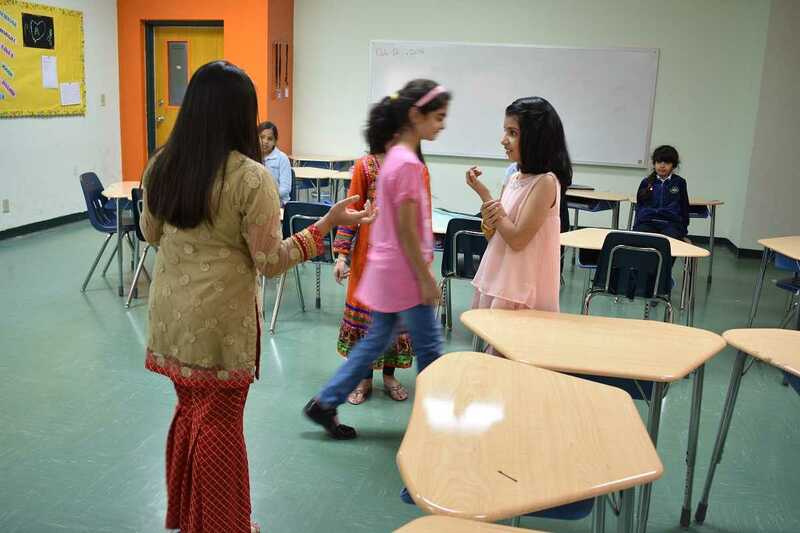 This activity was designed to make the returning students and the new students to know each other and to have the chance to feel the excitement of starting a new school year. 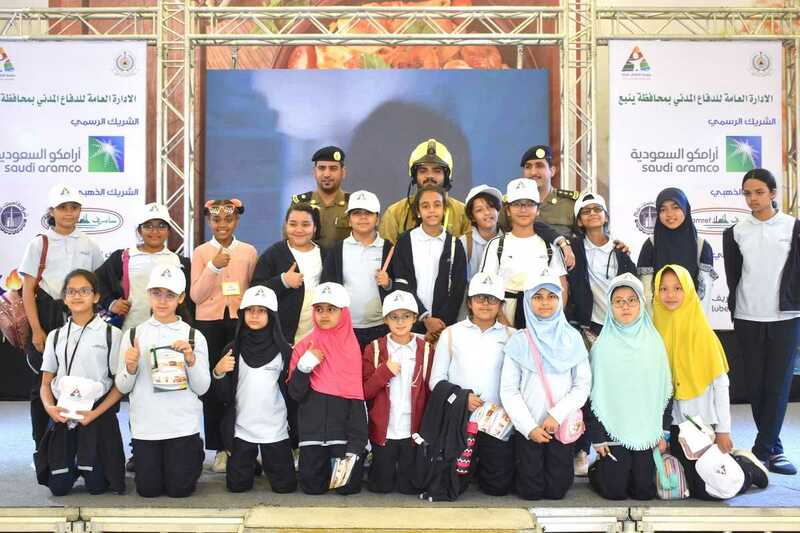 All the school students went through an unannounced simulation of a fire emergency. 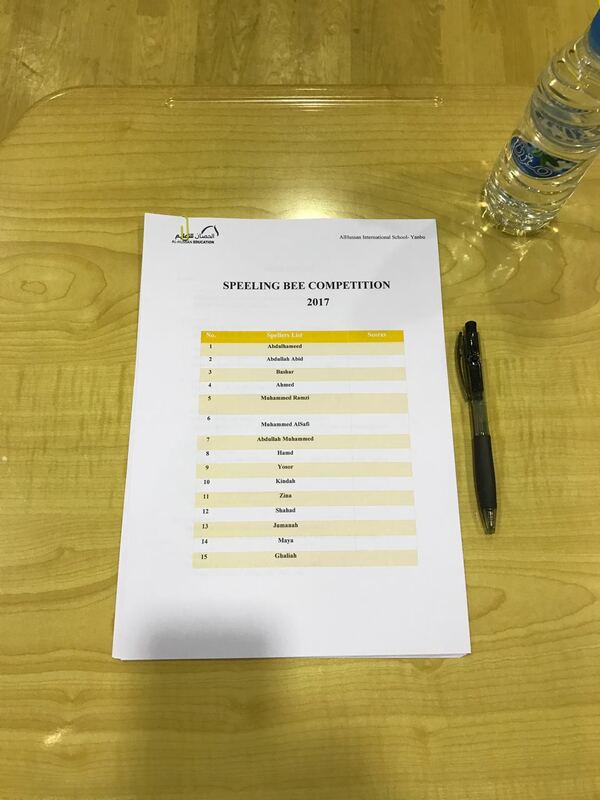 Wednesday 22 November, 2017. 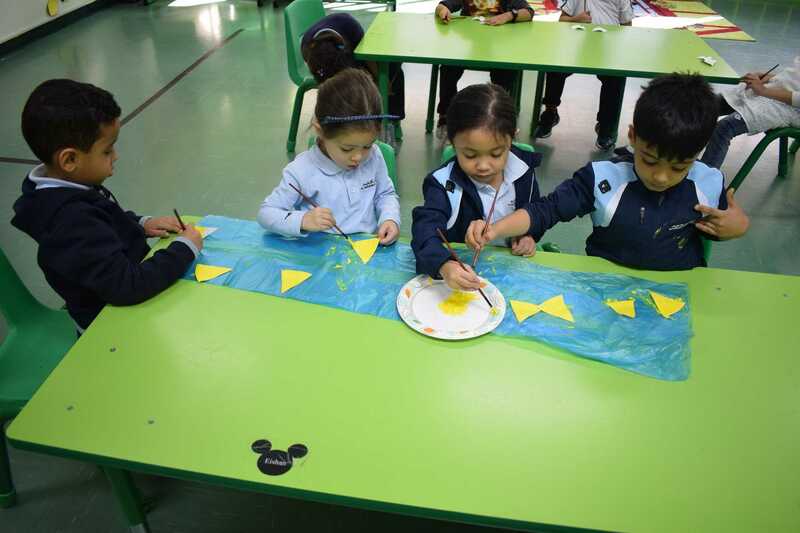 Kg2 students had an English activity of letter F. They had their own fishes and they used the glitter to design it. 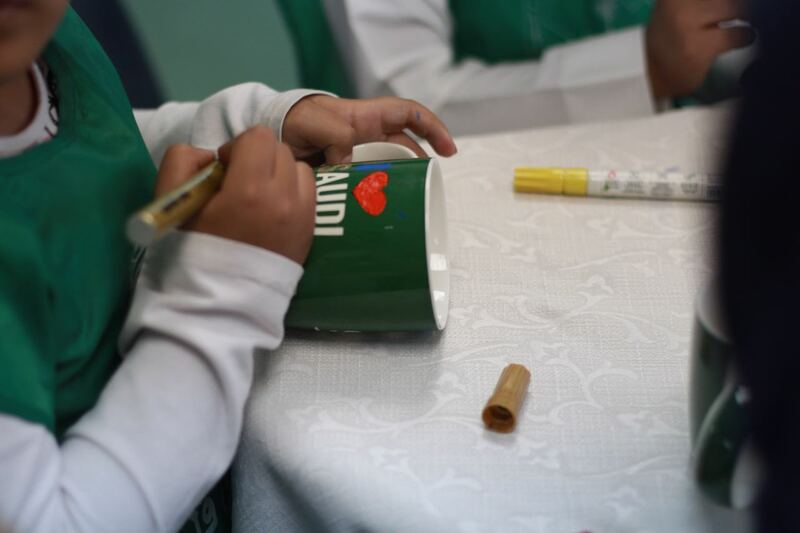 AHISY conducted activity craft for letter Pp under the title: P is for parrot. 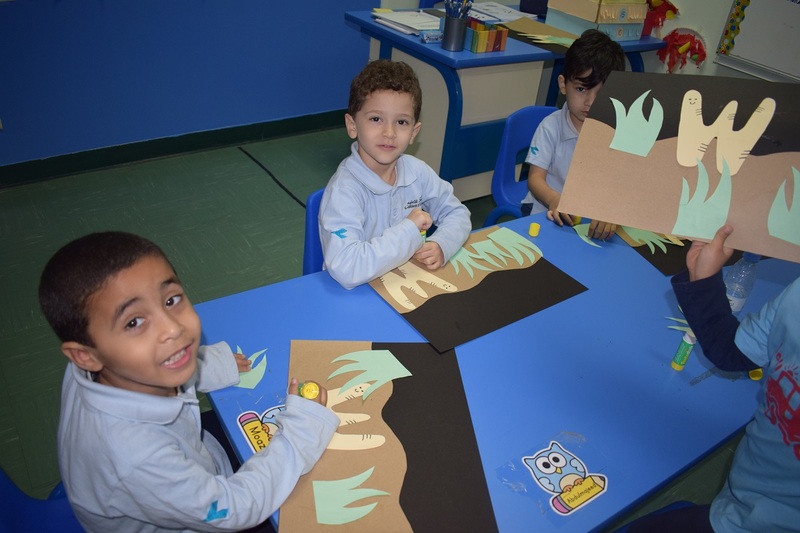 Kg1 kids have enjoyed their time creating a nice parrot together. 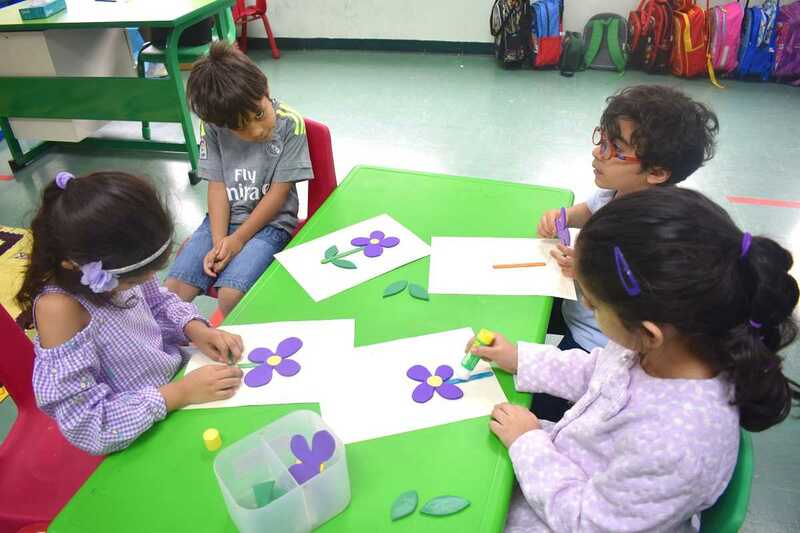 AHISY conducted a math activity for Kg2 kids under the title: Forming a Butterfly with Kids. 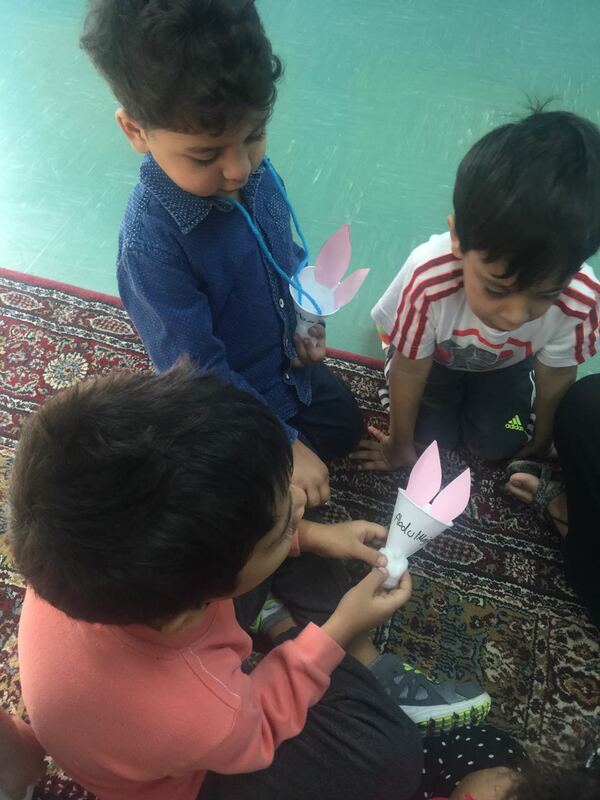 They enjoyed their time shaping a nice butterflies using number 9 and pasted it on the flowers. 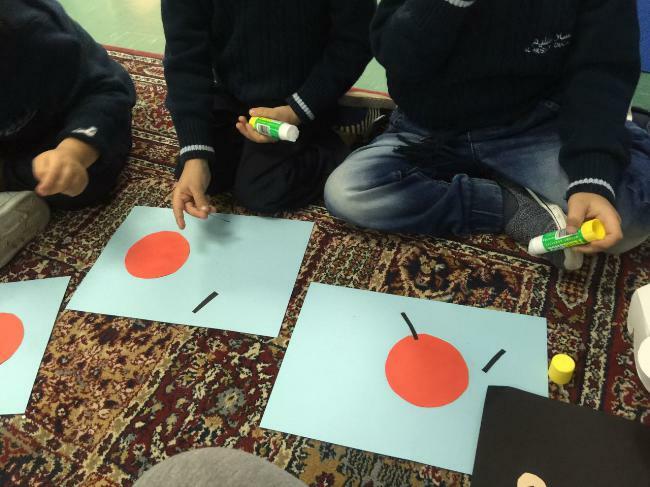 AHISY conducted a math activity for Kg2 students under the title: Let&#39;s Form a Patterns. 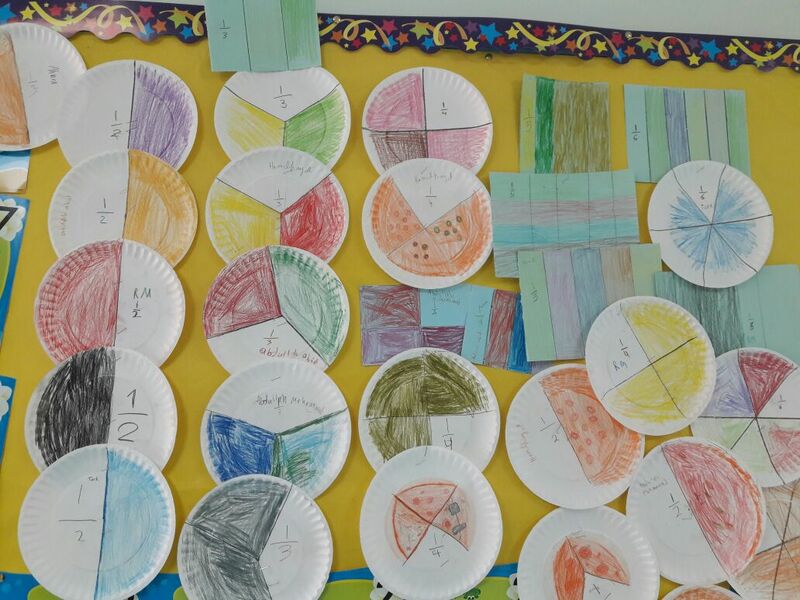 They used a colored circles and rectangles to form patterns. 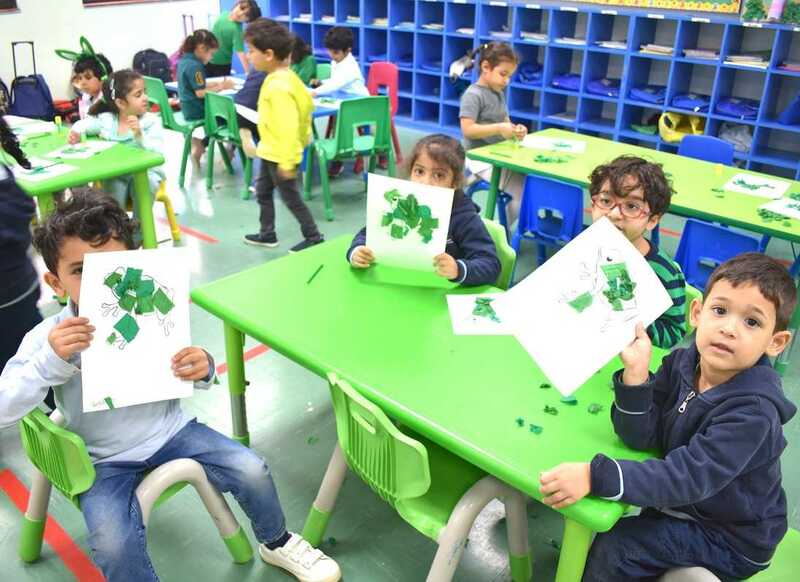 AHISY Kg2 students had an activity of letter F. They spent a nice time in forming the frog and tracing the letter F.
AHISY Kg2 students had a math activity about number 9. 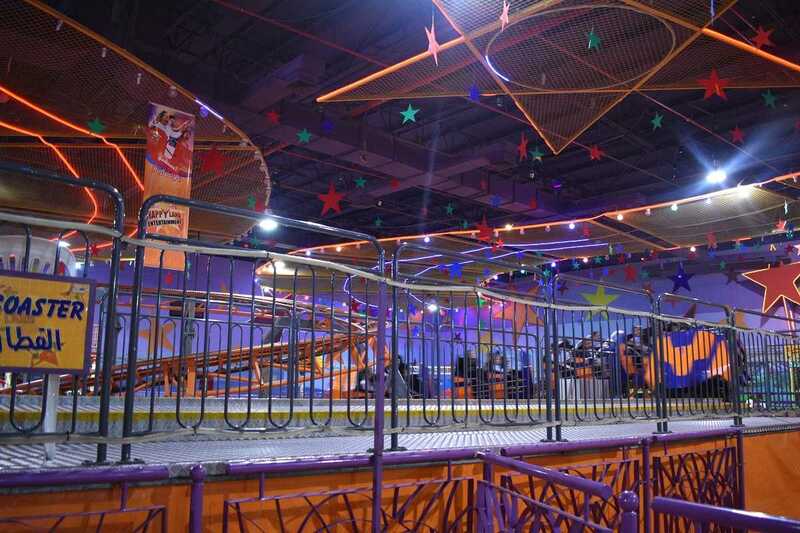 They had a nine colored circles. 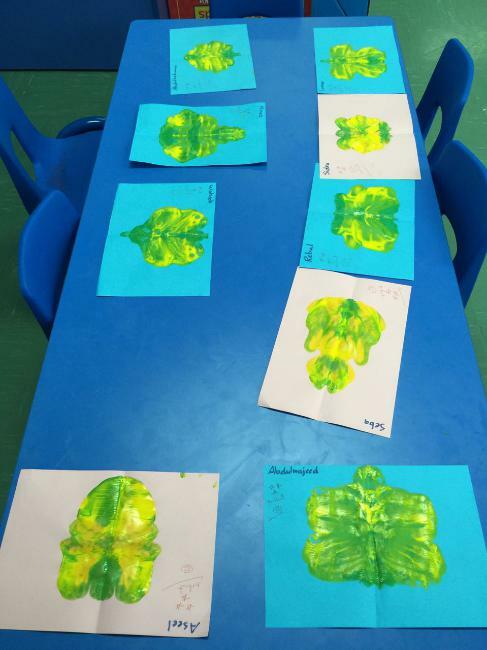 They shaped it as a worm then they trace the number. 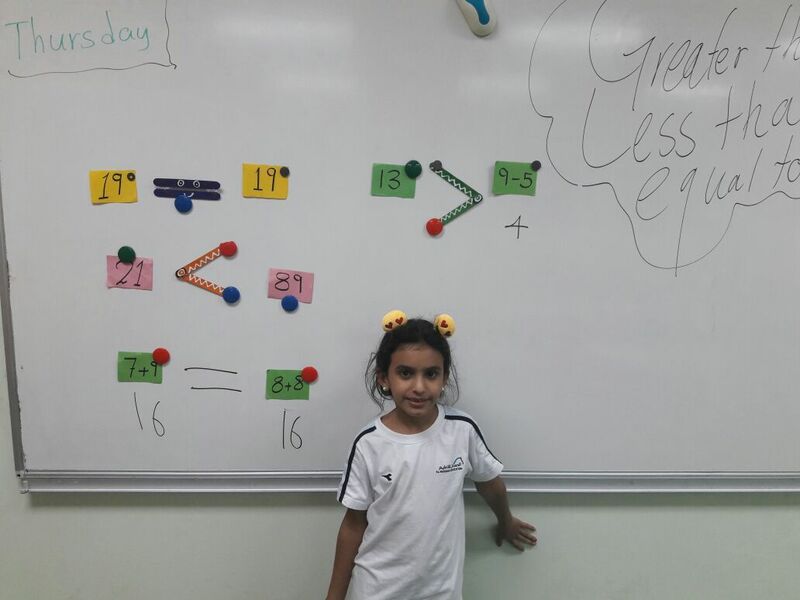 Kg2 students in AHISY had a Math activity for number 8. 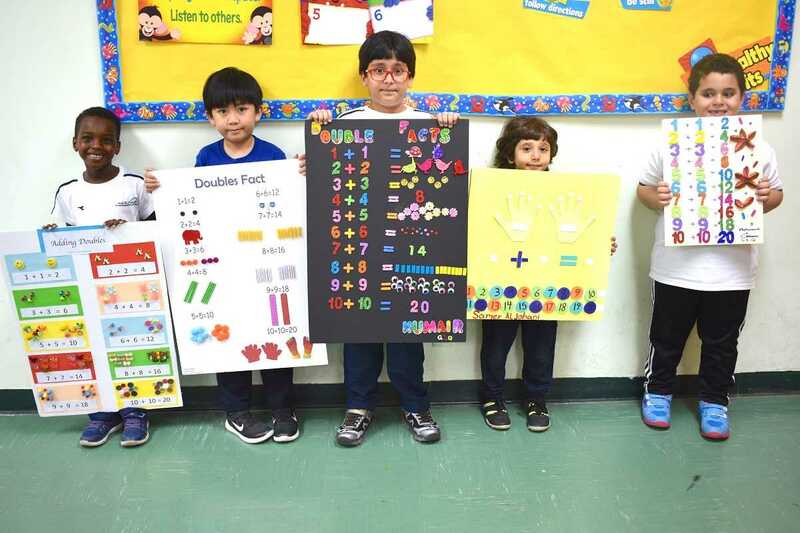 They had a colored paper bus they pasted it on another paper then they count 8 wheels and pasted on it. 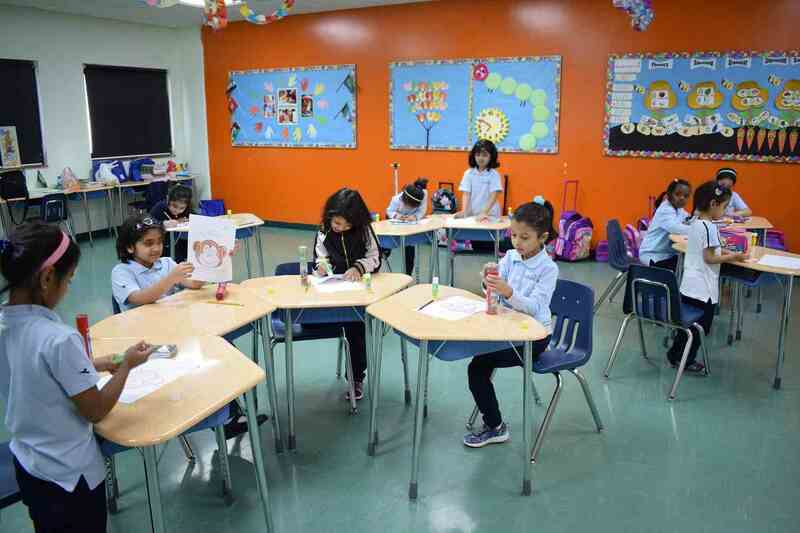 AHISY conducted an activity for Kg2 students in the math class. 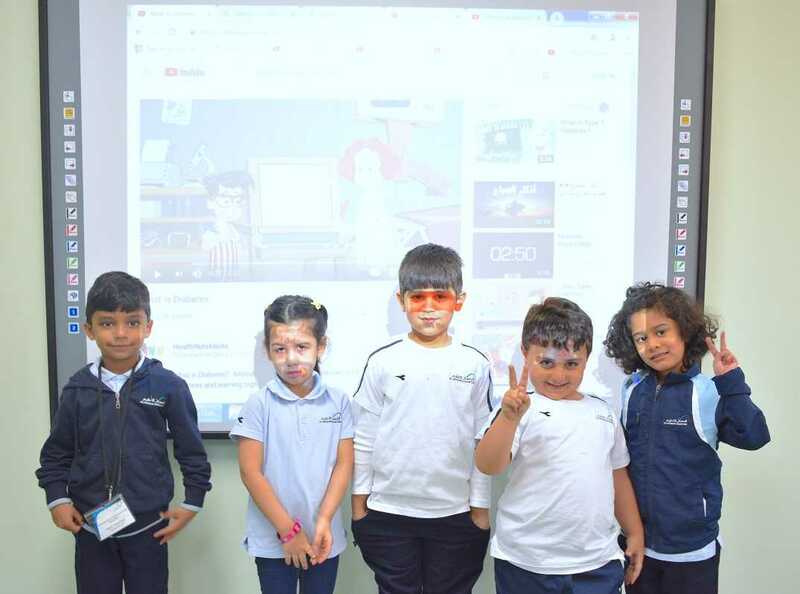 They took a lesson about number 8. 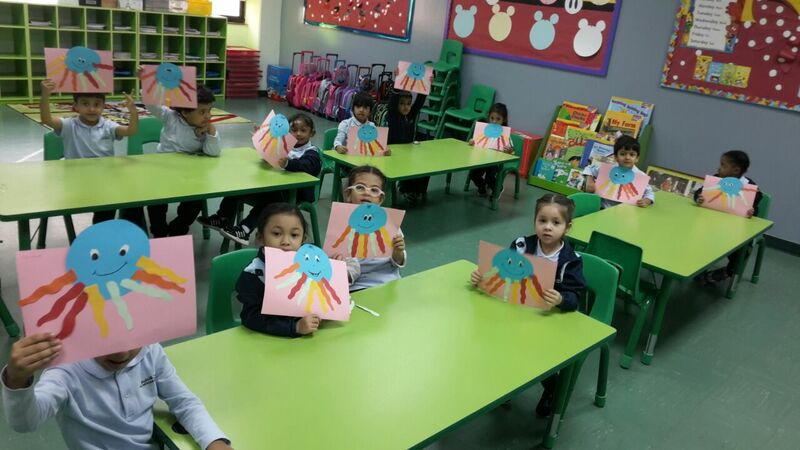 The students formed the octopus then pasted the 8 legs. 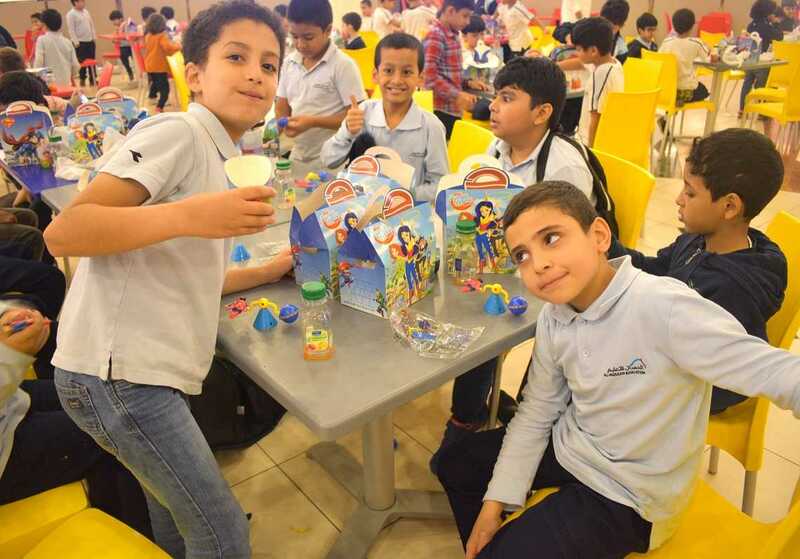 The students enjoyed their activity. 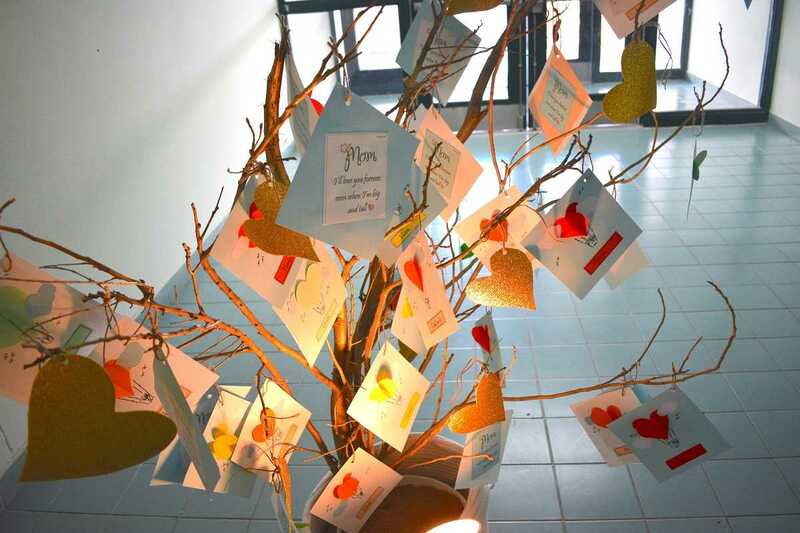 &quot;The essence of all beautifulart, all great art, is Gratitude&quot;. 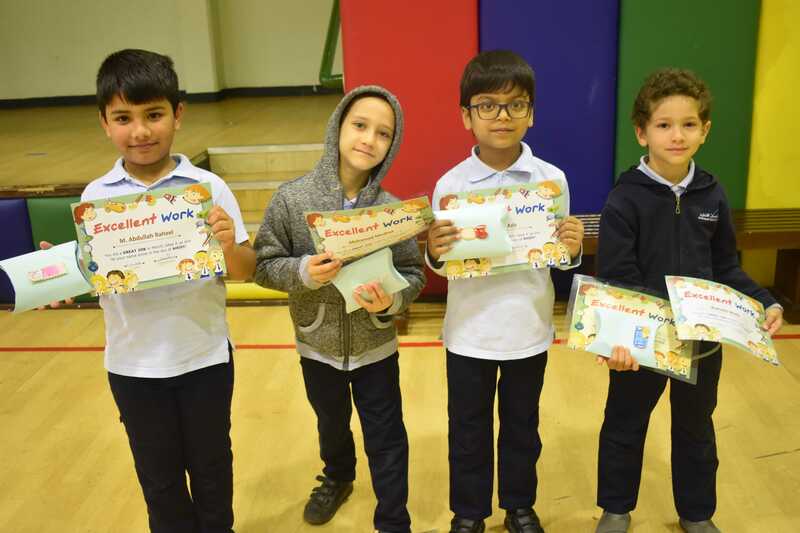 Grade-3 Al-Hussanians Celebrating Student of the Week and receiving Appreciation Cards from their Teacher. 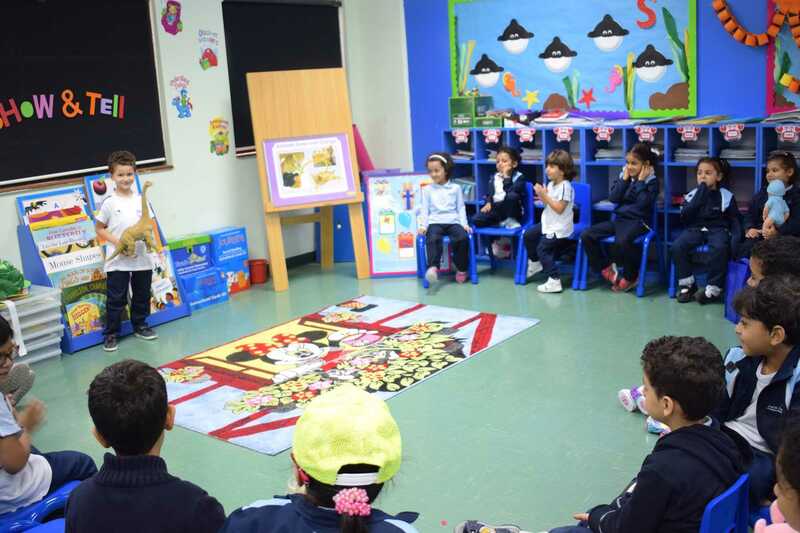 KG2 in AHISY had an English activity about letter U. 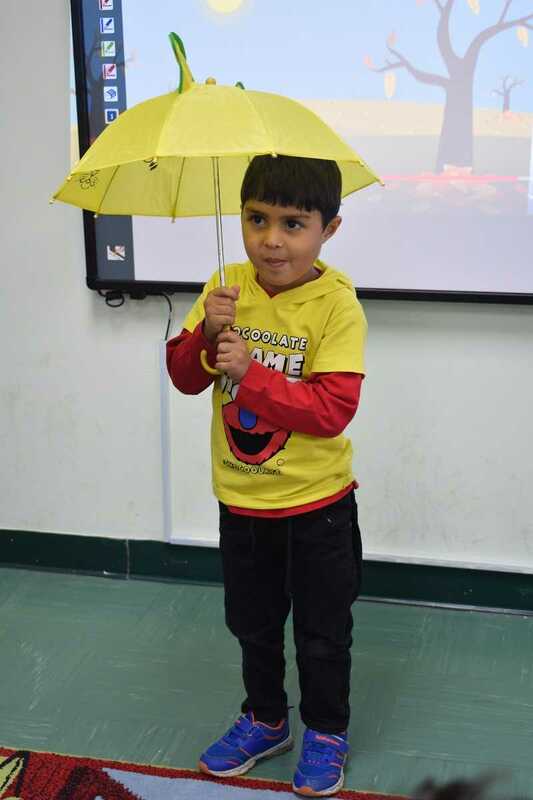 The students used some colored papers and they pasted as an umbrella. 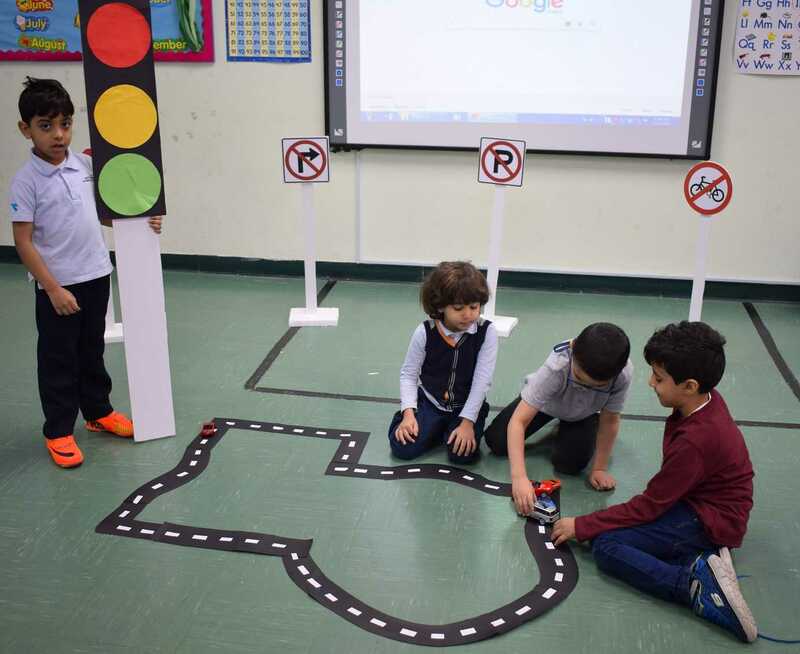 The kids have learned from this activity and they enjoyed their time. 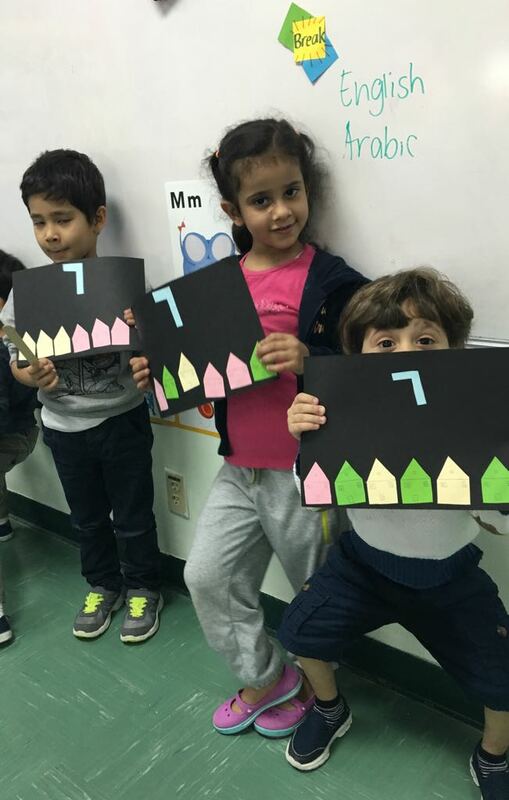 Kg2 kids had a Math activity about number 7. 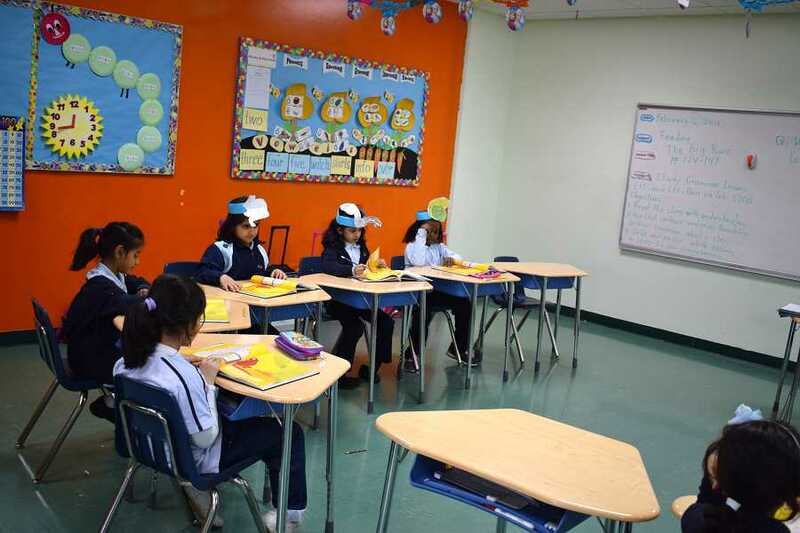 Students have to form a colored papers as a clown. 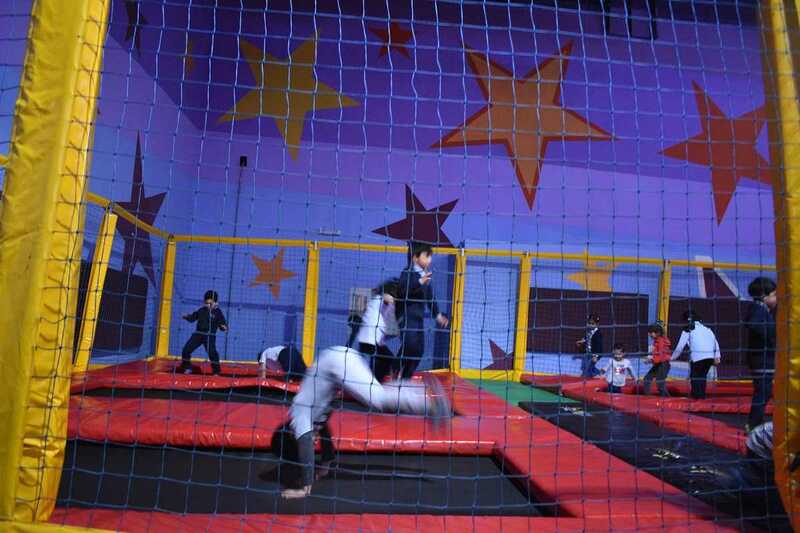 After that, they had some balls. 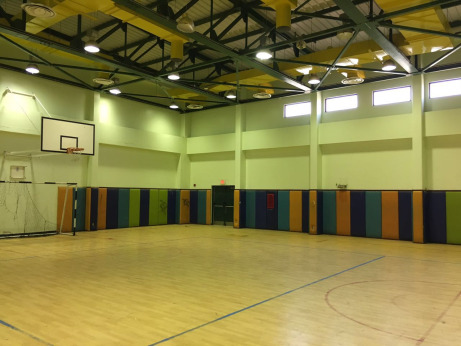 They counted 7 balls then pasted on it. 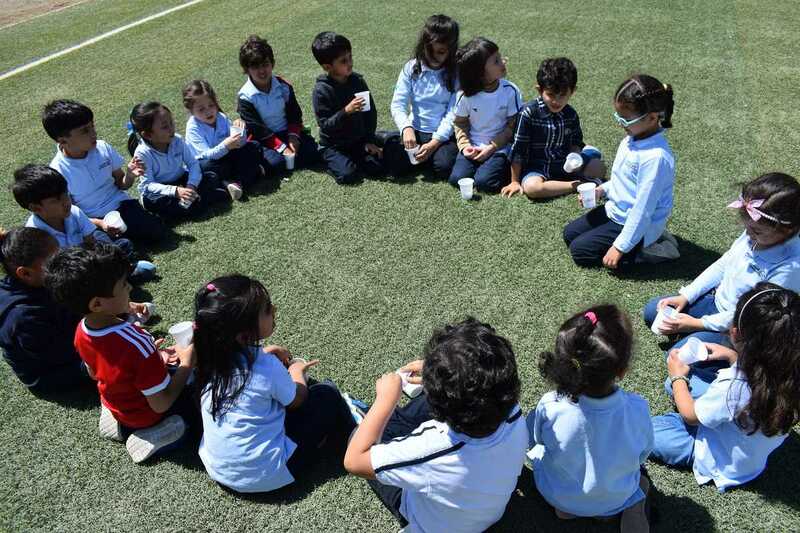 Kg 2 kids in AHISY had an English activity for letter O. 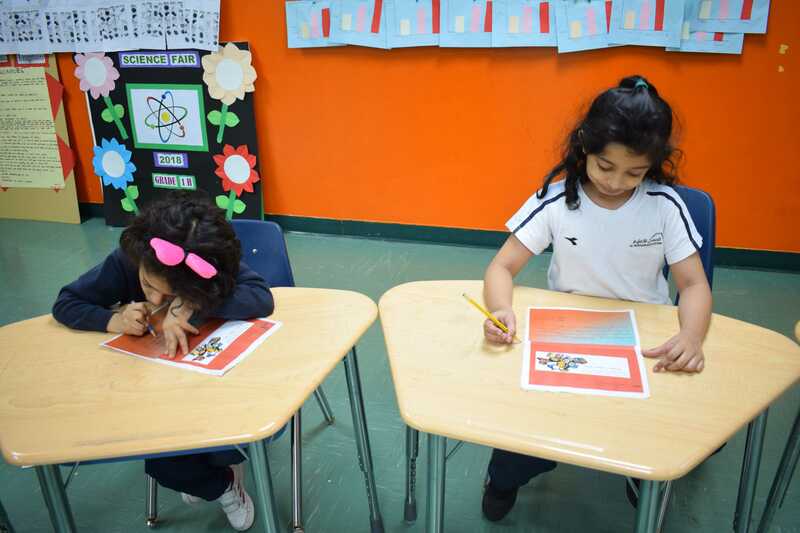 They have some objects&#39; pictures they have to paste and color them. 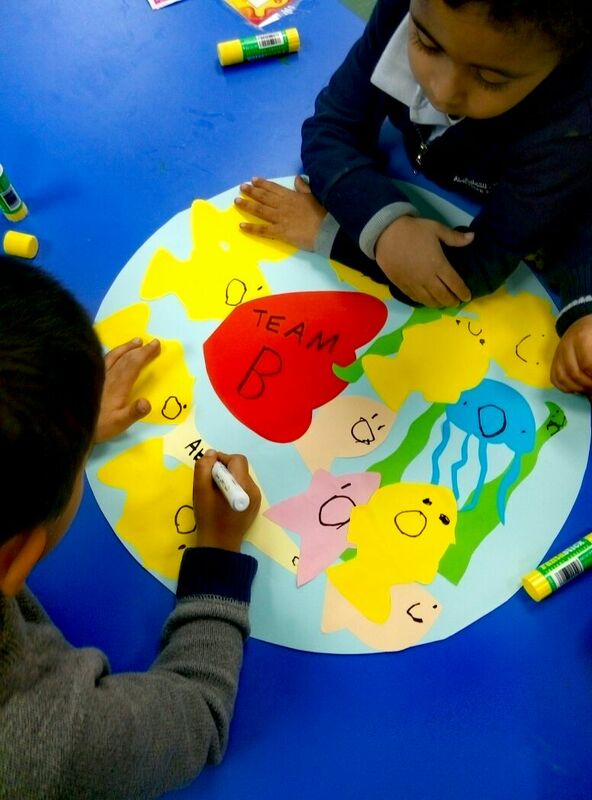 The Kids have learned about letter O and enjoyed their time. 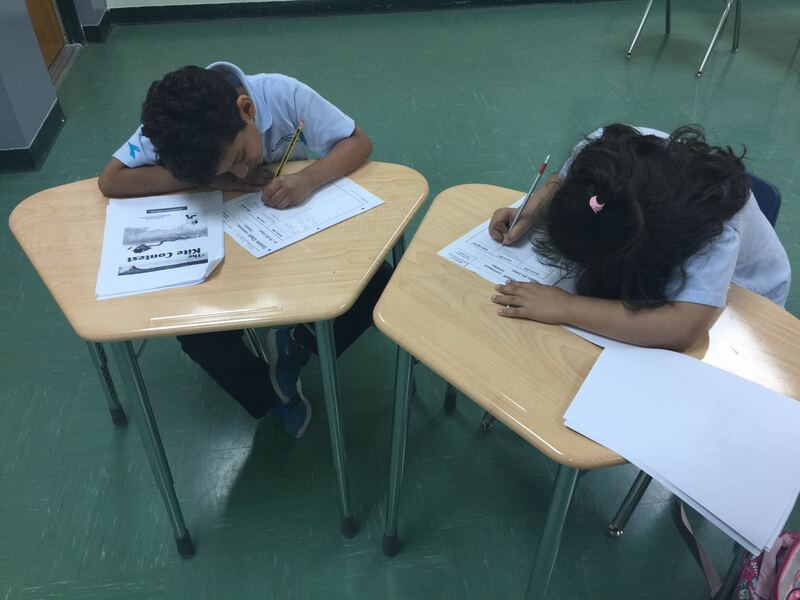 Kg 2 students had an English activity: Let&#39;s form letter X. 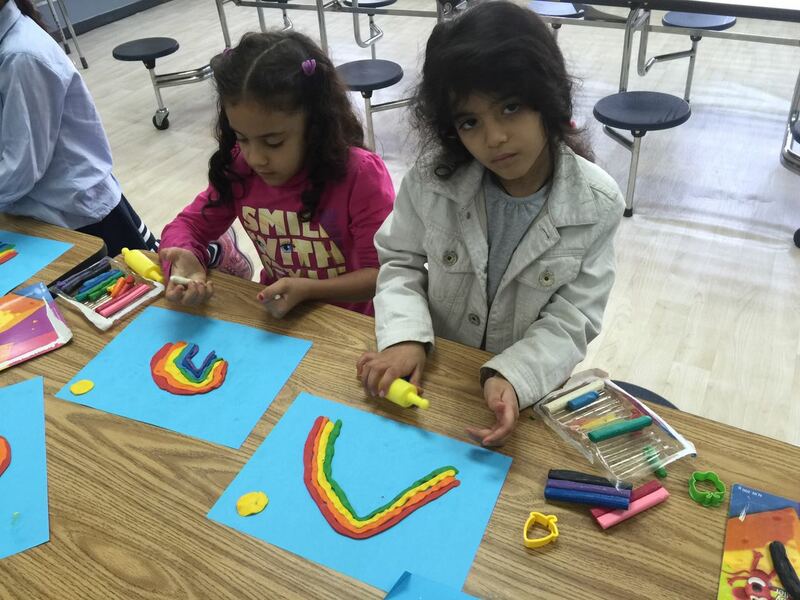 Students form the letters by using the sticks then they used their fingers to color it. 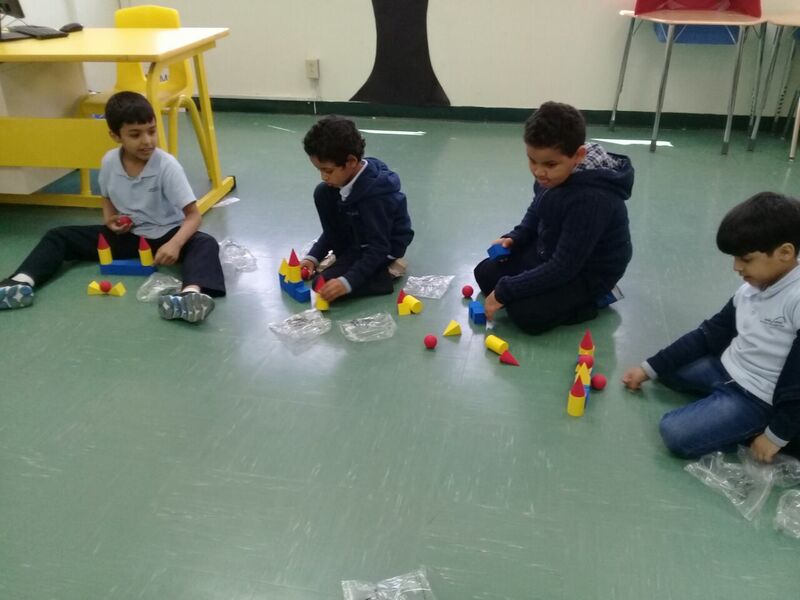 Kg2 students had a Math activity. 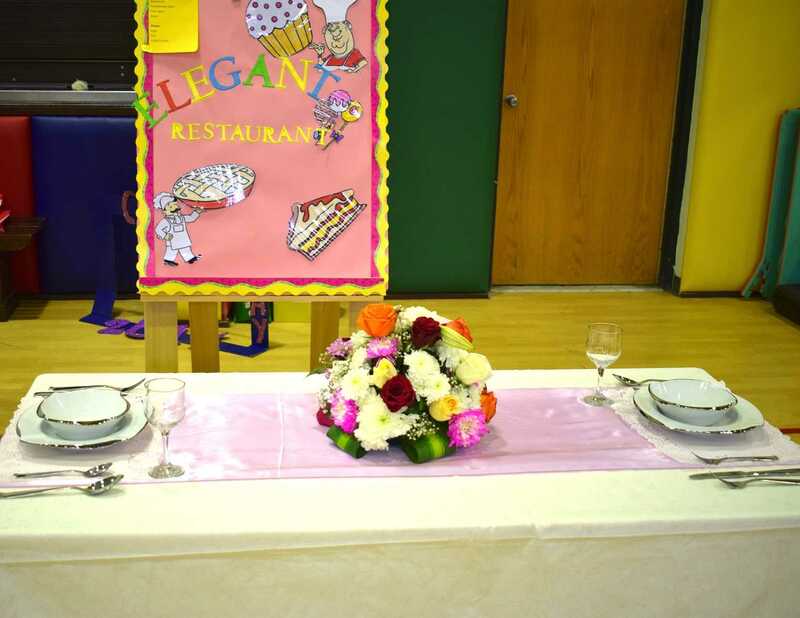 They had a table of 4 different numbers. 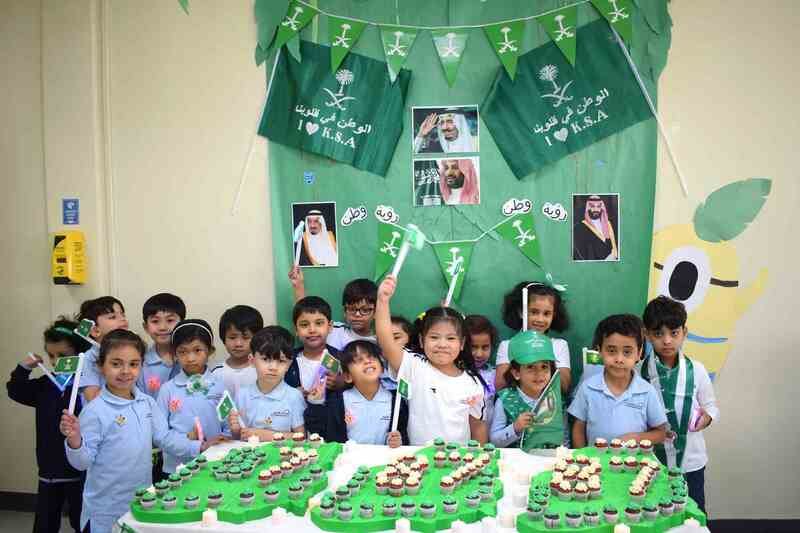 They read the numbers and pasted the stars to match the numbers. 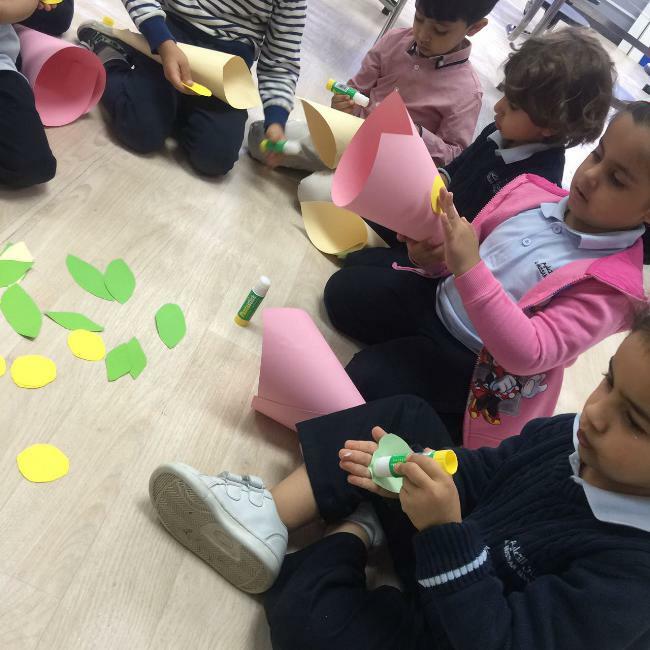 Kg2 students had a Math activity. 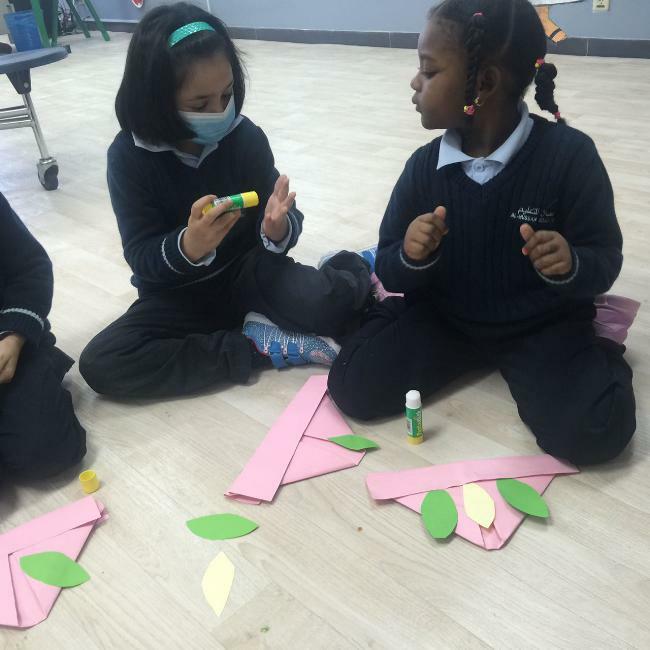 They had number 5 papers and designed it using the green leaves. 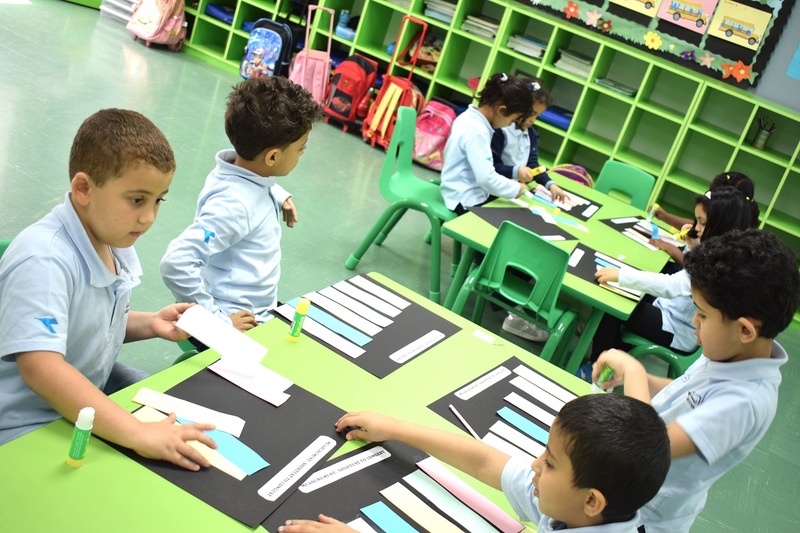 Kg2 students had a math activity for number 5. 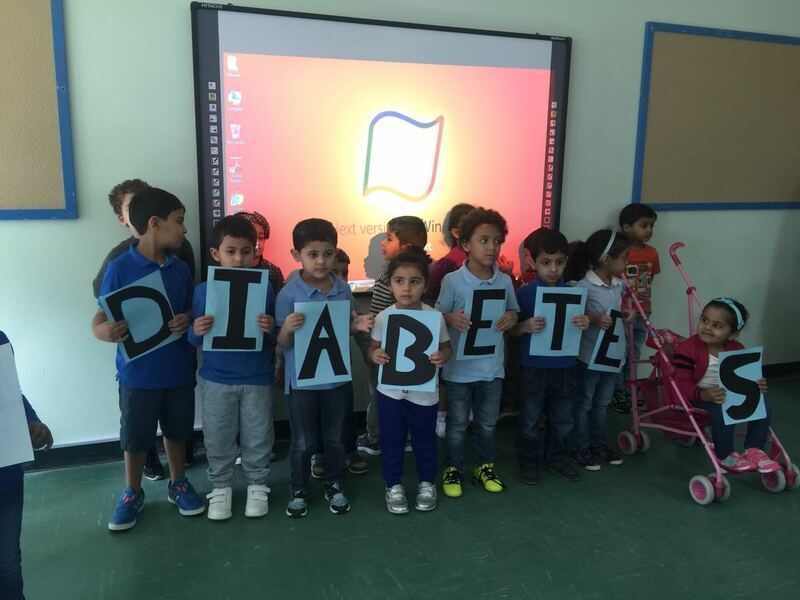 They traced the number. 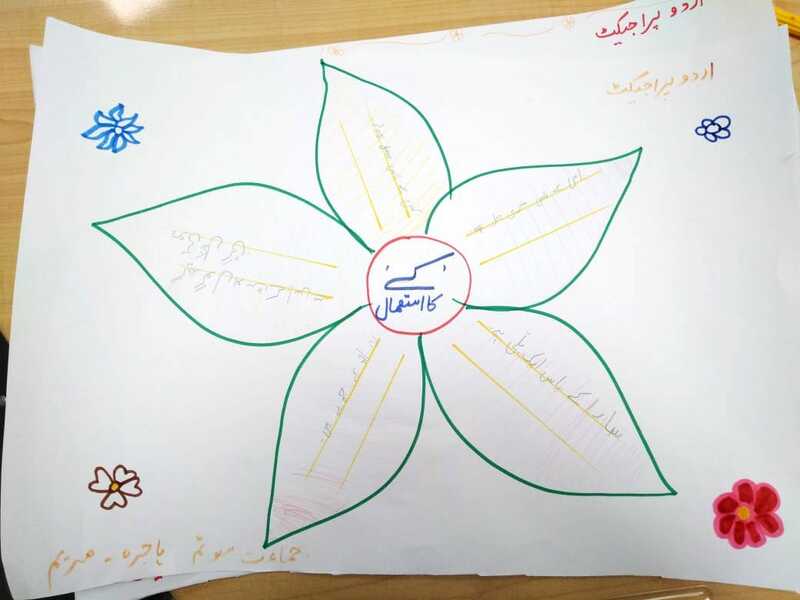 Then they pasted the colored petals as a flowers. 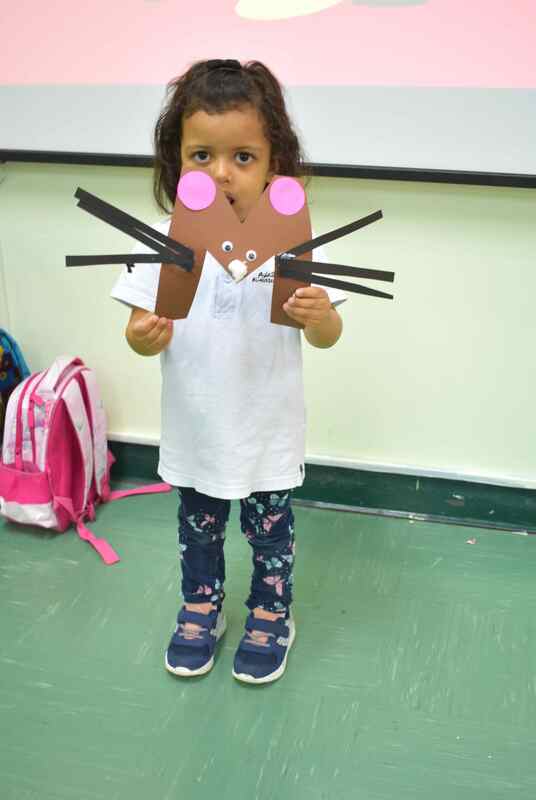 AHISY Kg2 students had Animals Activity. 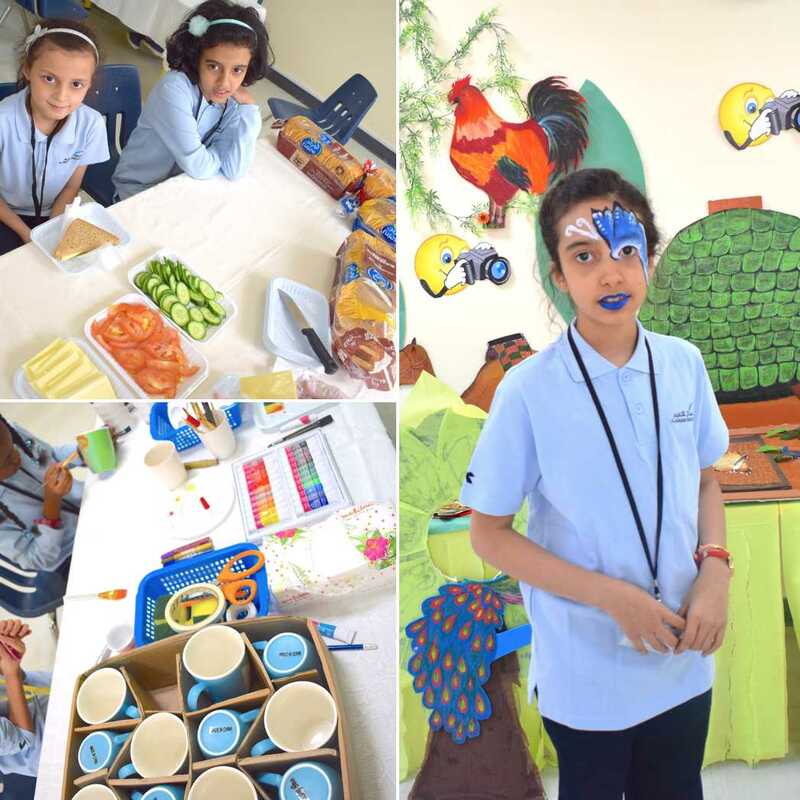 The students choose their favorite animal and the teachers draw it for them on their faces. 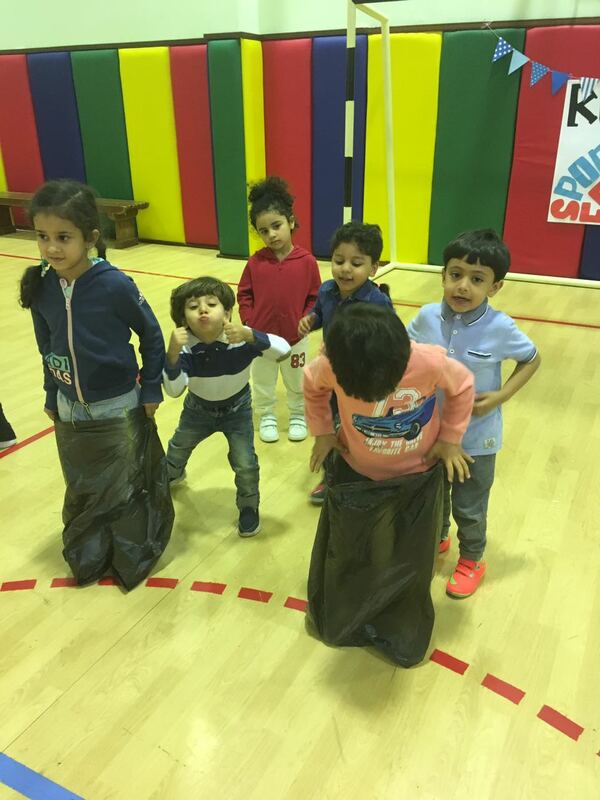 They were so happy during this activity. 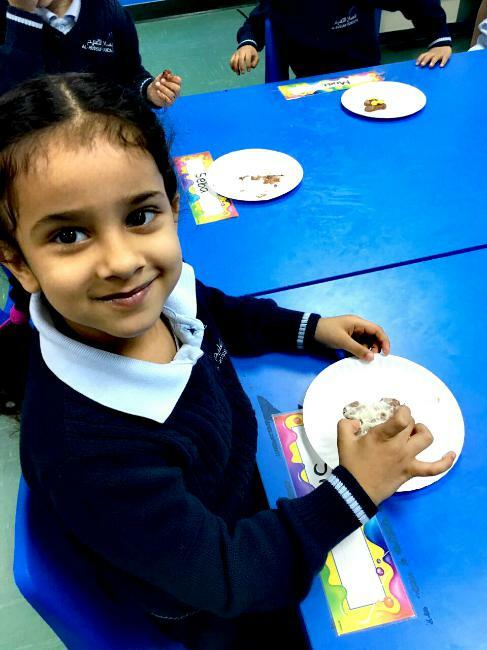 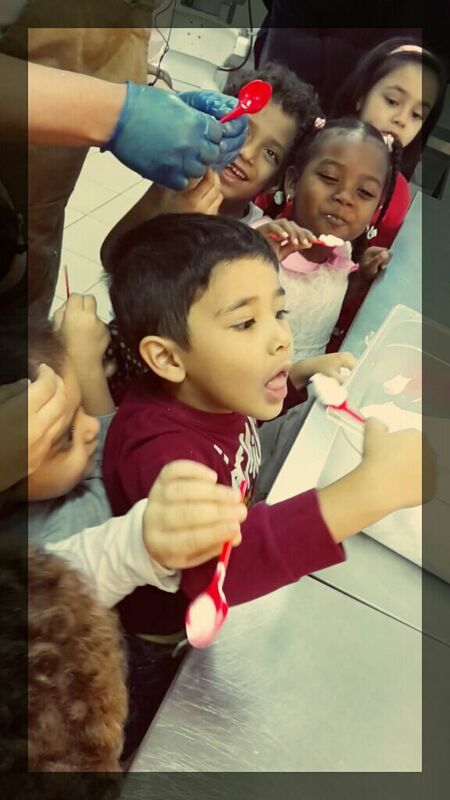 AHISY Kg2 kids had a math activity &quot;Four Ice Cream Scoops&quot;. 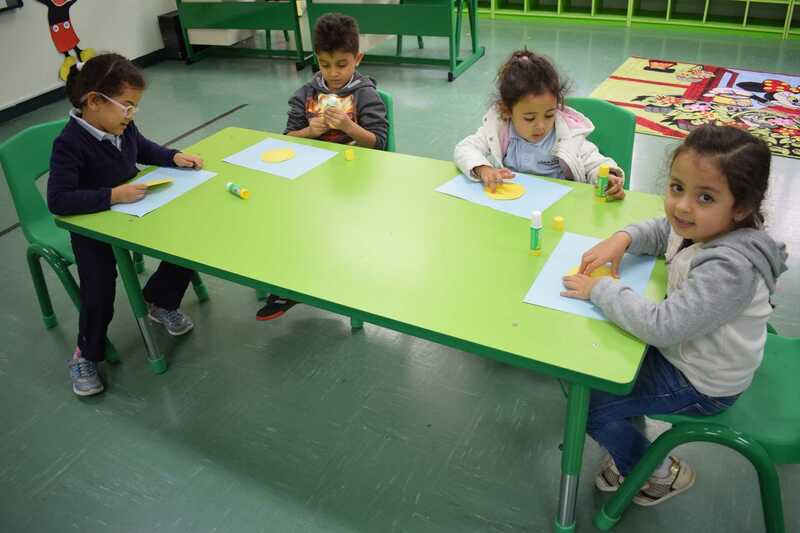 By using the colored papers they formed their own ice creams then they trace the numbers from 1 to 4. 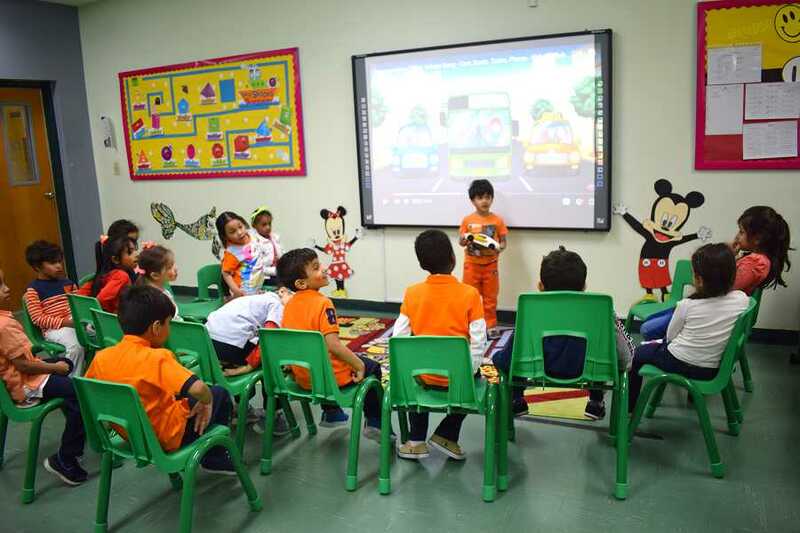 AHISY conducted O for Orange activity for Kg2 Kids. 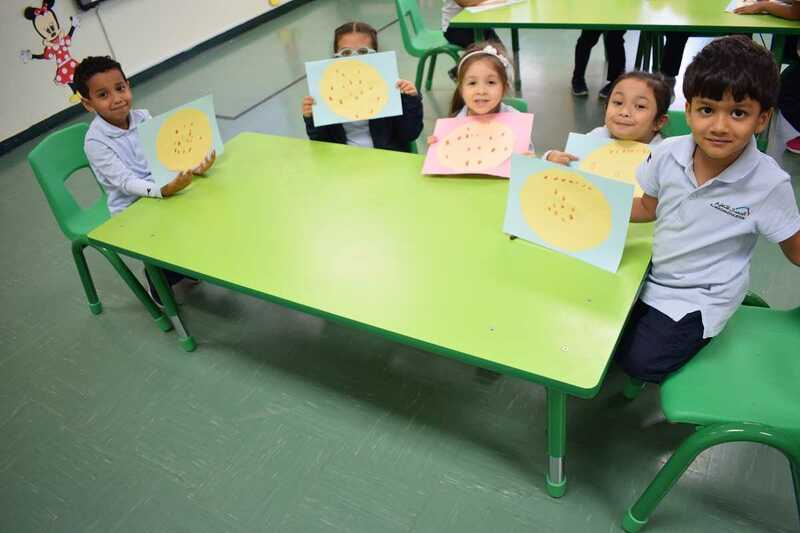 The students form an orange by using an orange sponge. 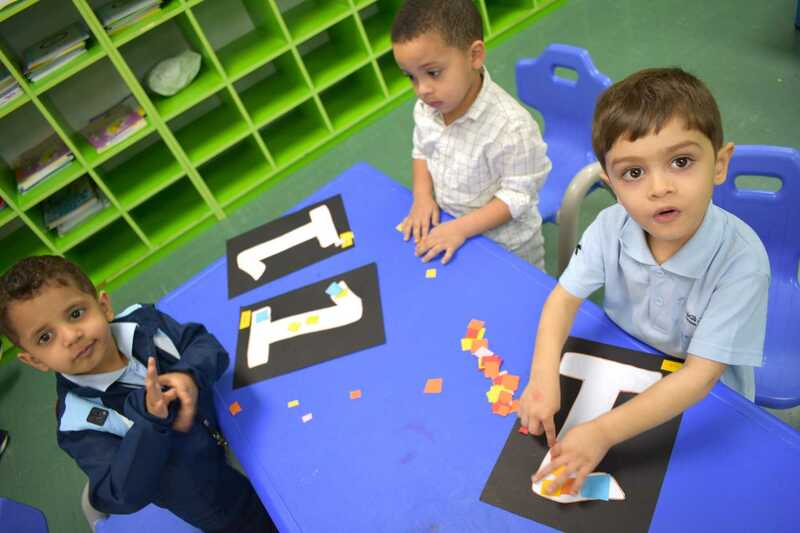 They learn about letter O and how to write it. 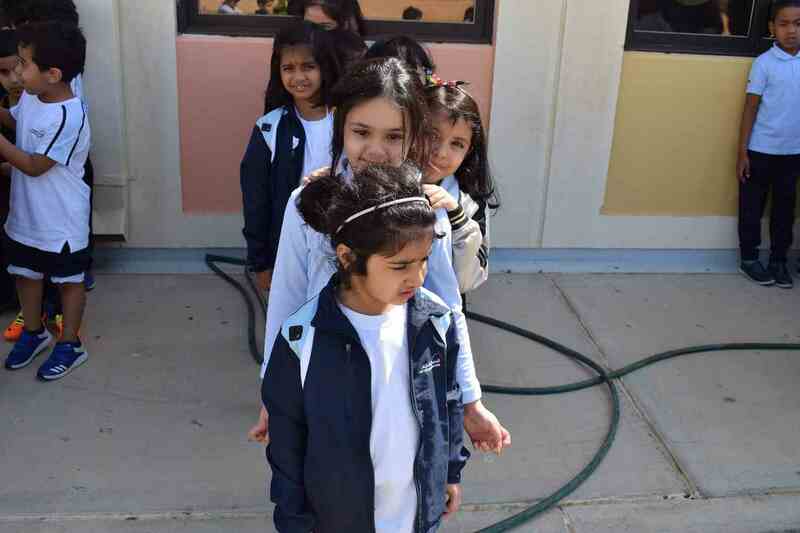 Is the water cold? 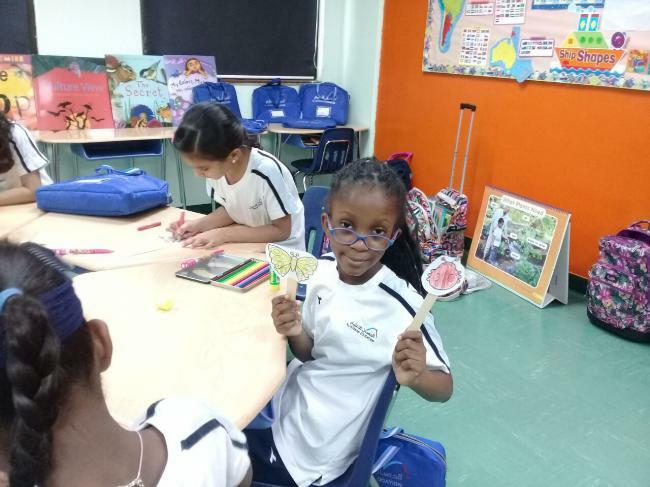 Is it hot? 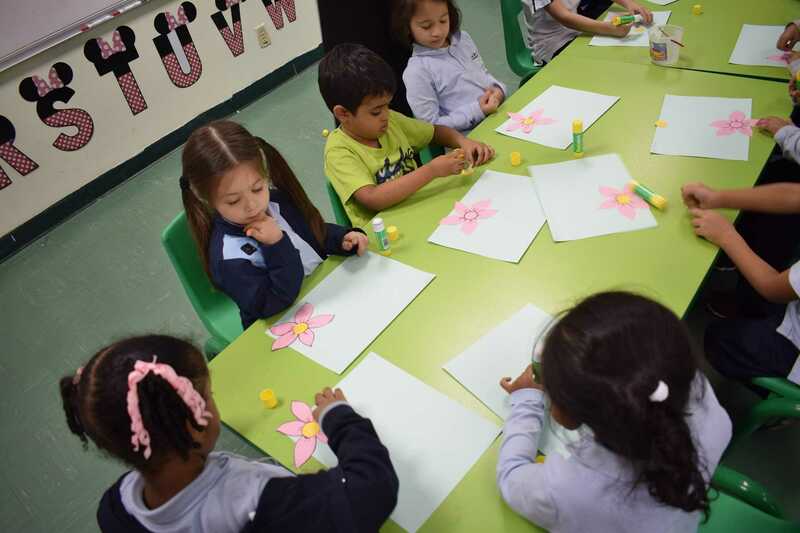 The students should form a tree by using the colored sponges and papers to form a tree. 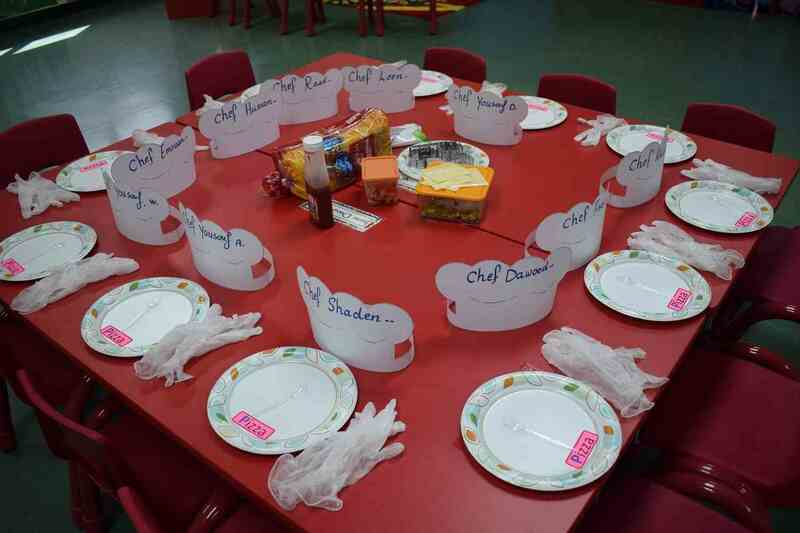 Children have enjoyed this activity. 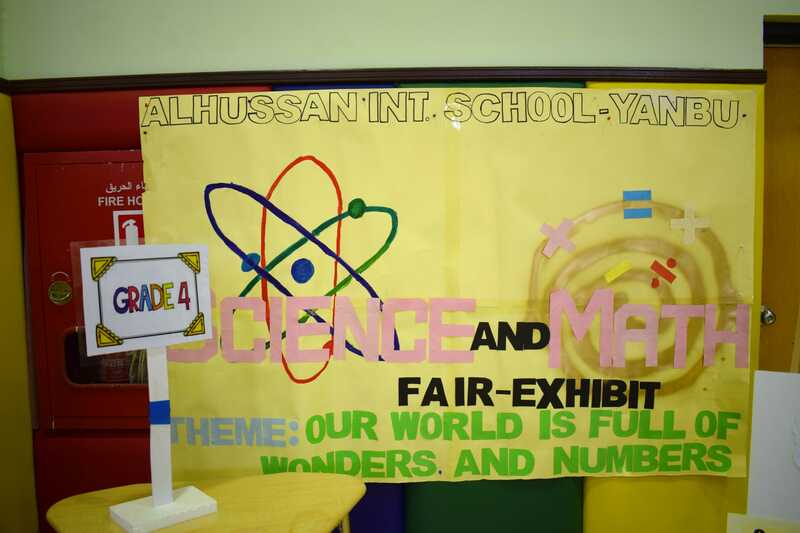 Science and Math Fair Exhibit. 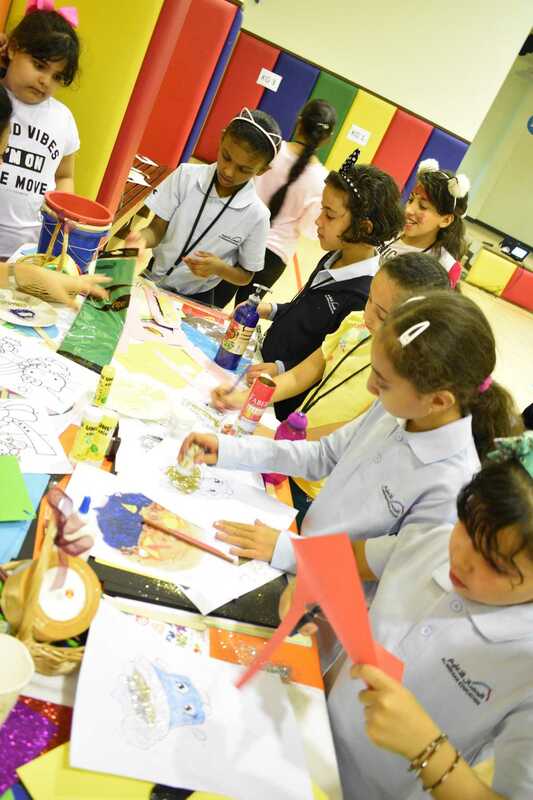 Monday, March 27, 2017 AHISY Grade 2 students enjoyed their time creating Springtime artwork together. 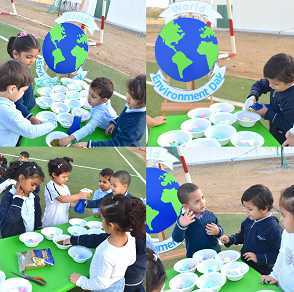 Tuesday, March 28, 2017 AHISY Kg 2 kids have conducted an English activity: Moving Sand. 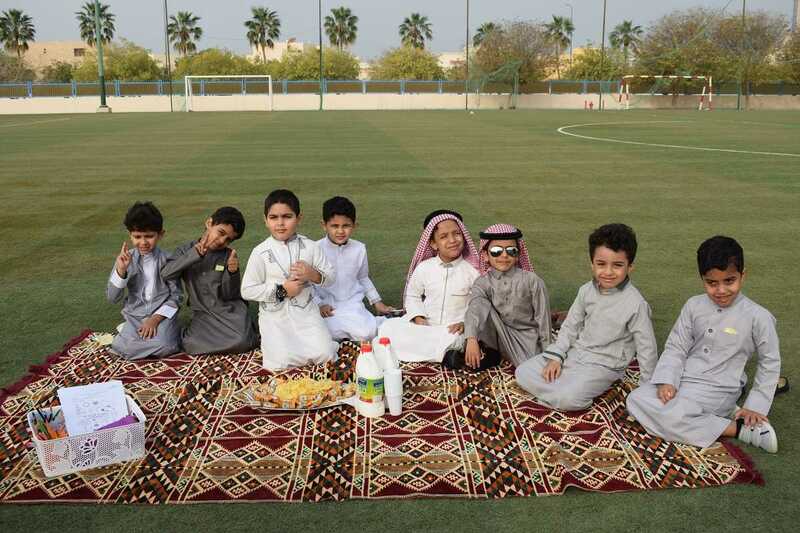 The kids looked very happy to play with the sand. 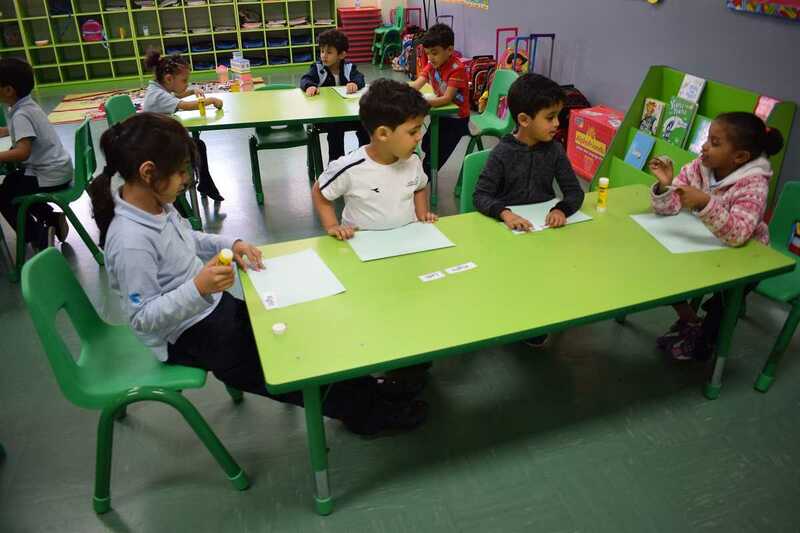 Tuesday, March 28, 2017 AHISY Kg 2 kids have conducted Math activity: Finding Pairs. 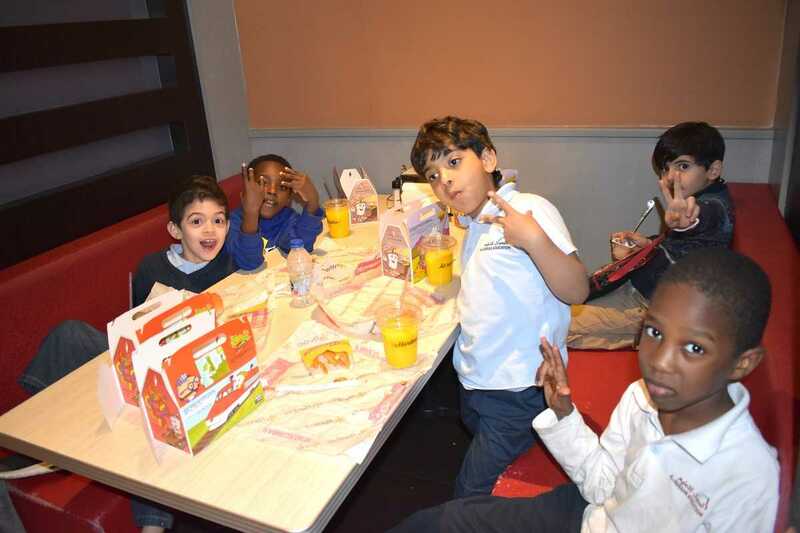 They had a lot of fun. 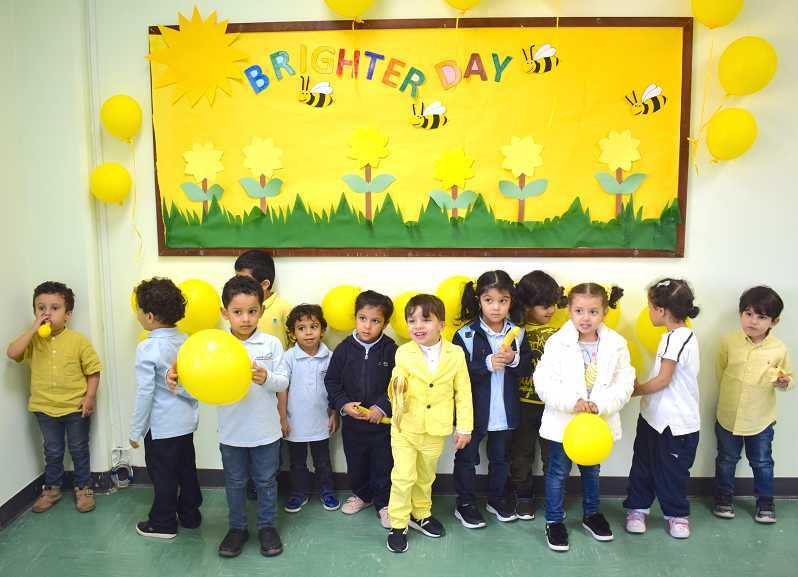 Thursday, March 23, 2017 AHISY Kg2 kids conducted an enjoyable activity under the title: Teddy Bear Day Light Clay. 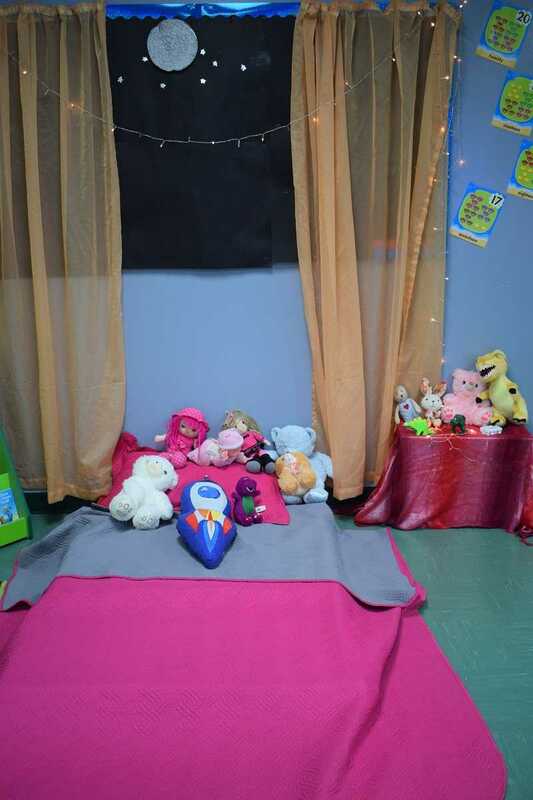 The kids seemed interested in finishing their teddy bears and play with them. 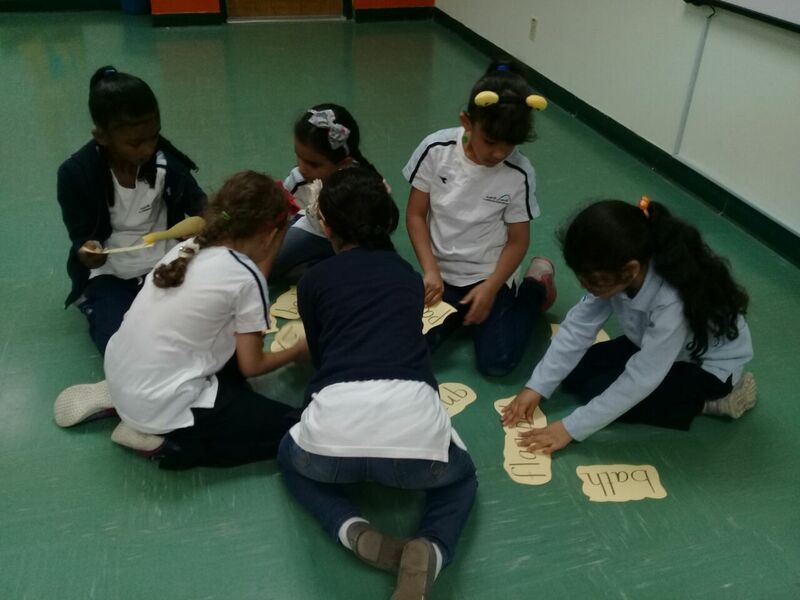 Thursday, March 23, 2017 AHISY Kg3 kids conducted a Finding Words Activity in English class. 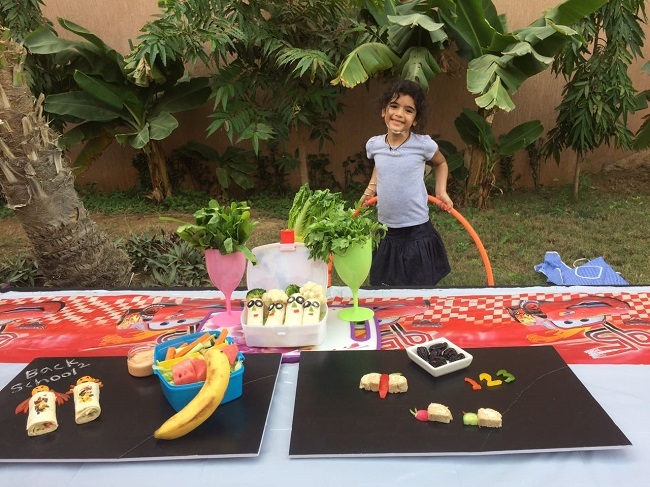 The kids had a lot of fun and they learned from this activity. 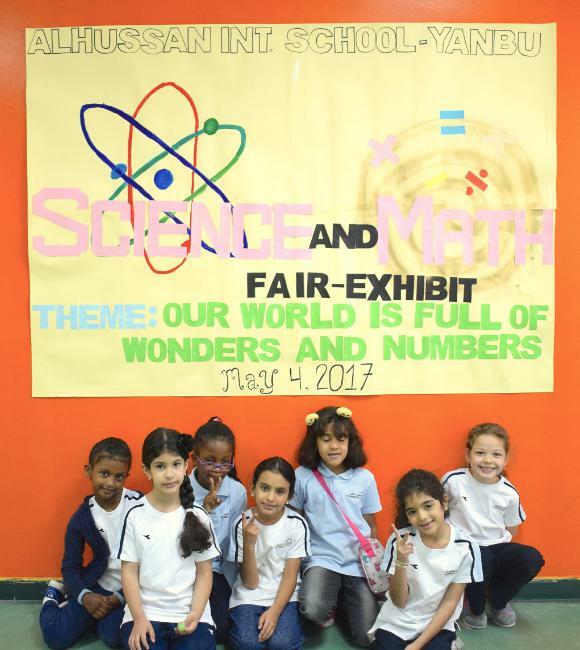 Thursday, March 23, 2017 AHISY Grade 3 students conducted a Science Experiment in the Science Class. 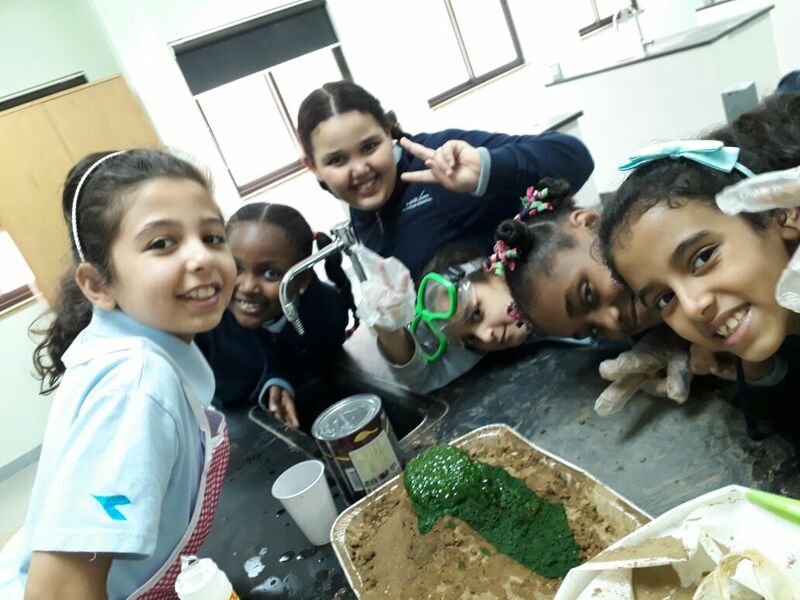 Students seemed interested in creating a Model Volcano. 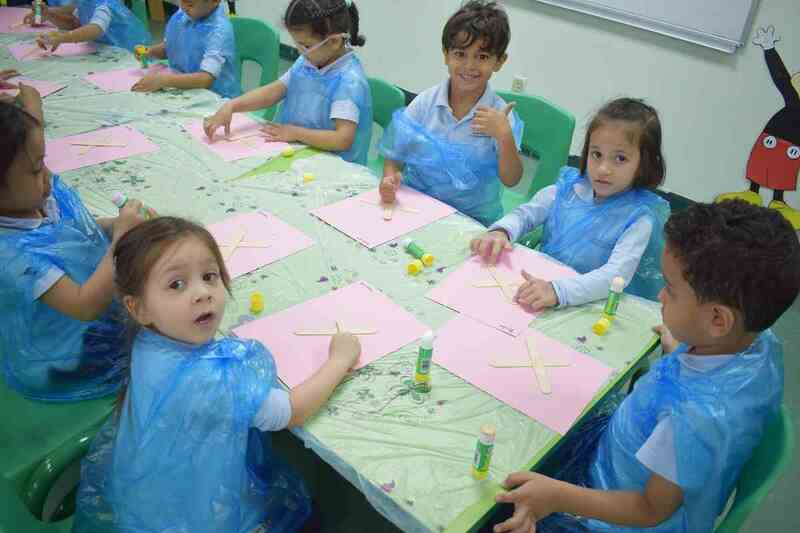 Tuesday March 21, 2017 A Sand Craft Activity Theme in AHISY was conducted for Kg2. 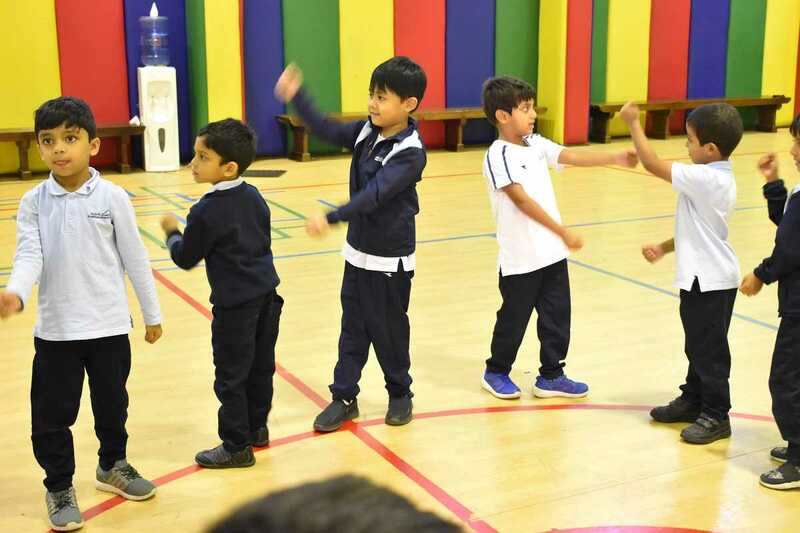 It was under the title: Let&#39;s Move. 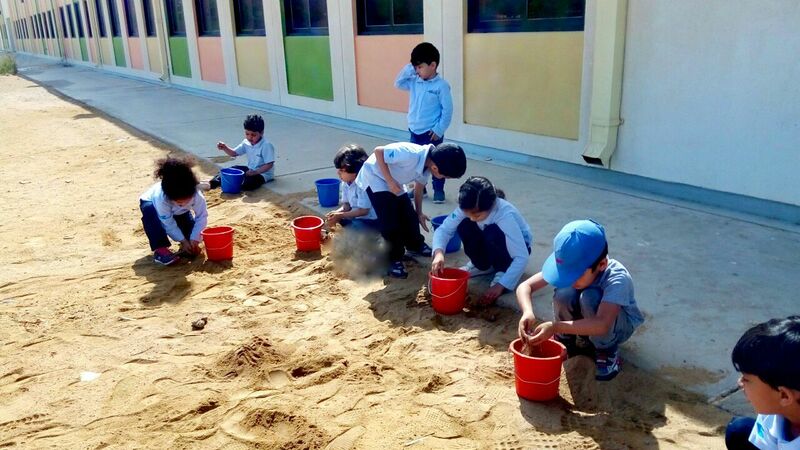 The kids spent a nice time doing a creative work using the sand. 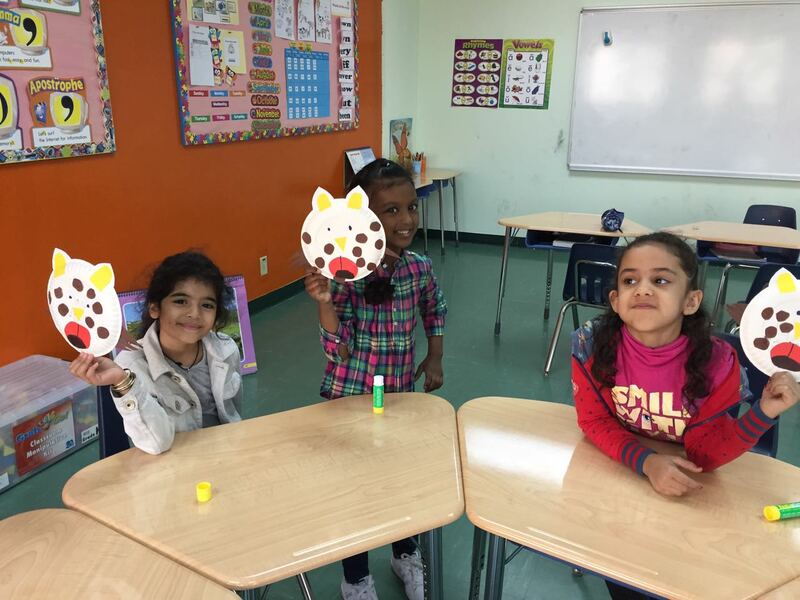 Wednesday March 22, 2017 AHISY Kg2 kids conducted a Gingerbread Man activity under the title: Design Your Own Gingerbread in English Demo Class. 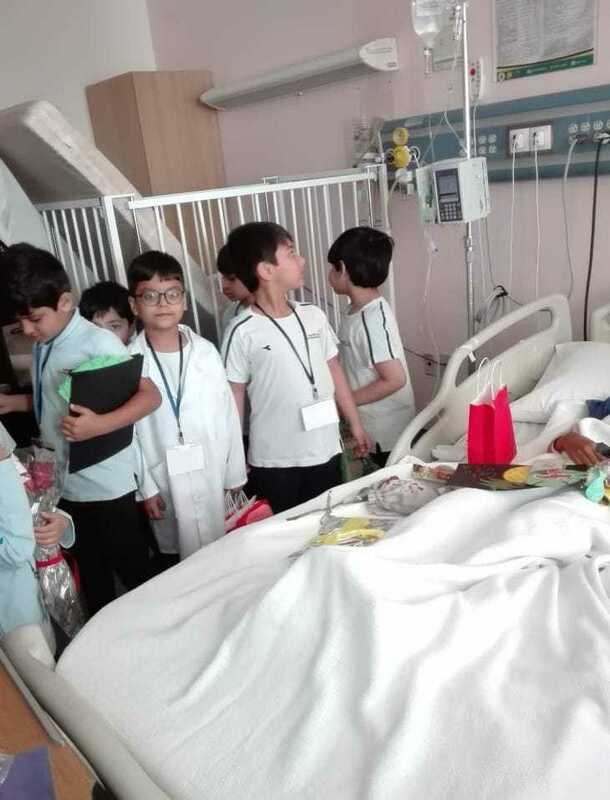 The kids were very interested. 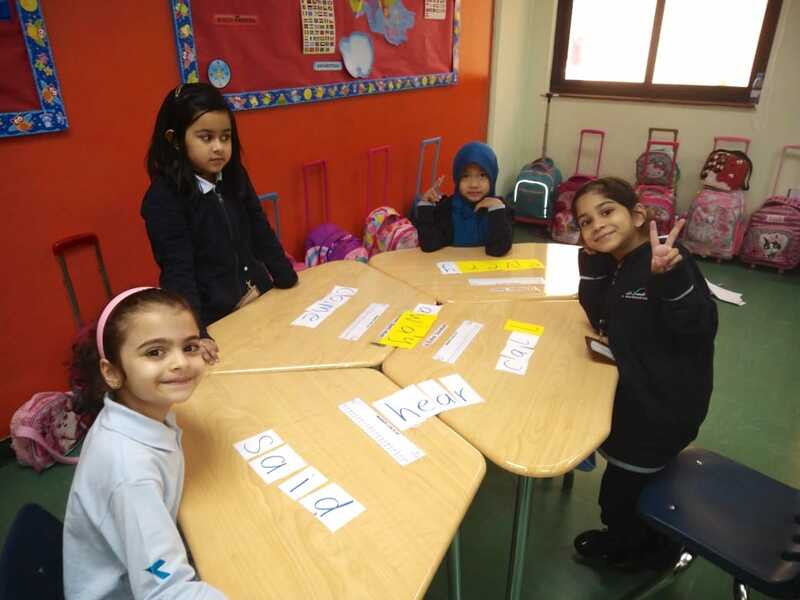 ThursdayMarch 16, 2017 AHISY Grade 1 English teacher conducted another strategy to teach phonics under the title compound words. 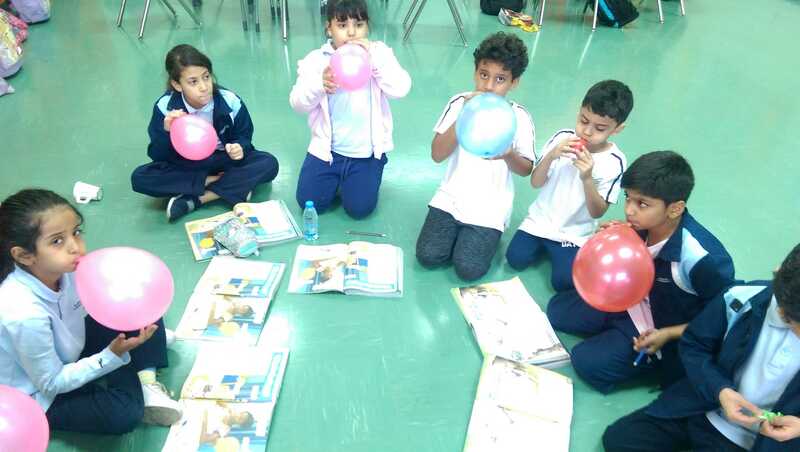 Students learned from this activity while having fun. 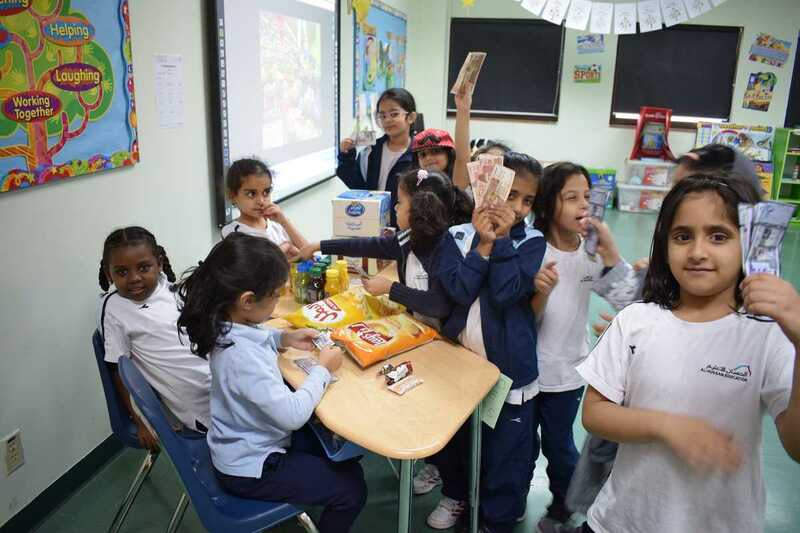 Monday March 20, 2017 Grade 2 students took a Math class about counting with money using dime, nickel, penny and quarter. 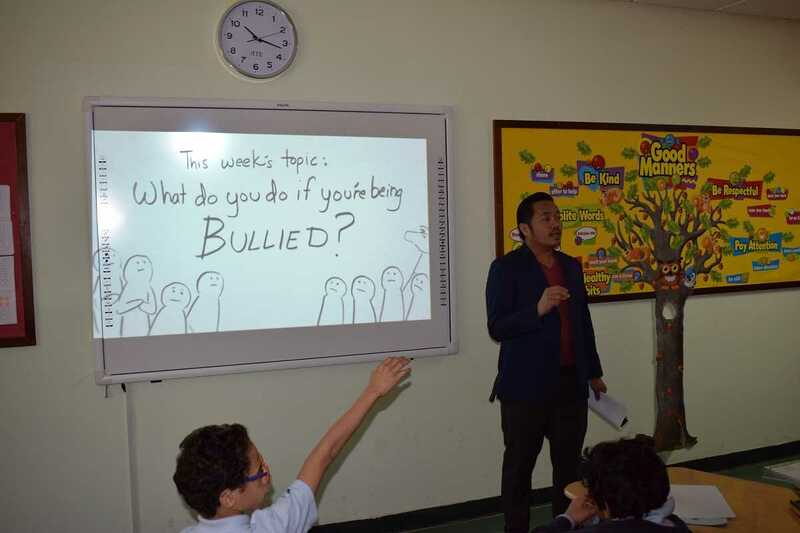 Students were very interested. 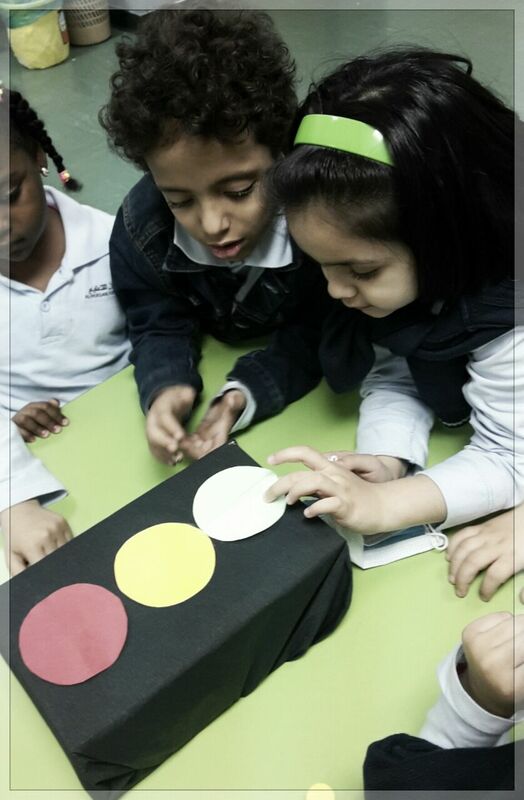 Tuesday March 7, 2017 Kg2 kids in AHISY took English activity about Science Link Theme, Float and Sink. 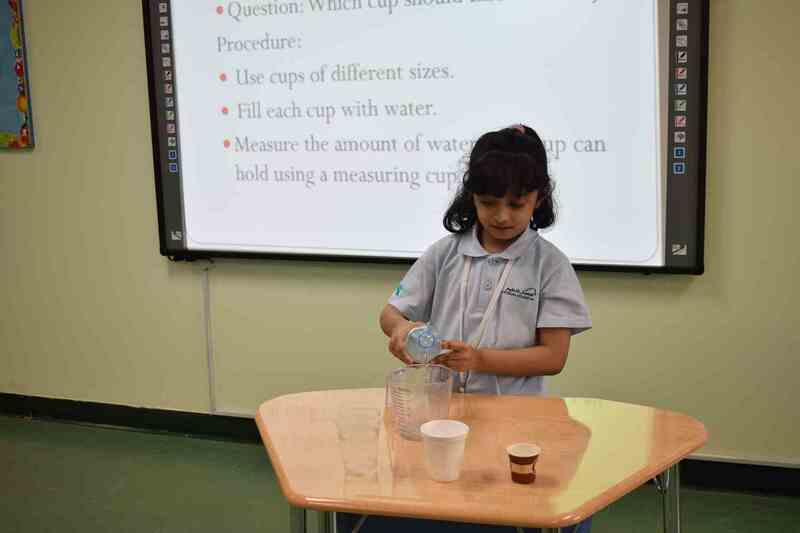 They learned by experimenting different materials that are float or sink. 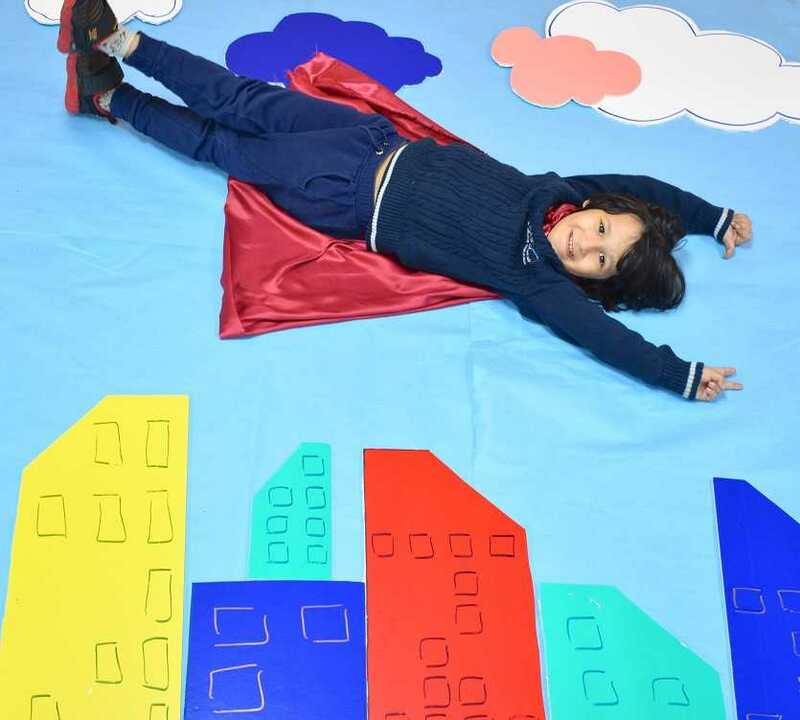 Wednesday March 8, 2017 Kg2 kids in AHISY conducted an activity under the title Making Our Own City. 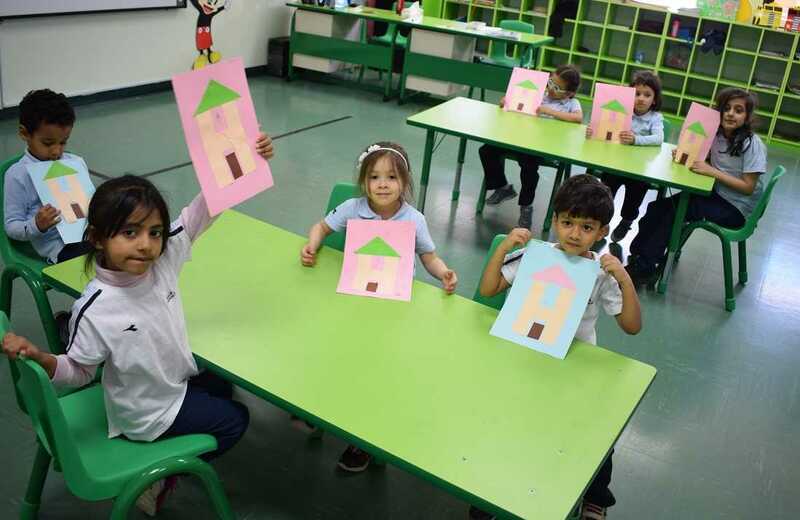 They had a lot of fun in creating their houses and coloring them. 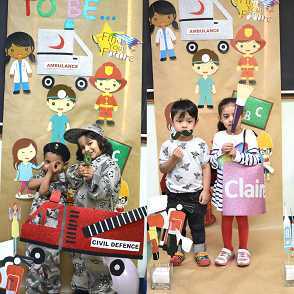 Wednesday March 8, 2017 In Front of and Behind Paper Folding Activity in AHISY for Kg2 was conducted. 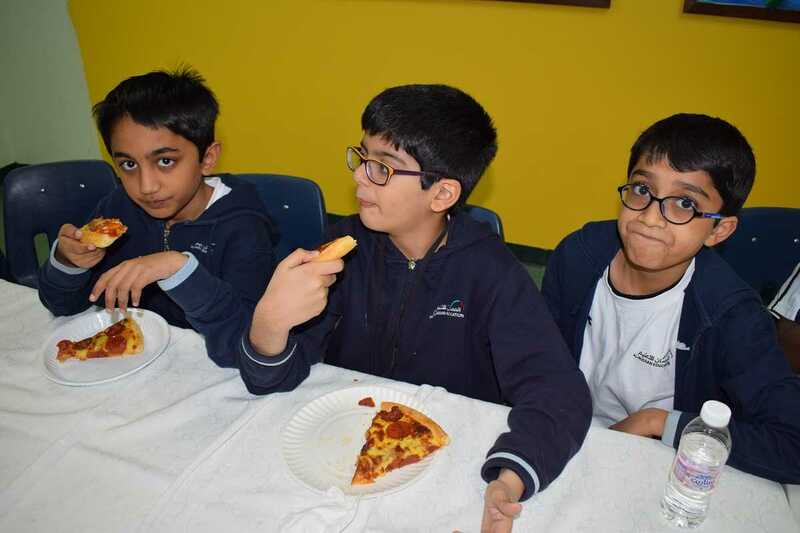 Students enjoyed their time and they had a lot of fun. 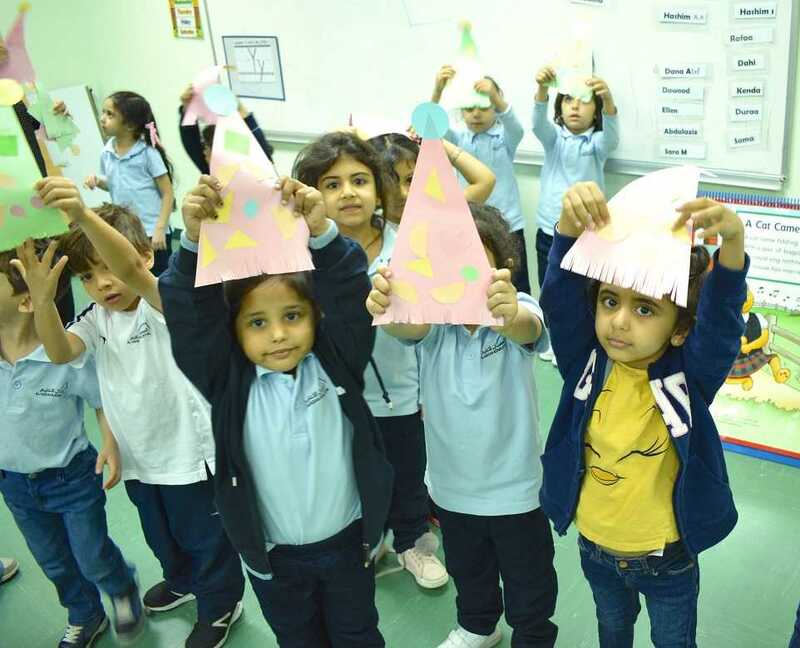 Thursday March 9, 2017 Kg2 kids in AHISY conducted a Hat Day Activity under the title Design Your Own Hat. 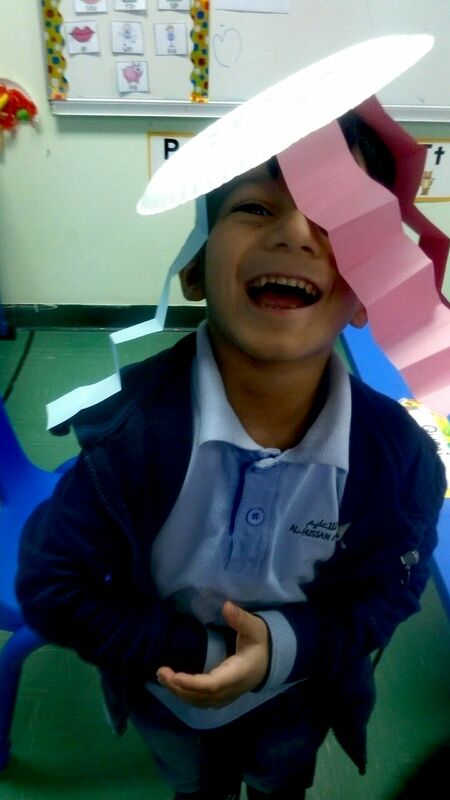 Students gained new skills and were excited to create those hats with the teacher. 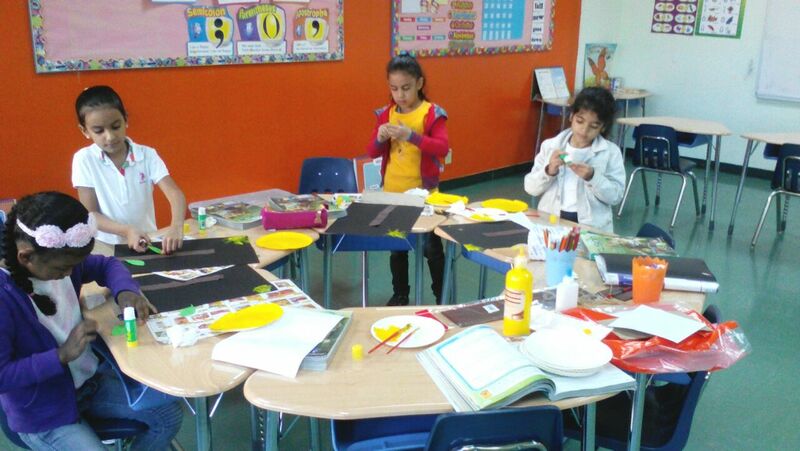 Wednesday March 8, 2017 Kg2 kids in AHISY conducted an art project under the title Alphabet Cone Hat. 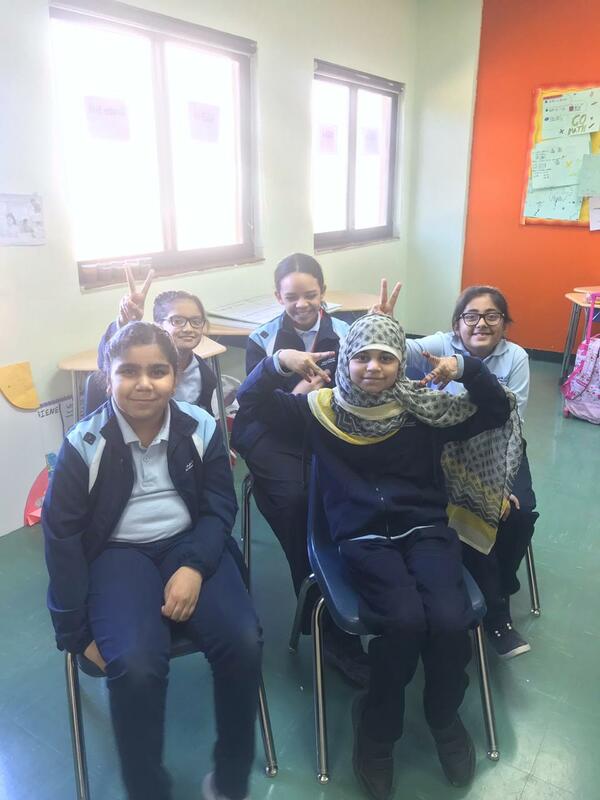 They have learned and spent a nice time doing this activity. 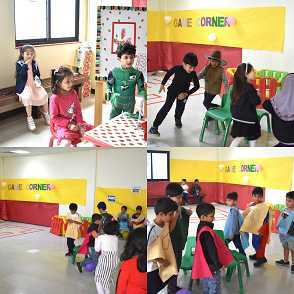 Thuresday March 9, 2017 Kg2 kids in AHISY conducted a dramatic play time activity under the title Living in the City. 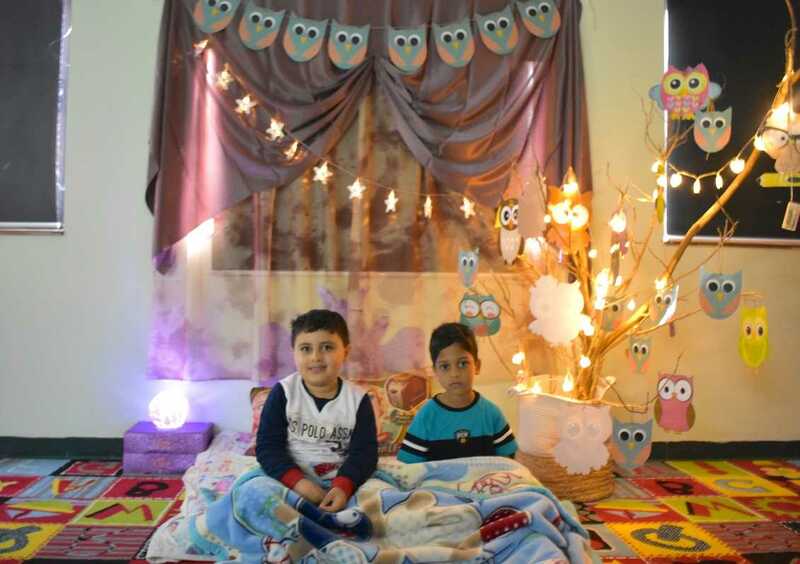 They had a lot of fun pretend to live in the houses which they created. 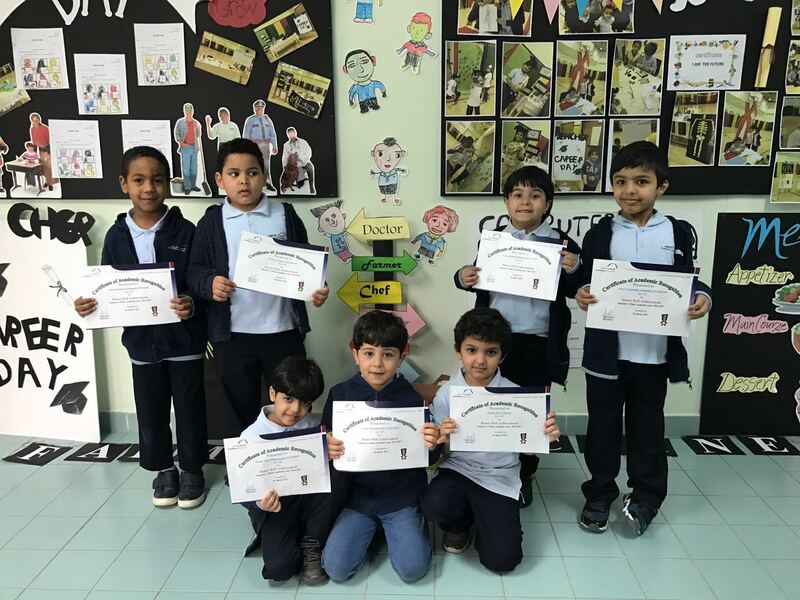 Thuresday March 9, 2017 Grade 1 students in AHISY conducted an activity under the title I want to be an Engineer when I grow up. 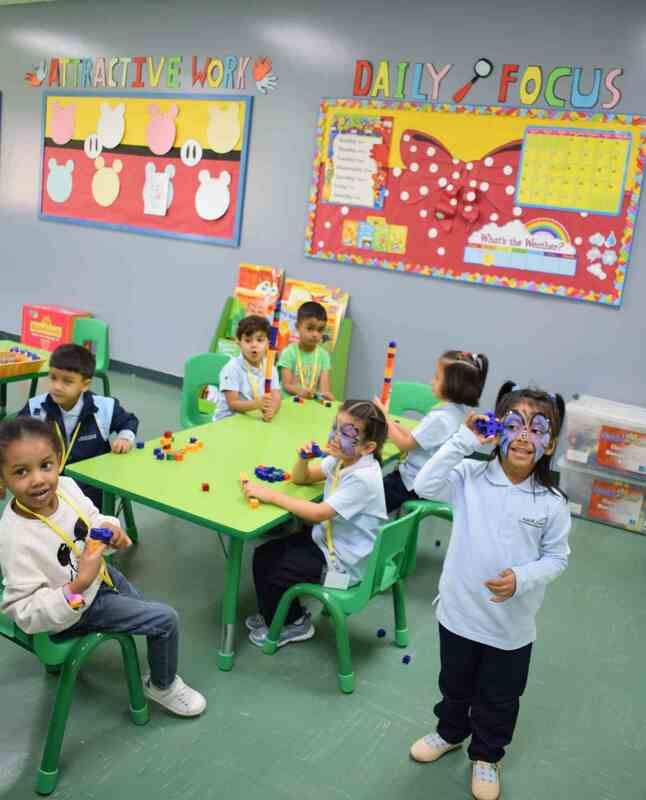 They had a lot of fun in constructing building together. 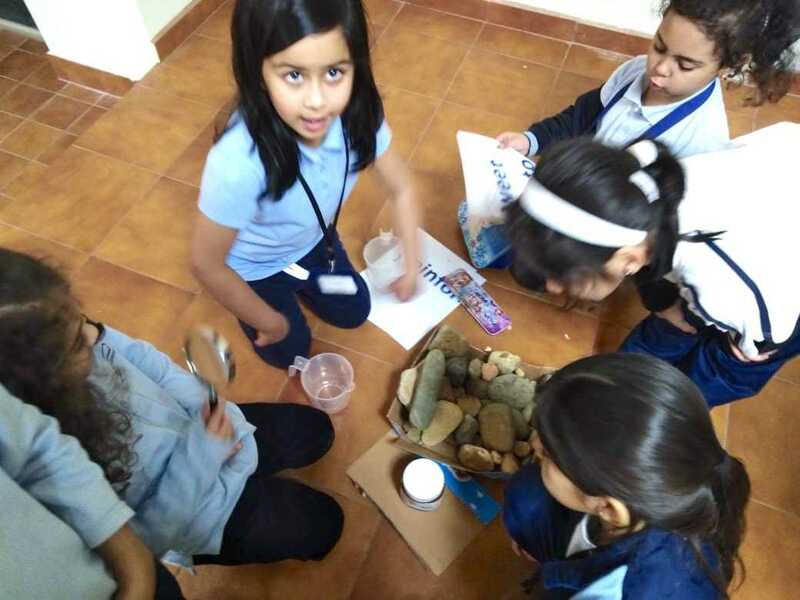 Thursday March 9, 2017 Grade 3 students in AHISY conducted a science activity under the topic: What are Some Landforms? 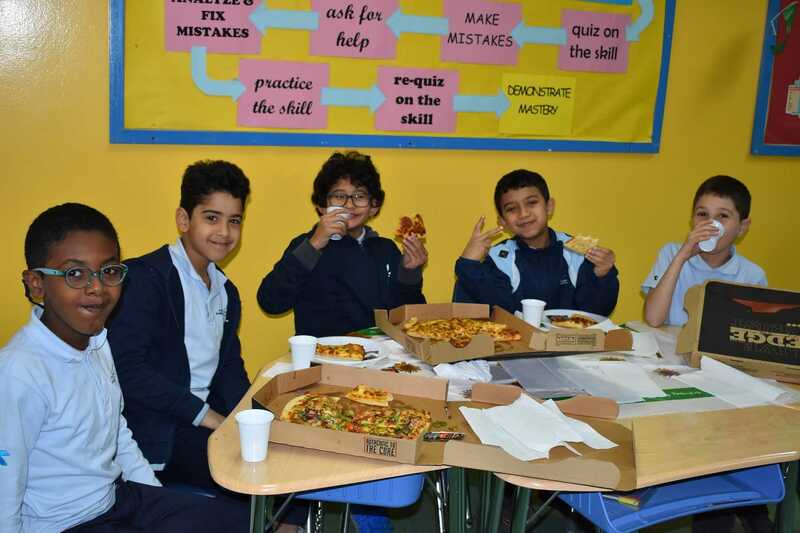 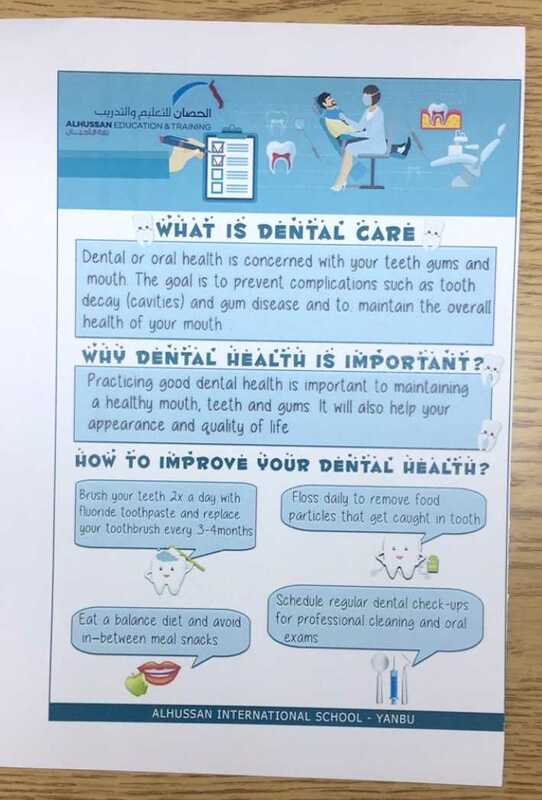 Students gained new skills and they learned a lot from this activity. 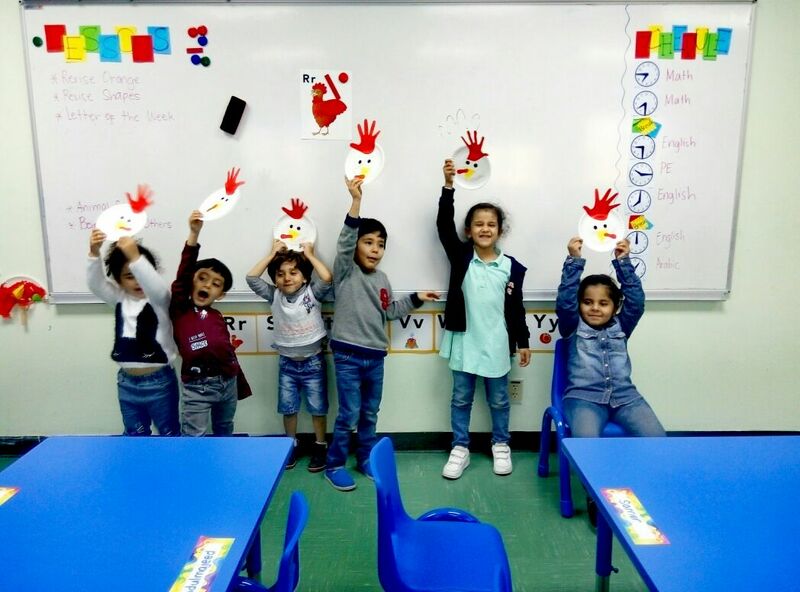 Tuesday March 7, 2017 Hat project in AHISY for Kg 3 was conducted. 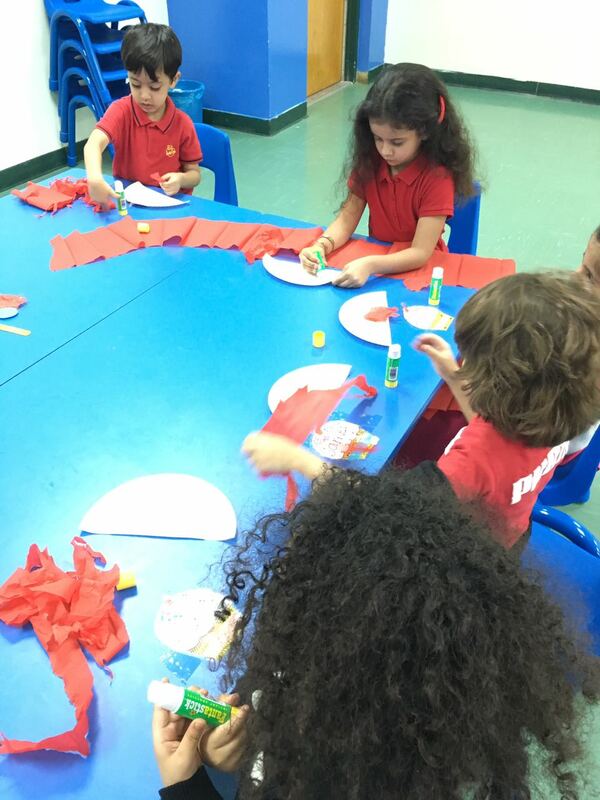 Students enjoyed learning how to create a hat using papers. 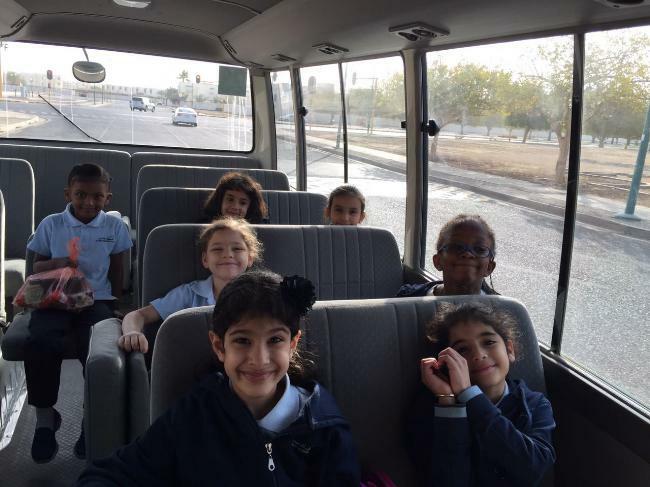 Sunday February 26, 2017 Kg3 students learn about recycling in AHISY. 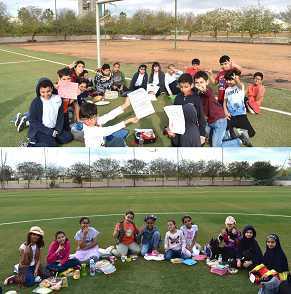 They did an activity about recycling old water bottles and food waste while having fun. 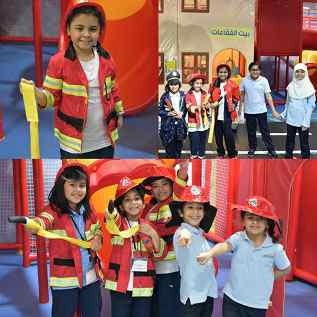 Thursday March 2, 2017 A Sand Day activity in AHISY for Kg 2 was conducted. 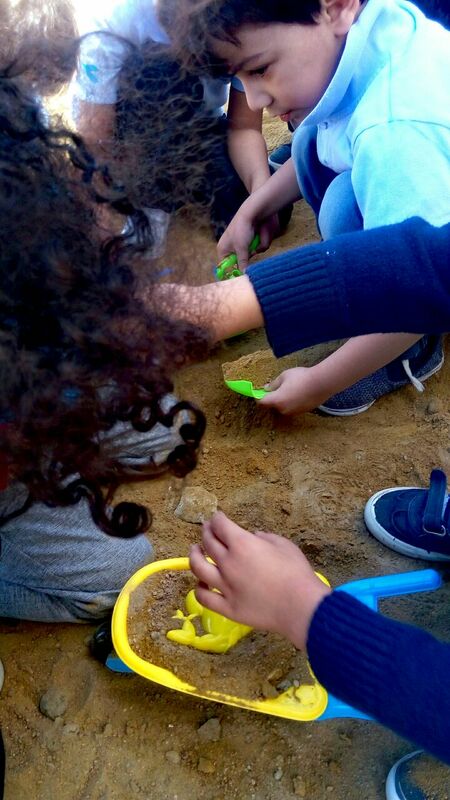 Students enjoyed their time and they had a lot of fun playing together with sand. 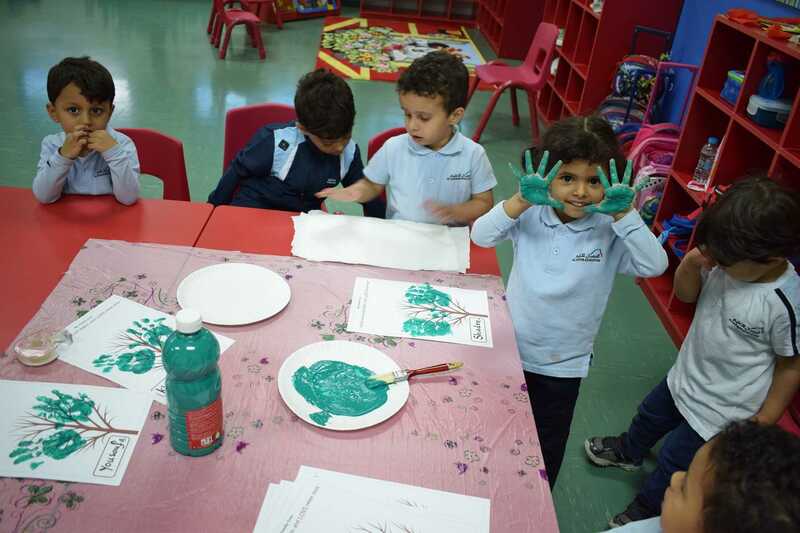 Thursday March 2, 2017 Kg2 students enjoy &quot;crabs, shell artwork&quot; activity. 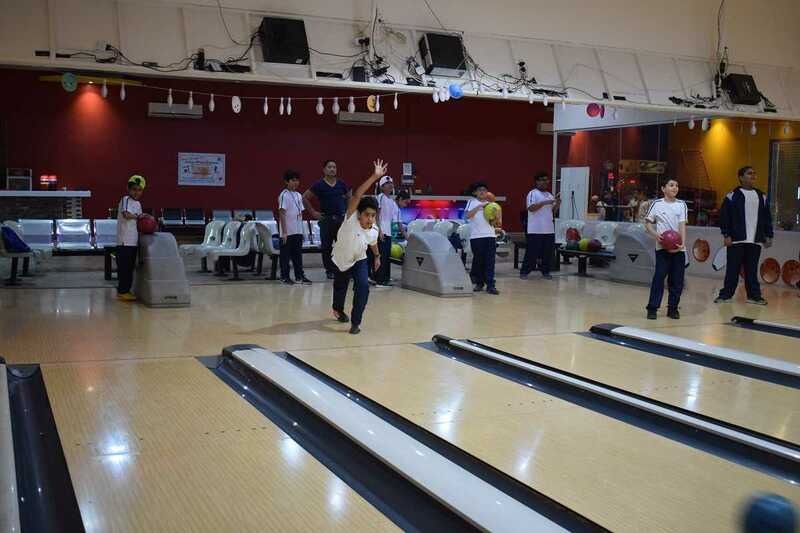 Students enjoyed their time and they had a lot of fun. 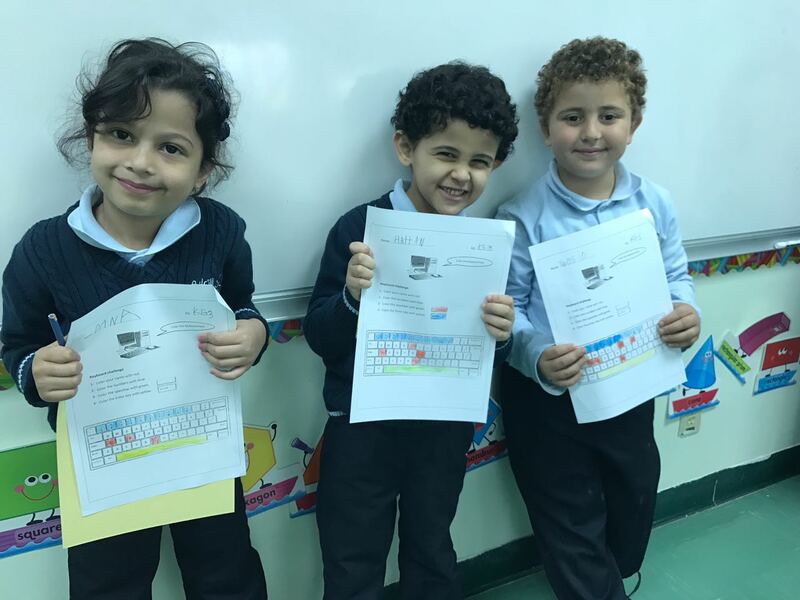 Sunday March 5, 2017 Kg3 kids in AHISY took English activity about writing a story. 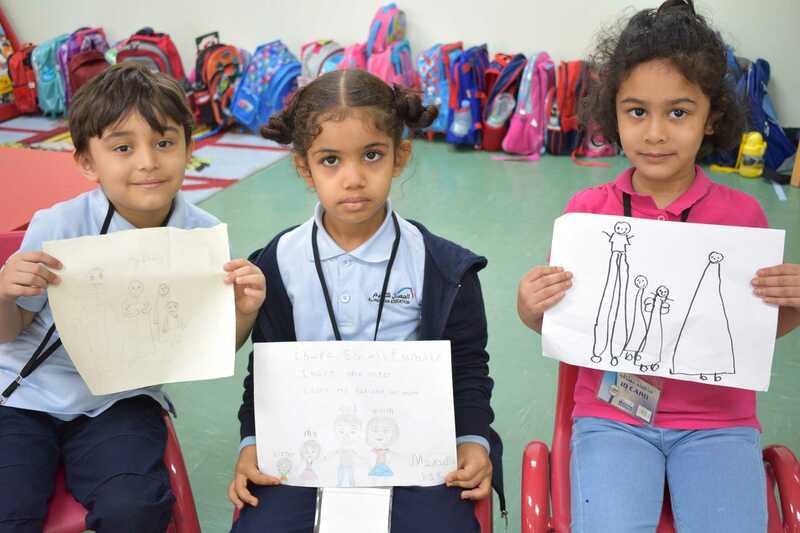 They enjoyed learning some keys of writing story and drawing pictures which describe it. 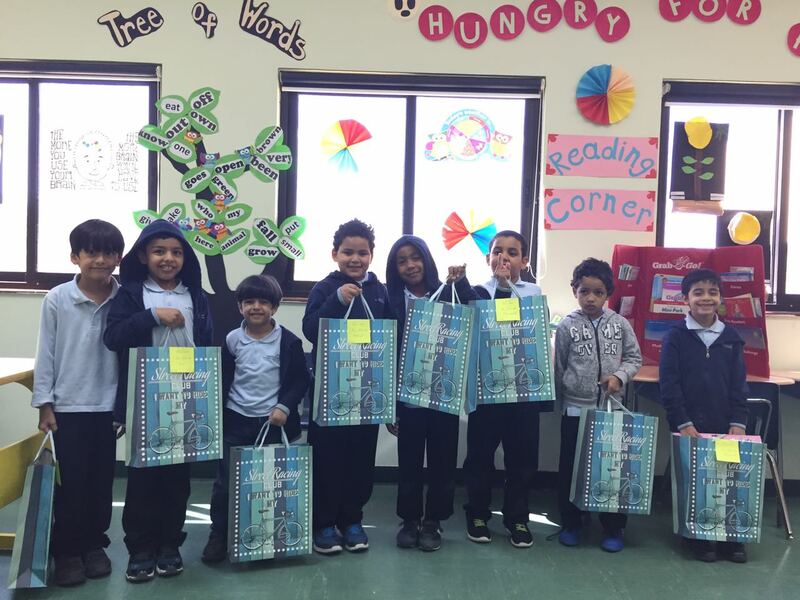 Tuesday February 7, 2017 the Kg&rsquo;s took Tools subject and the Elves and the Shoemaker crafts. 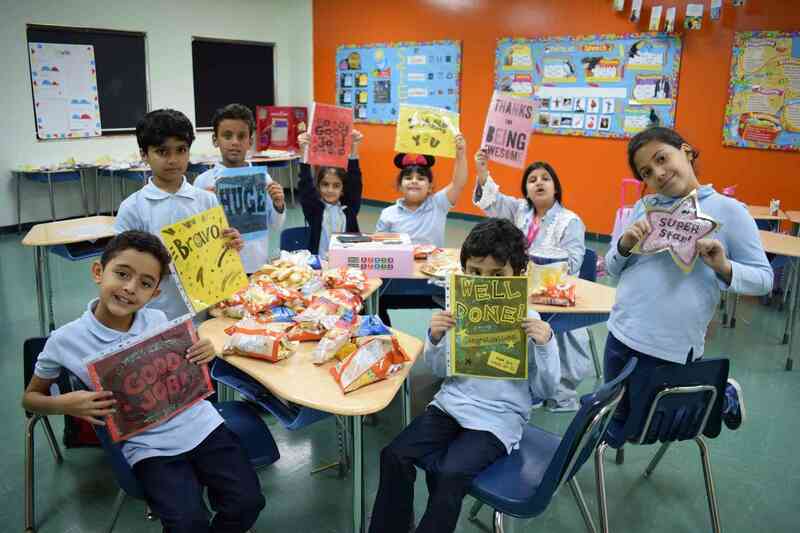 Students were excited and happy to make those crafts with Art teacher. 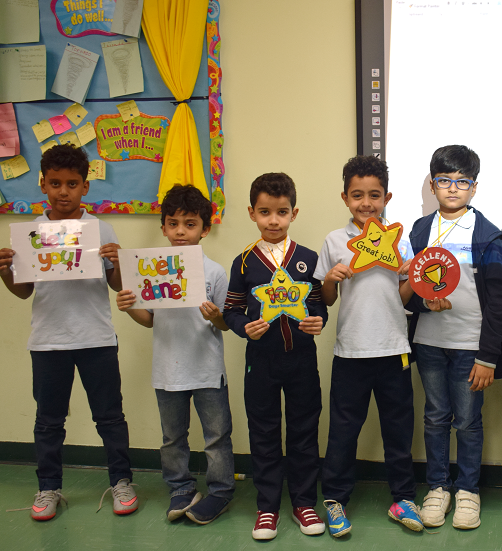 Grade: 1 The G1 teacher give the stars of the week some supportive gifts, because they were very excellent. 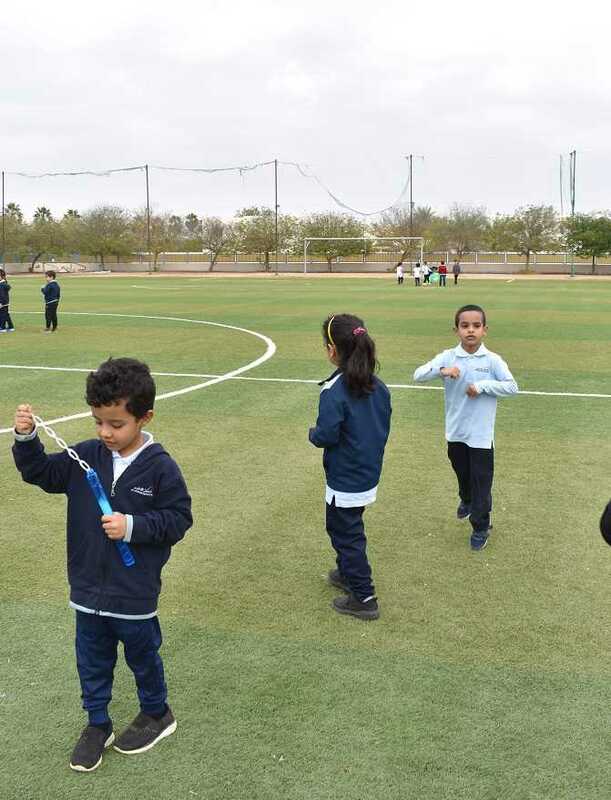 Grade: Kg3 a kg activity to help them how to tie their shoes by using simple materials. 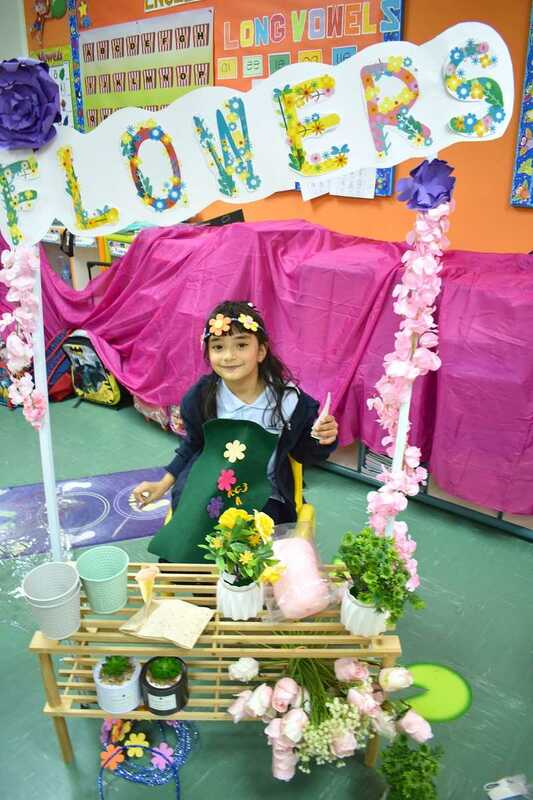 Grade: KG2 The teacher helped the students to participate in the Rd Day event which was very joy able to them, they had fun while doing some flowers using simple tools. 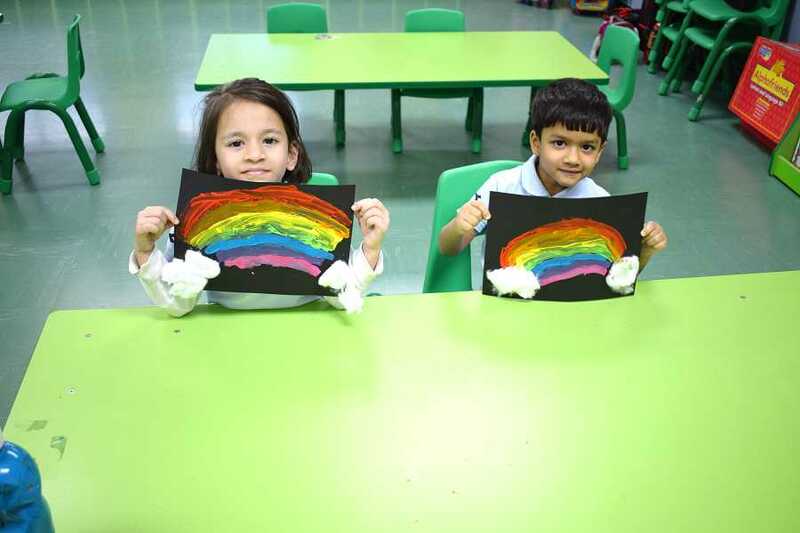 Grade: Kg3 Making a Rainbow made by the students using different colors, and learned how to combine the colors to create another color. 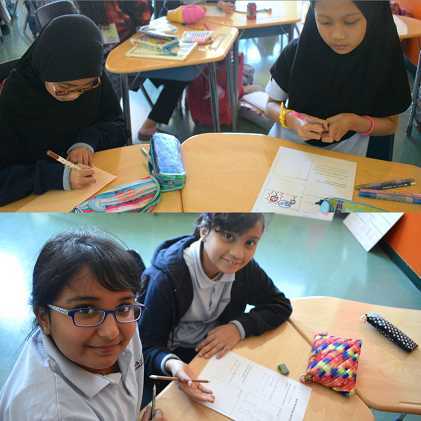 The students were engaging and helpful to each other. 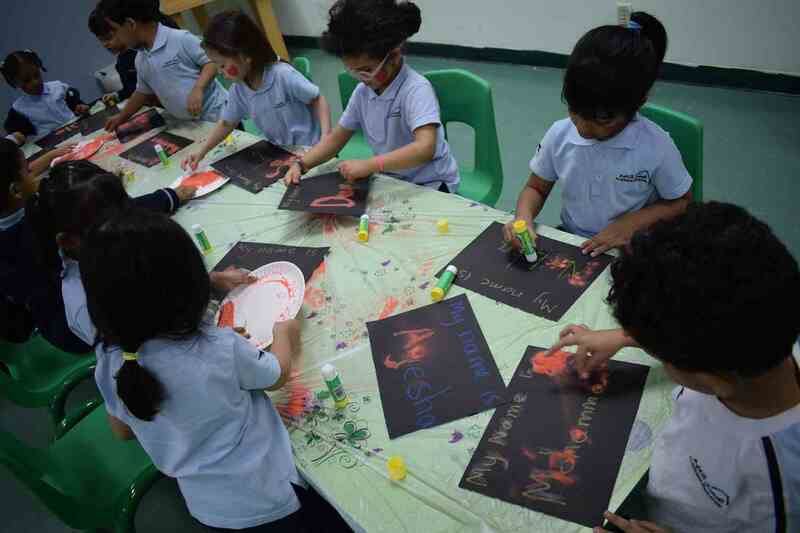 Grade: Kg 2 making an art work by using cons to make a (bunny face). 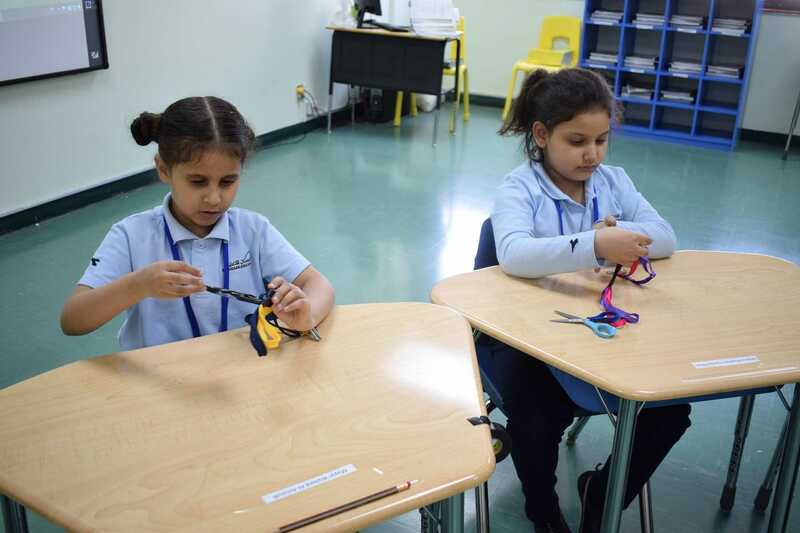 This activity will help the students to learn how to think creatively and make good things by simple tools. 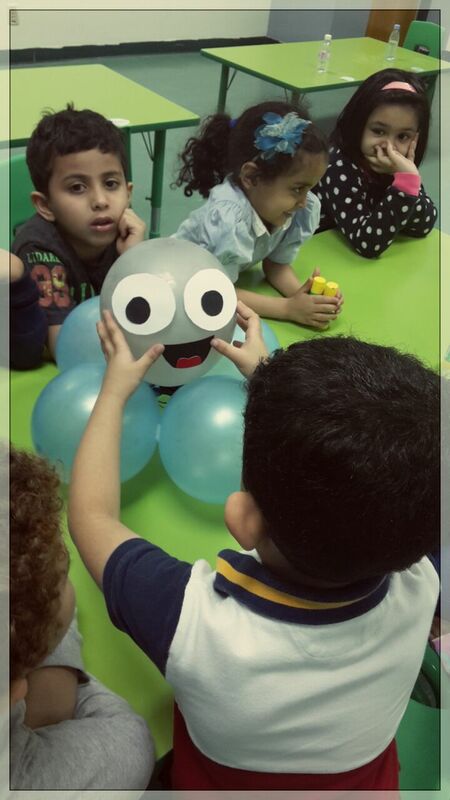 Grade: Kg 3 Engaging the students together by making an Octopuses made by balloons which was fun and very enjoyable.